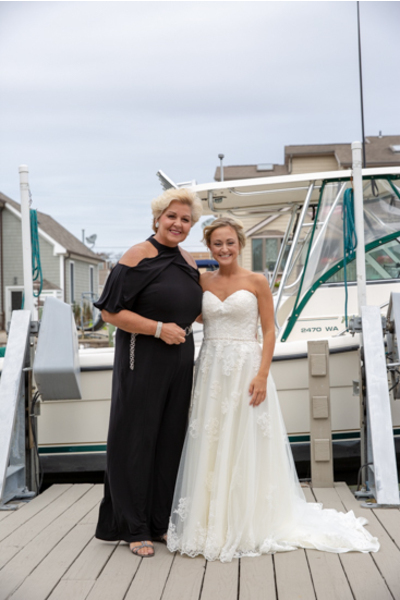 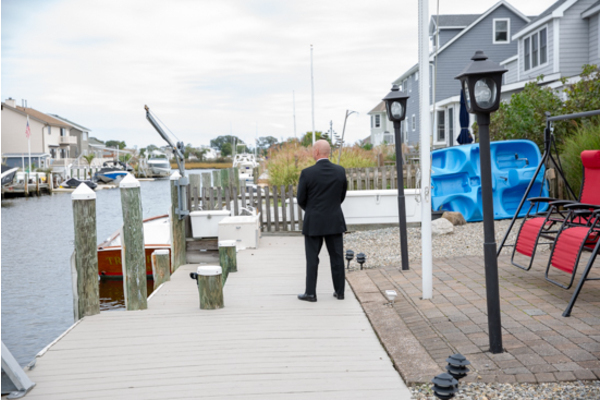 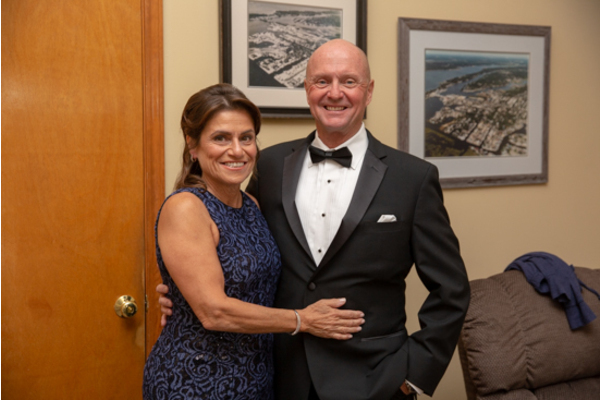 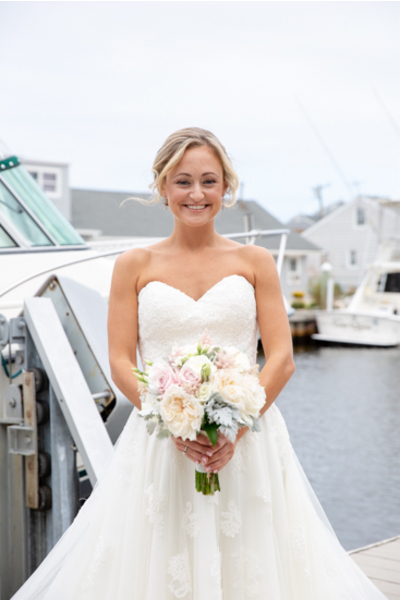 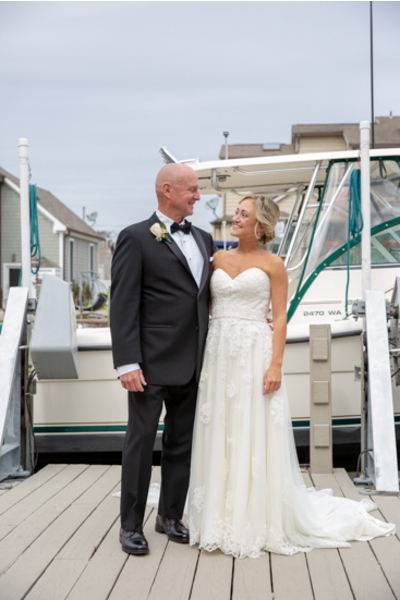 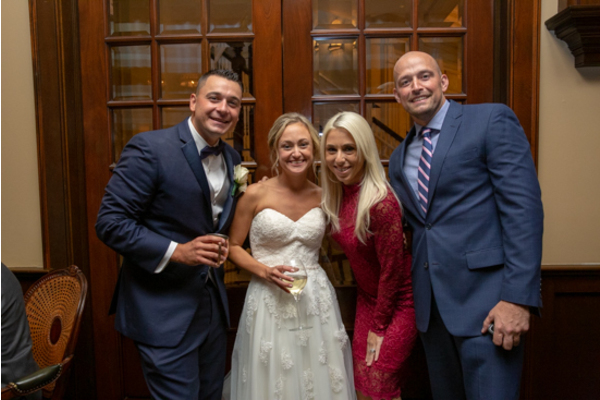 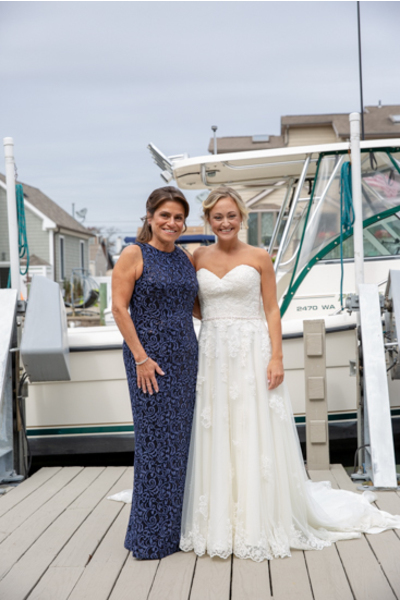 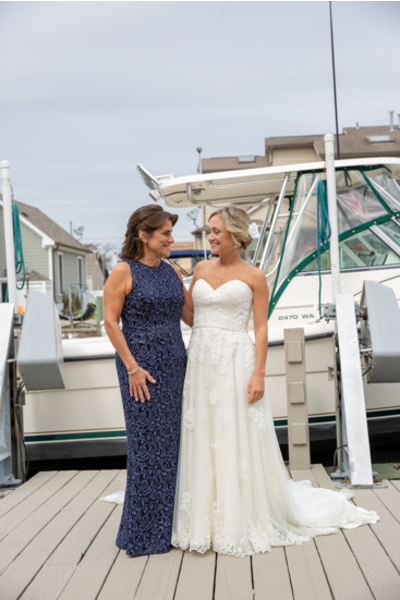 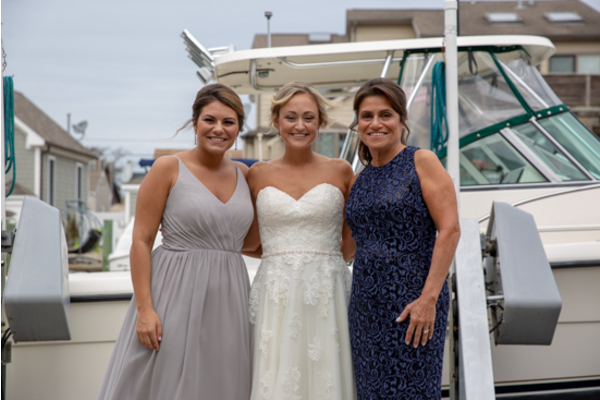 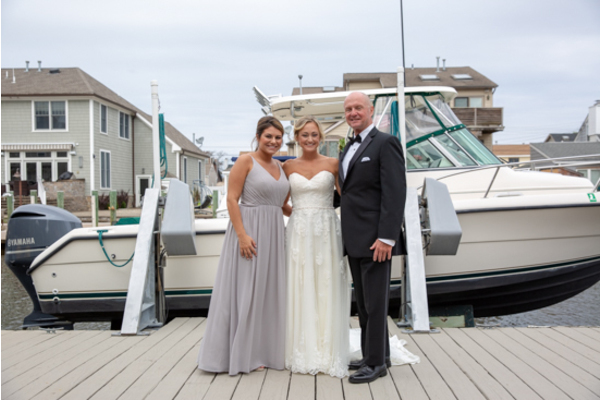 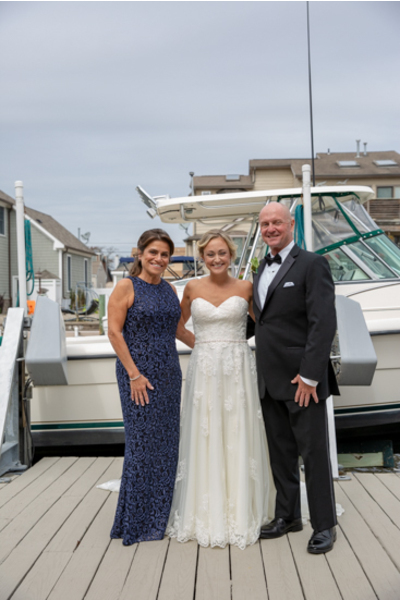 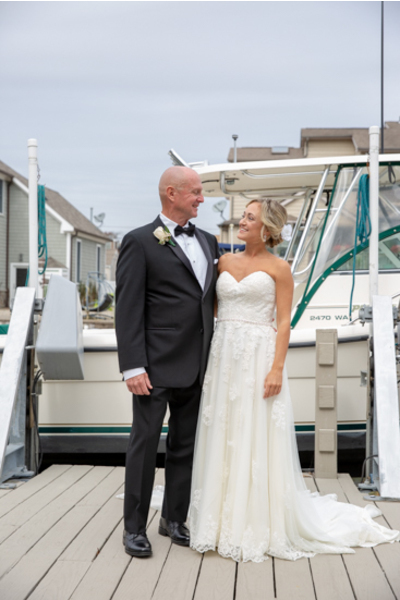 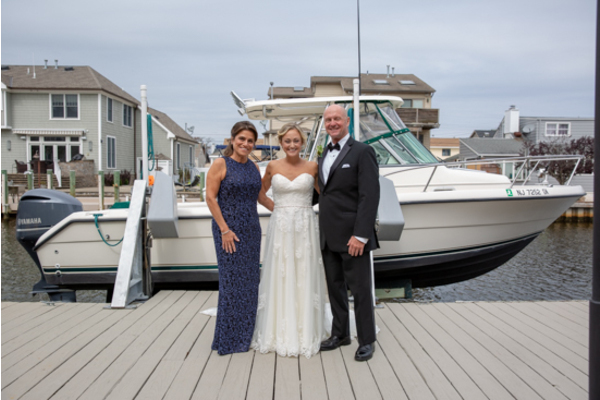 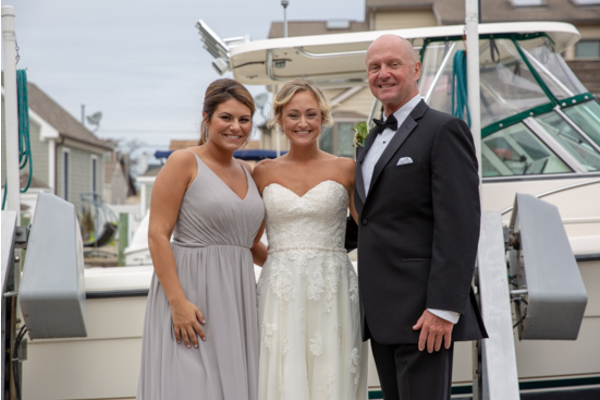 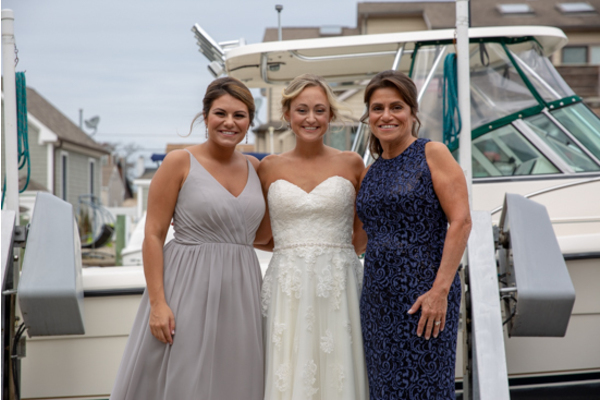 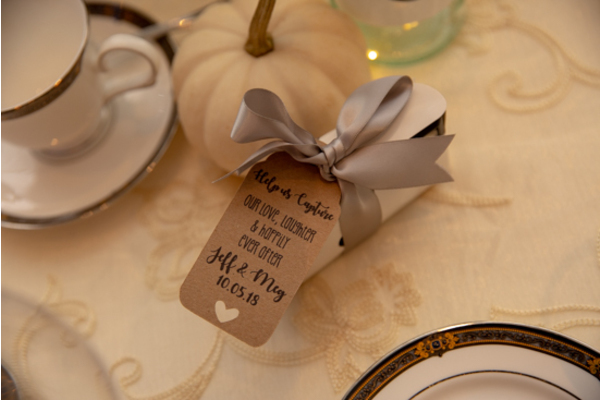 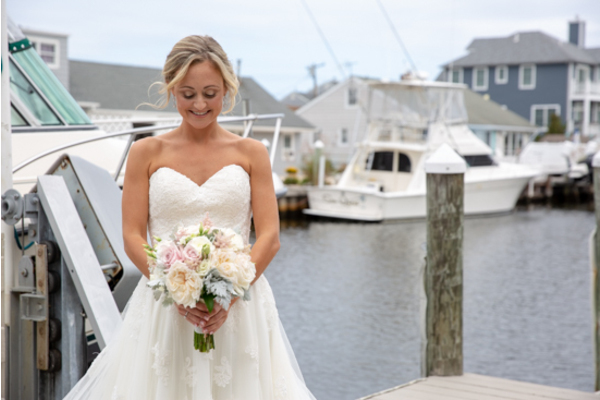 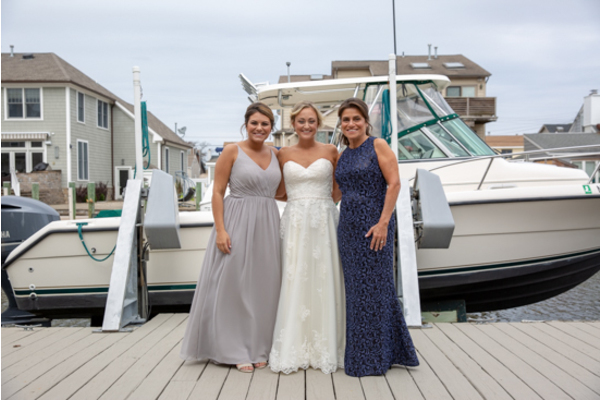 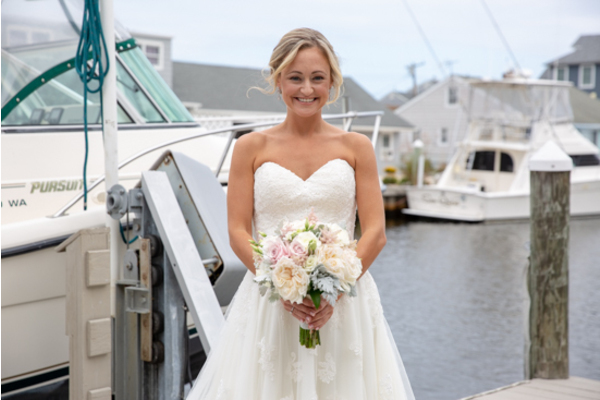 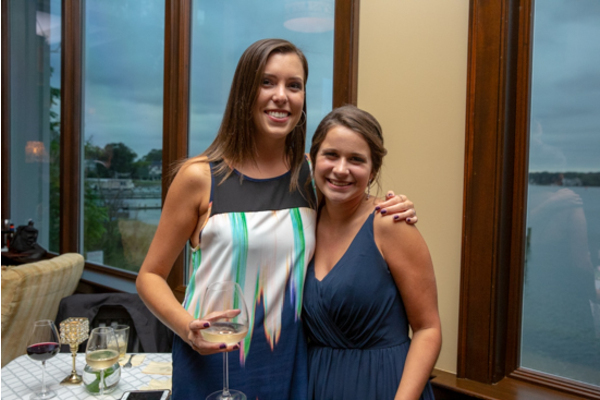 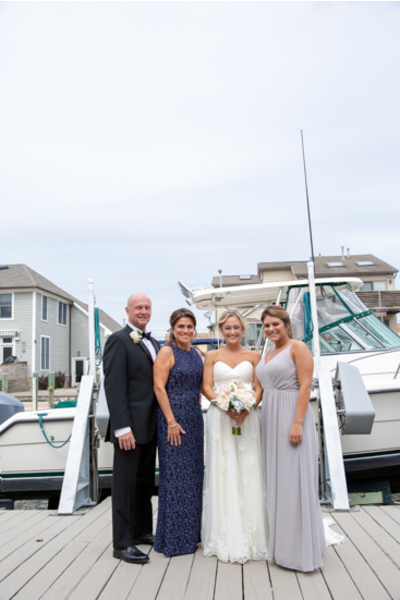 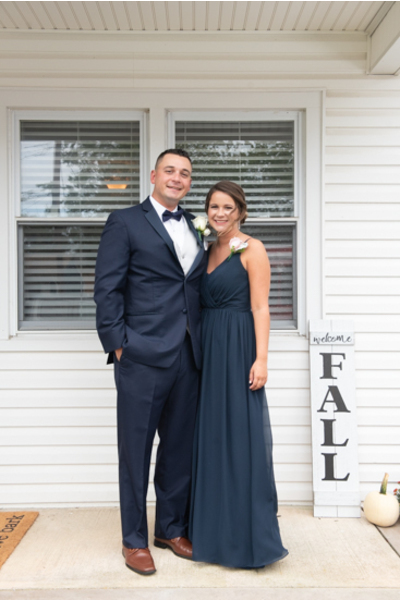 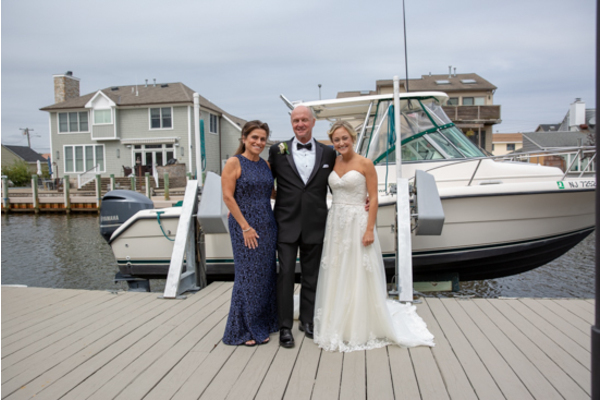 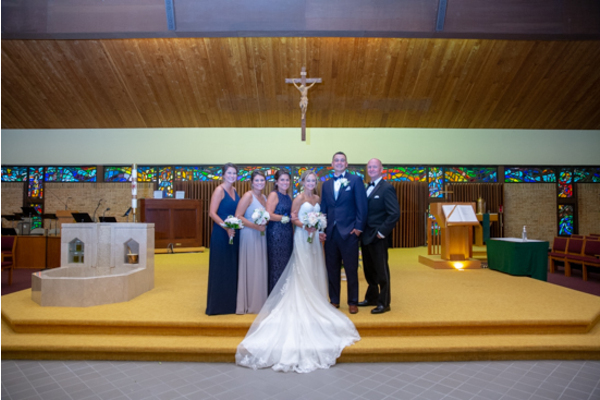 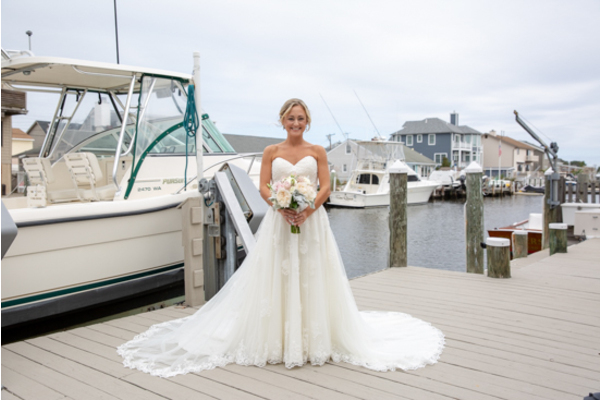 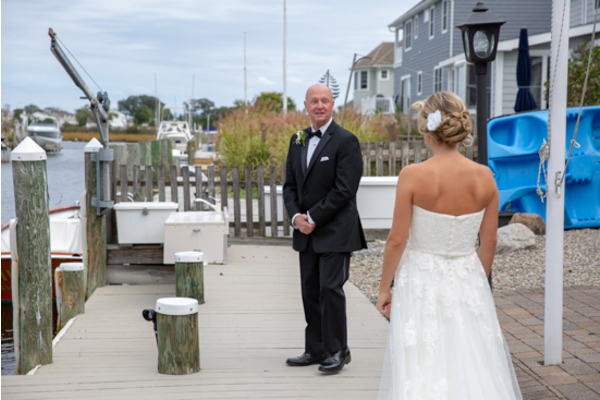 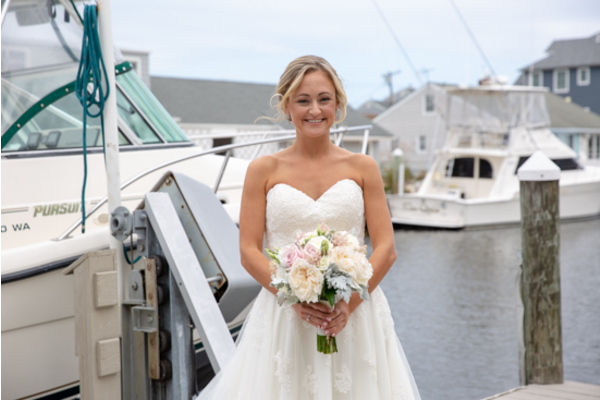 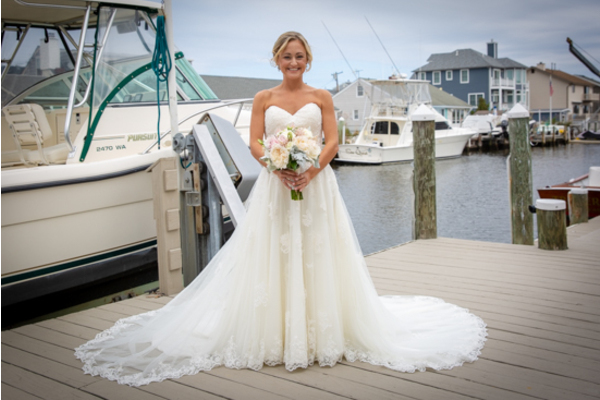 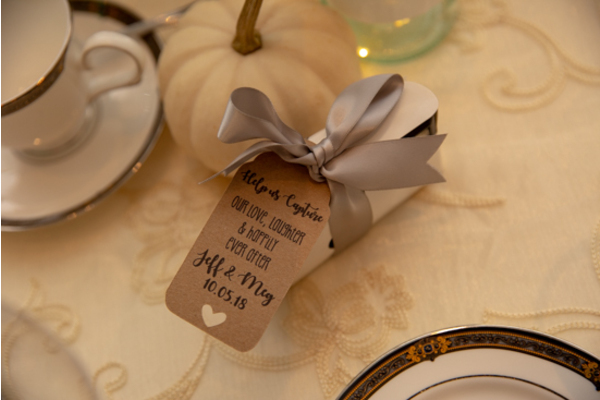 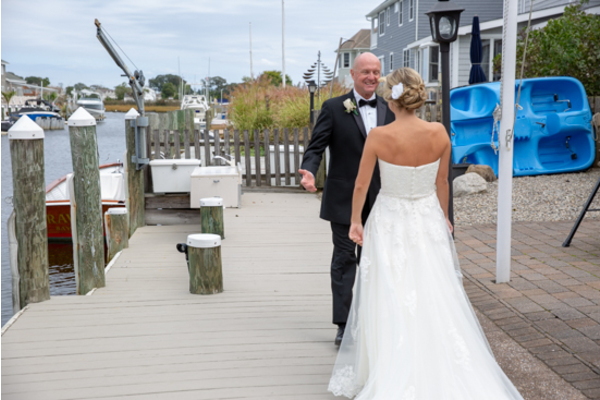 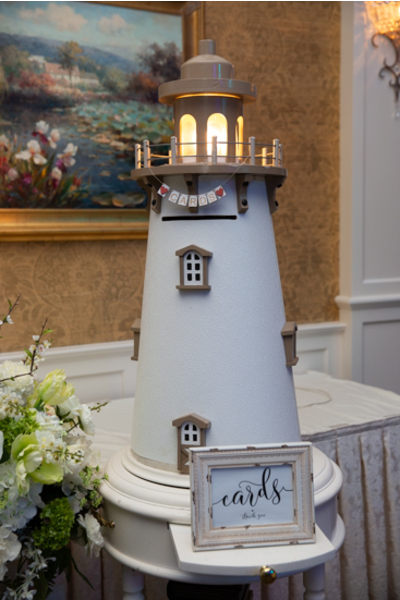 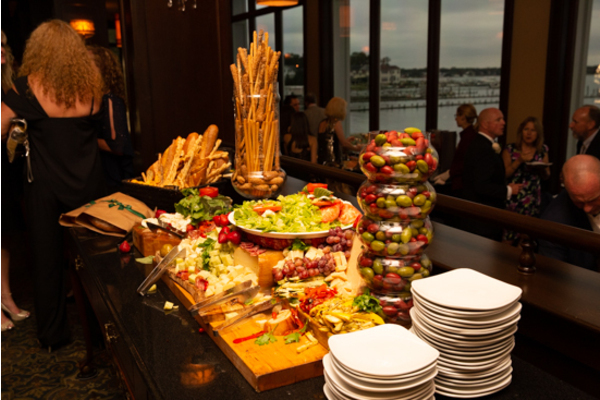 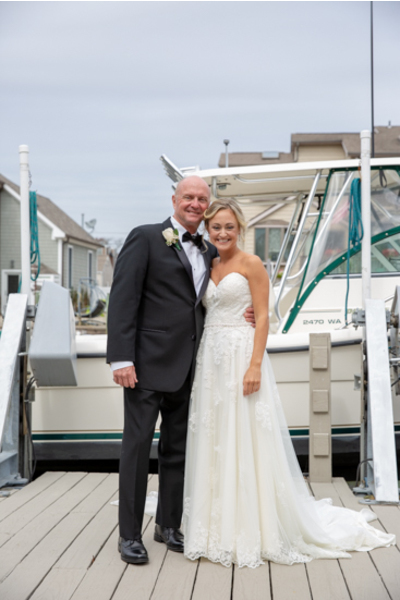 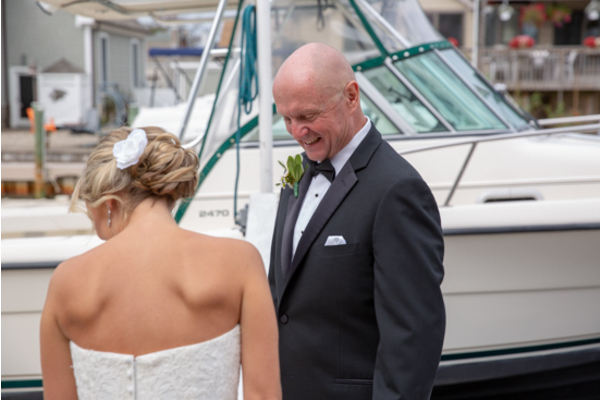 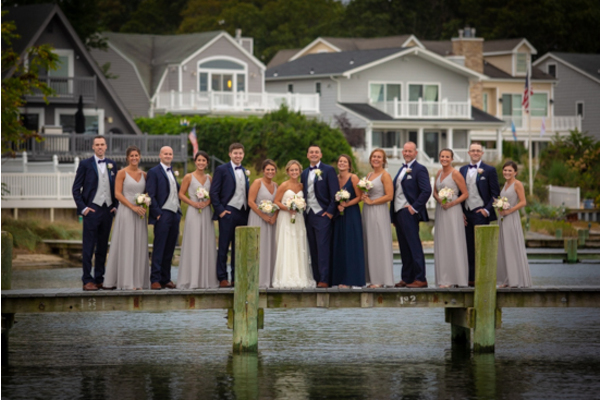 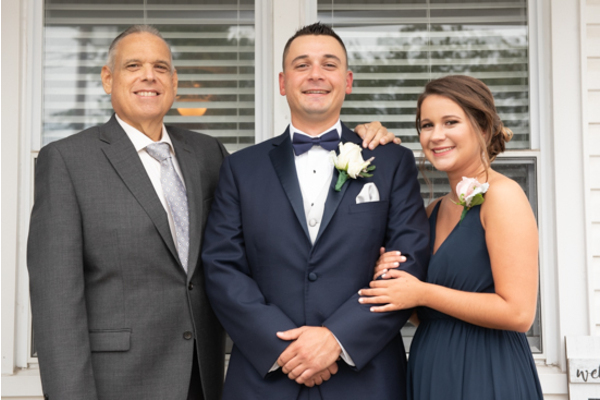 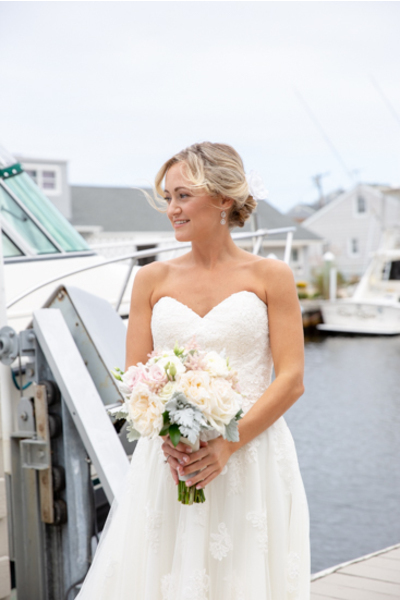 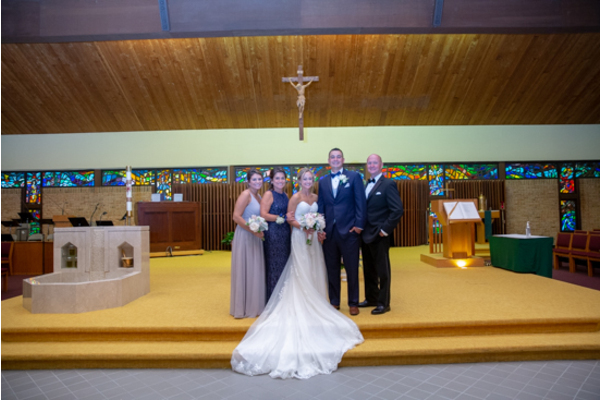 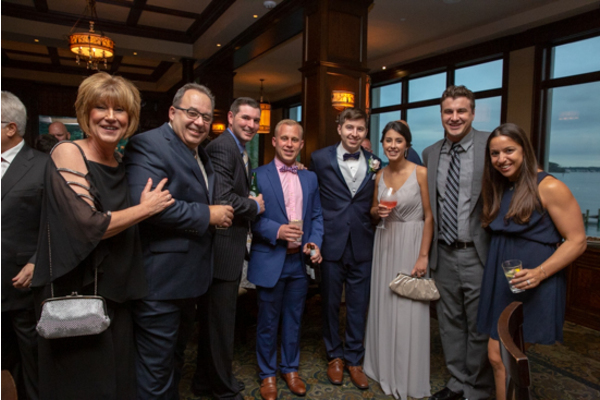 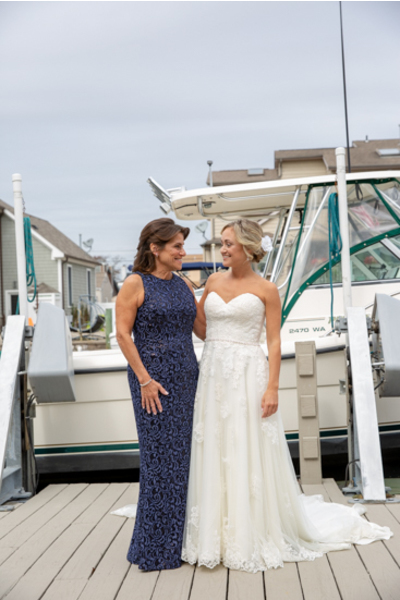 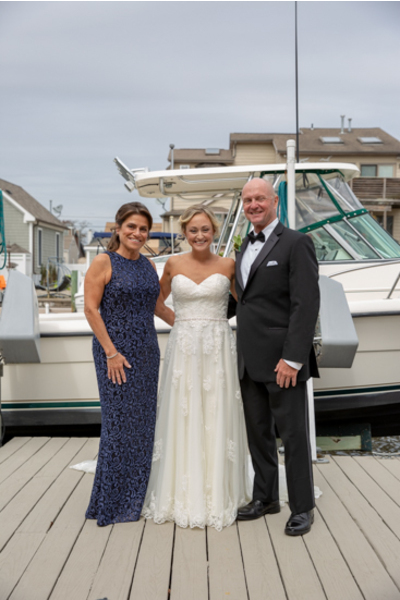 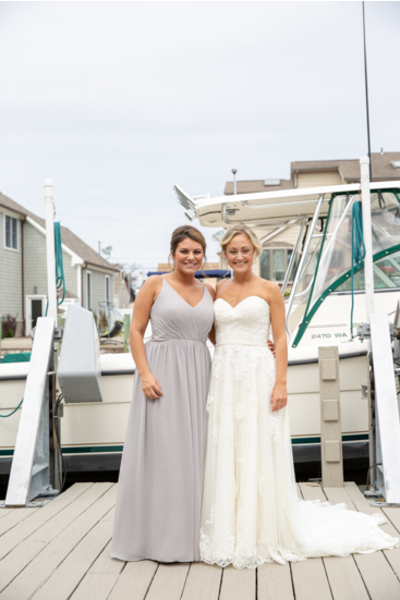 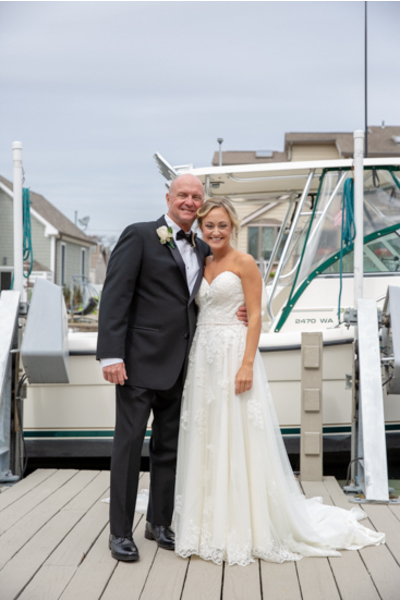 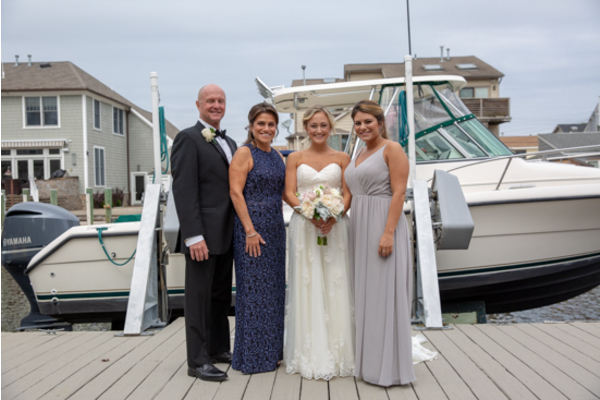 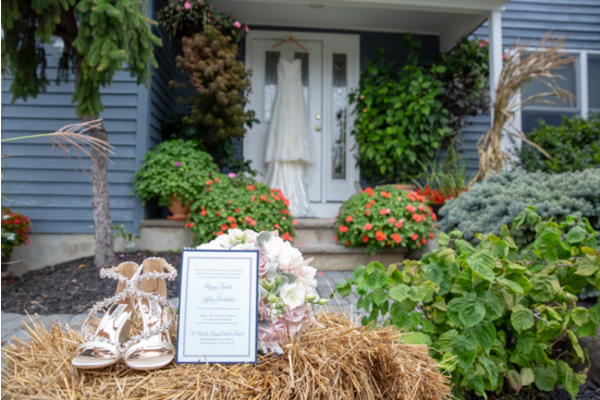 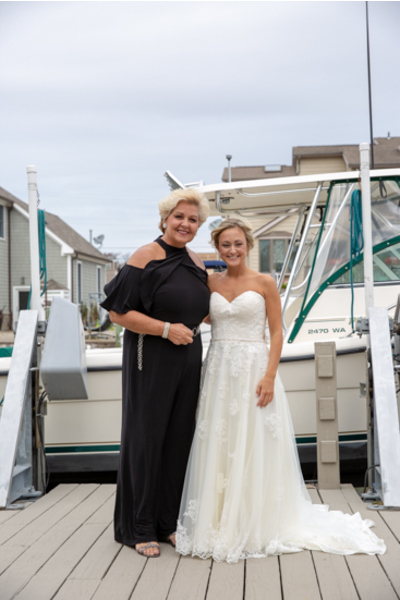 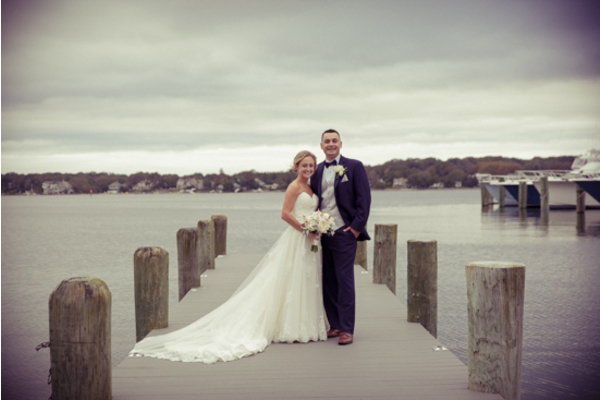 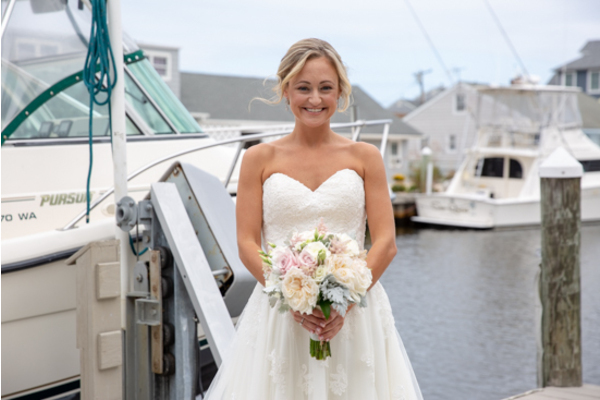 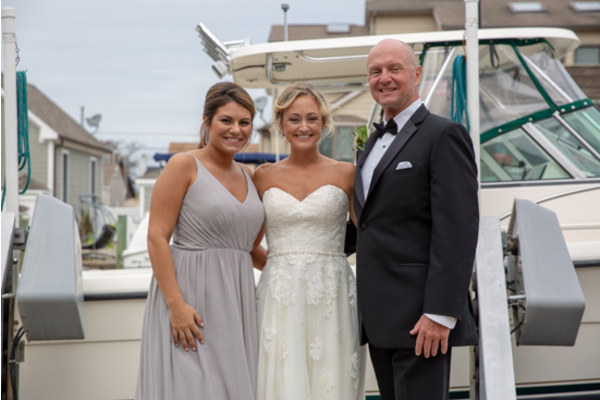 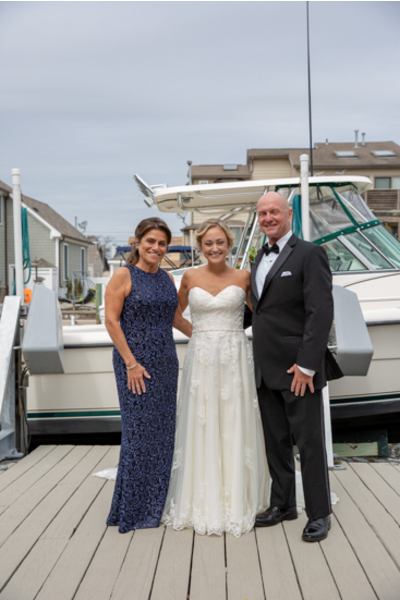 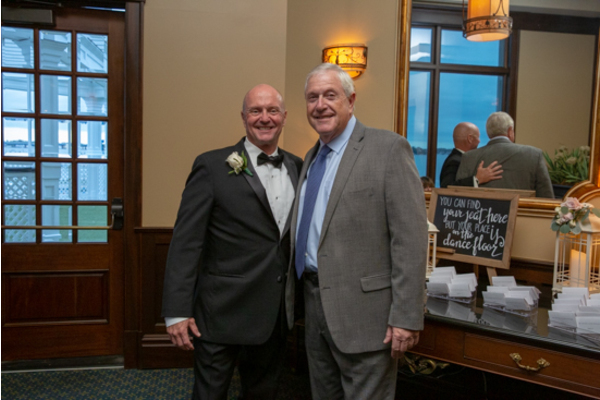 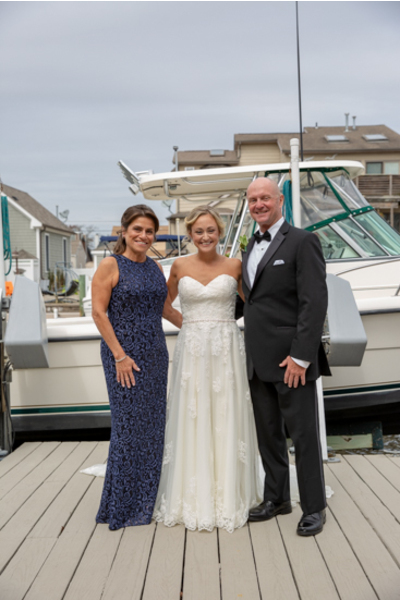 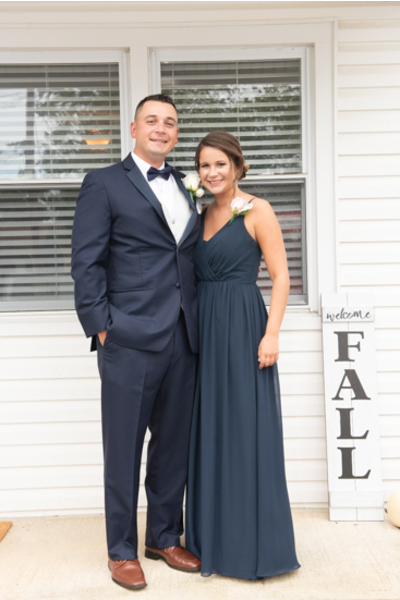 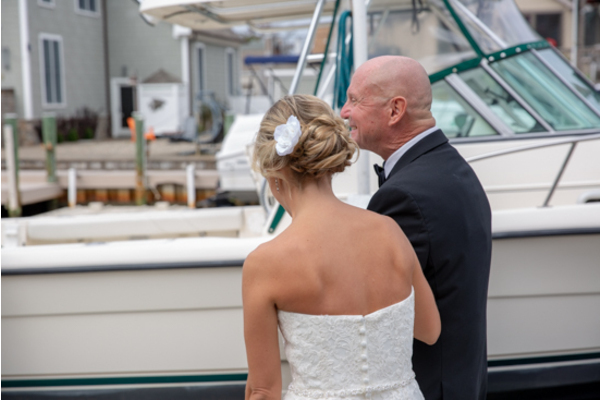 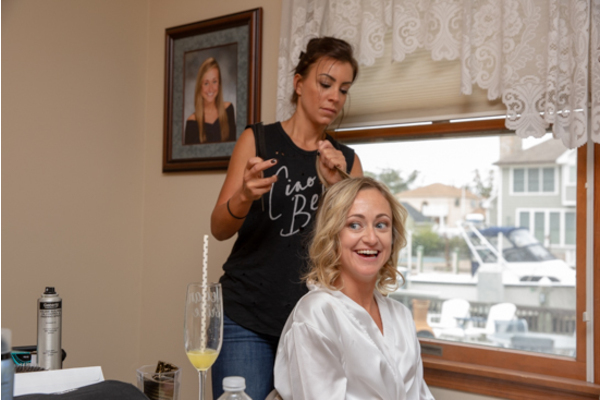 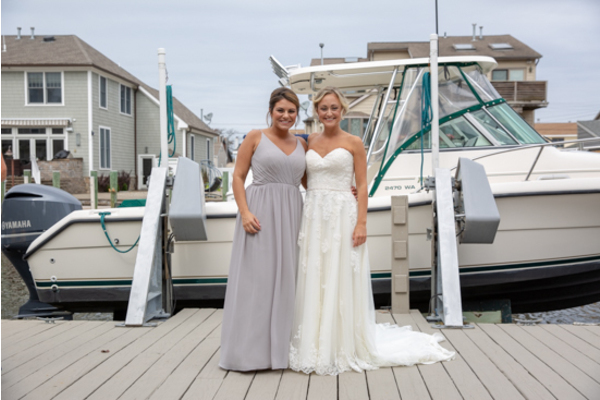 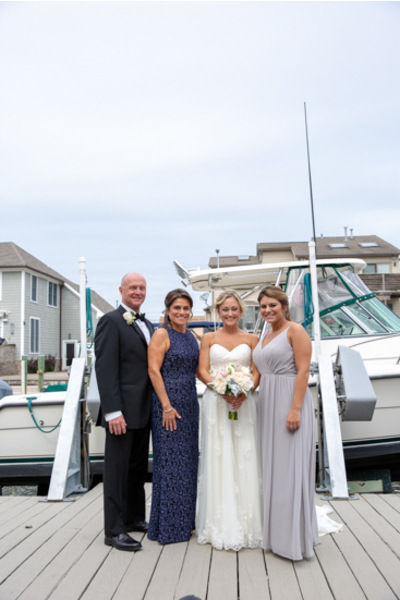 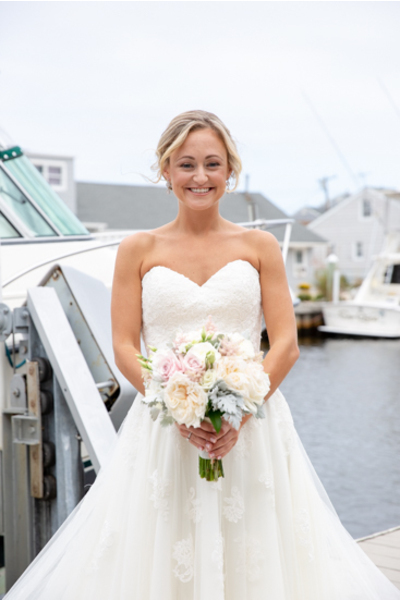 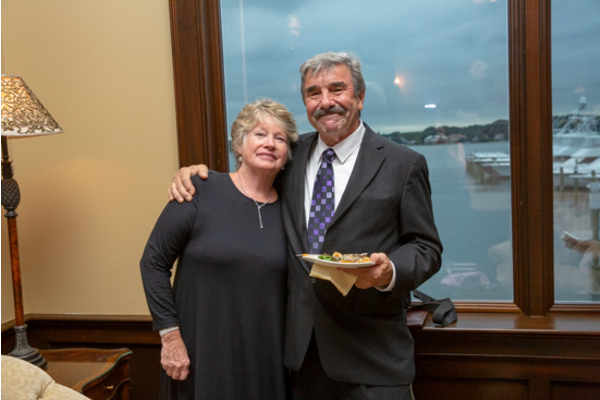 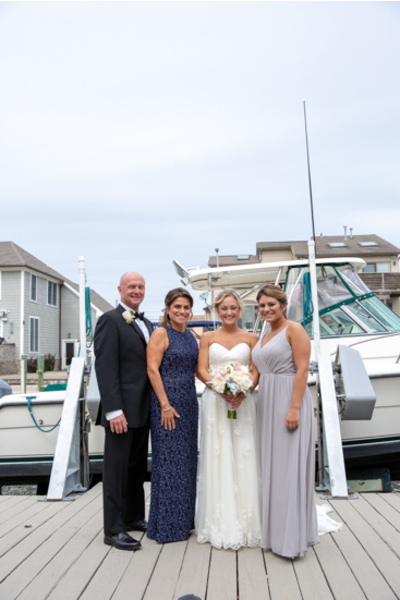 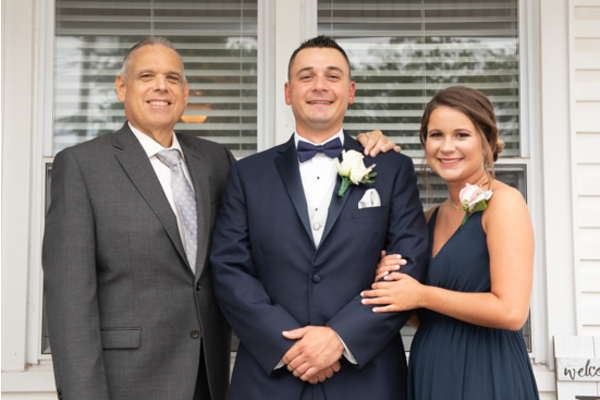 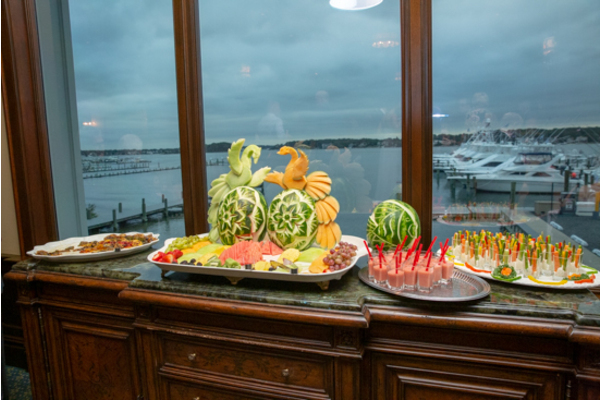 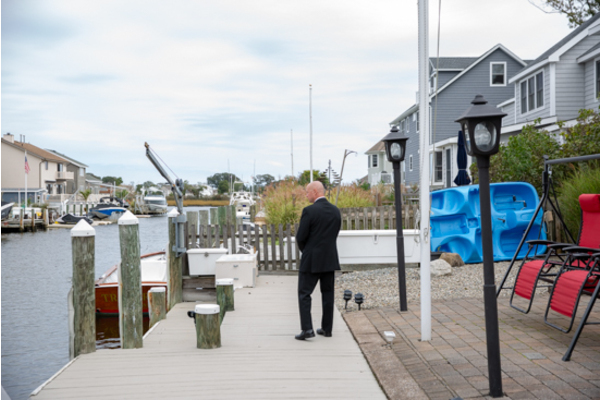 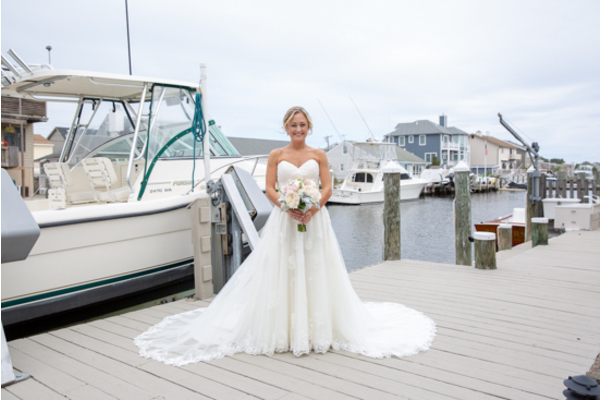 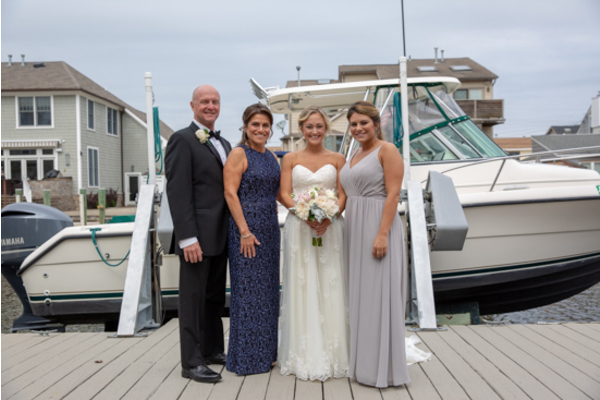 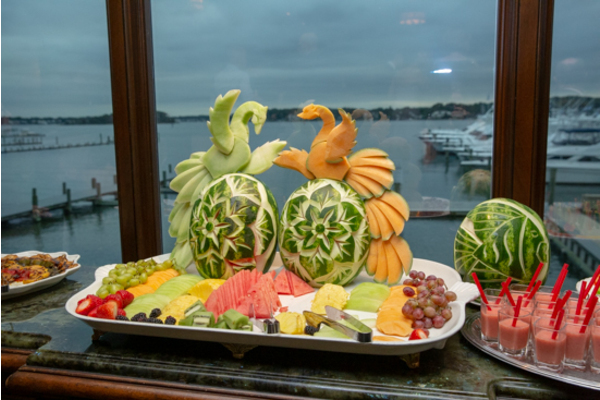 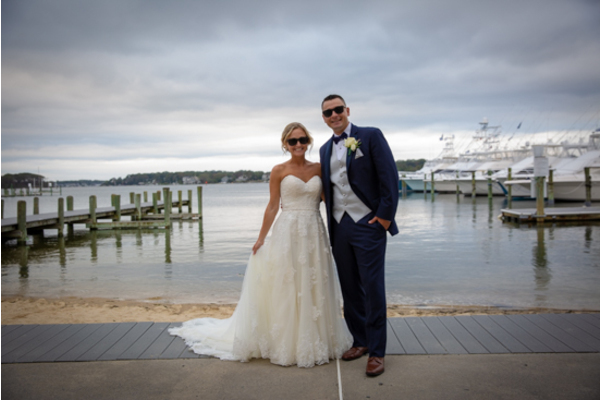 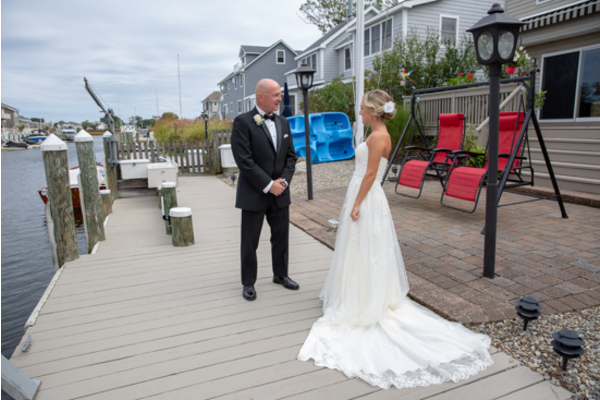 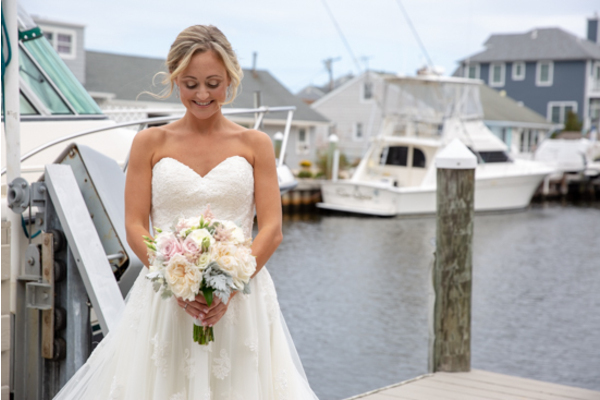 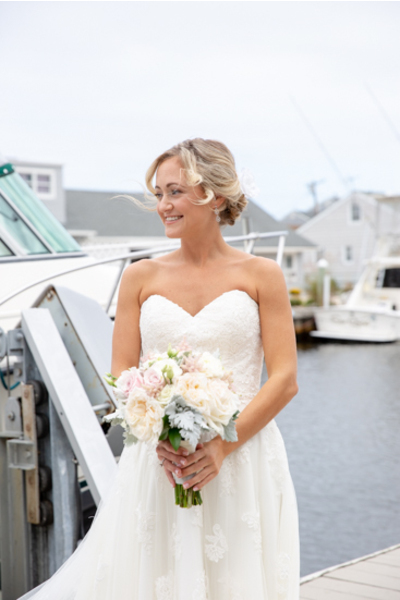 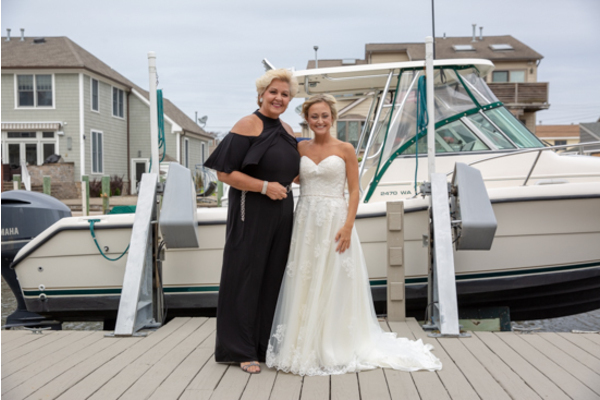 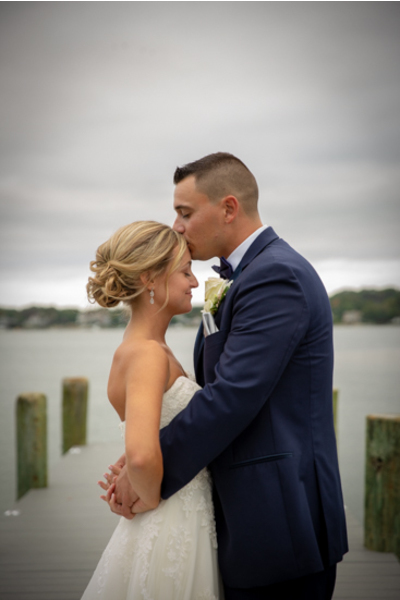 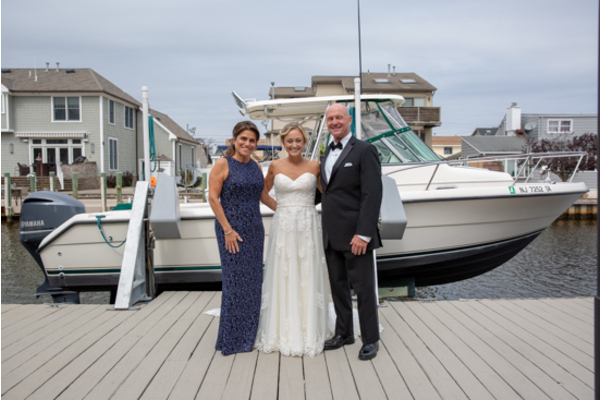 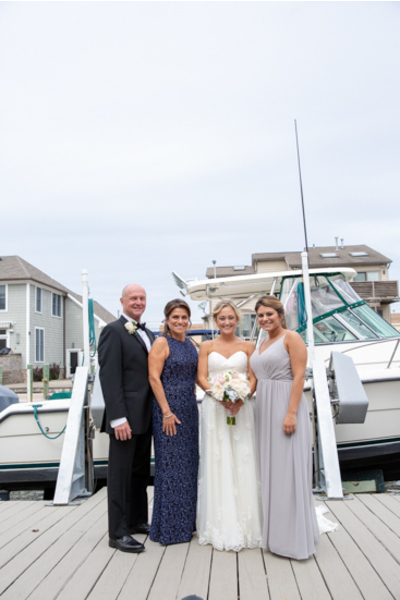 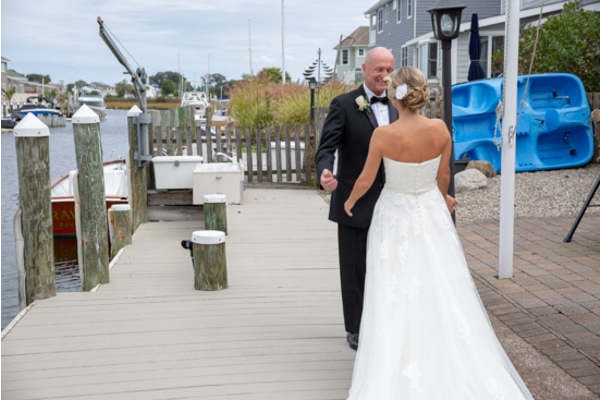 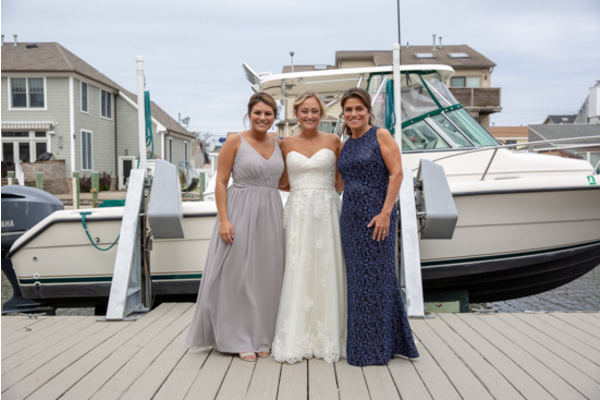 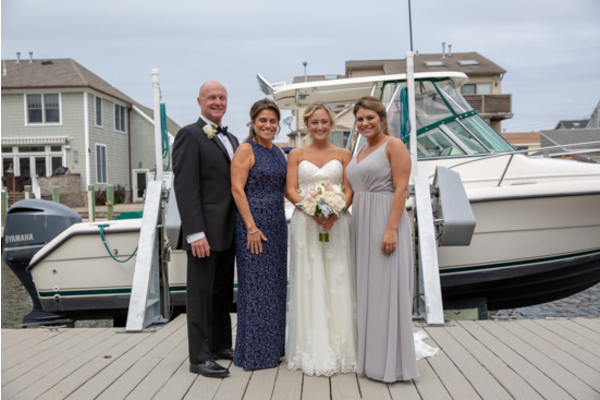 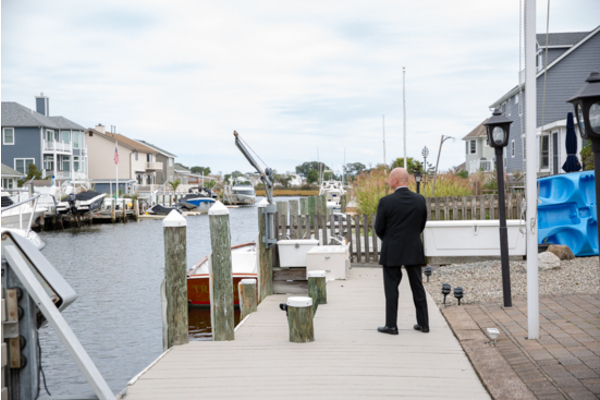 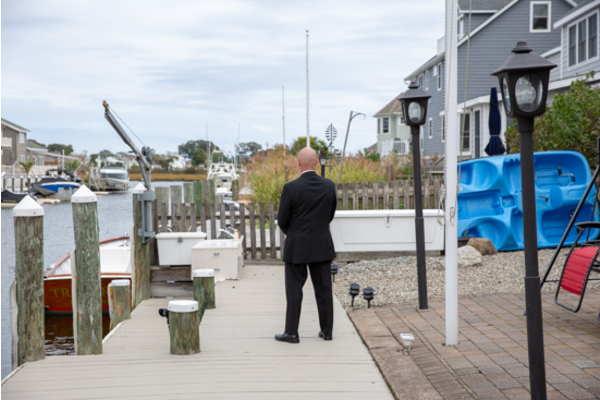 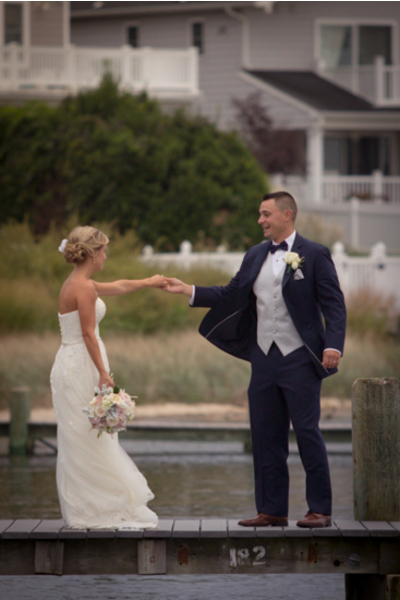 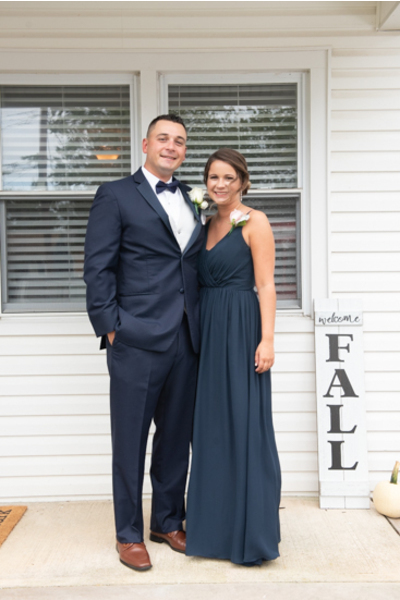 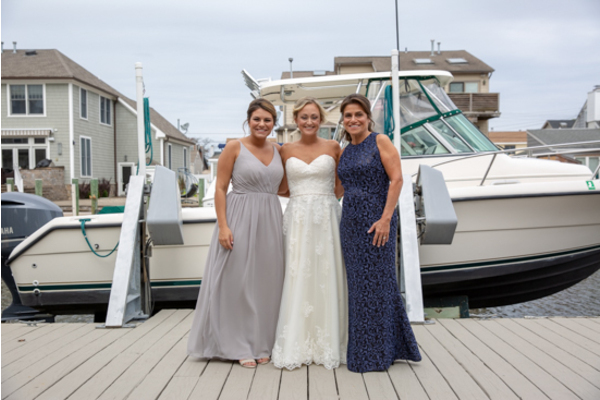 Congratulations to Meg and Jeff on their amazing fall wedding held at Clarks Landing Yacht Club in Point Pleasant Beach, NJ! 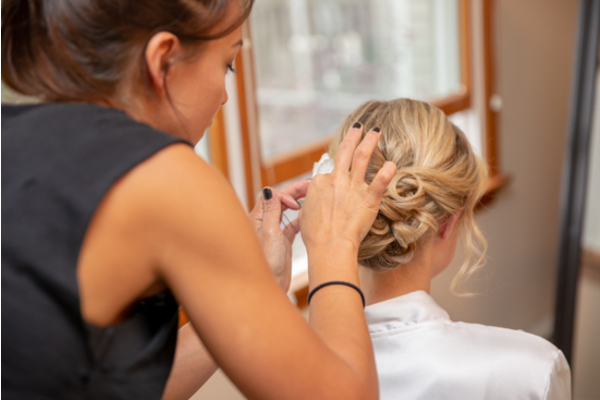 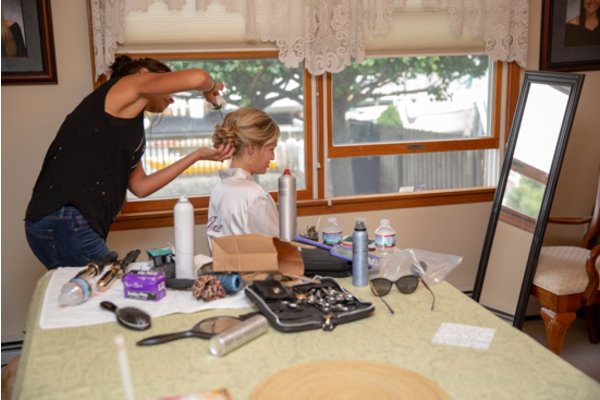 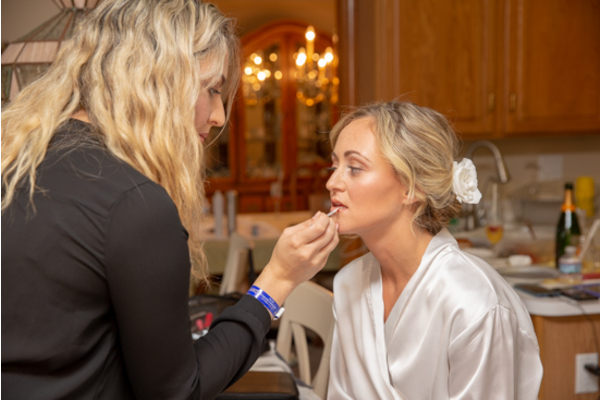 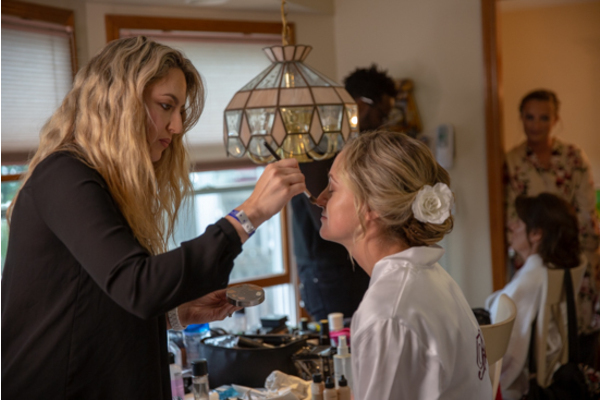 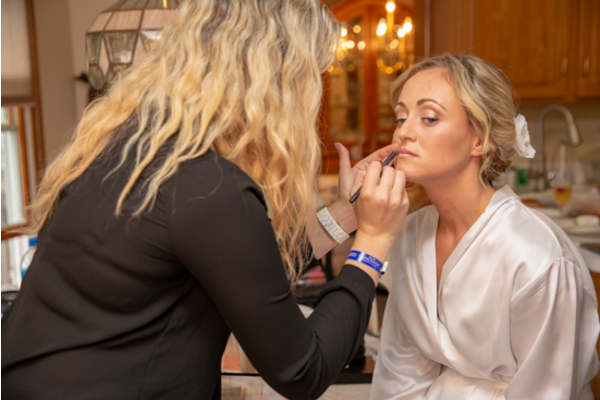 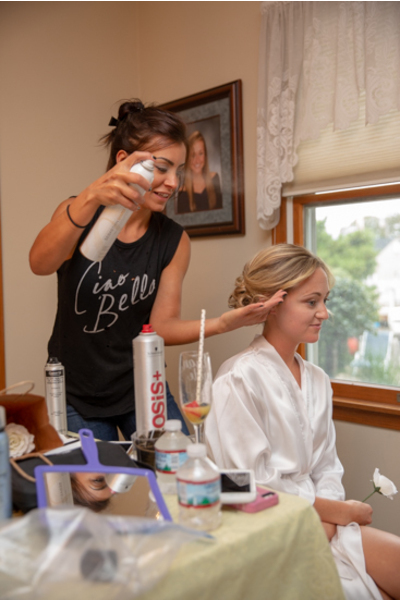 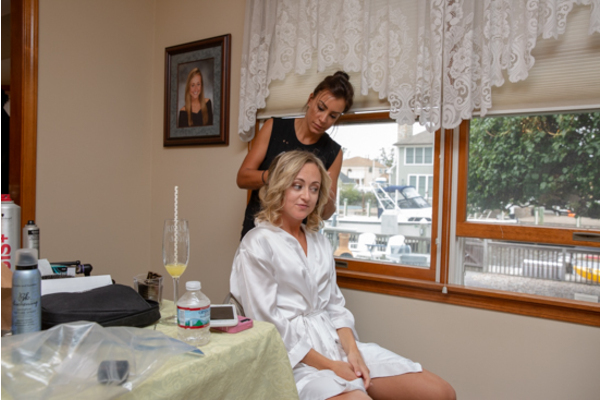 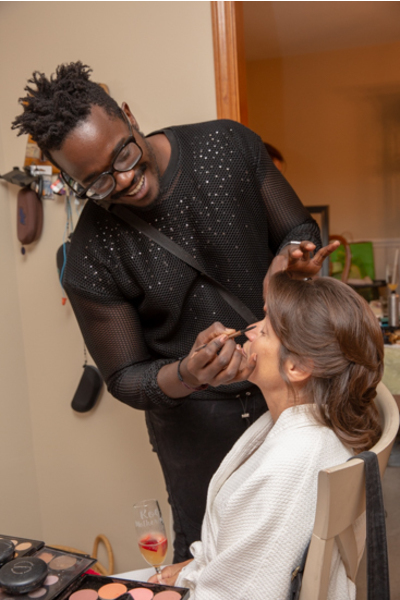 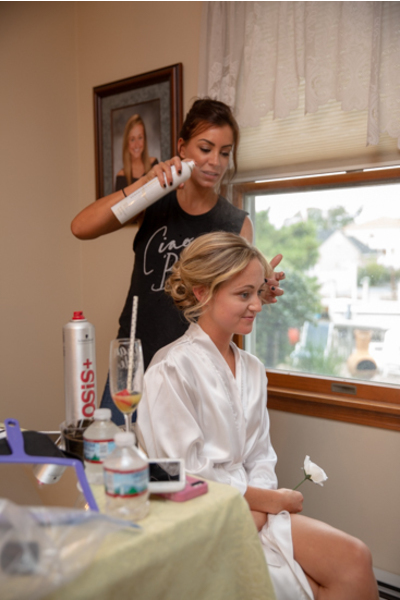 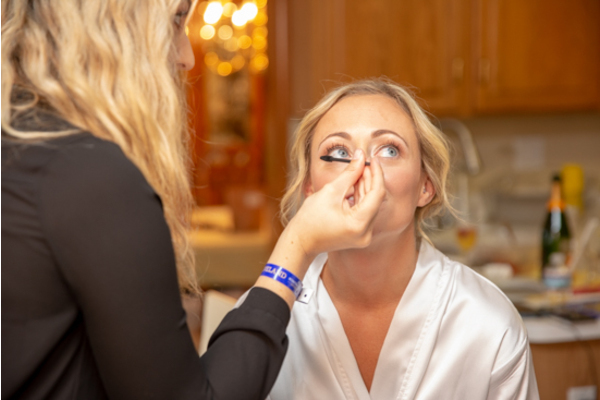 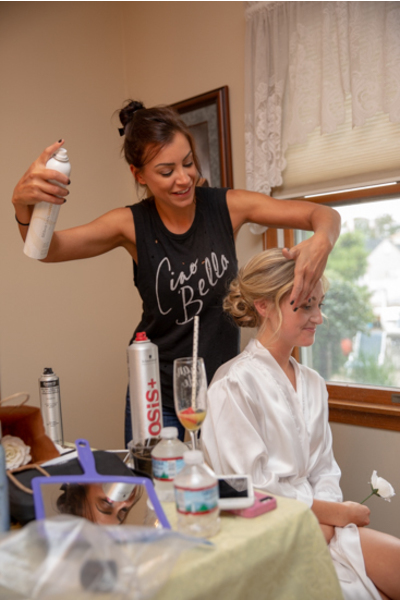 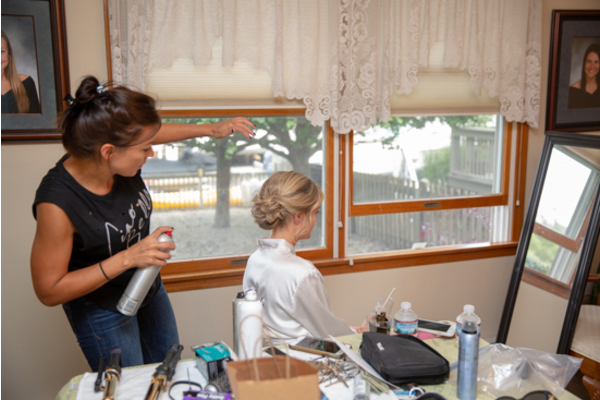 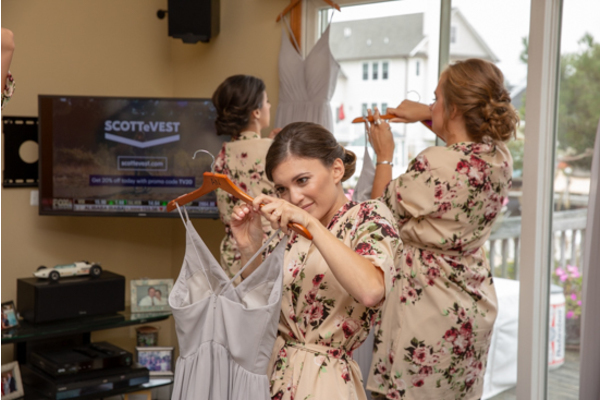 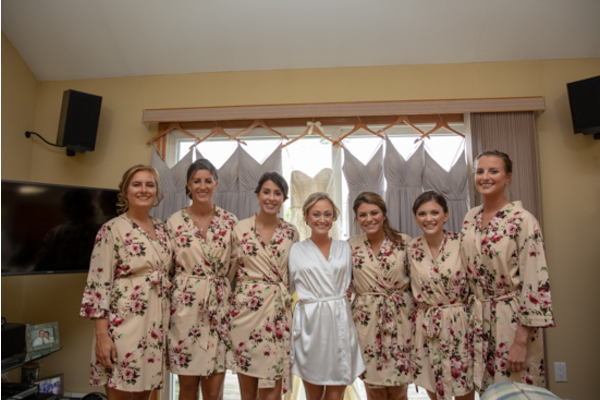 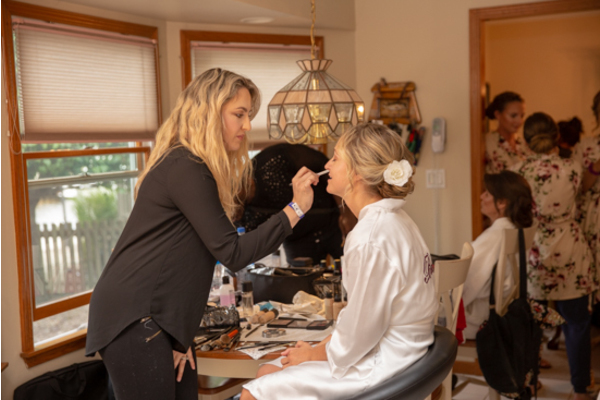 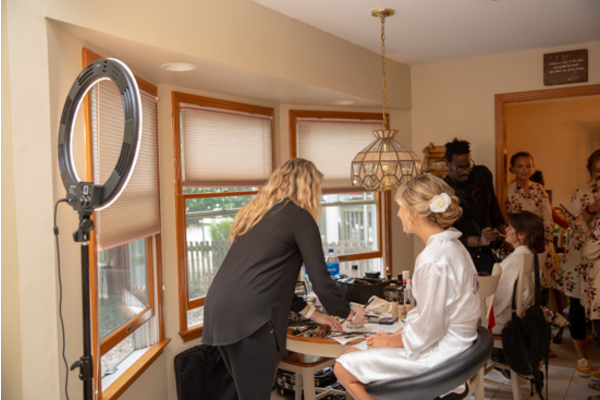 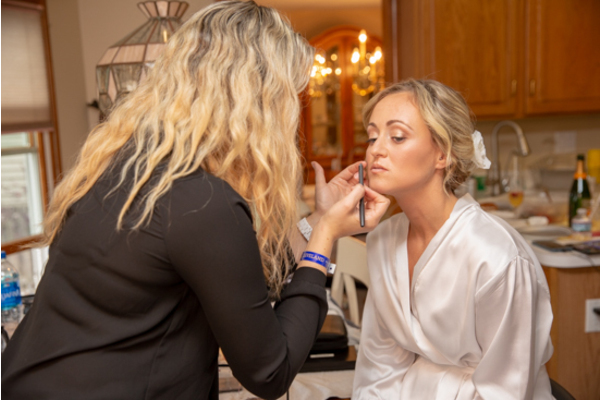 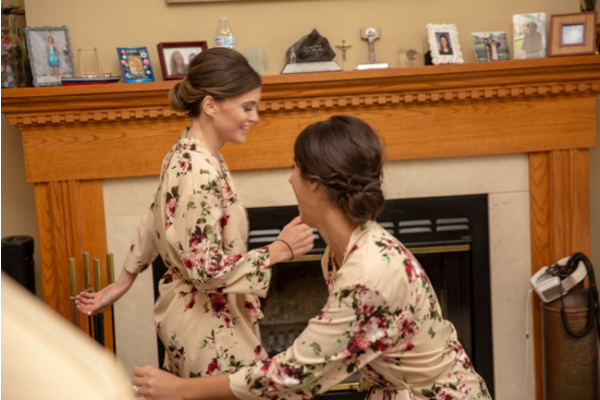 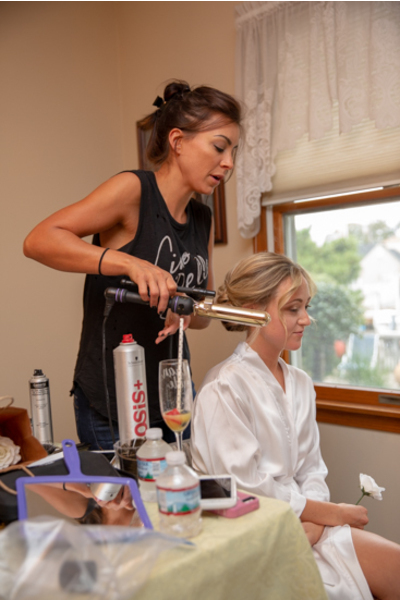 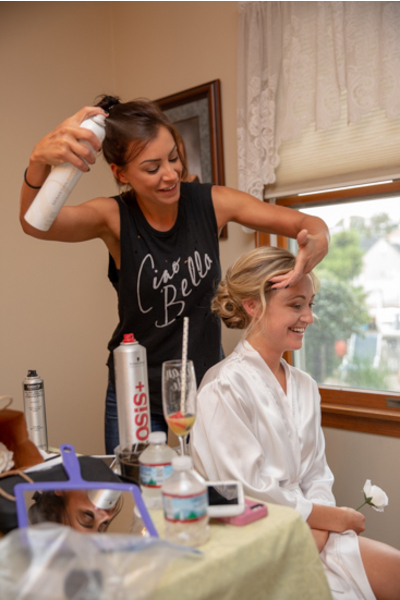 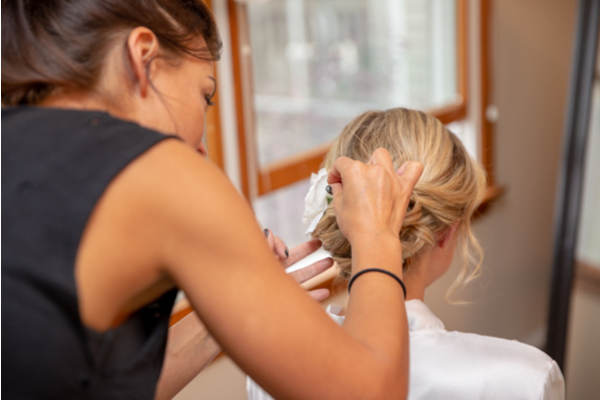 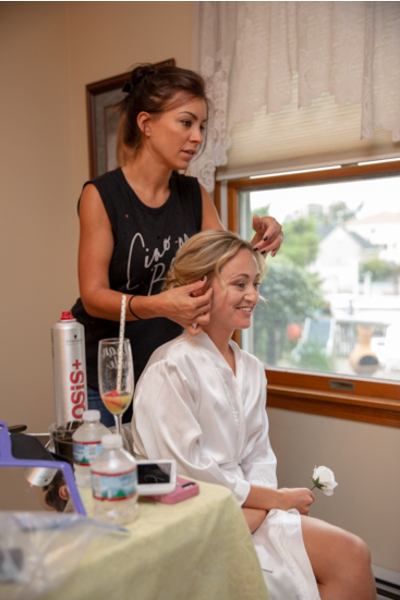 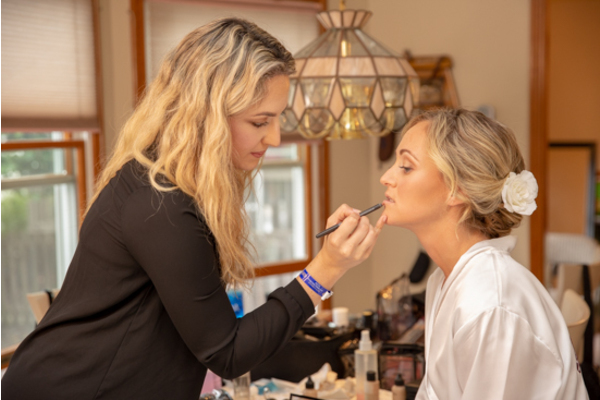 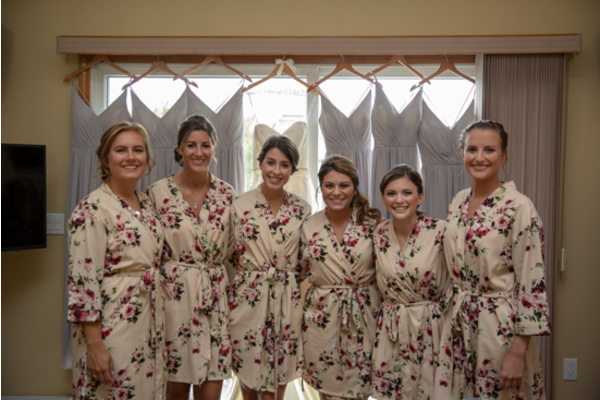 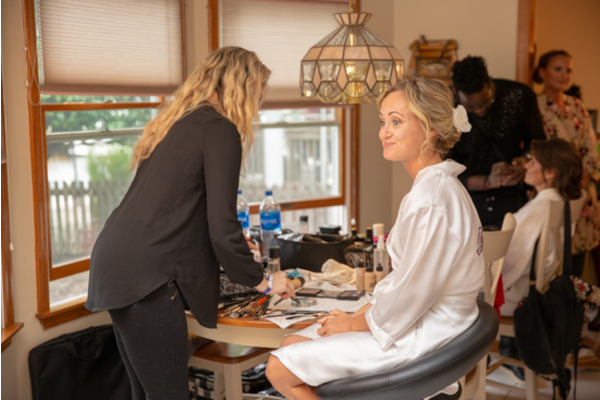 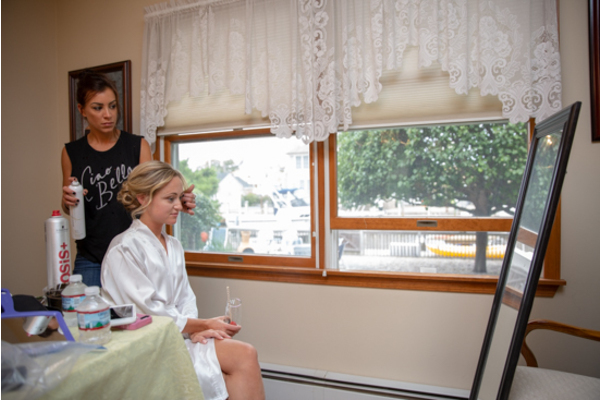 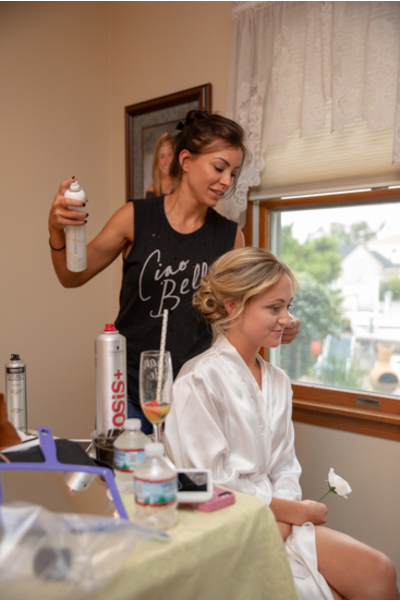 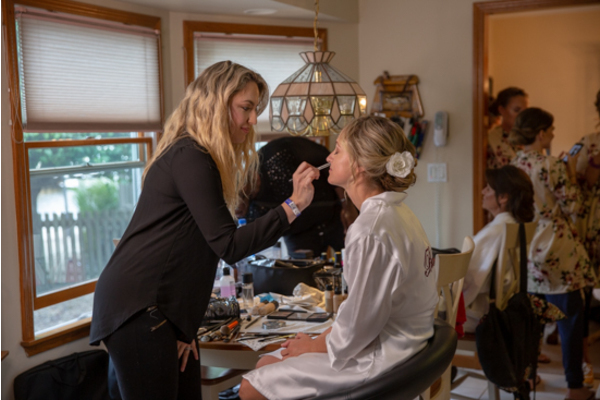 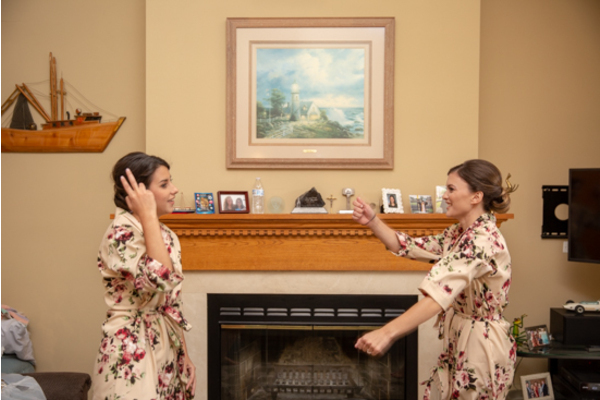 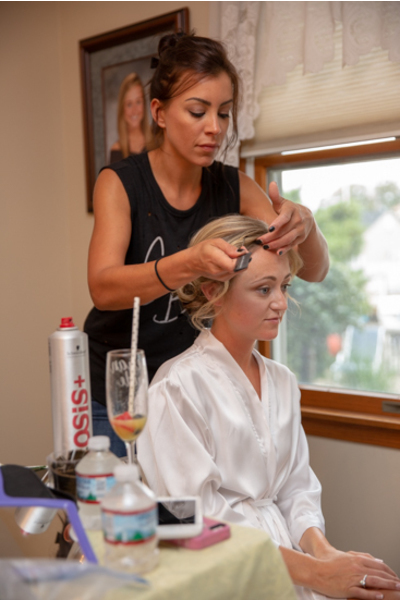 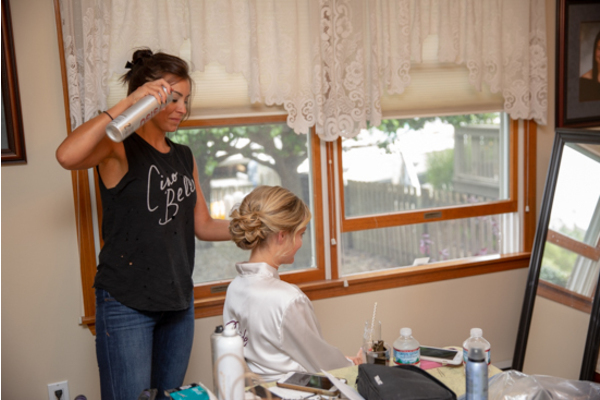 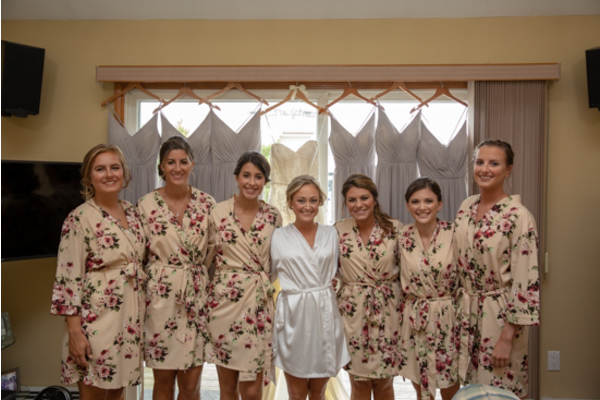 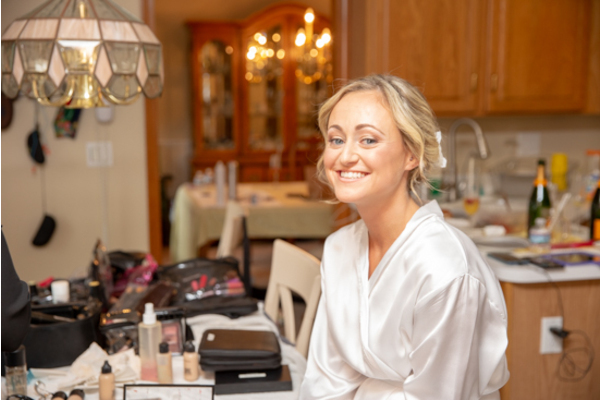 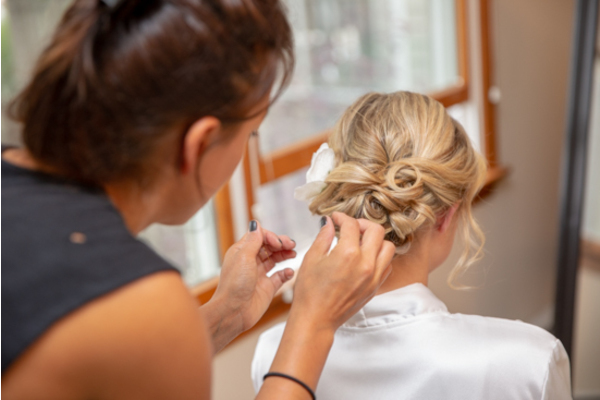 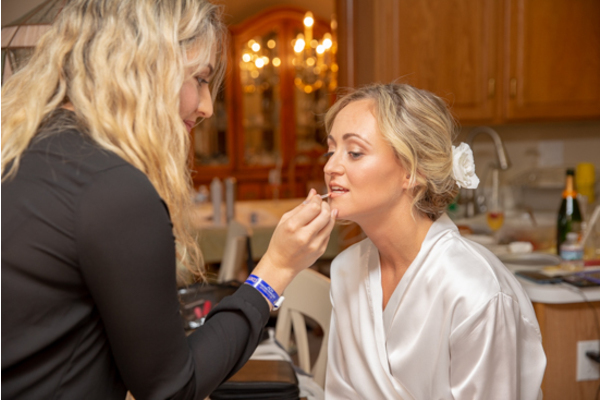 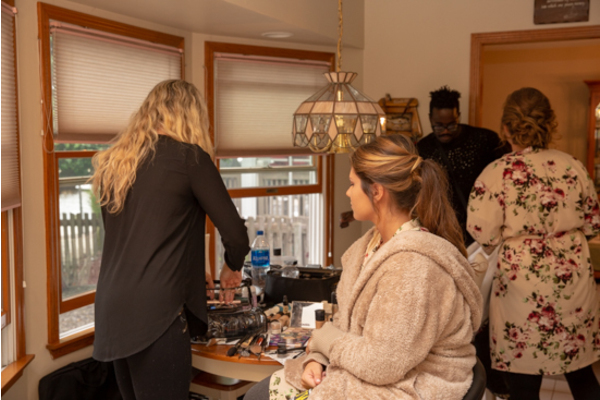 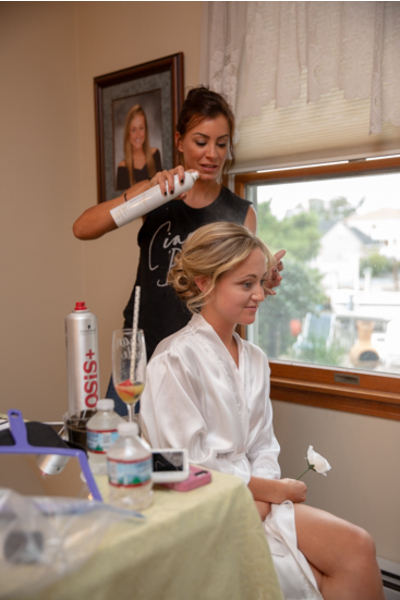 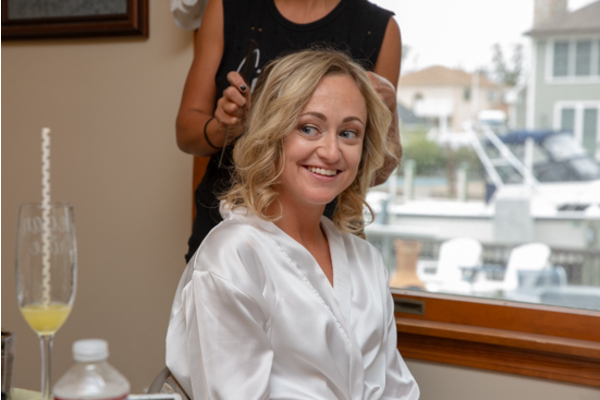 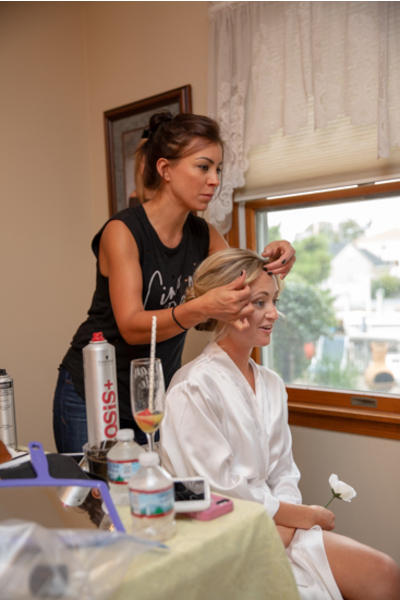 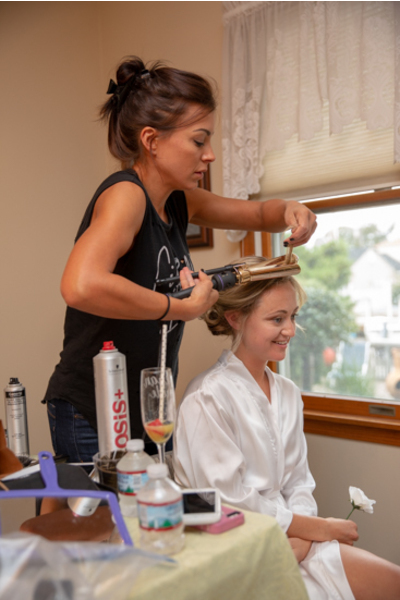 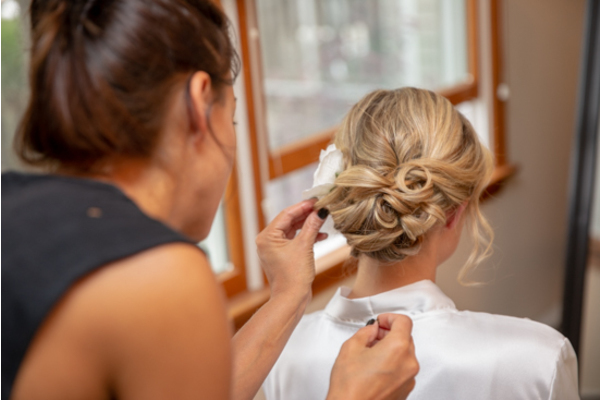 This unforgettable day started out with Meg getting her makeup done with her bridesmaids. 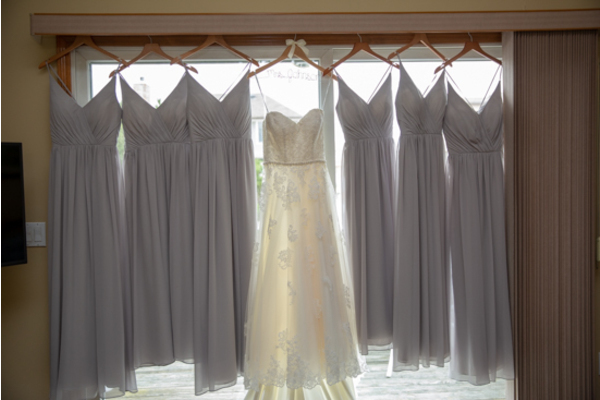 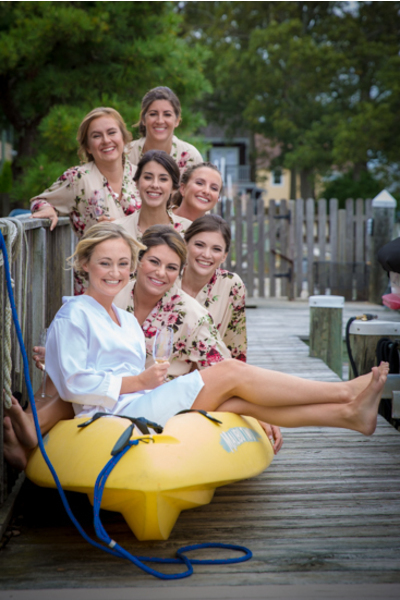 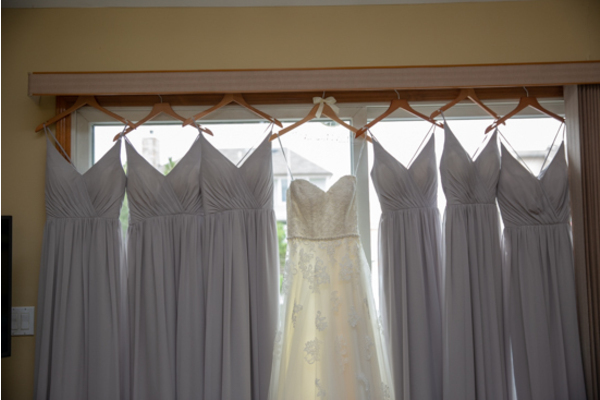 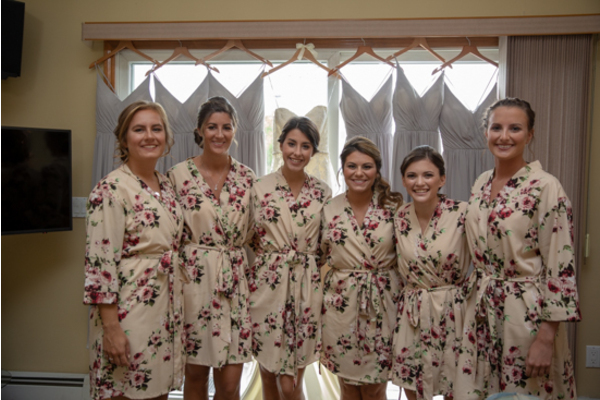 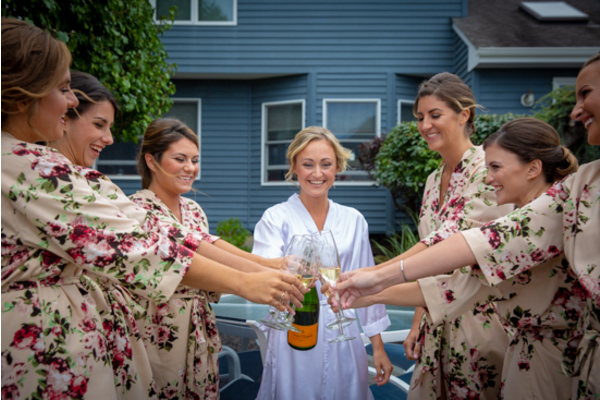 The bridal party took stunning pictures near the water before putting on their gorgeous dresses. 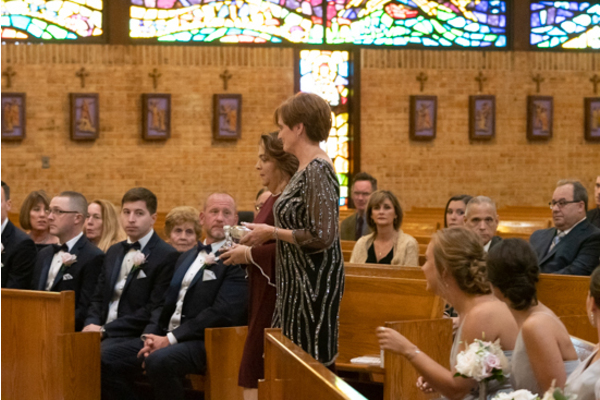 The mother of the bride put Meg’s veil on. 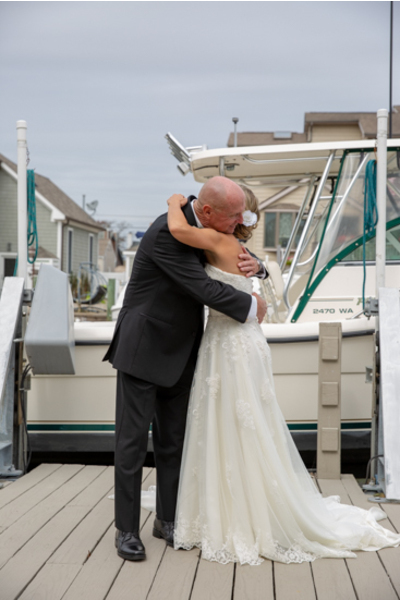 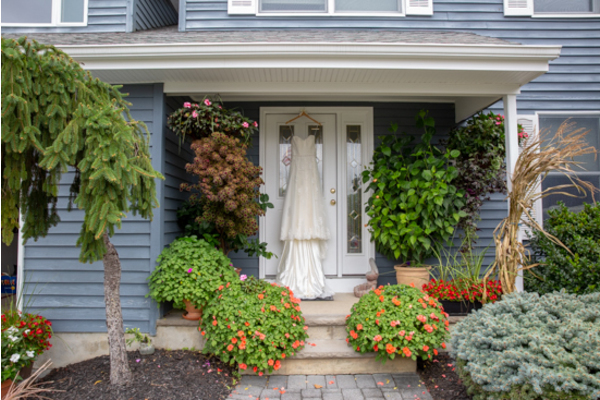 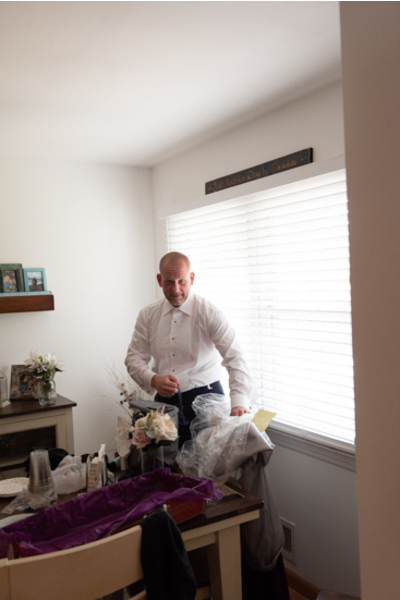 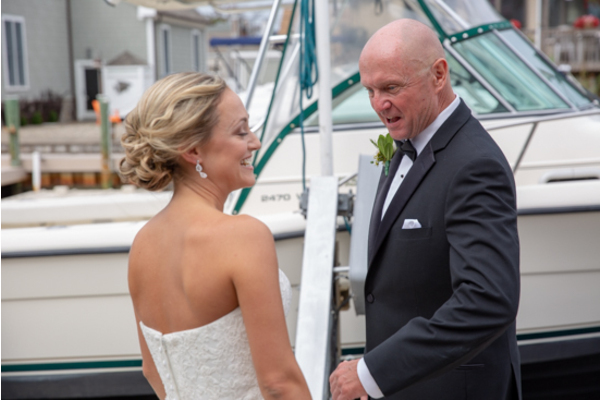 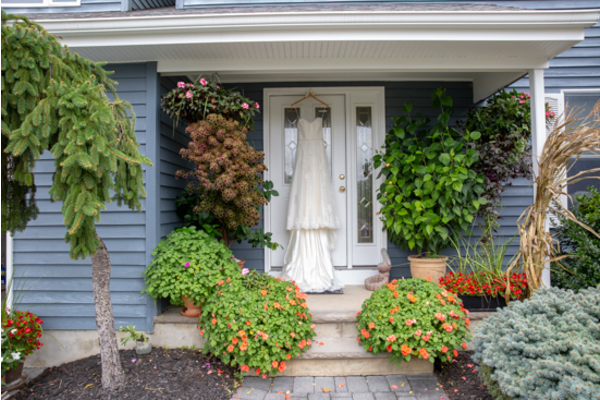 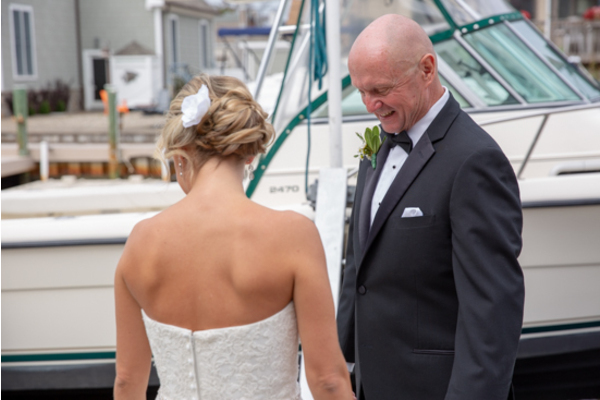 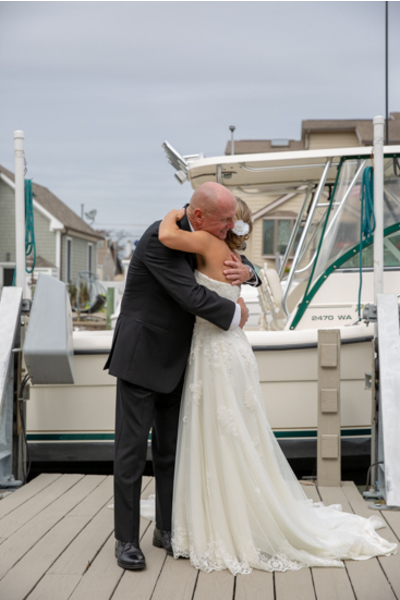 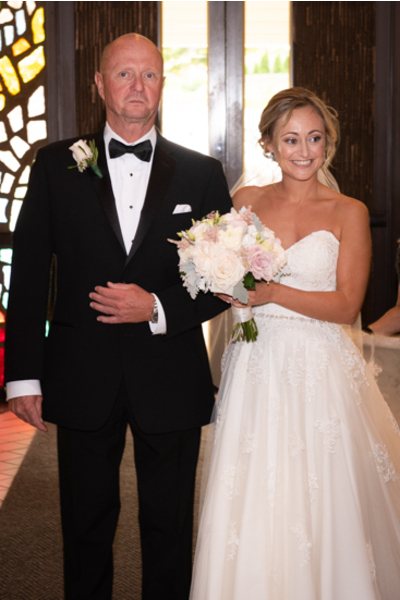 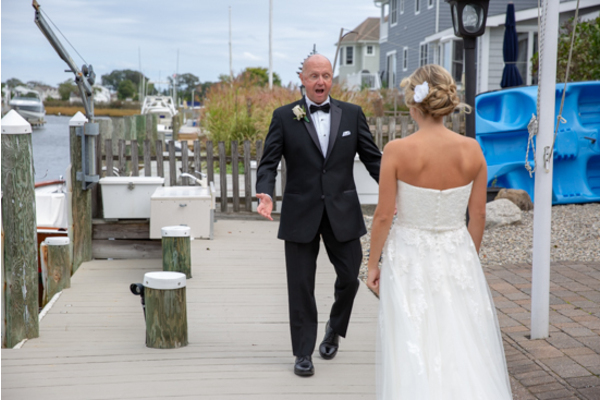 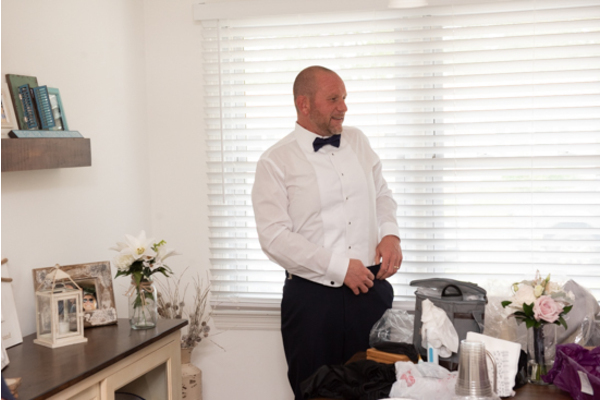 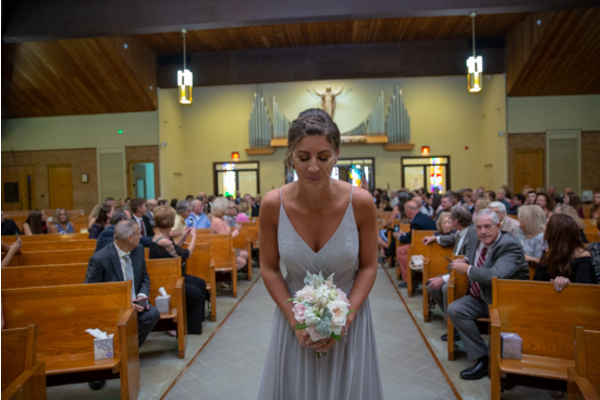 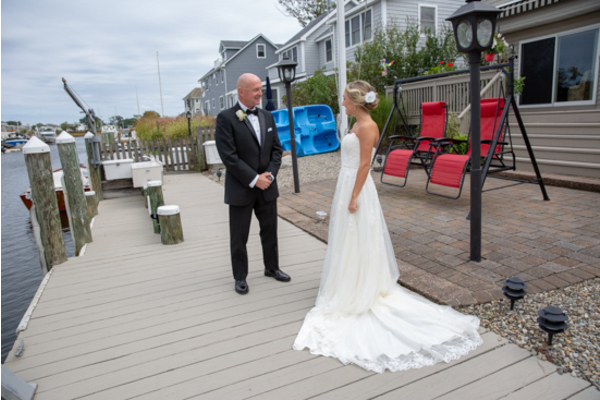 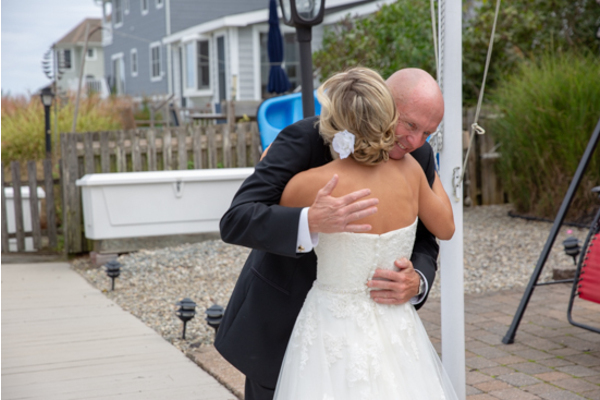 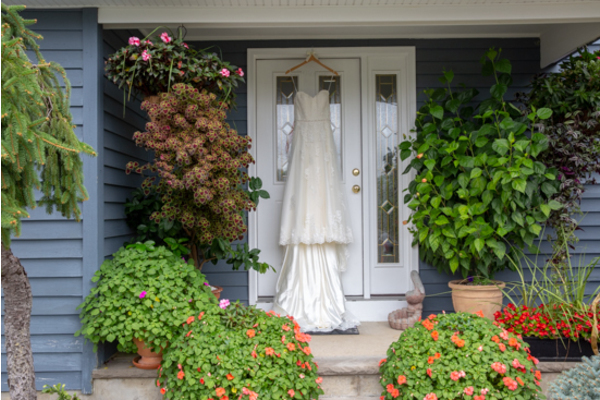 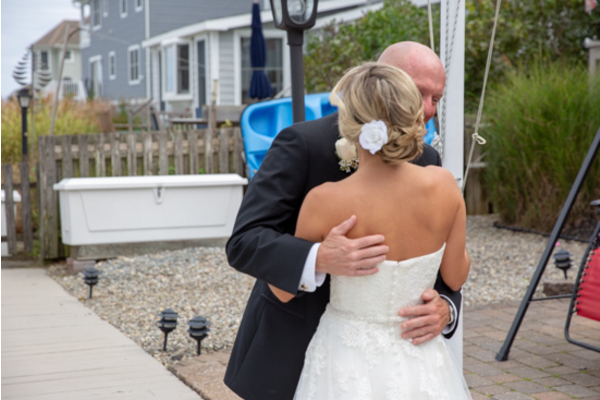 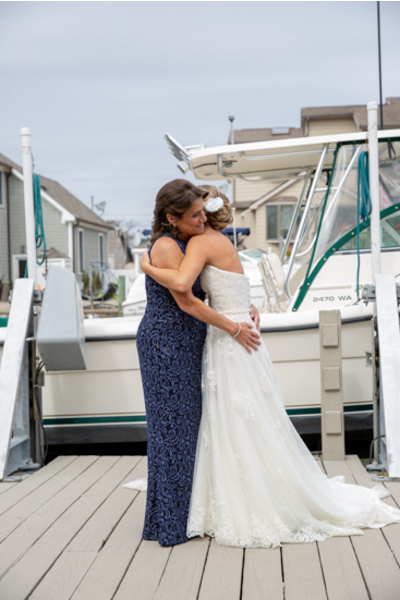 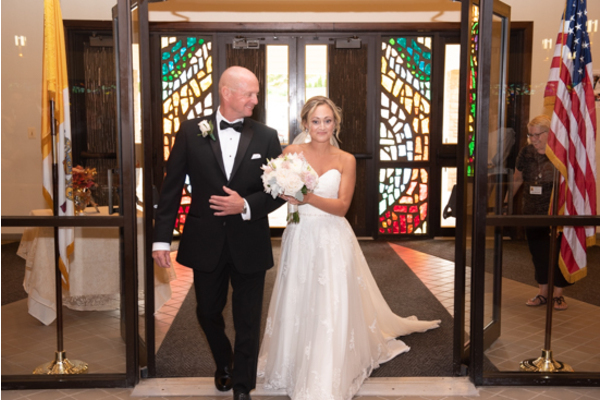 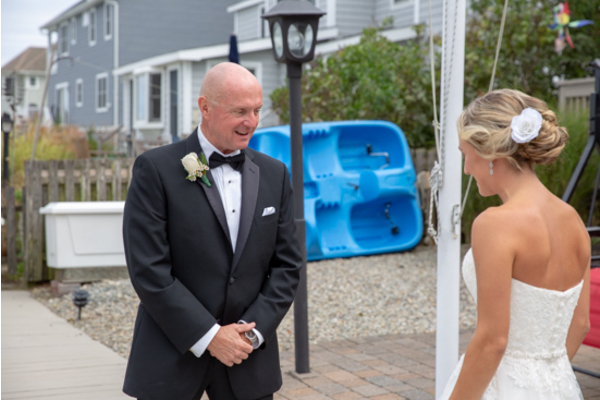 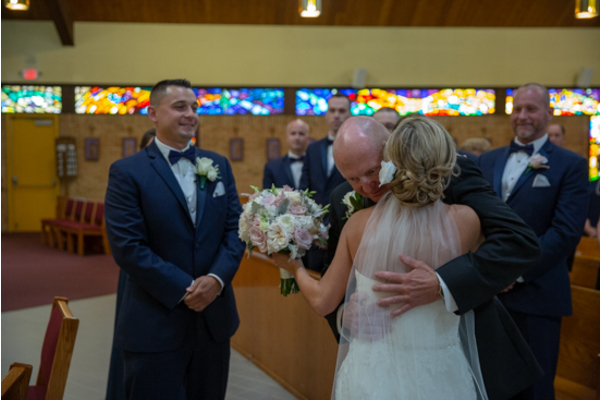 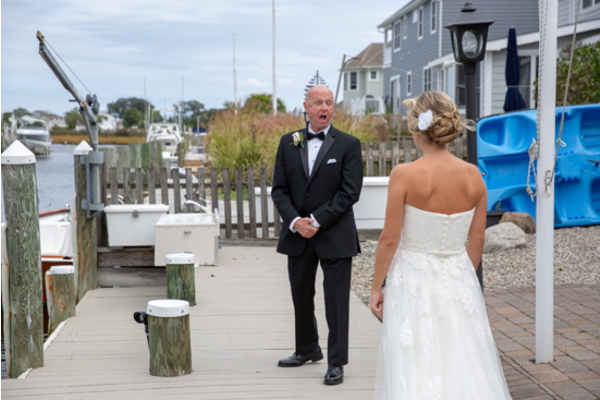 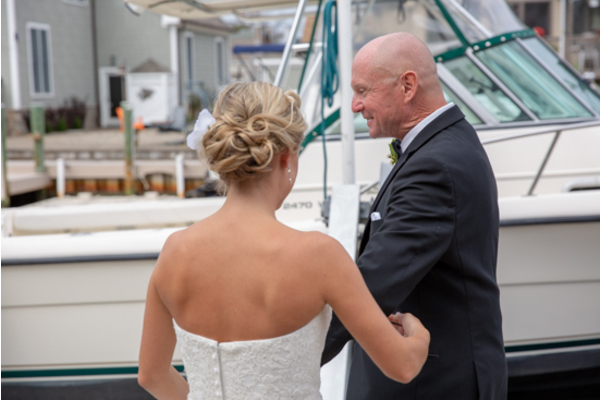 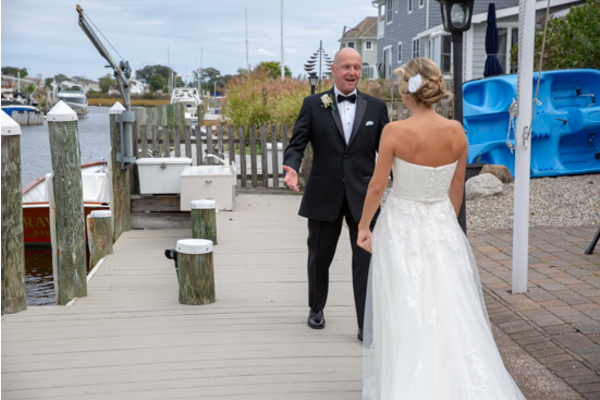 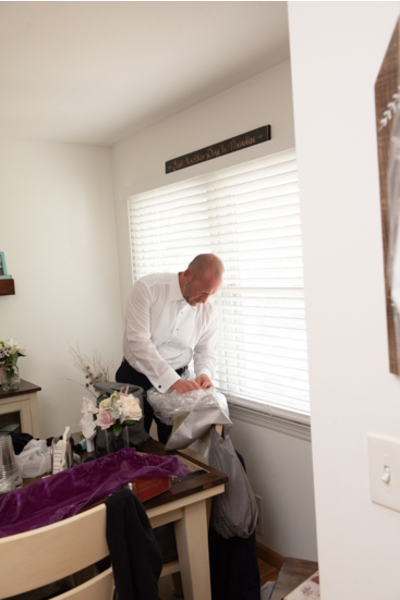 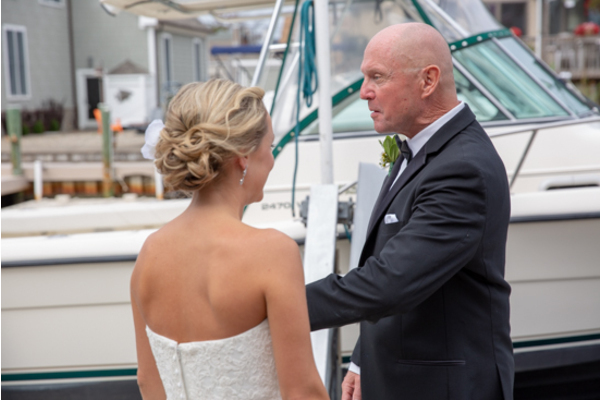 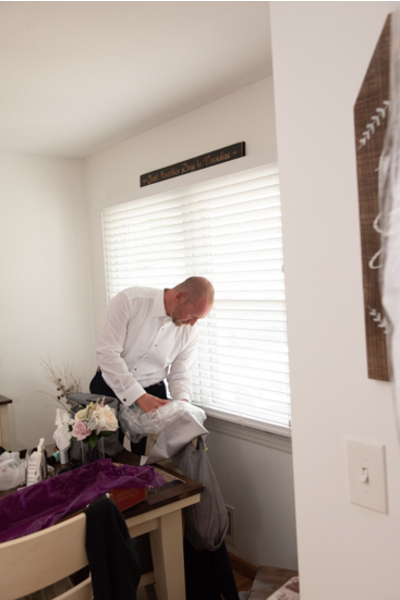 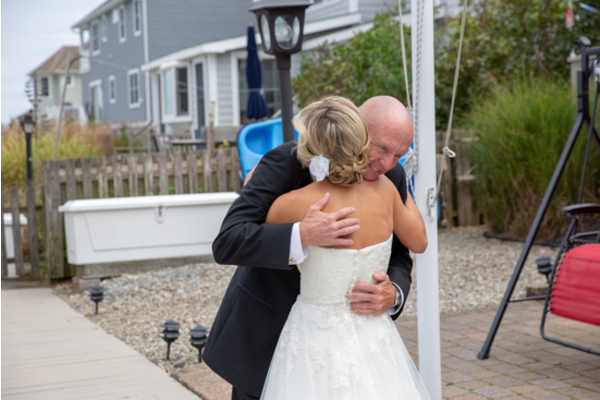 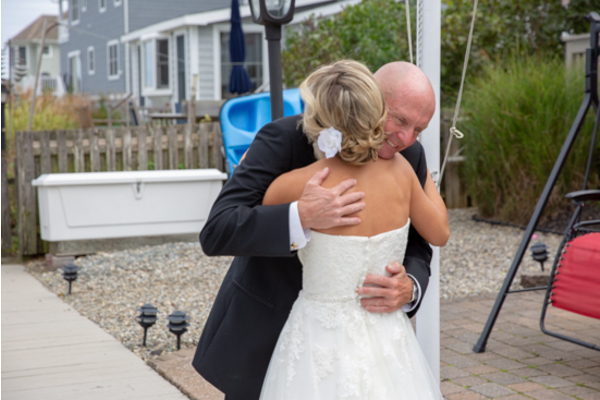 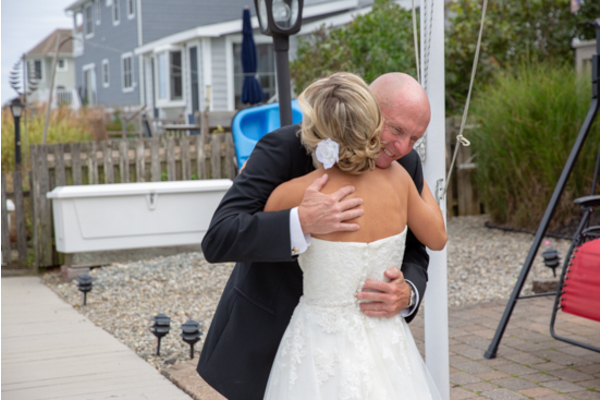 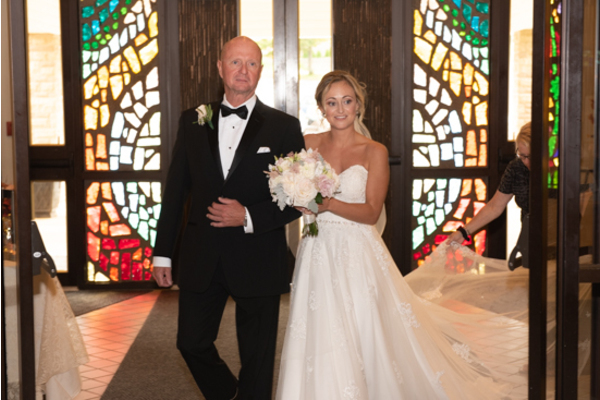 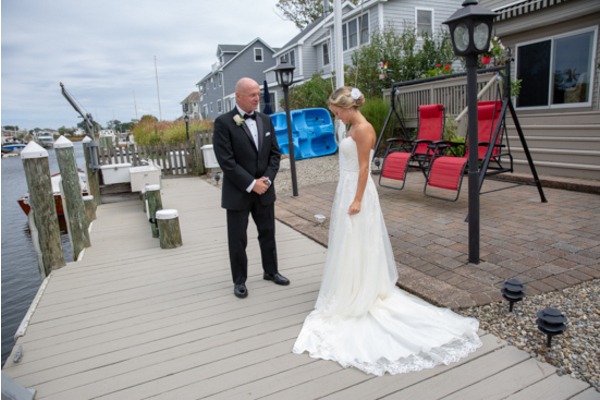 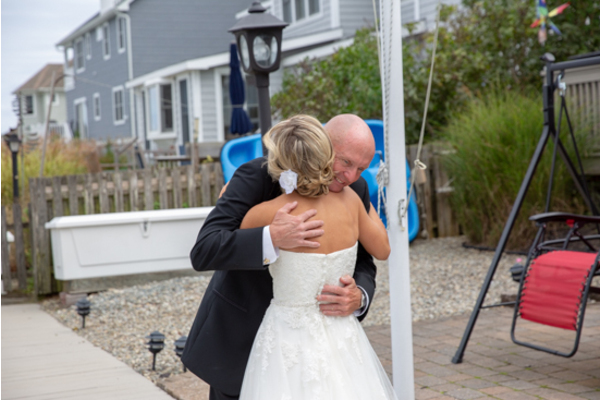 Then, our NJ Wedding Photographer captured the bride’s emotional first look with her father. 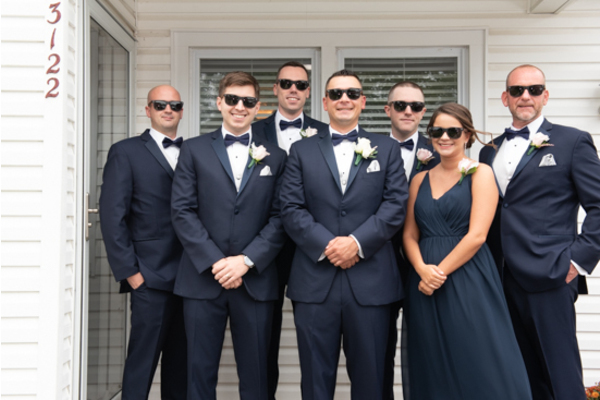 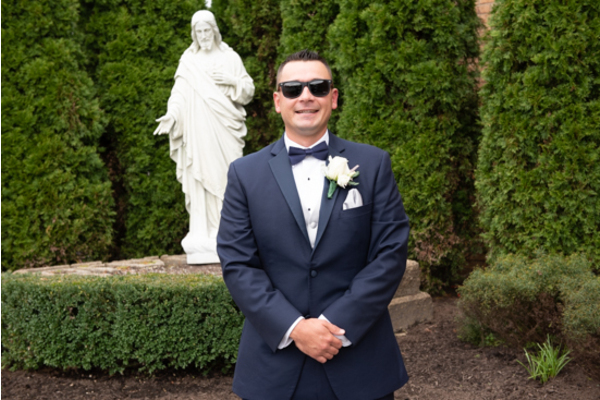 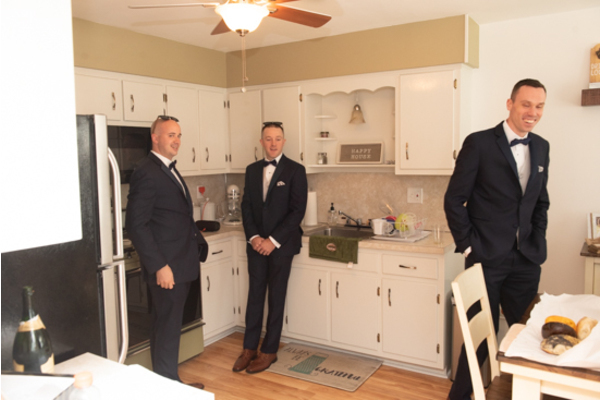 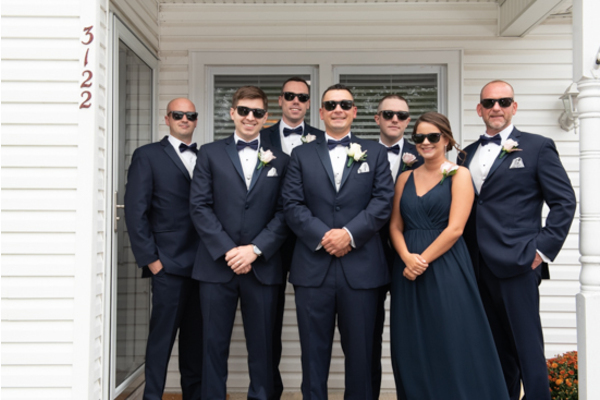 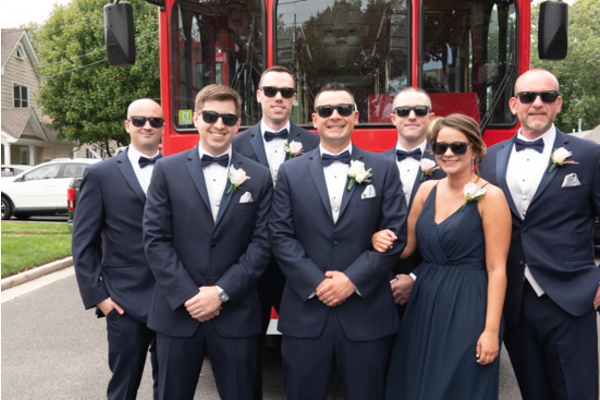 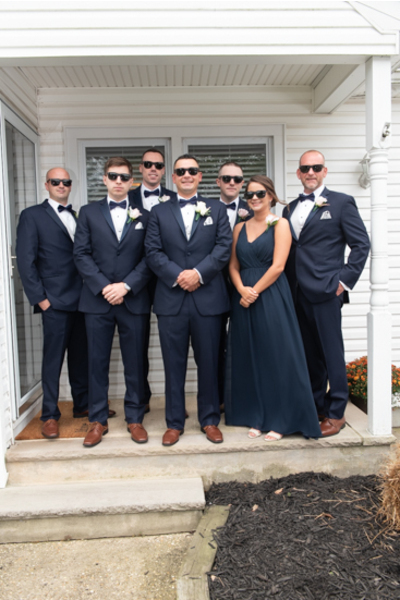 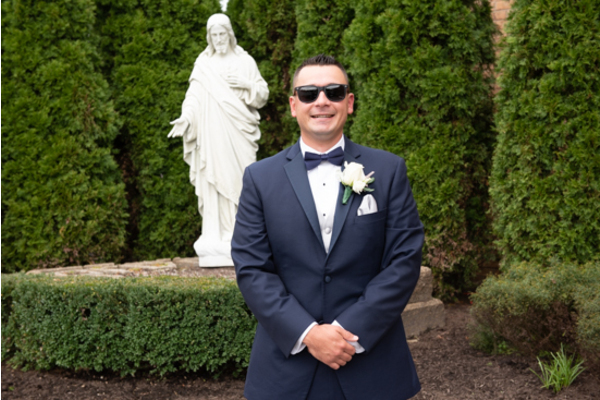 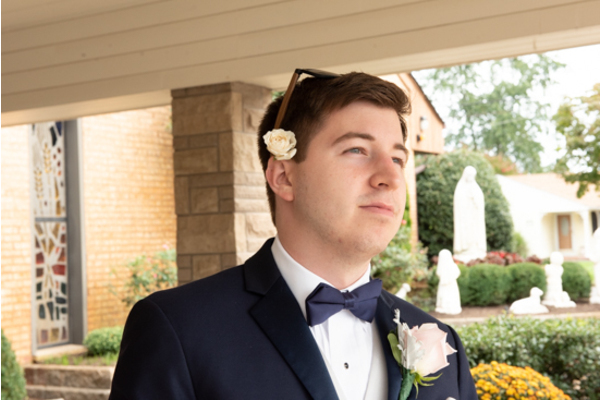 Meanwhile, the groom was getting ready with his wedding party and took some fun pictures with sunglasses! 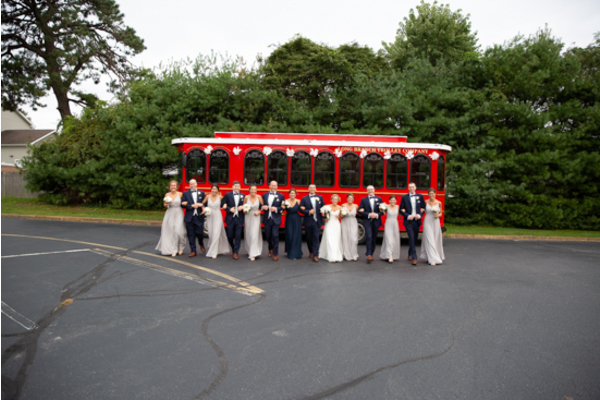 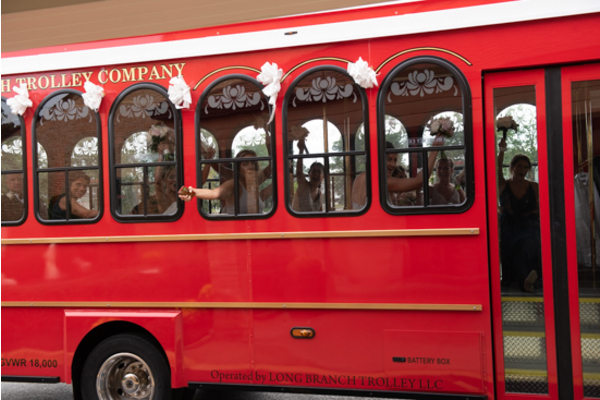 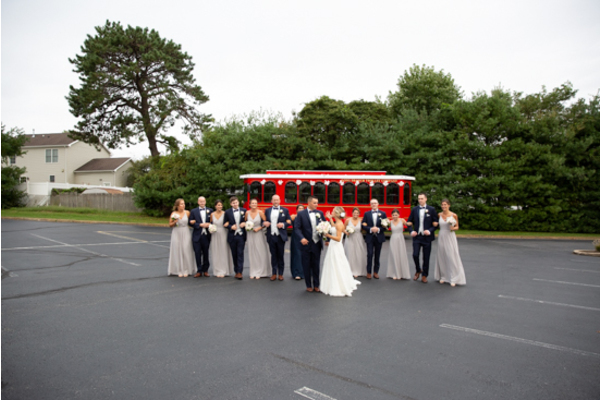 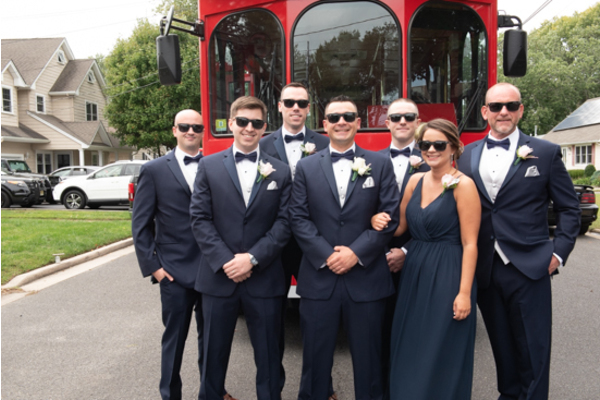 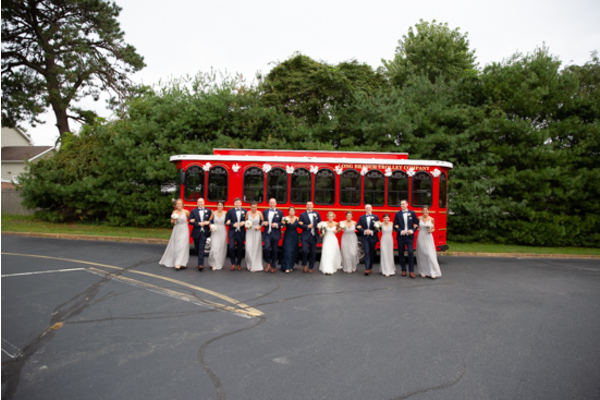 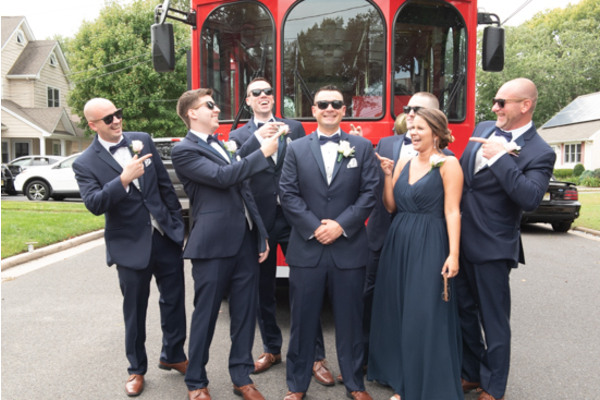 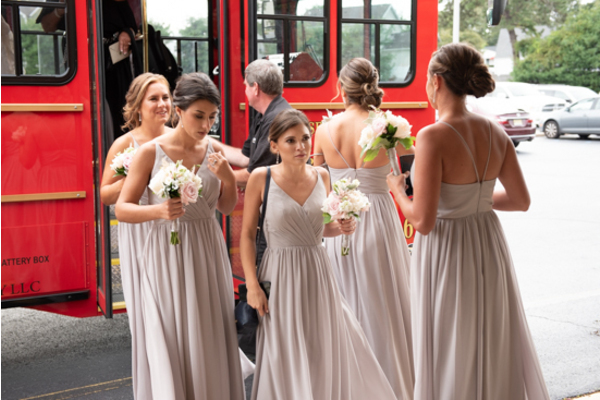 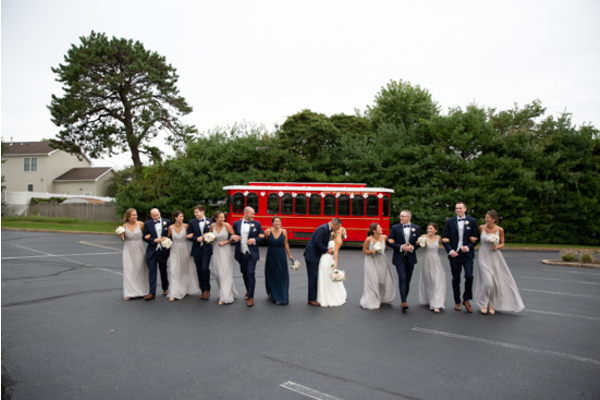 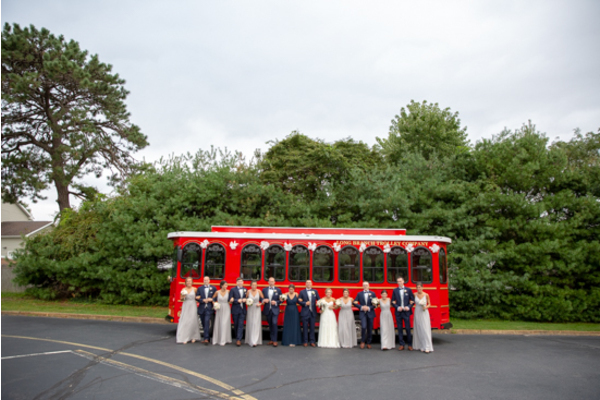 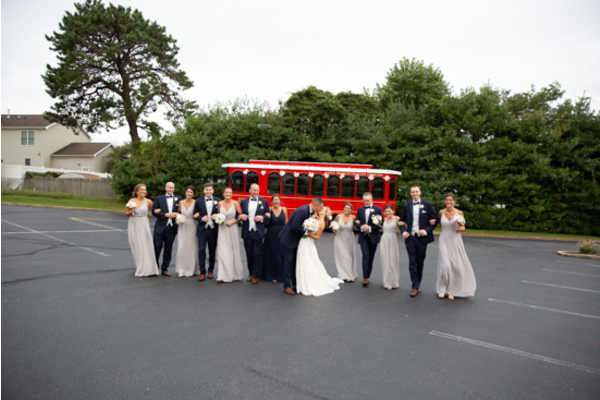 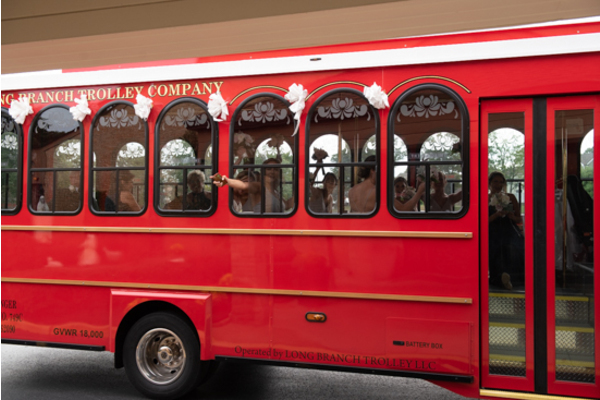 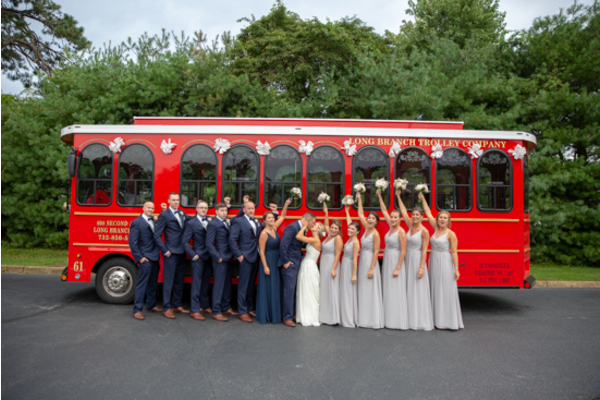 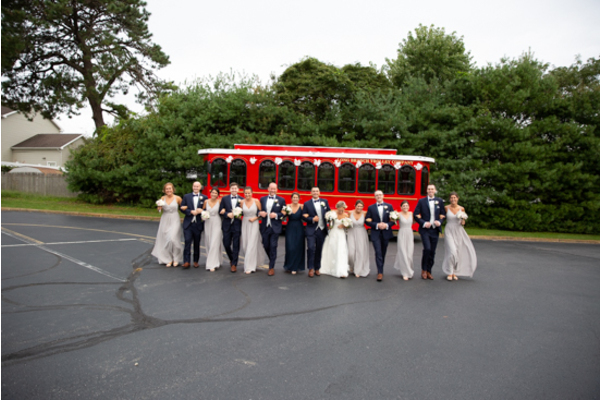 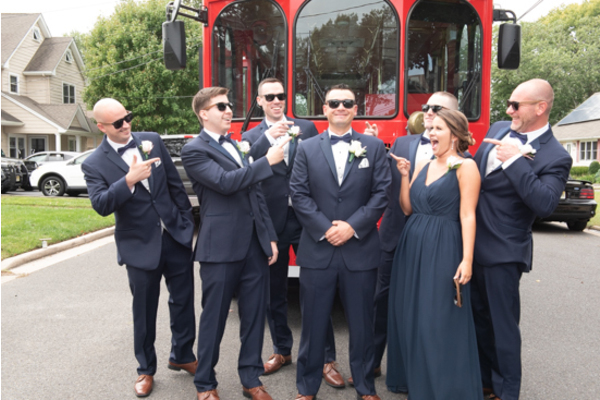 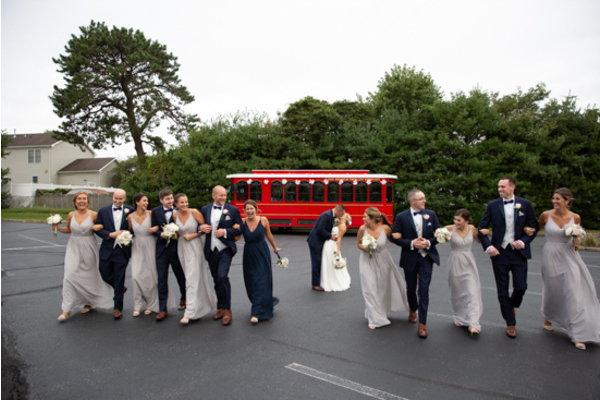 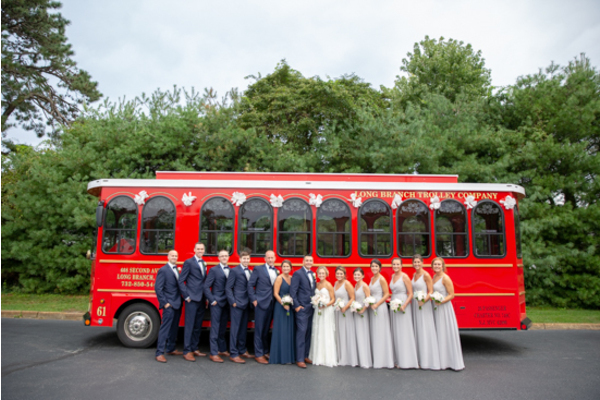 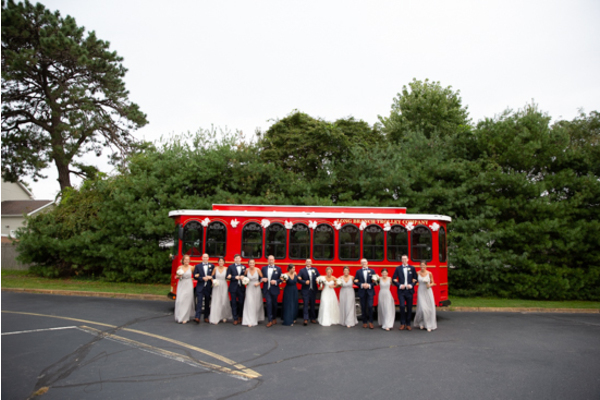 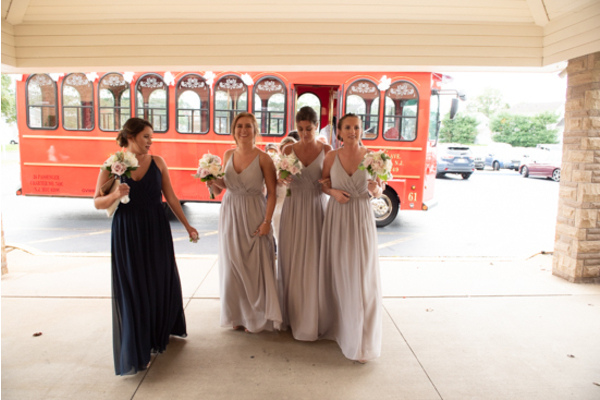 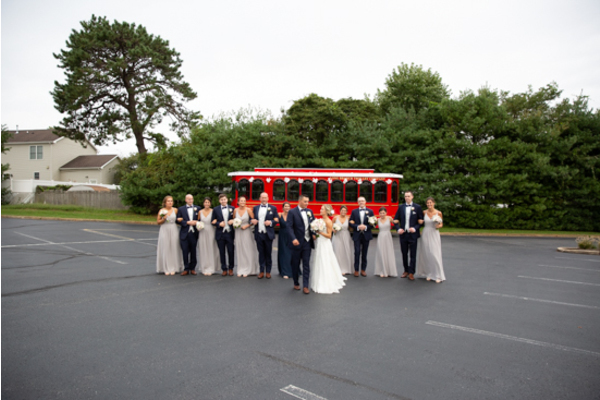 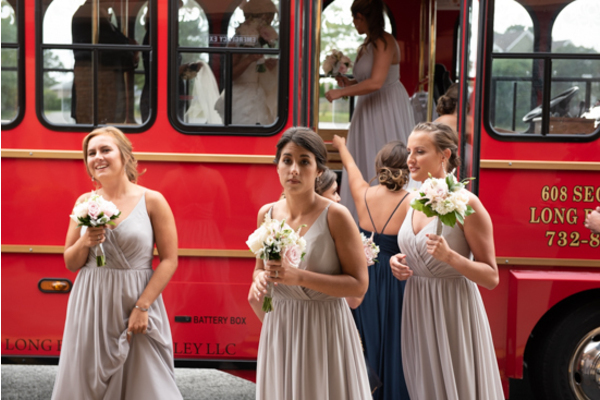 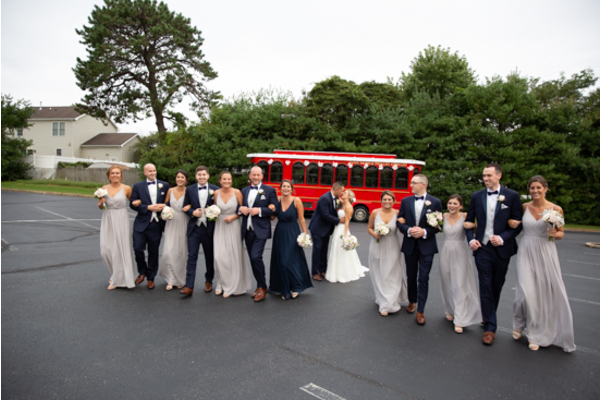 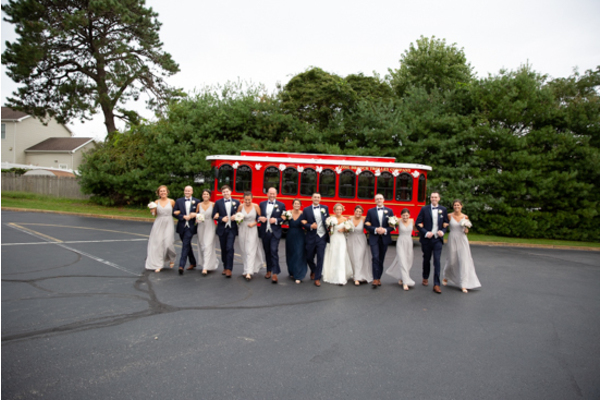 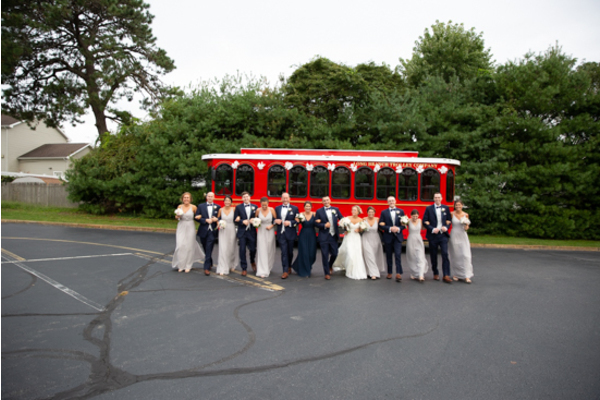 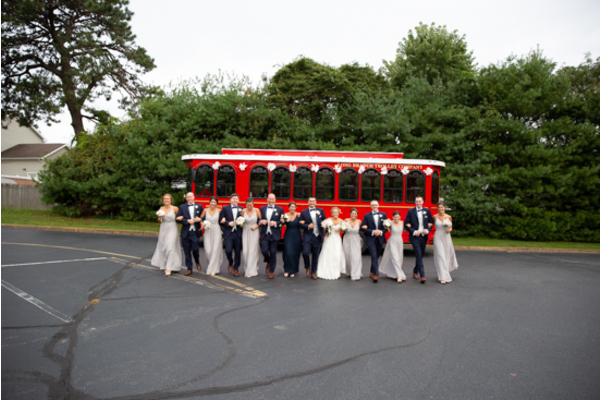 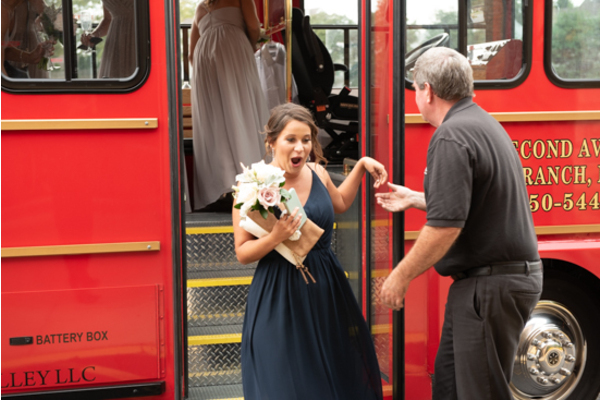 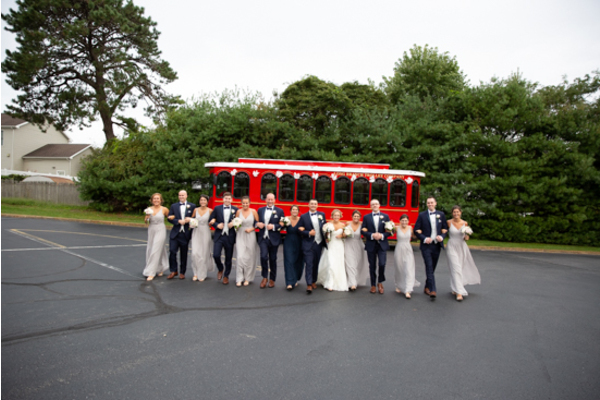 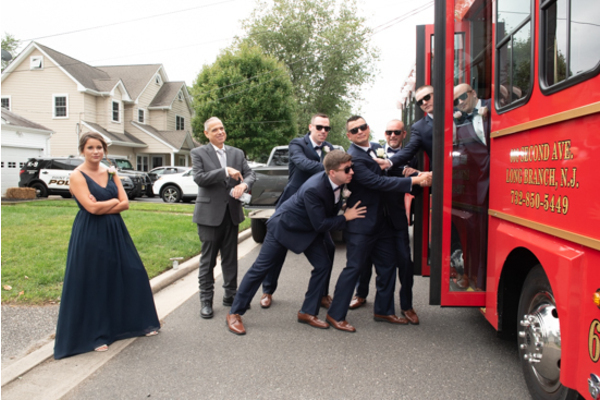 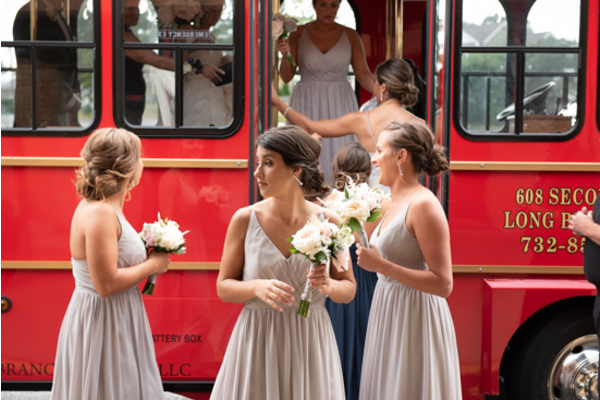 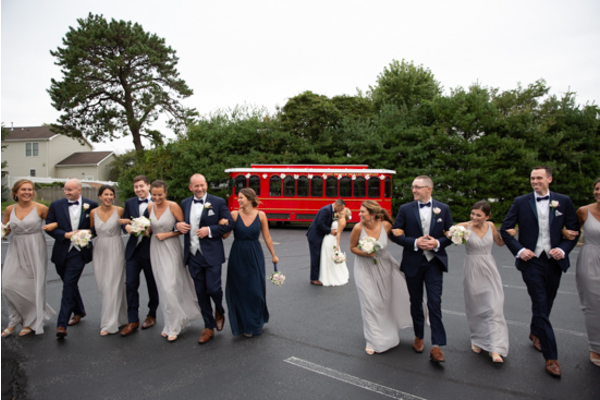 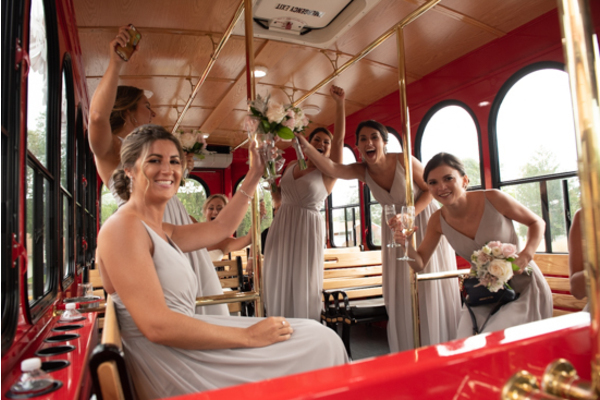 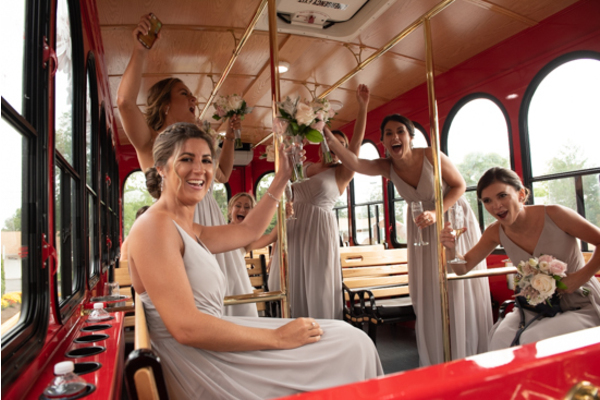 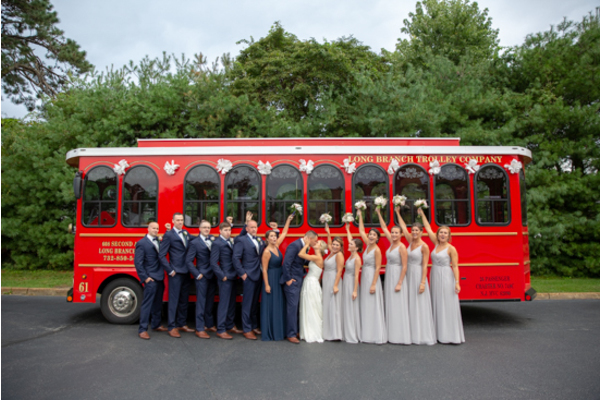 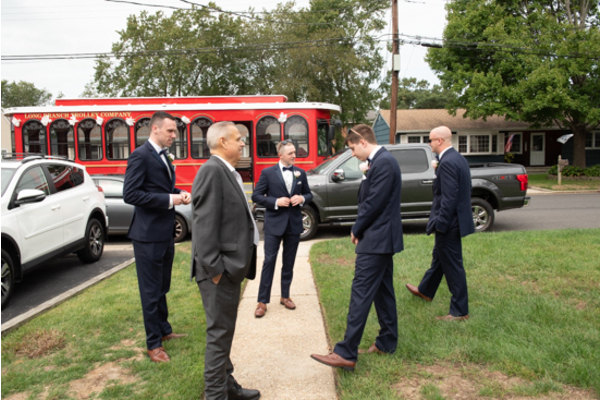 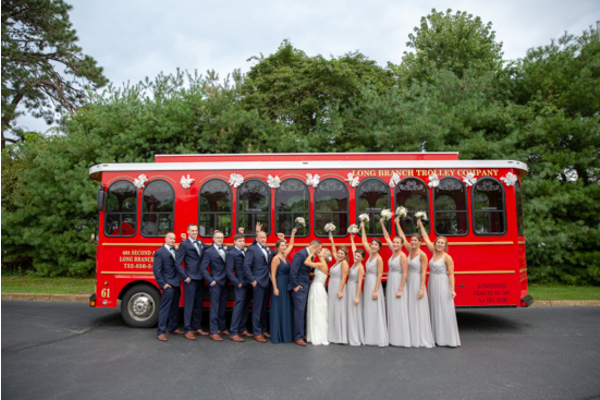 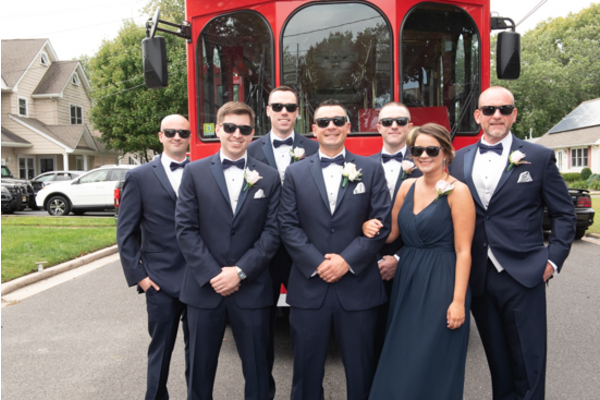 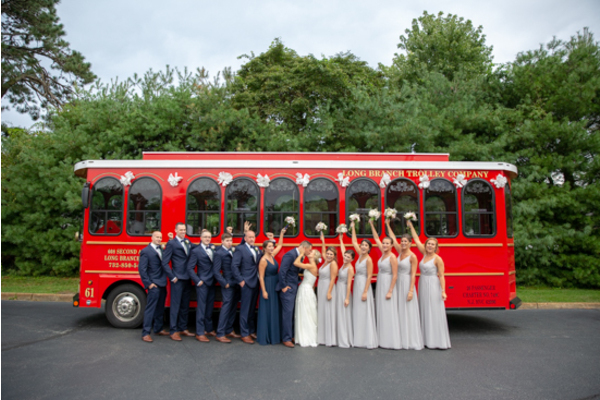 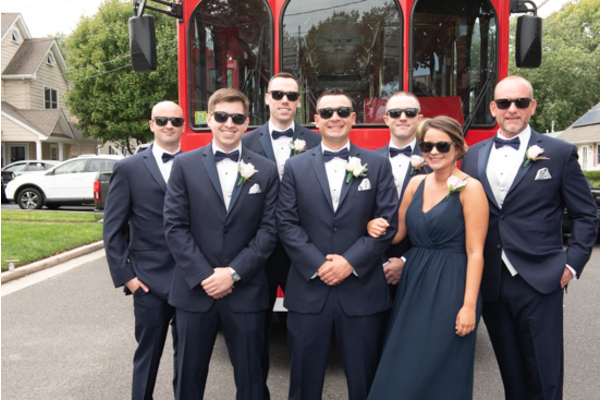 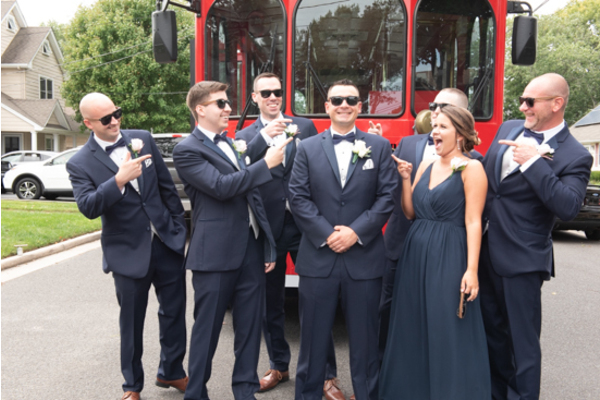 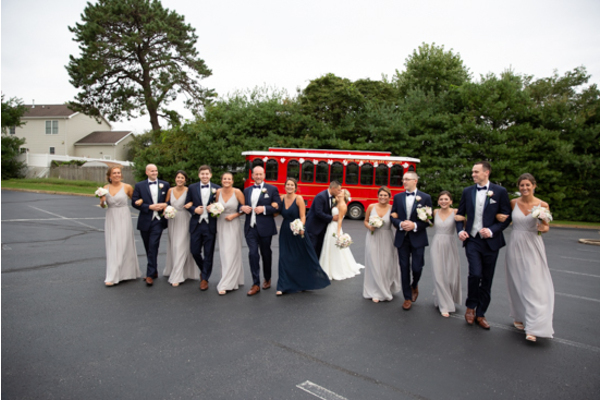 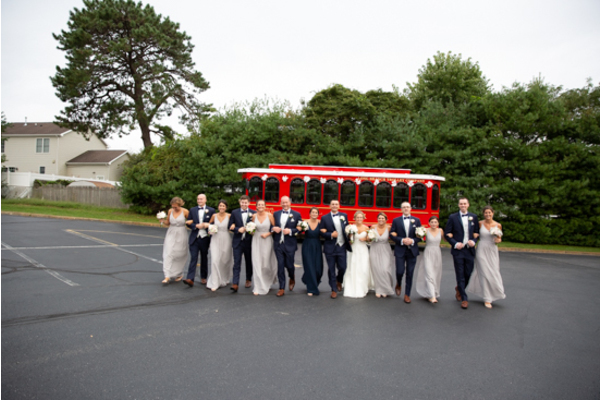 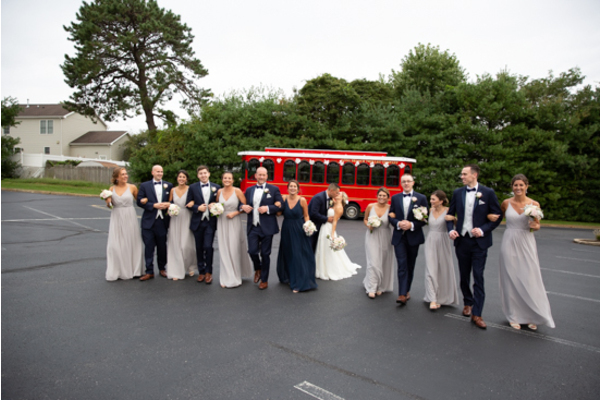 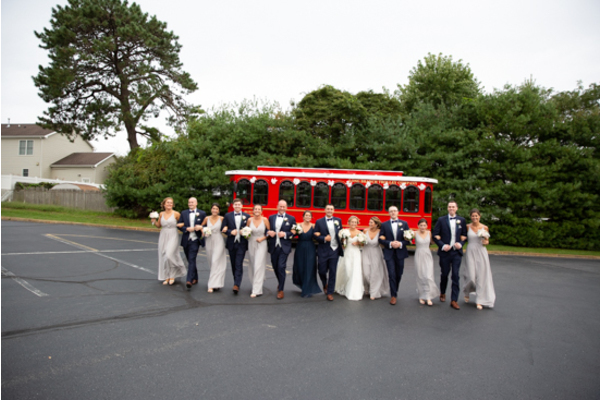 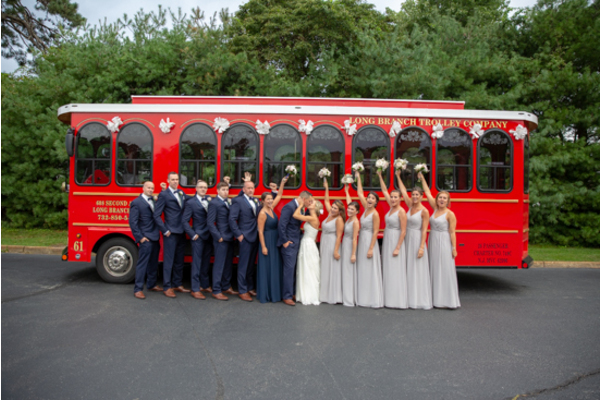 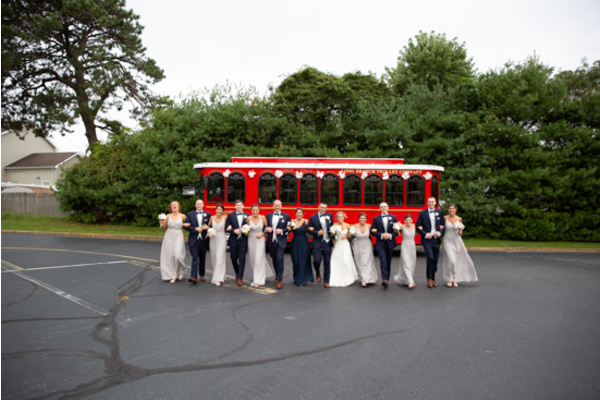 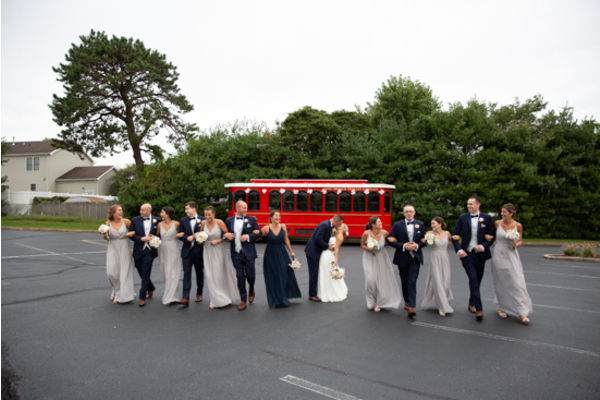 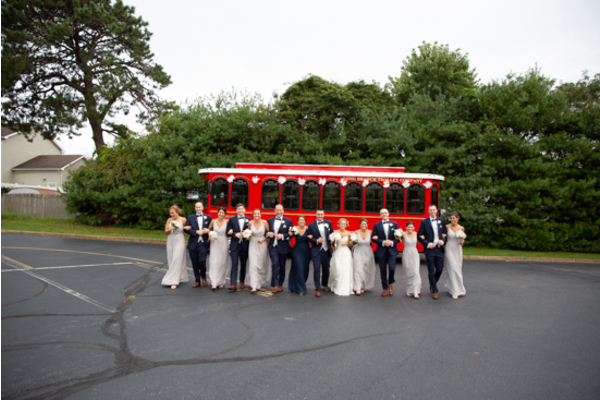 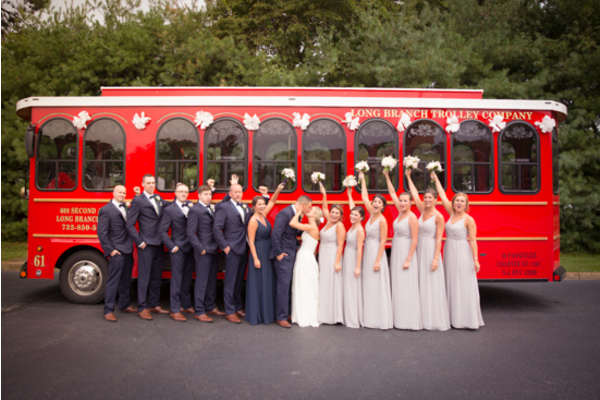 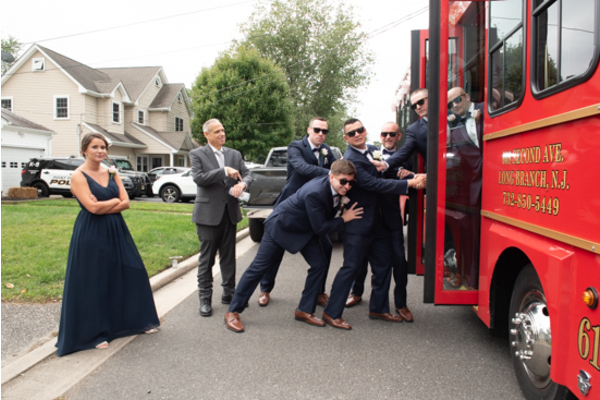 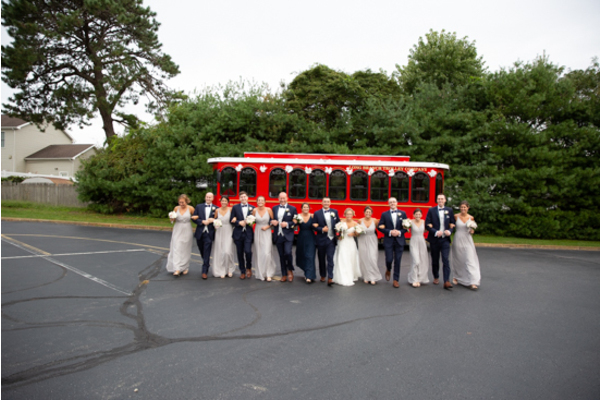 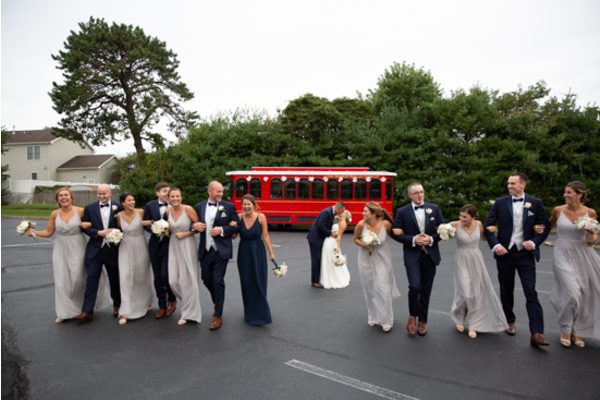 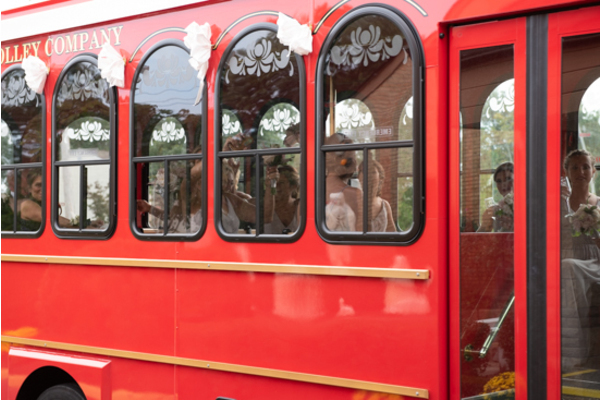 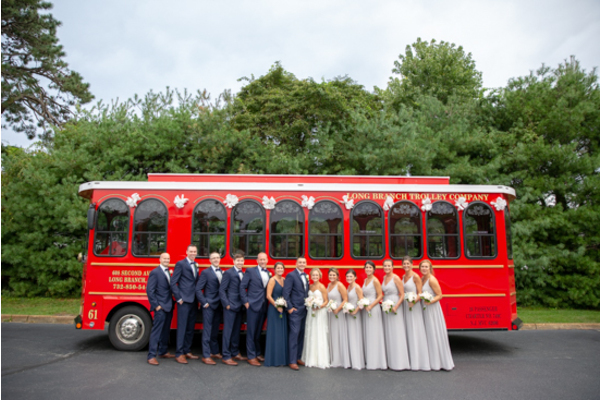 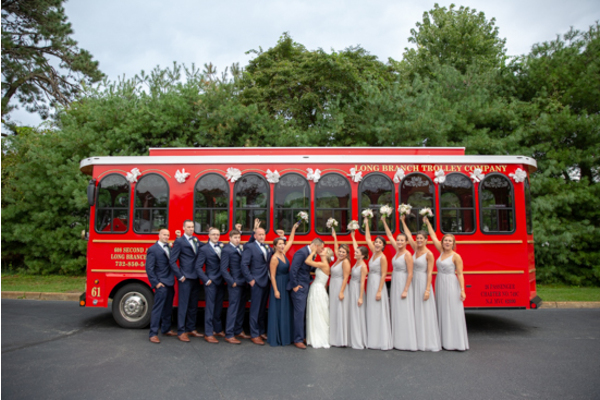 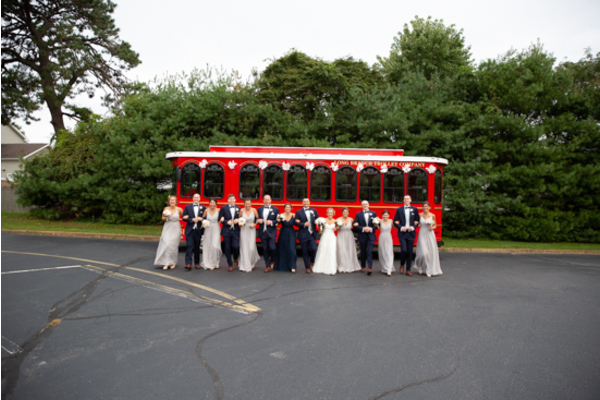 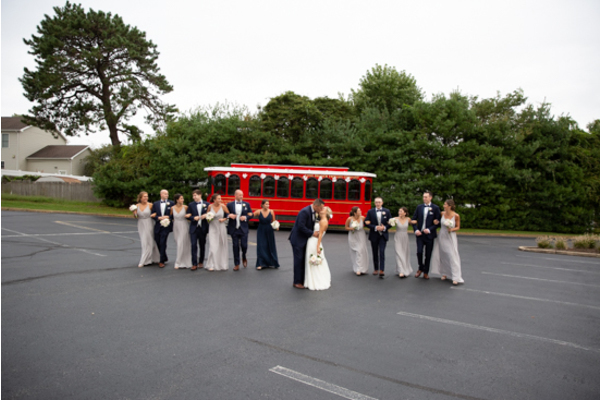 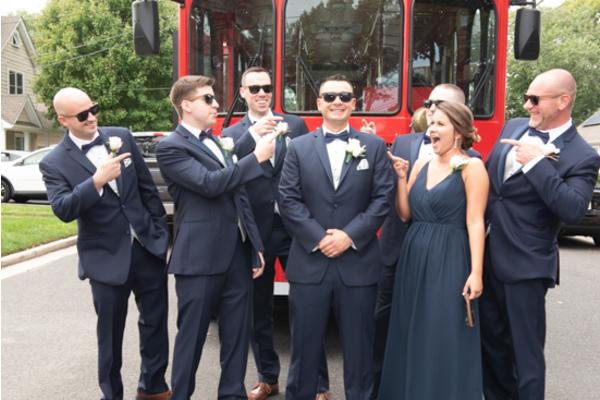 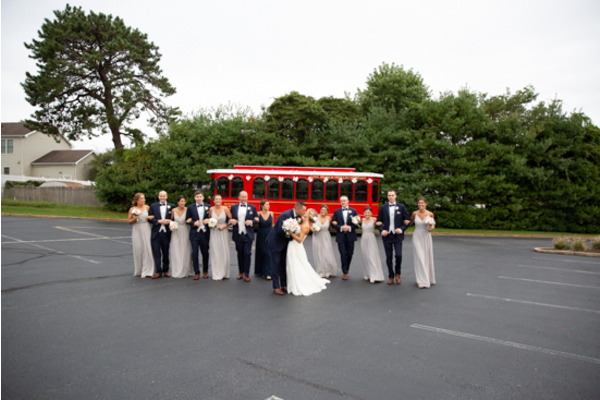 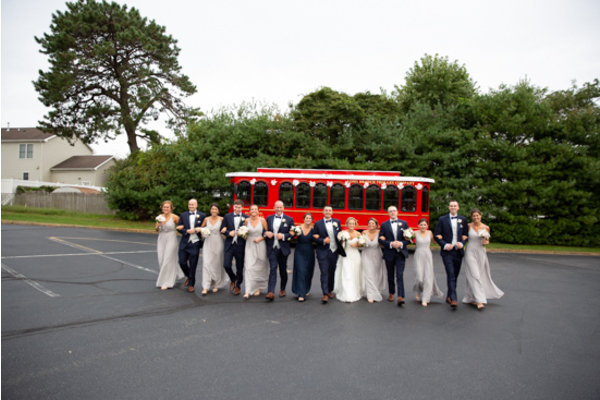 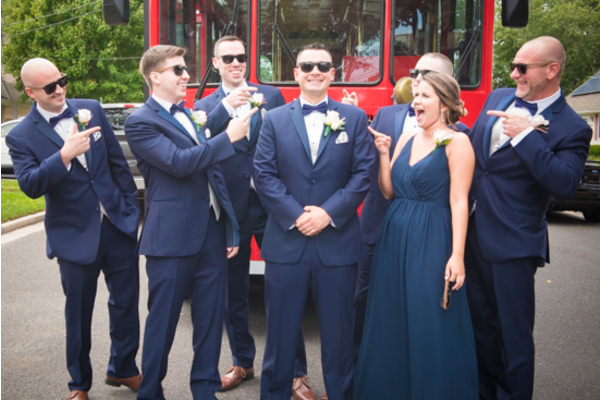 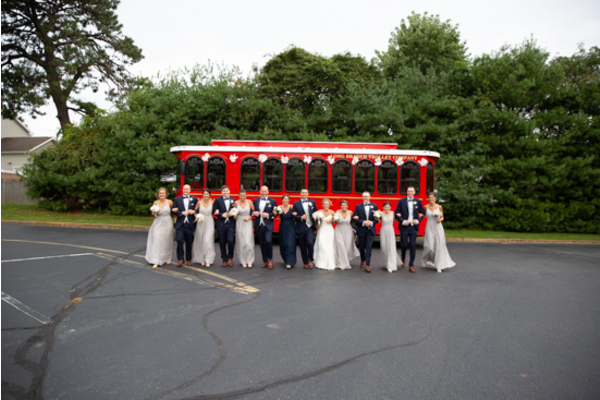 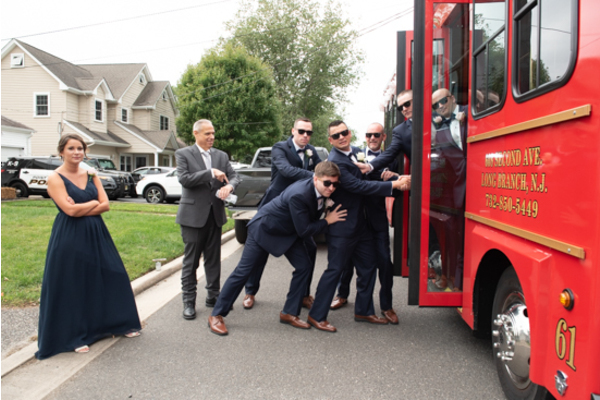 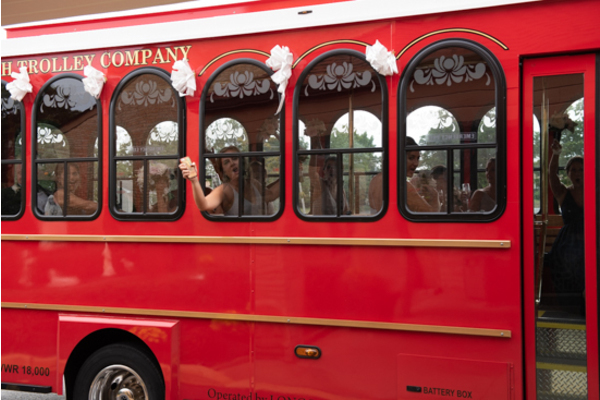 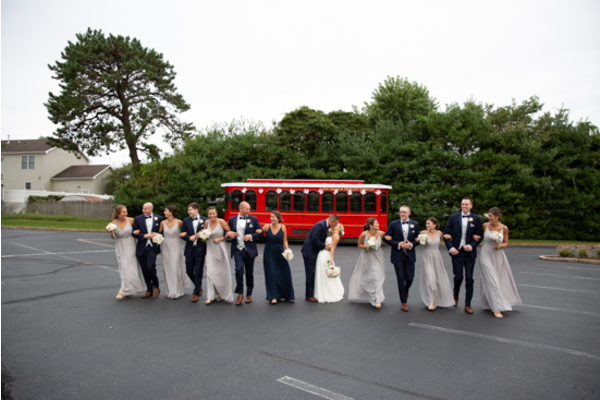 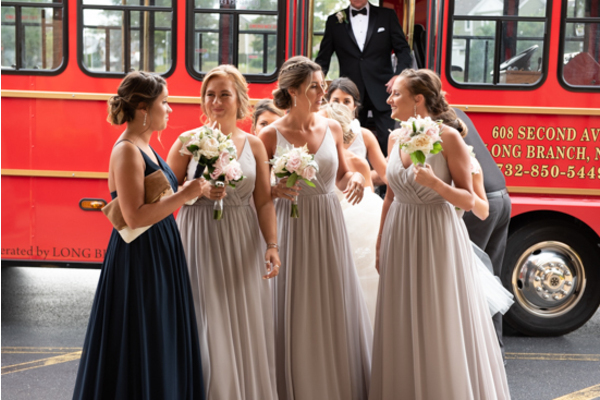 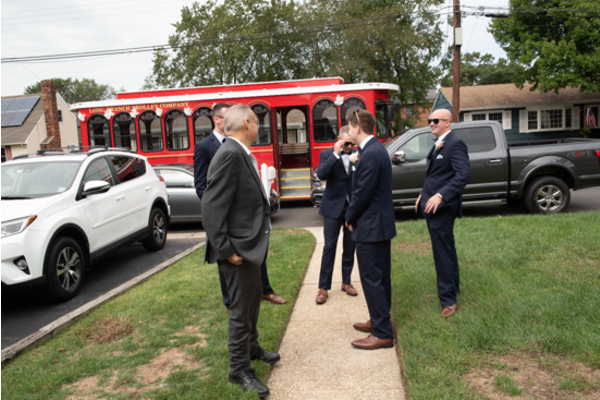 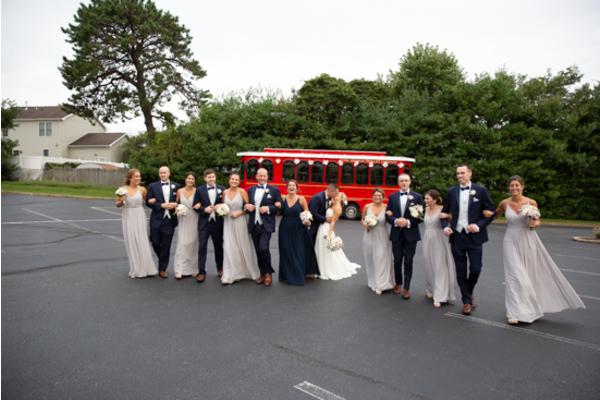 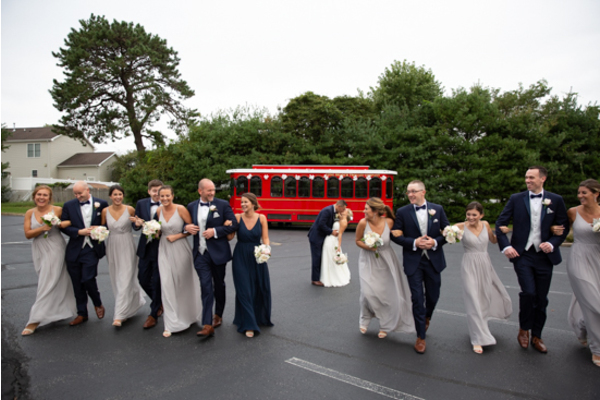 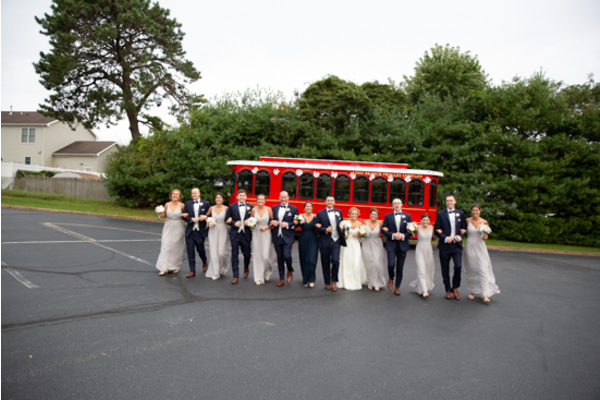 Everyone was now ready for a trolley ride to the ceremony. 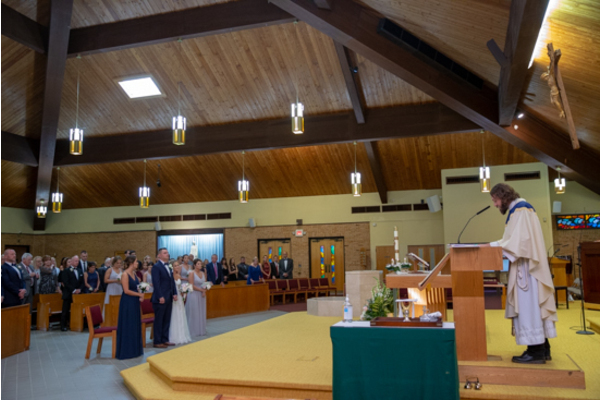 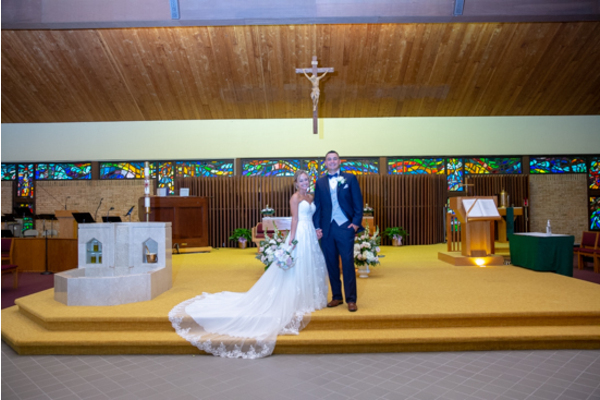 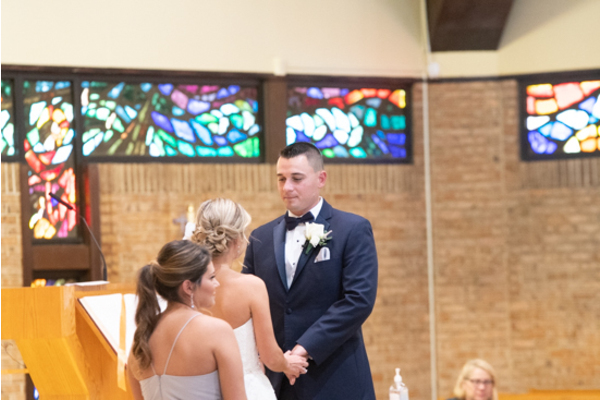 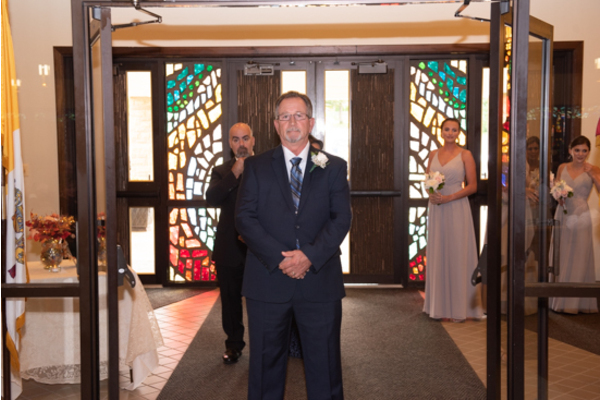 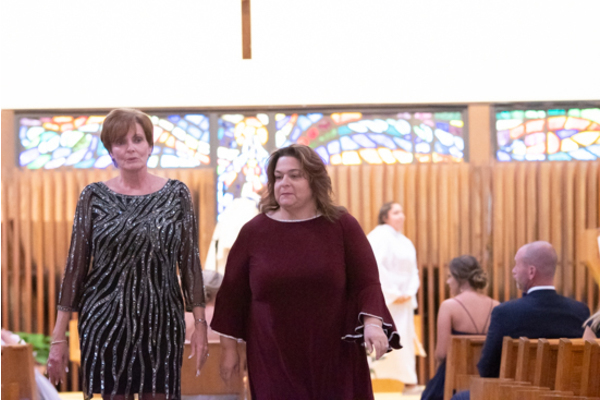 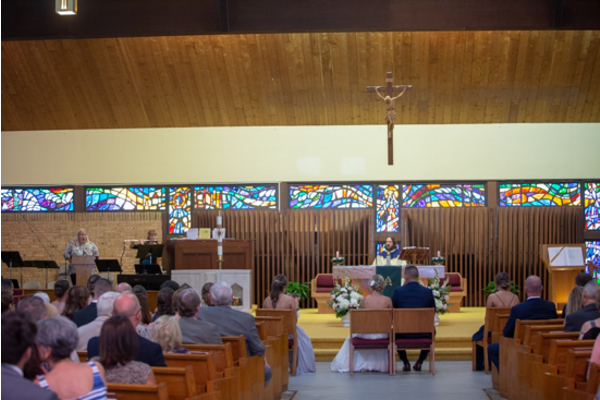 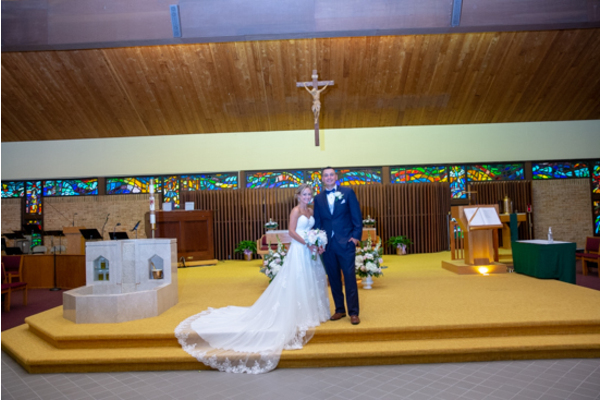 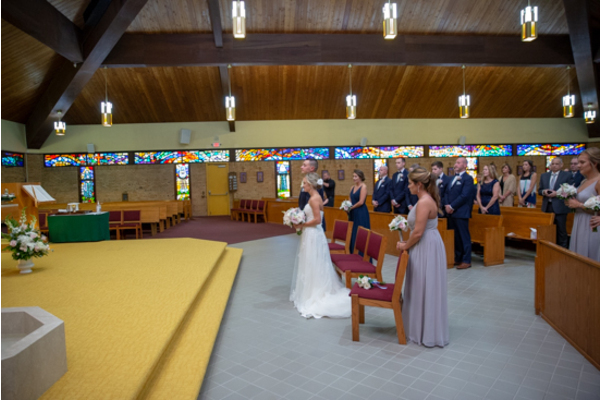 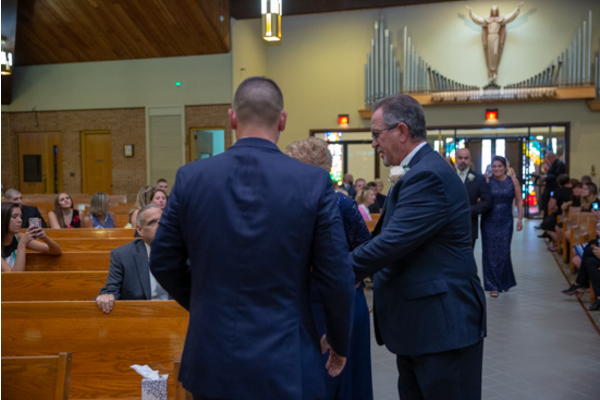 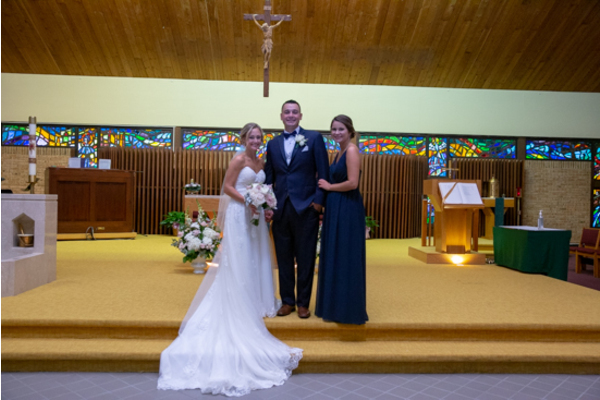 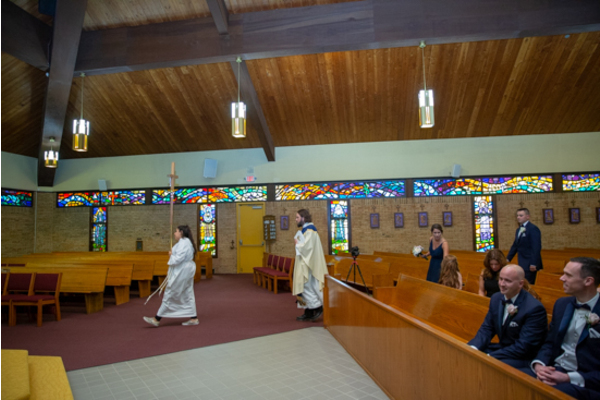 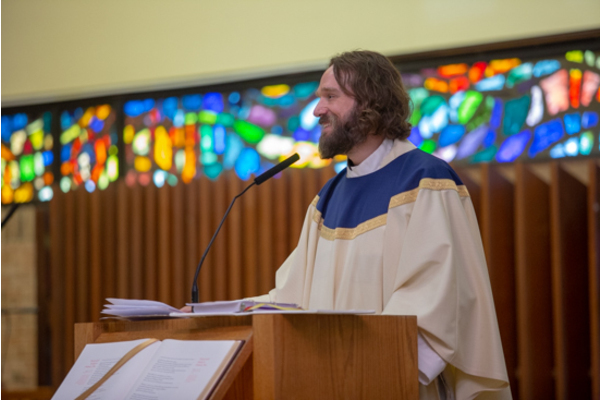 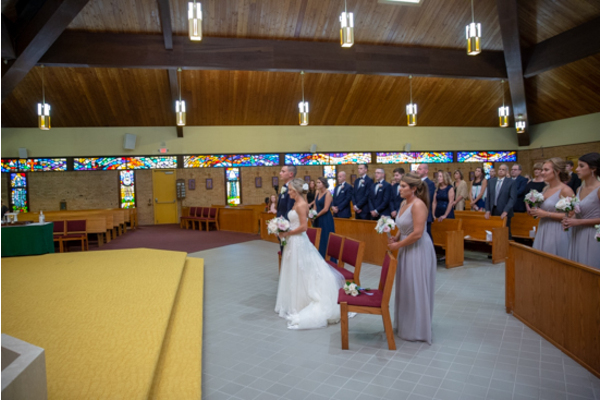 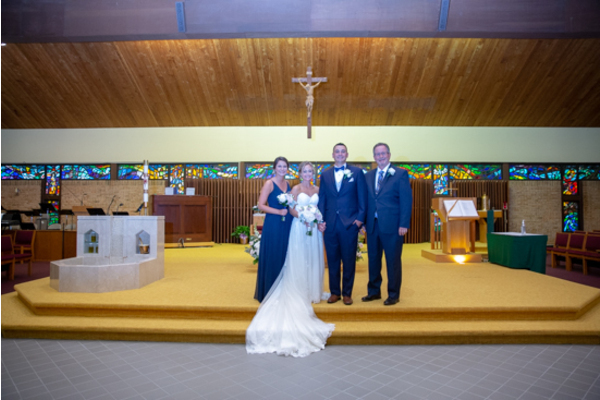 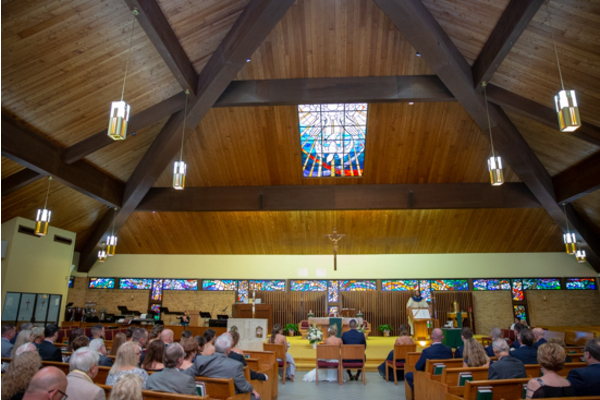 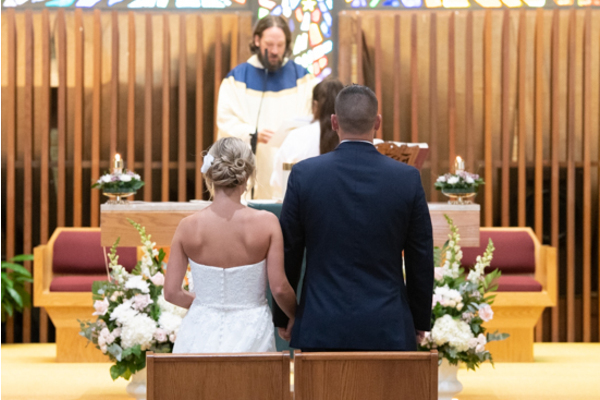 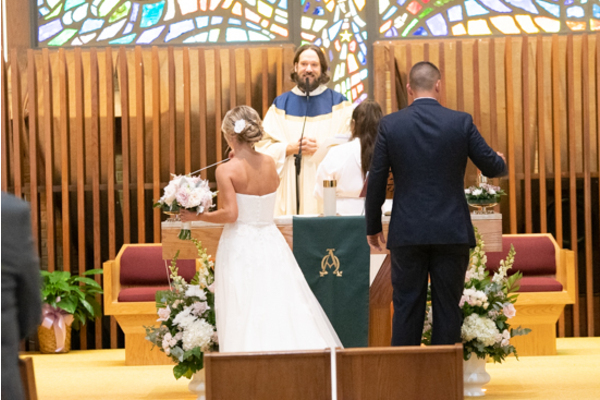 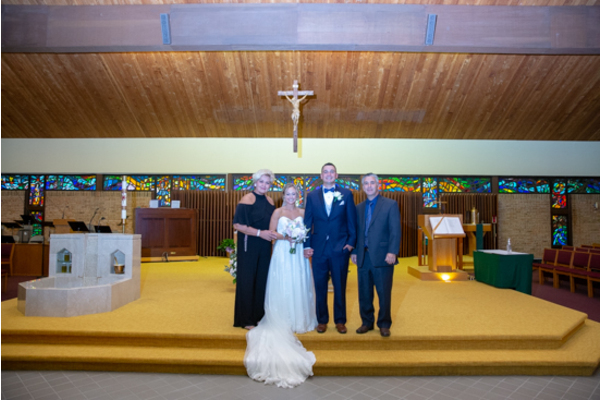 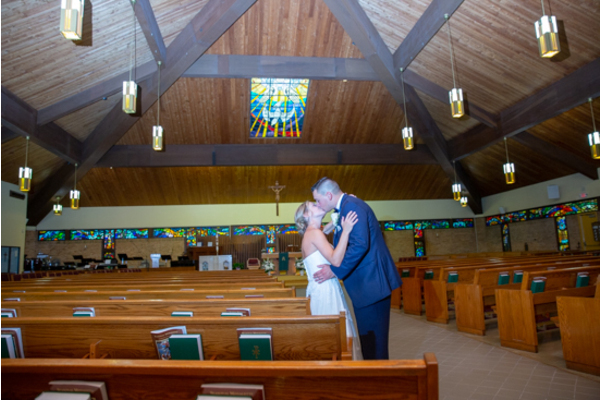 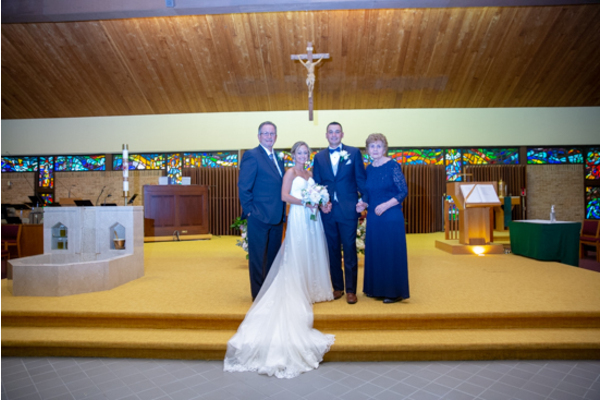 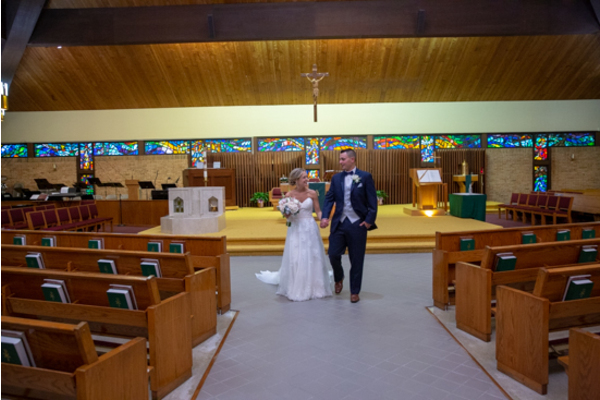 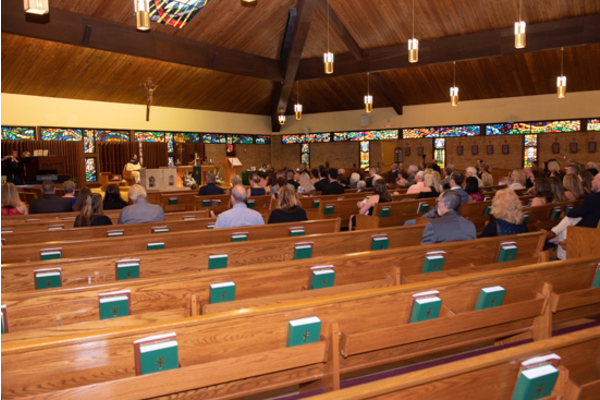 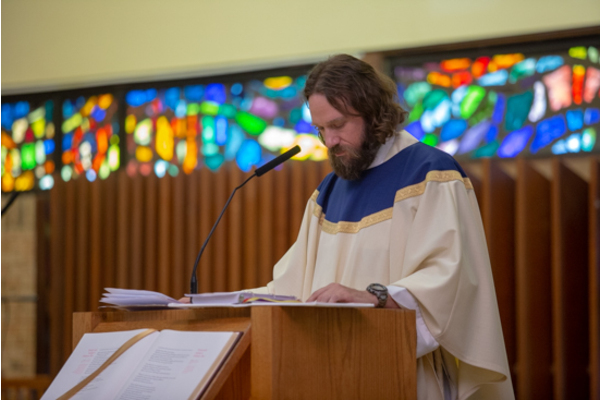 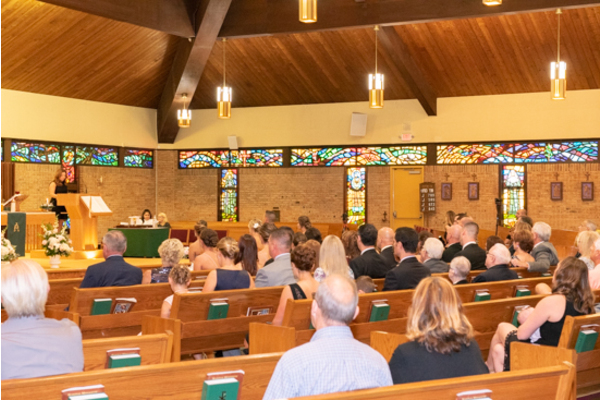 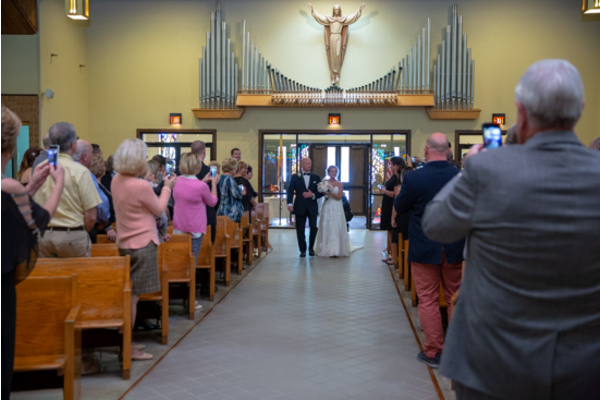 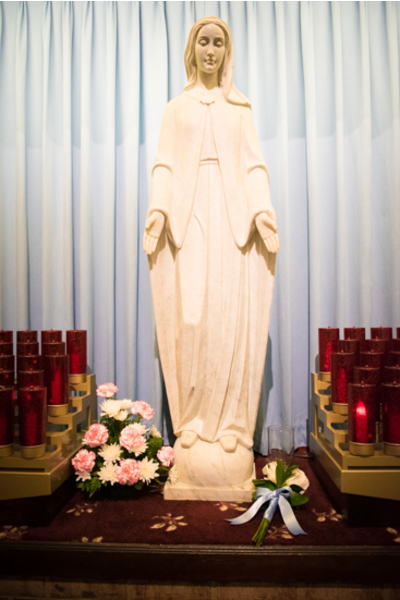 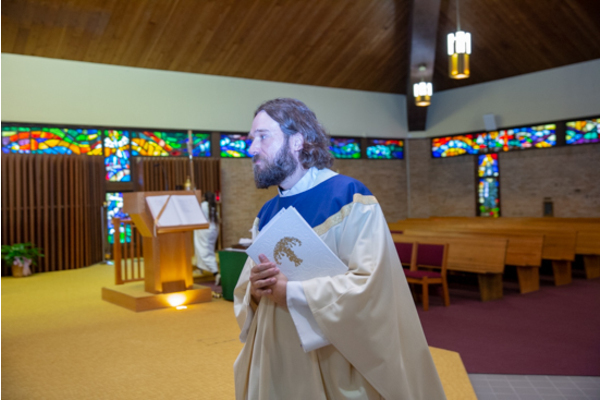 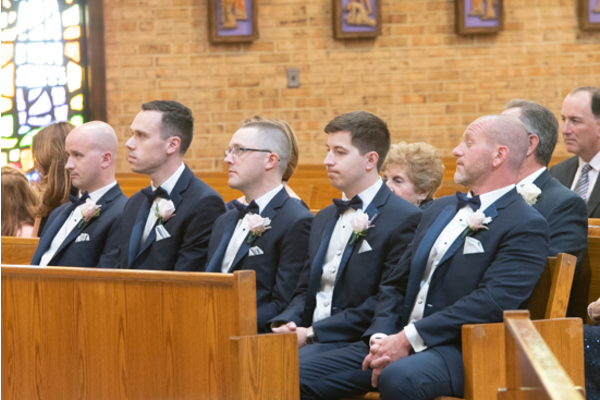 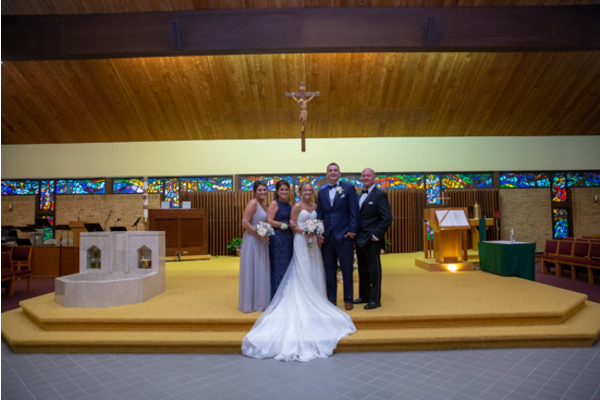 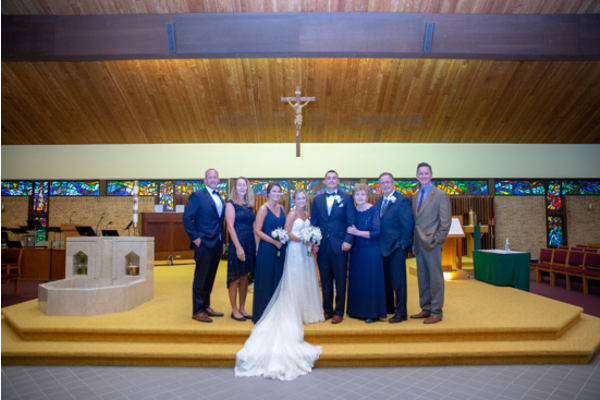 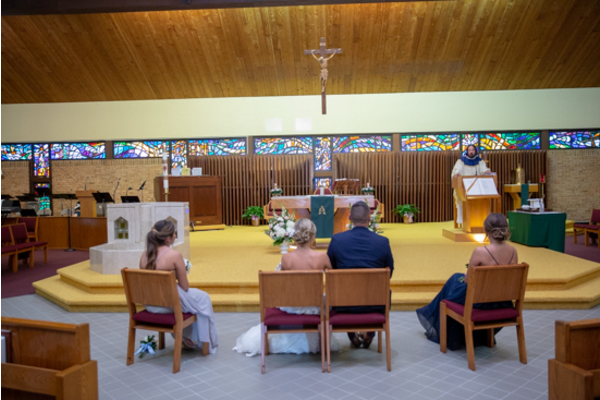 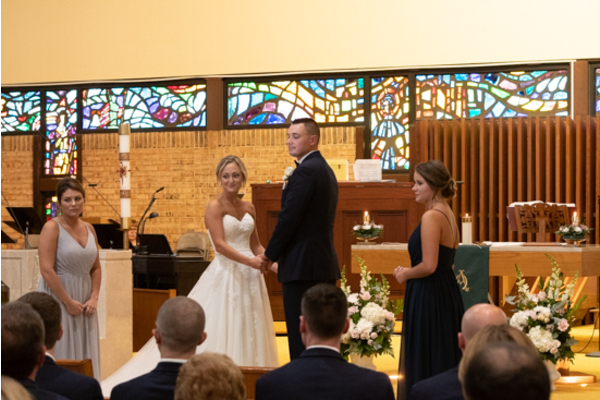 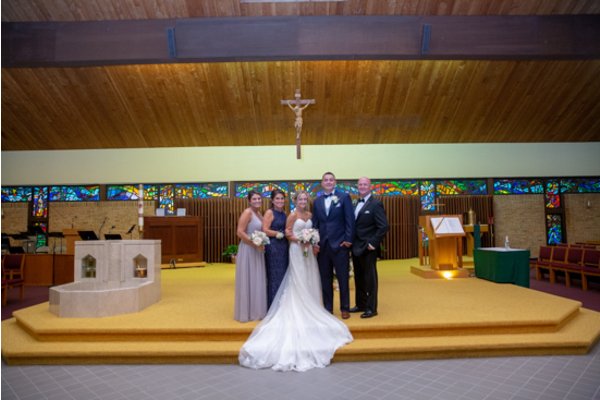 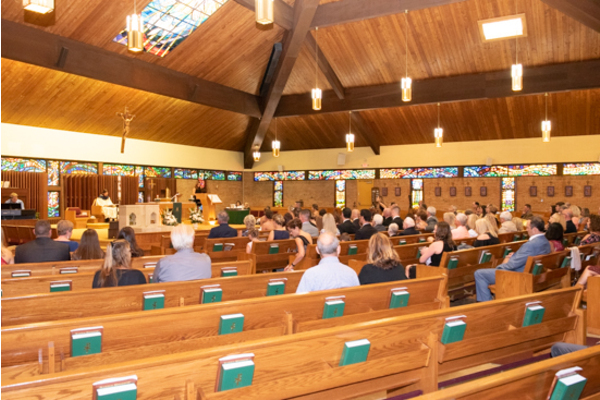 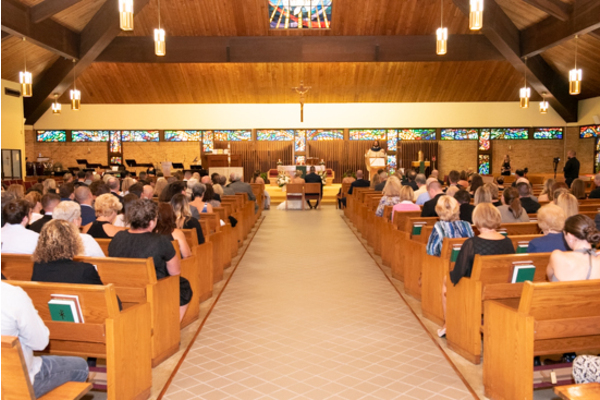 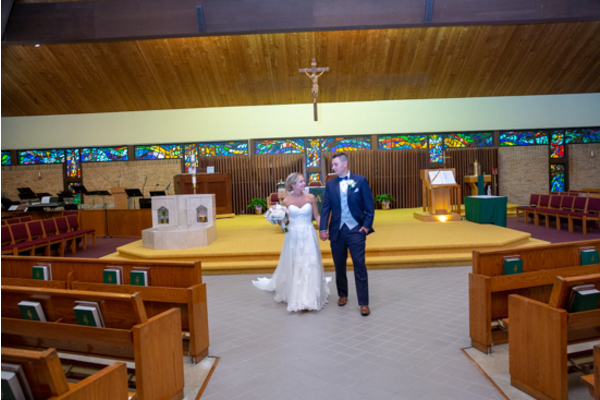 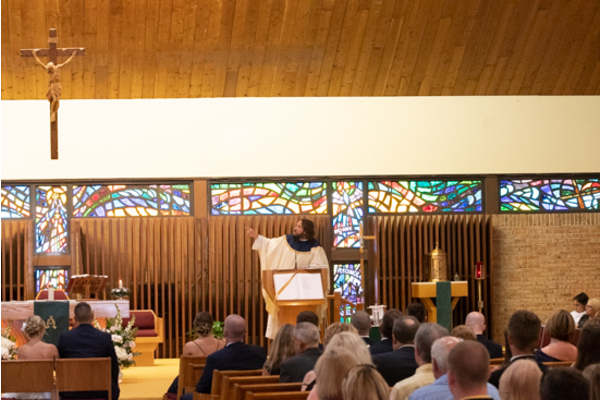 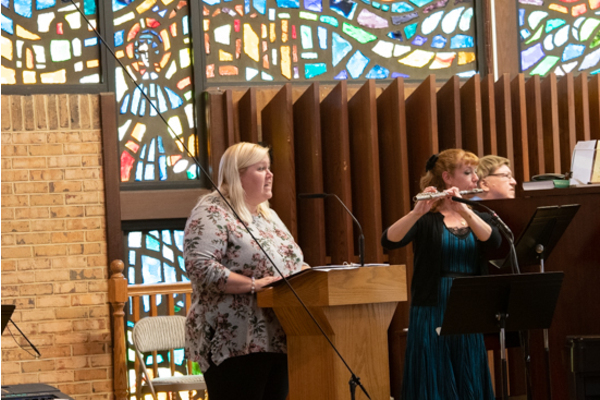 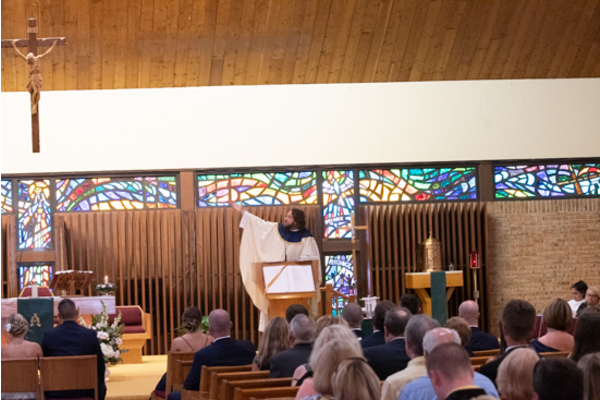 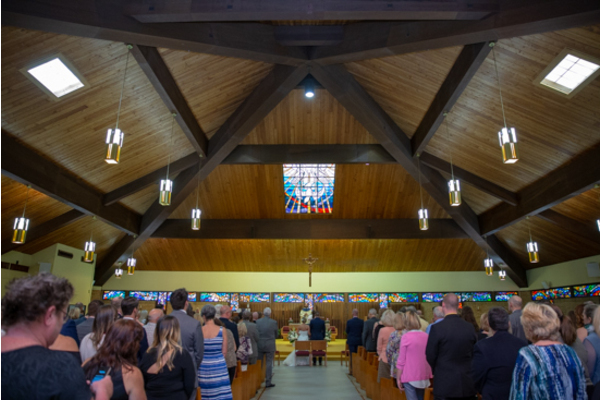 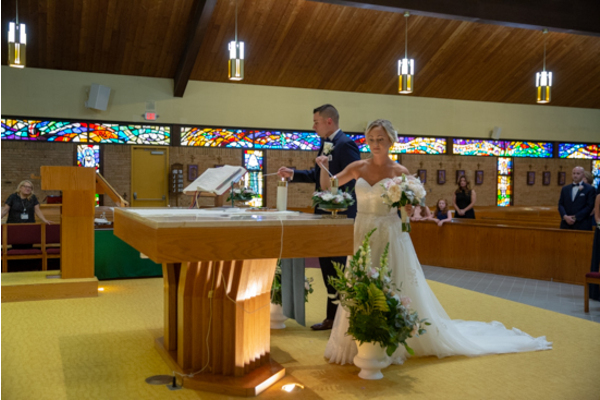 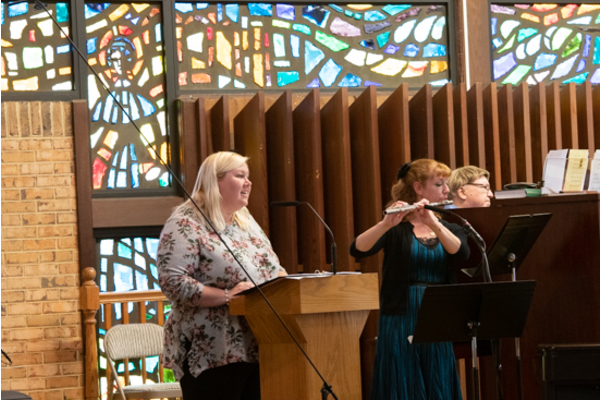 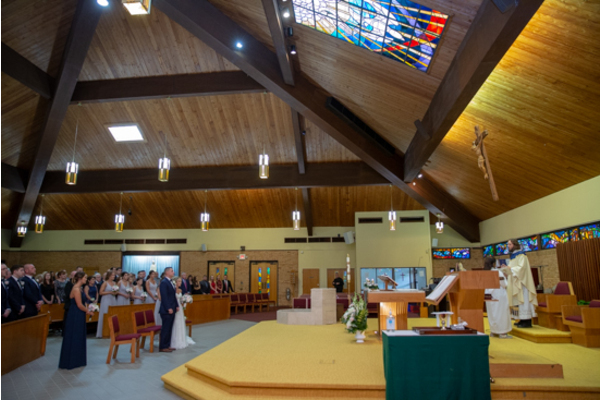 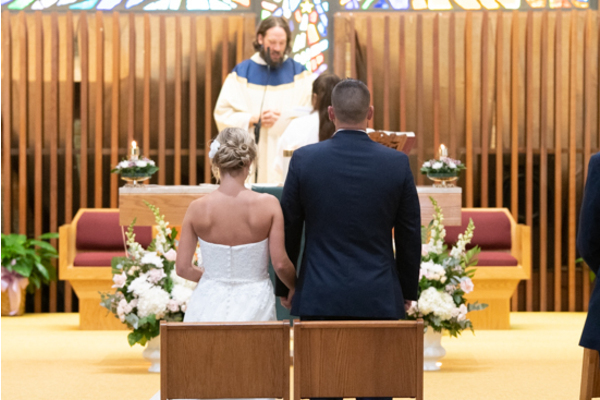 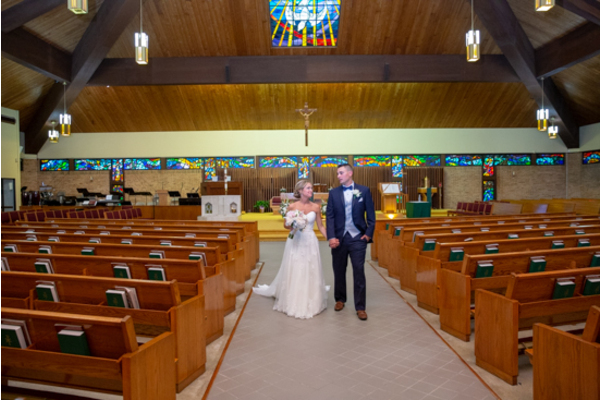 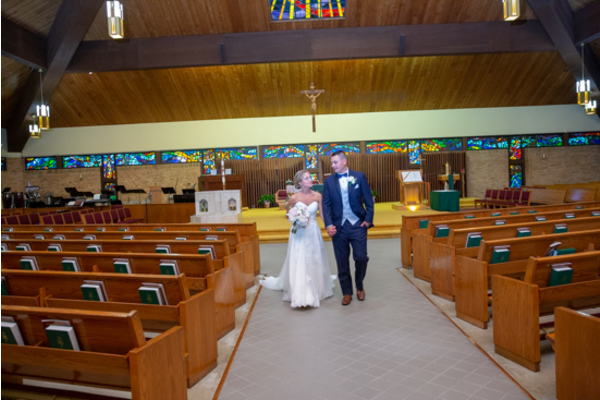 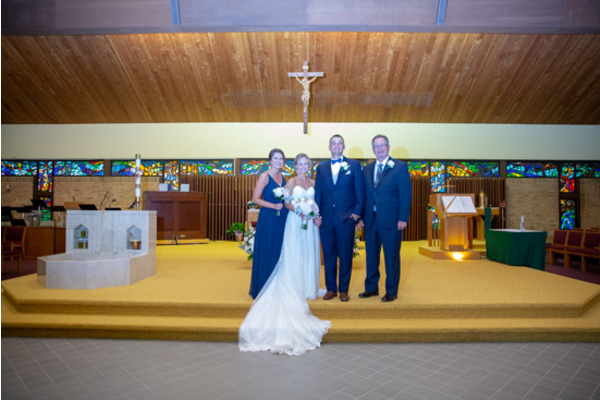 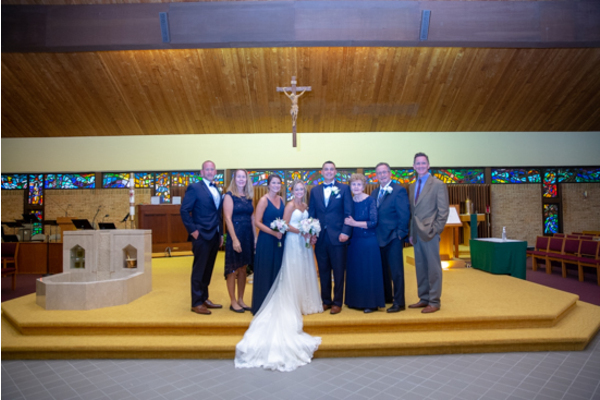 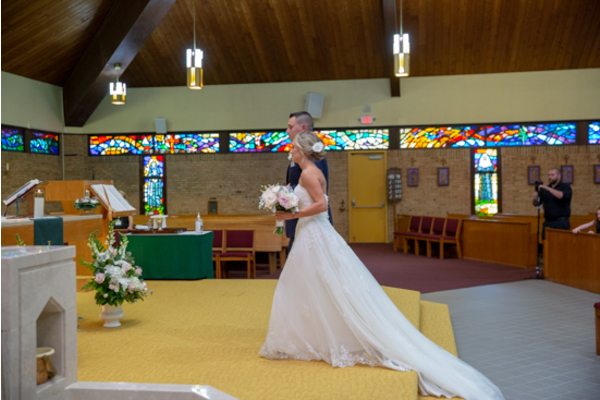 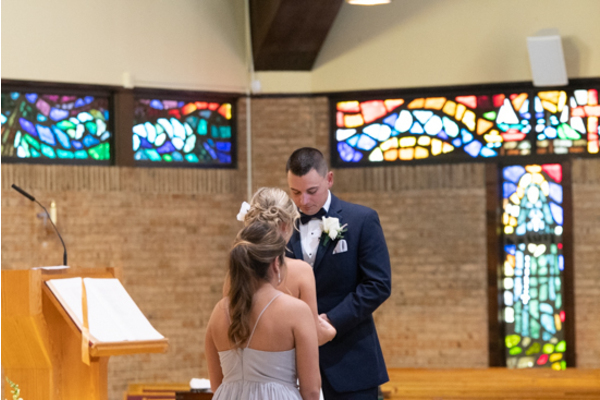 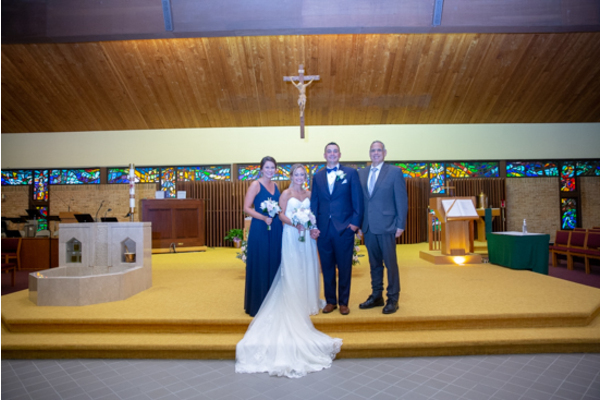 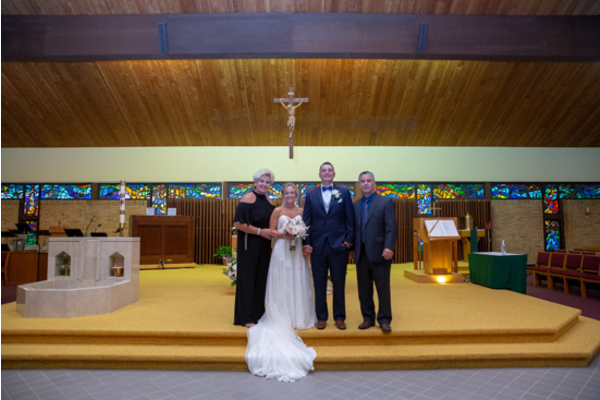 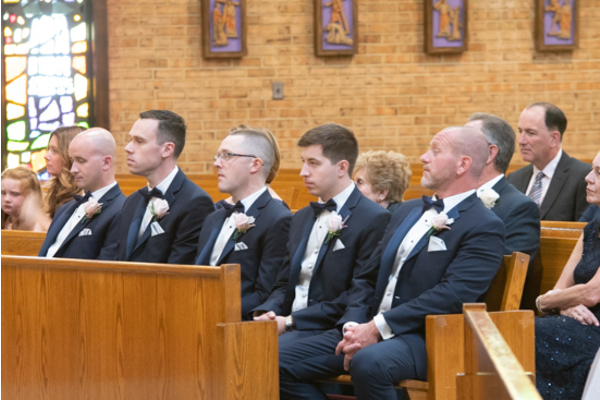 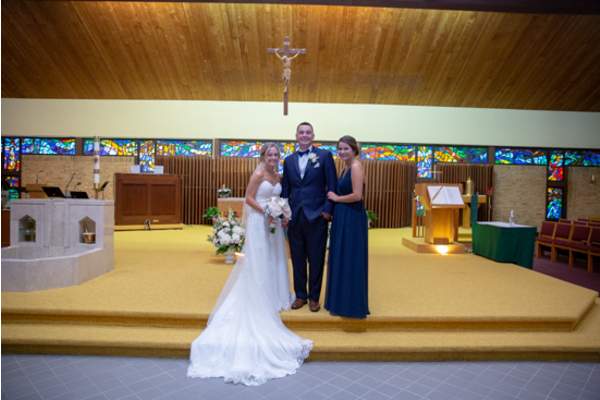 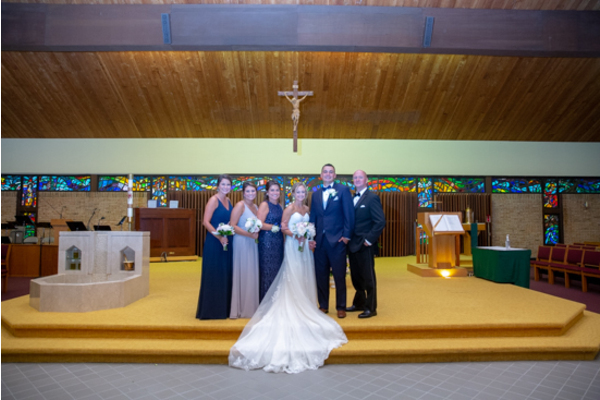 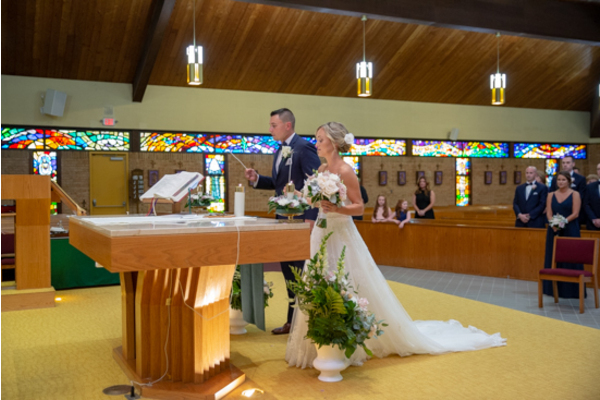 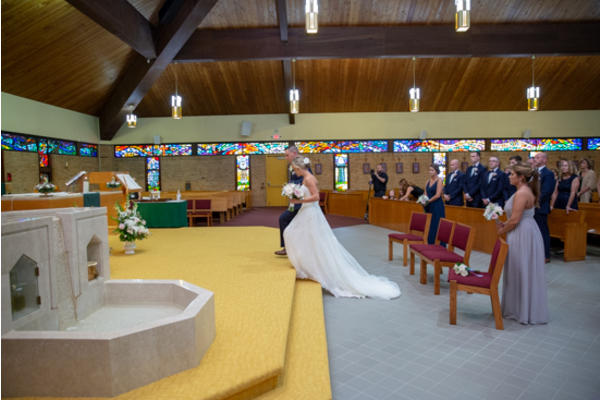 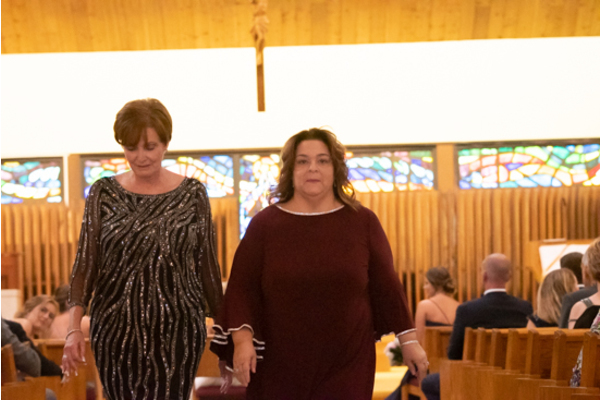 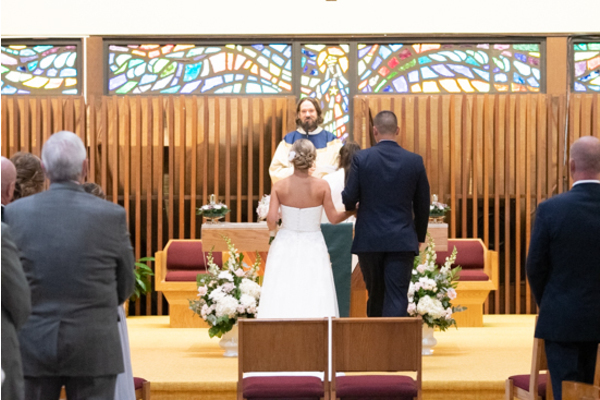 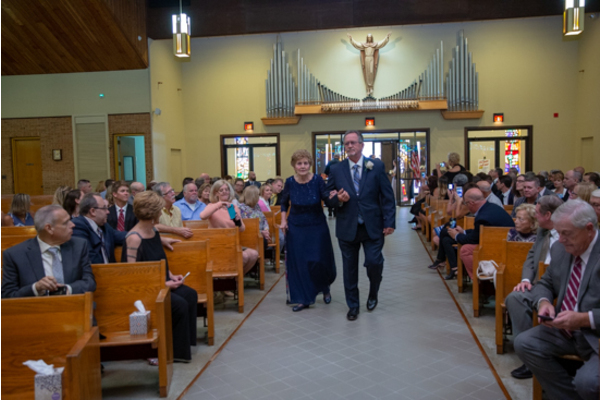 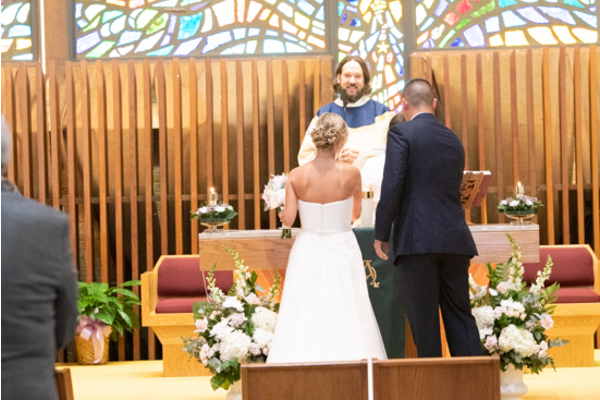 The ceremony was held in a beautiful church. 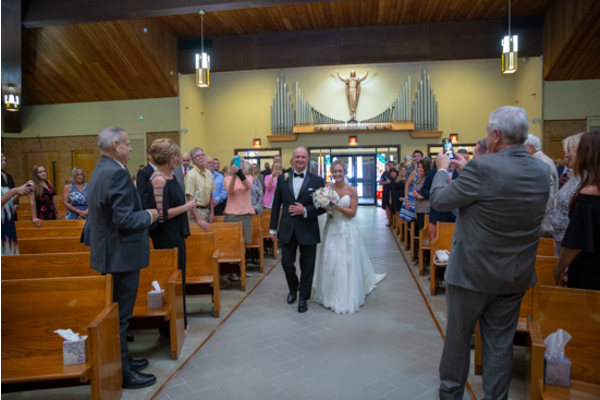 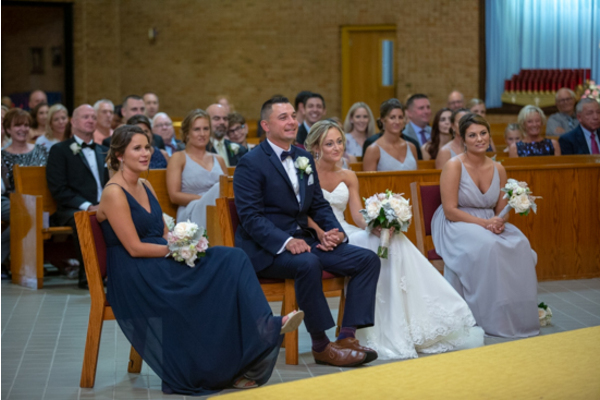 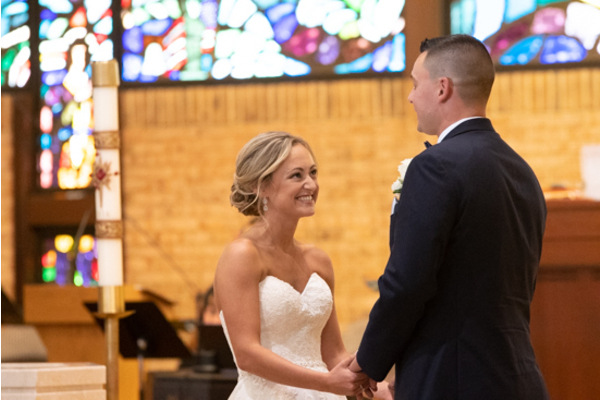 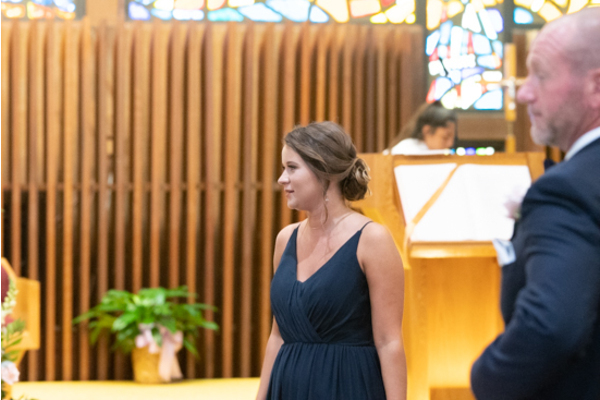 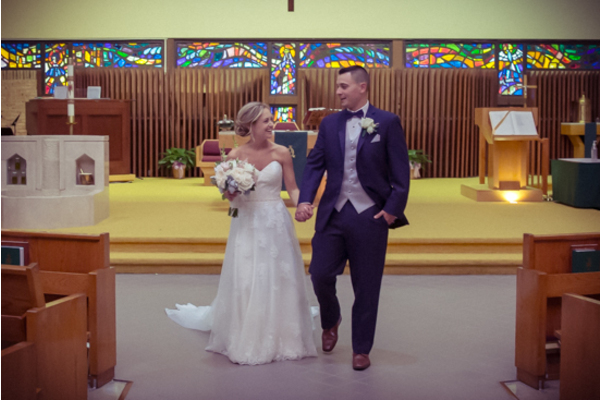 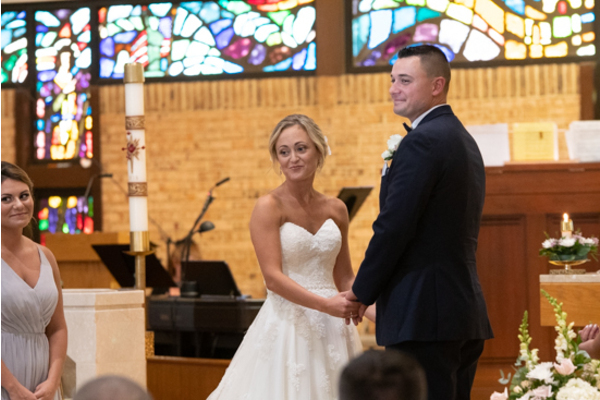 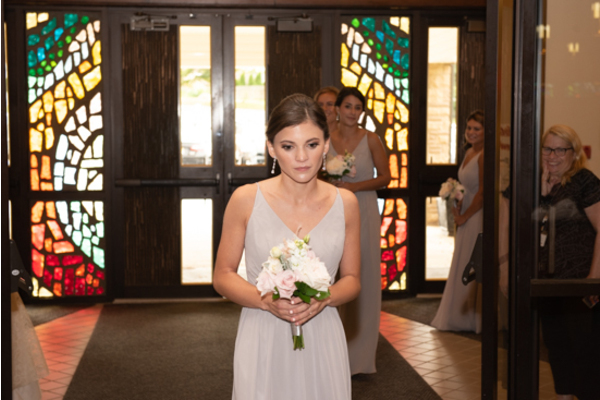 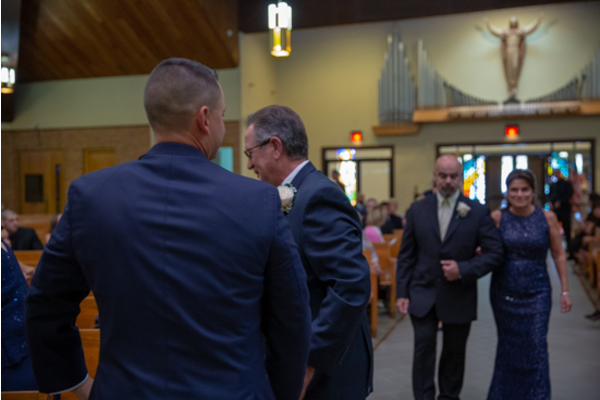 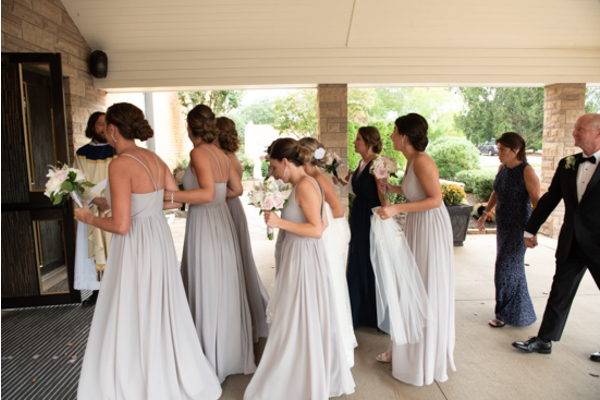 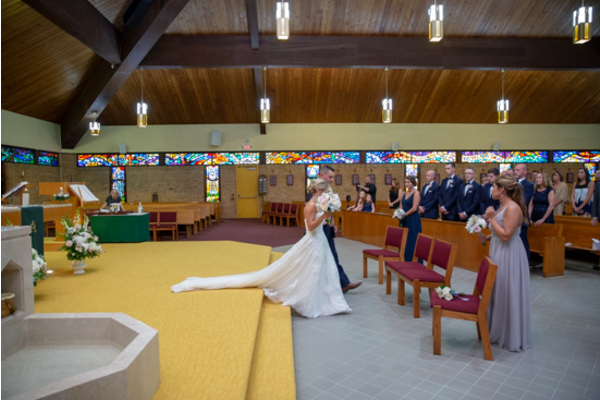 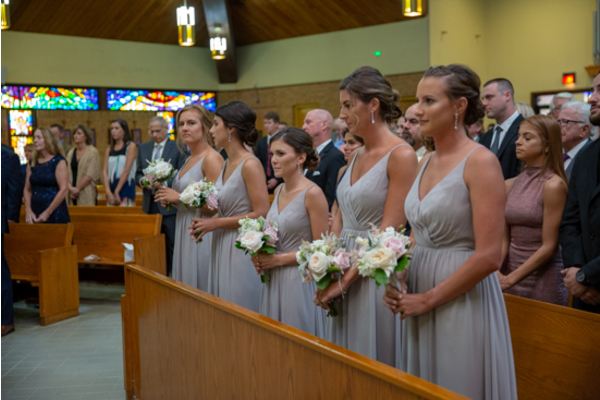 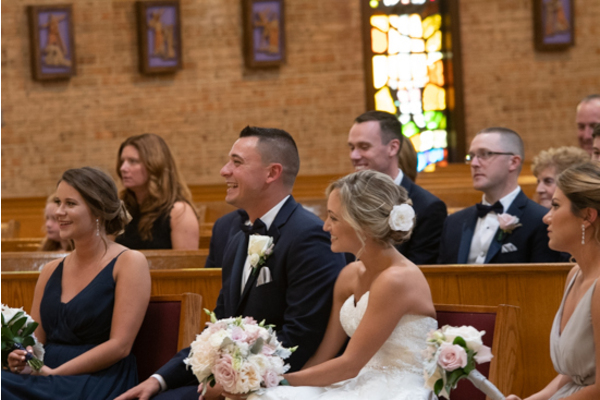 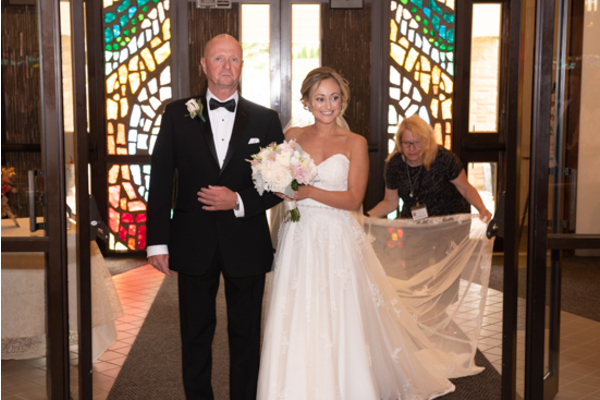 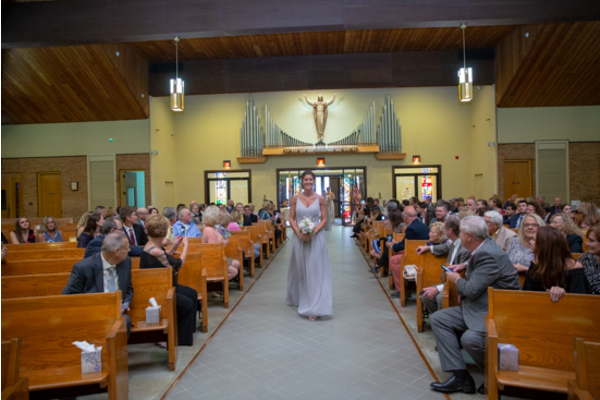 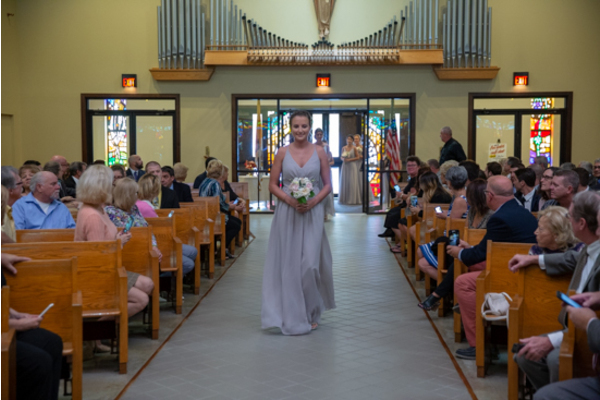 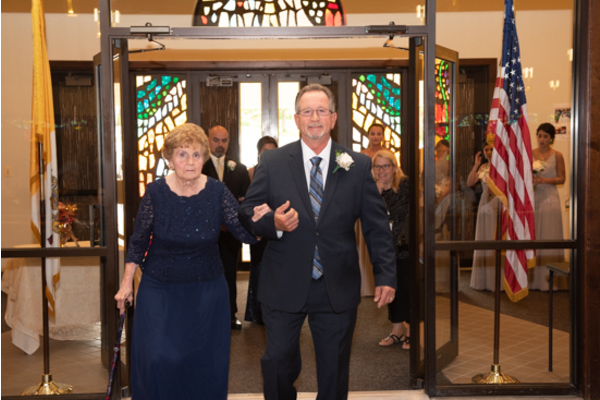 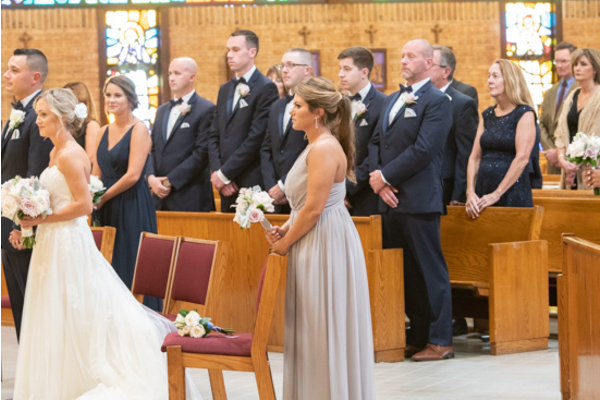 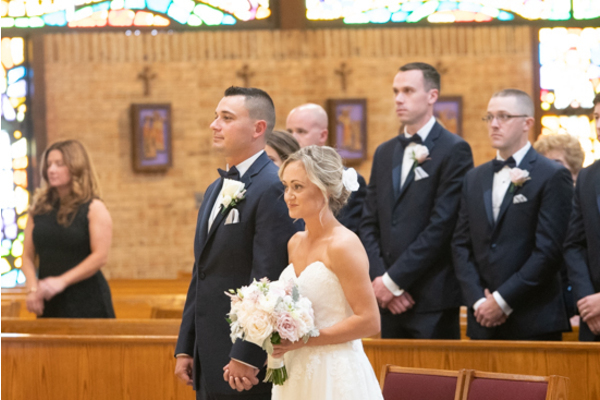 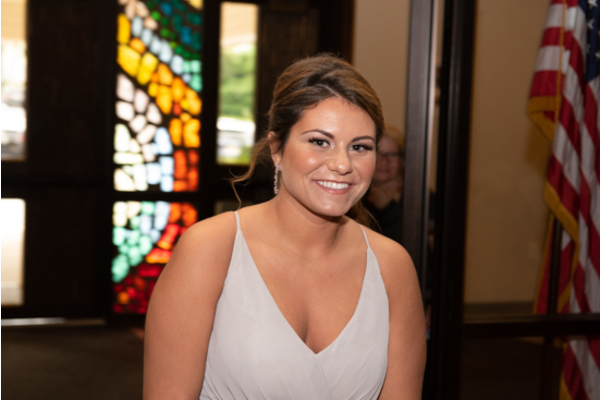 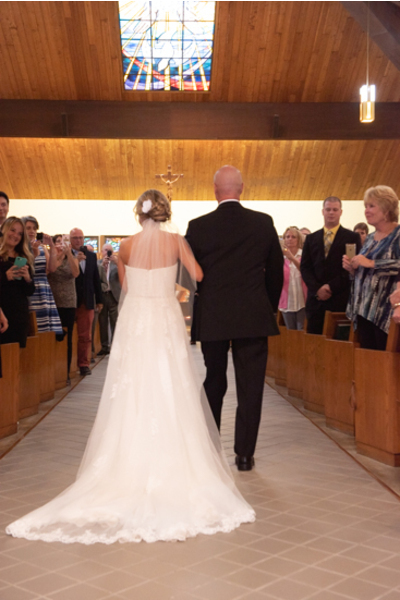 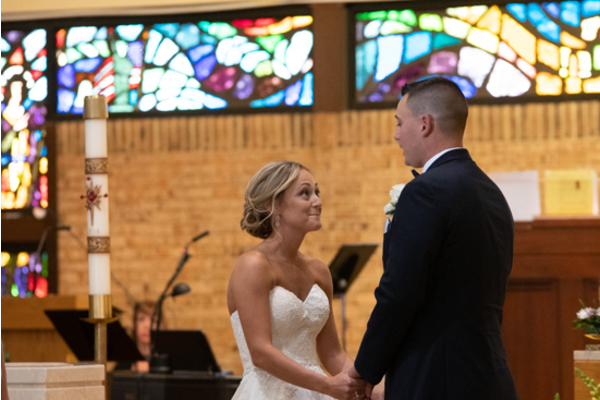 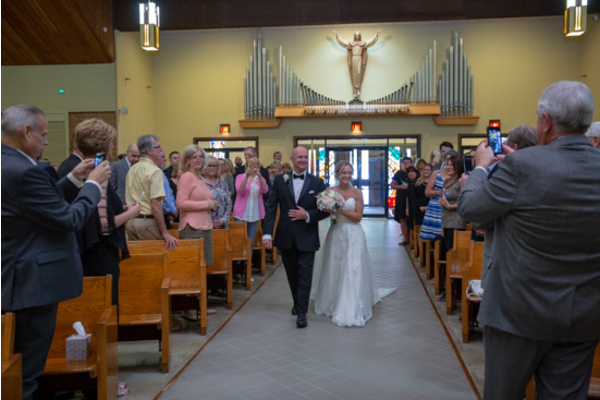 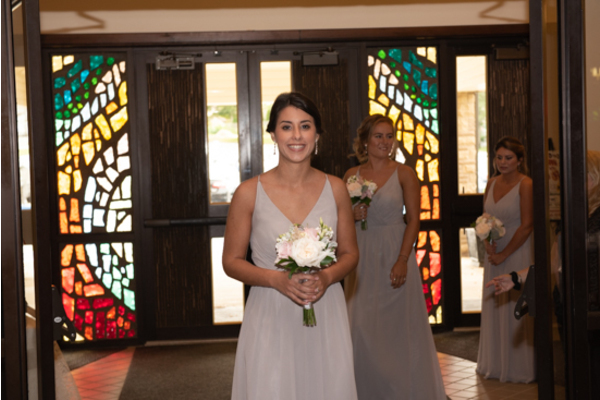 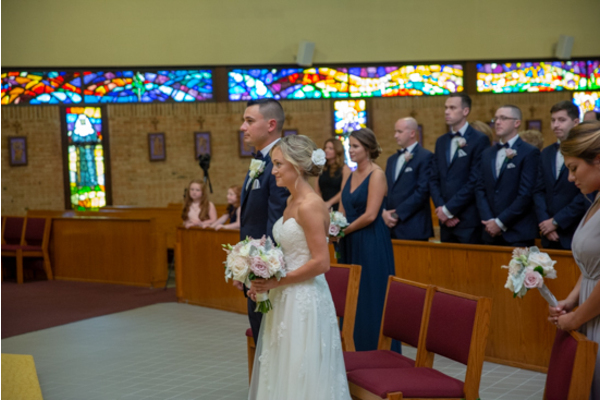 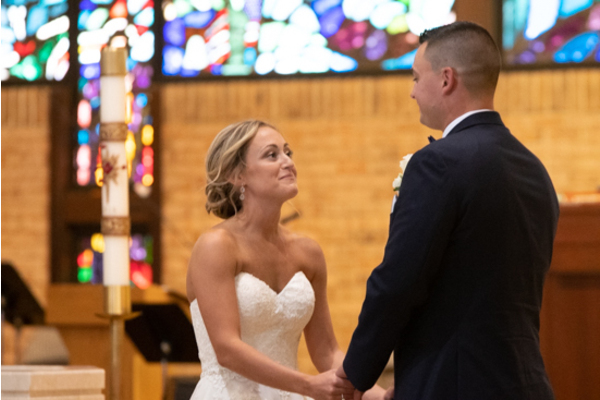 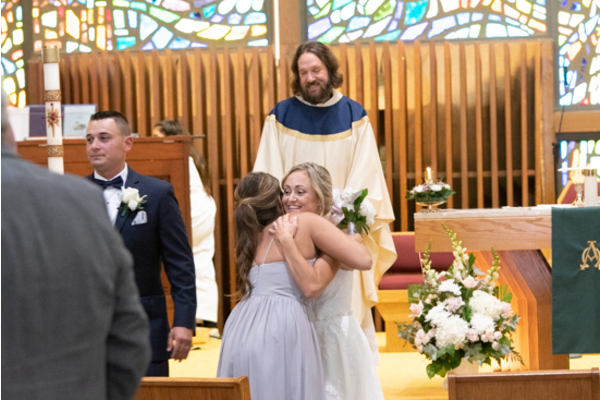 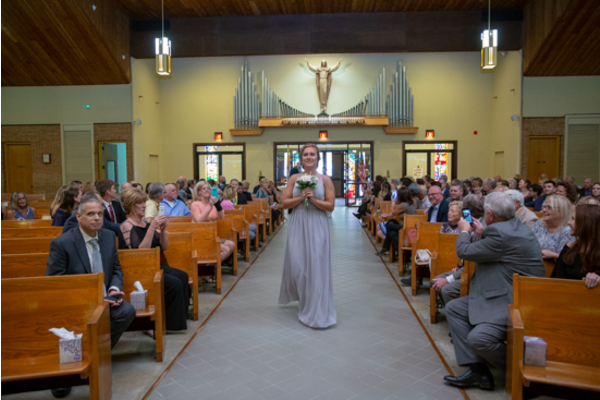 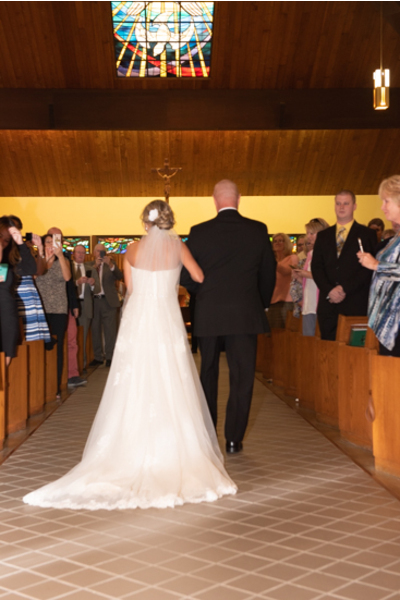 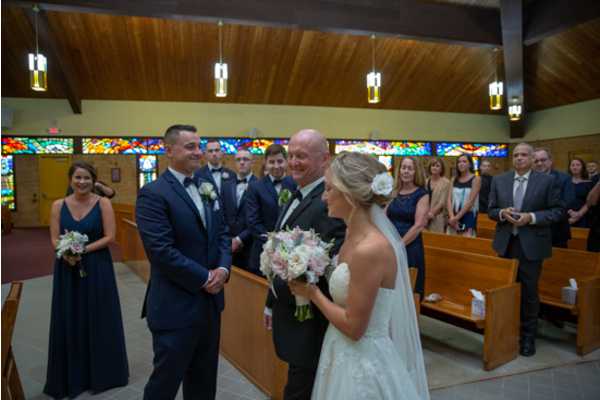 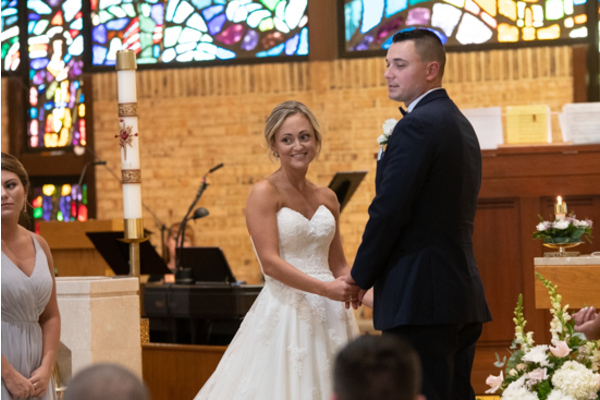 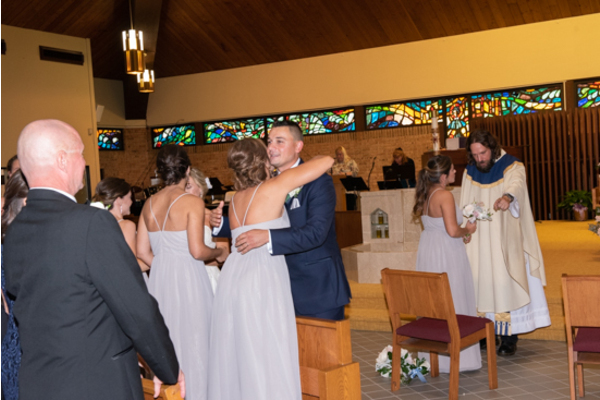 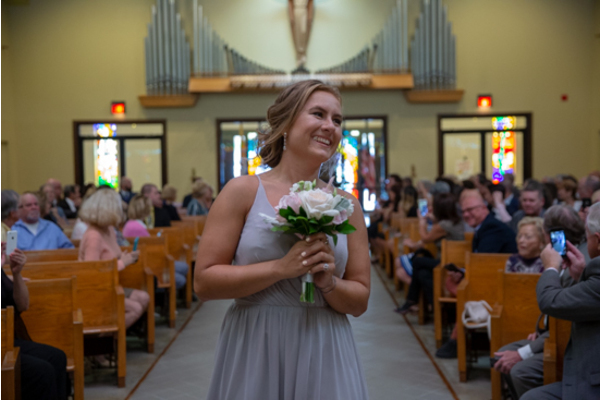 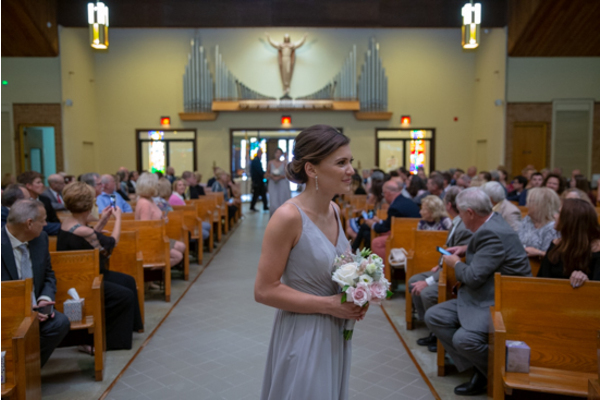 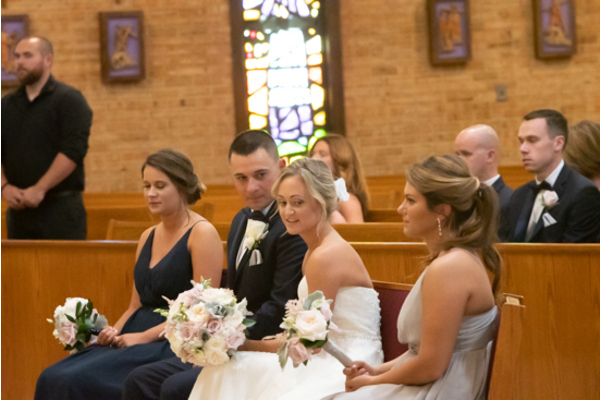 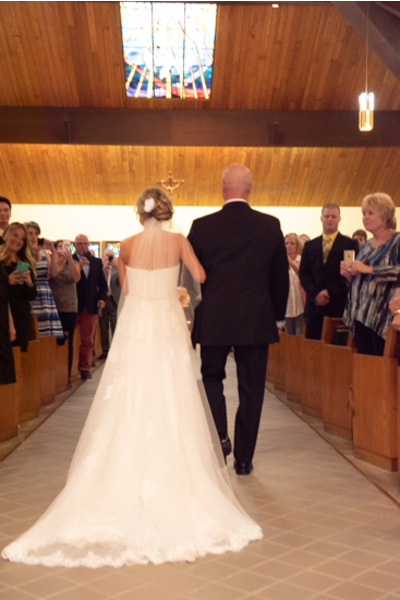 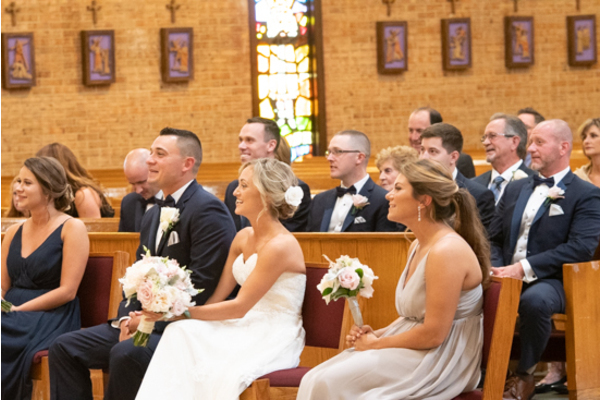 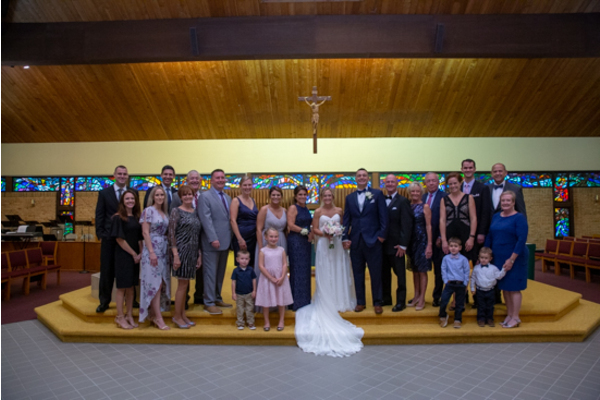 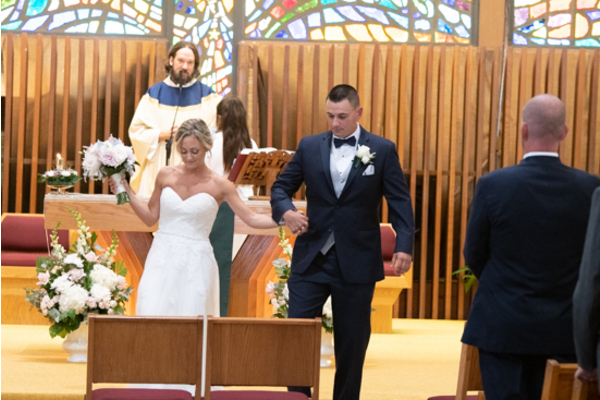 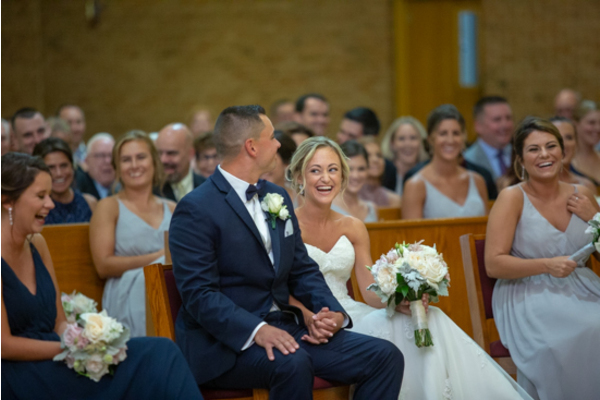 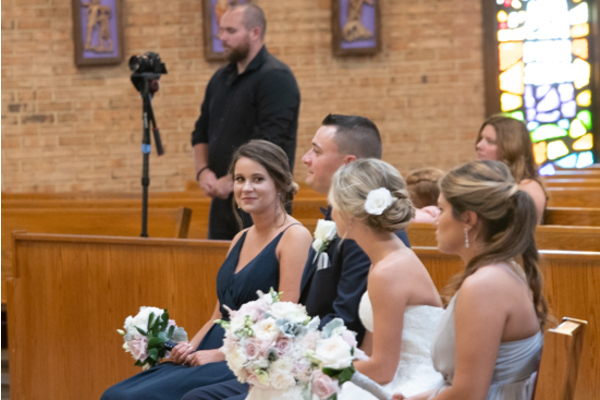 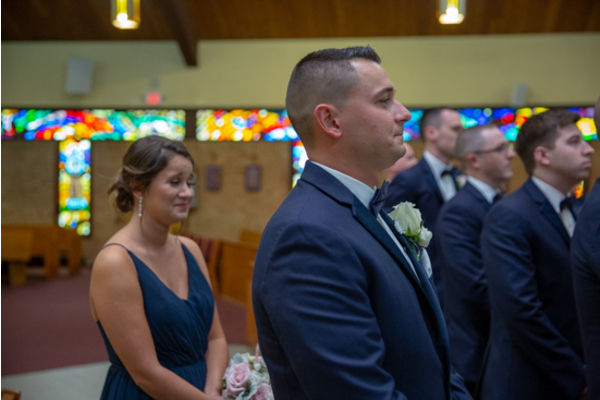 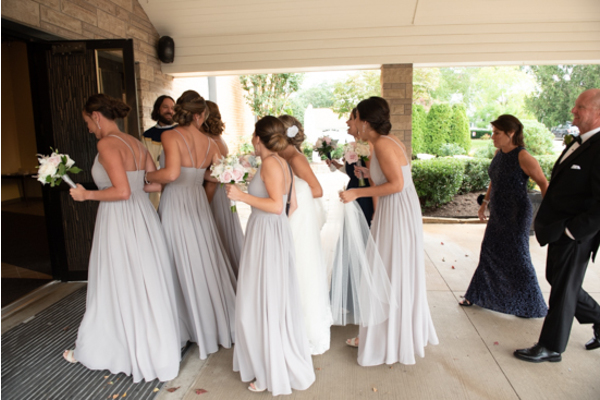 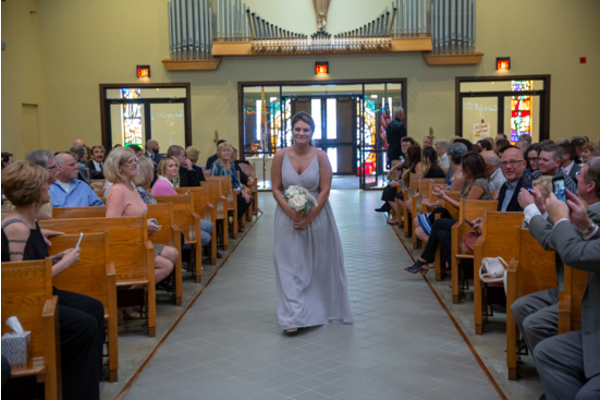 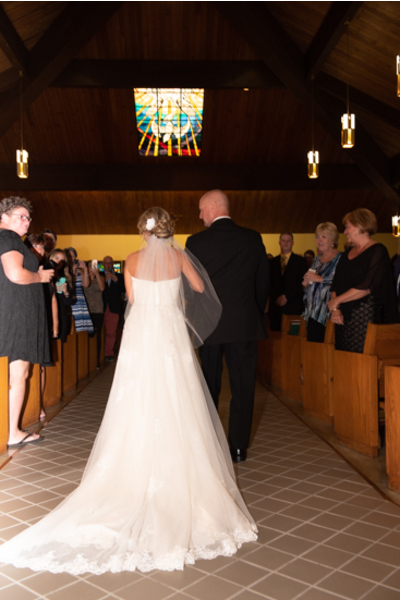 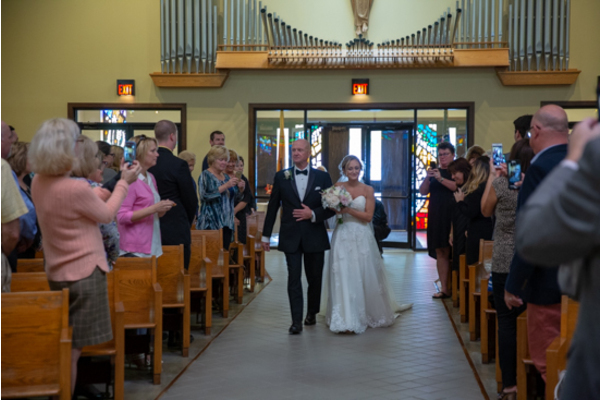 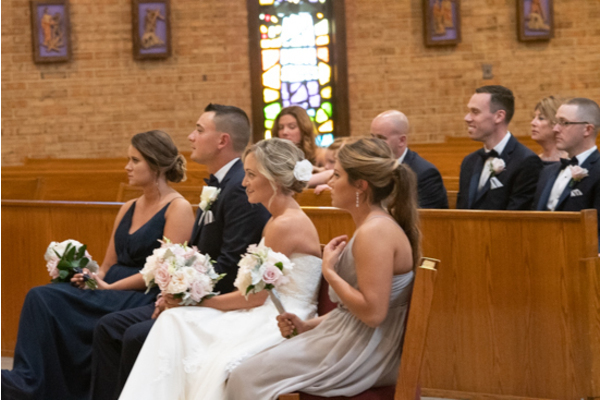 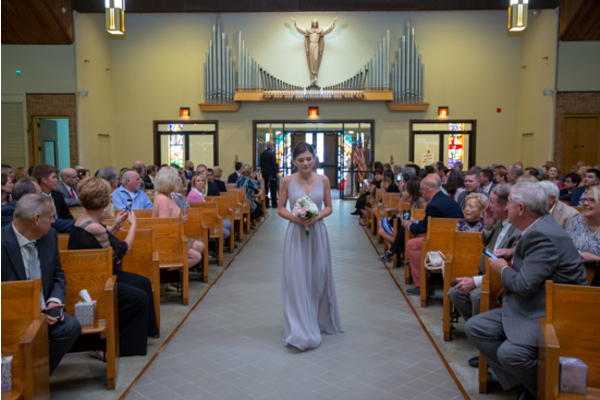 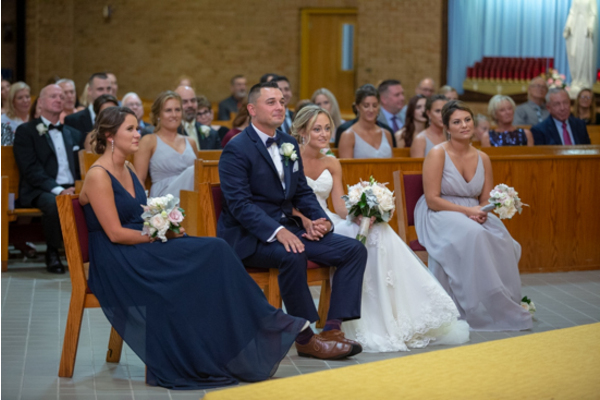 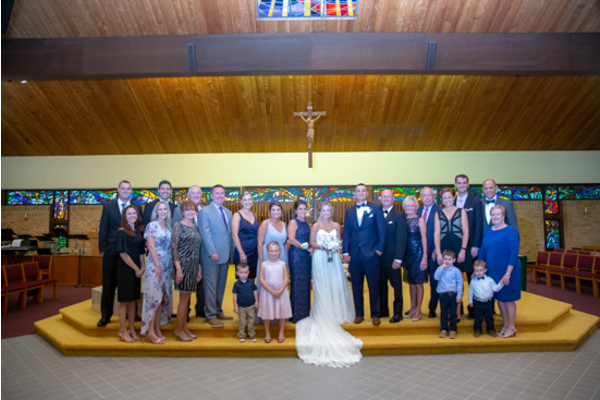 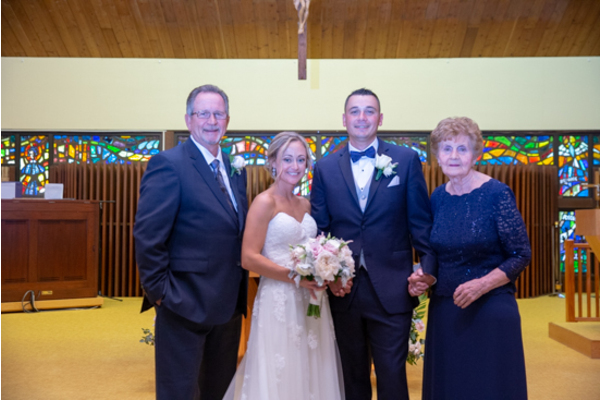 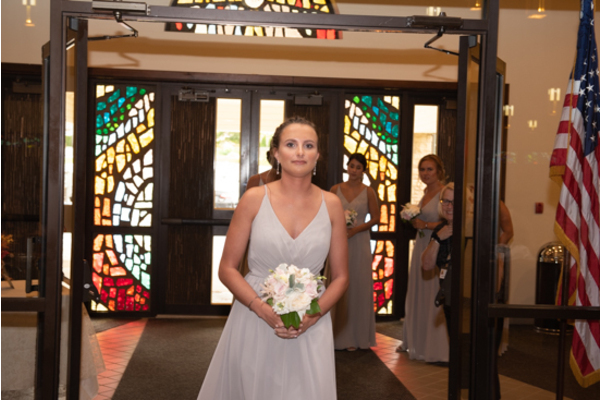 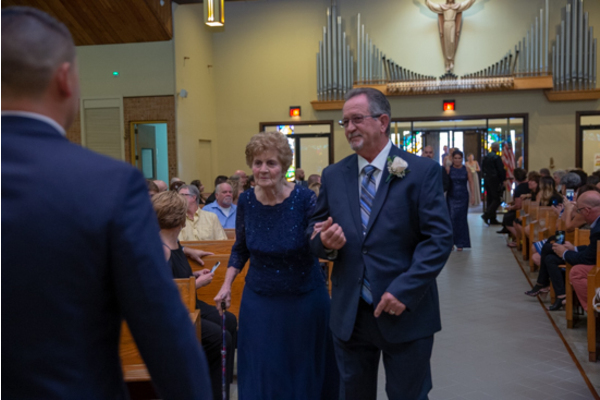 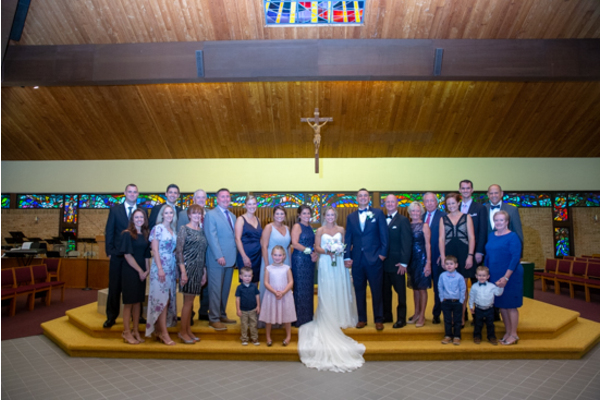 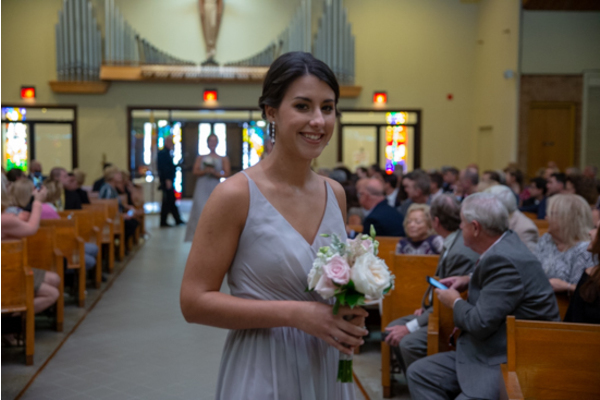 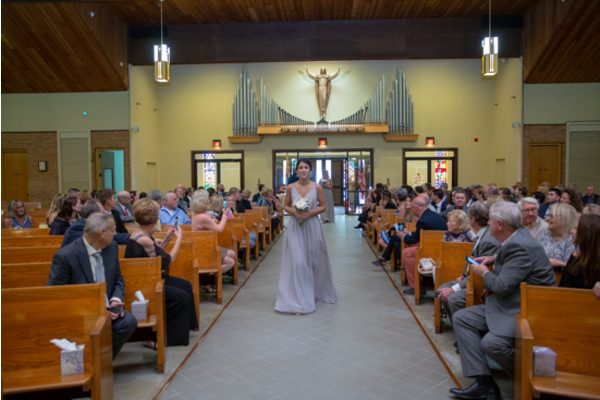 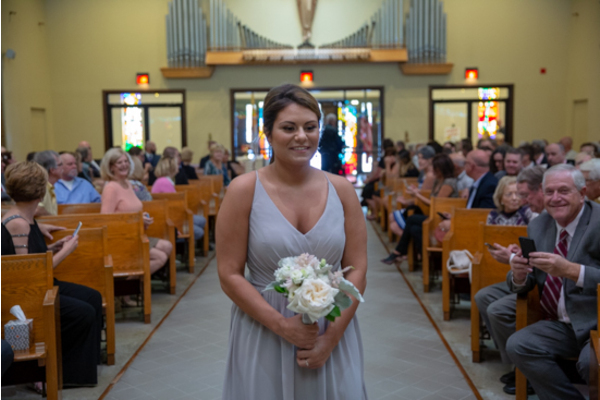 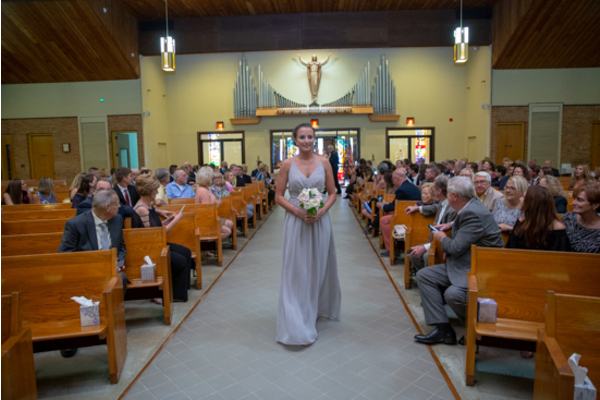 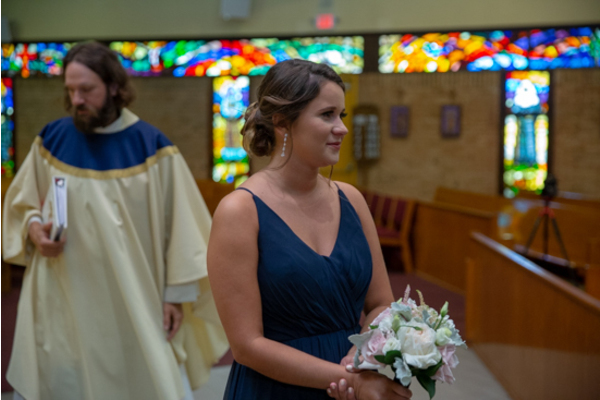 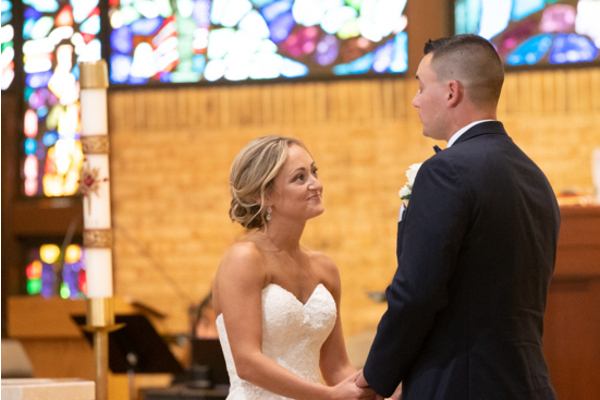 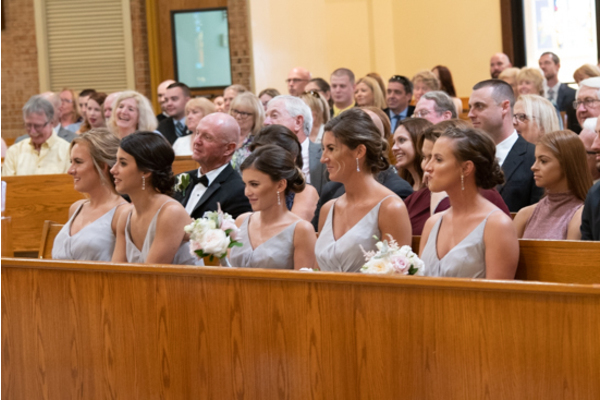 There were so many smiling faces looking at Meg as she walked down the aisle! 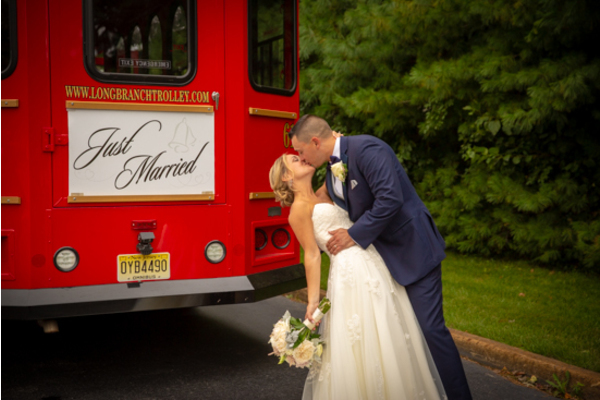 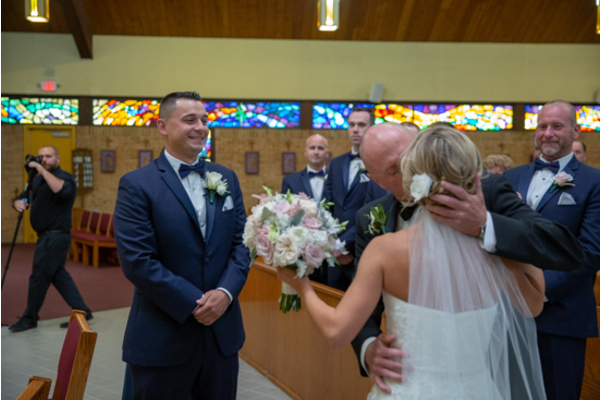 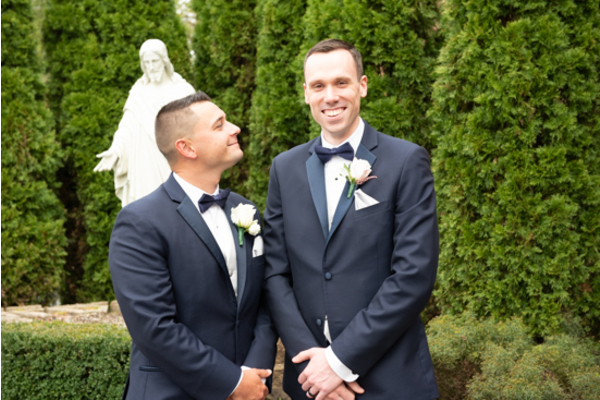 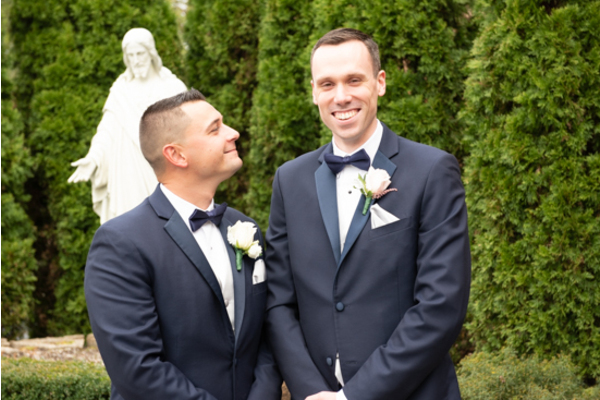 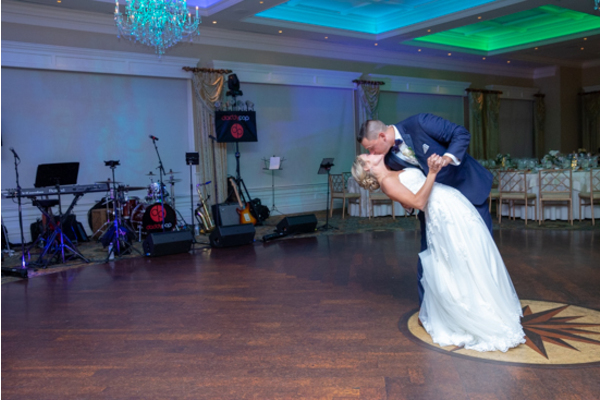 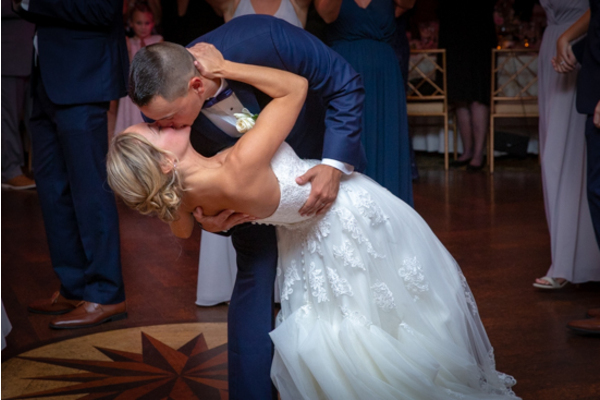 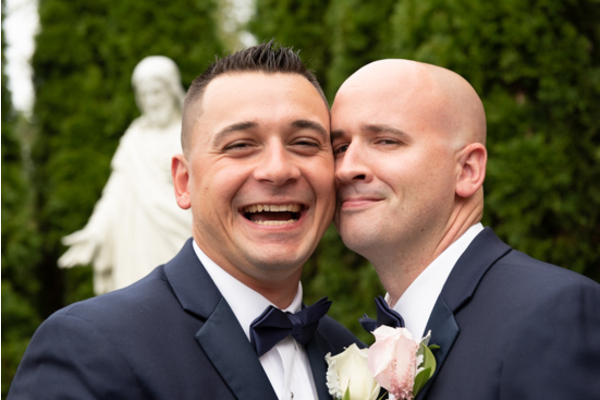 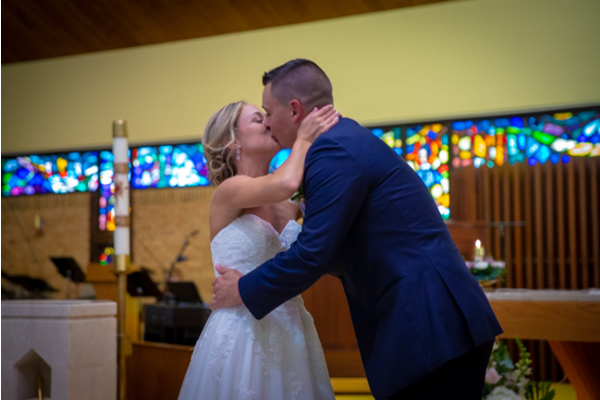 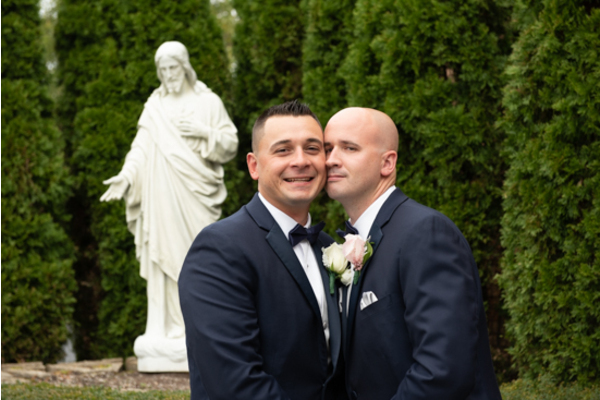 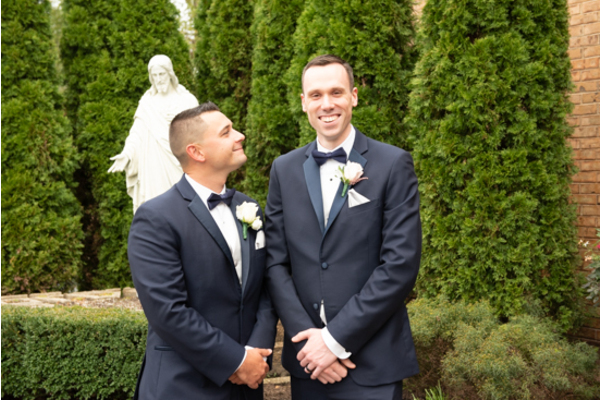 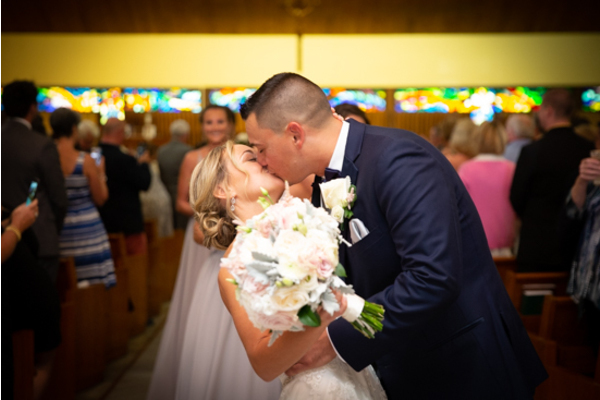 Our NJ Wedding Photographer photographed each perfect moment as the new happy couple had their first kiss as husband and wife. 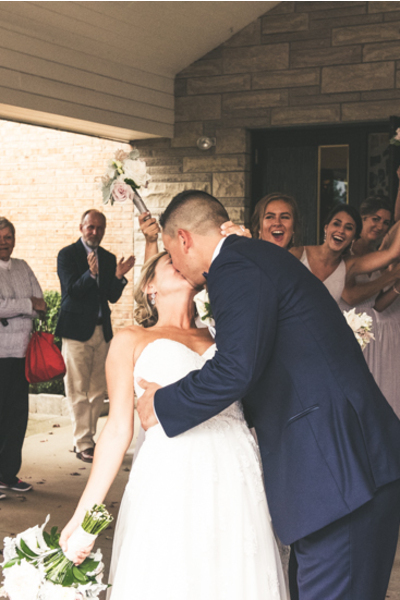 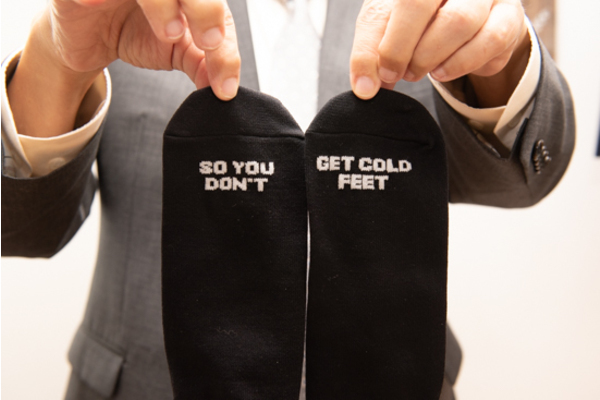 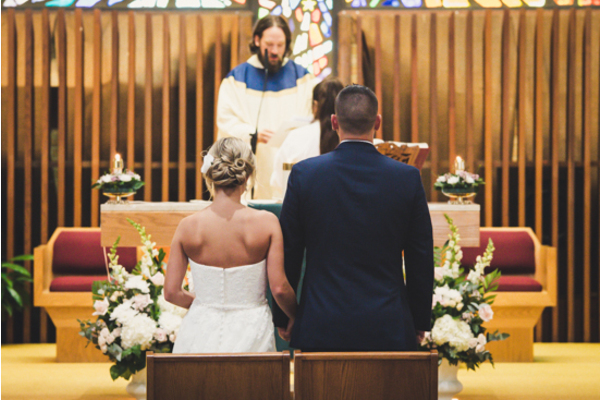 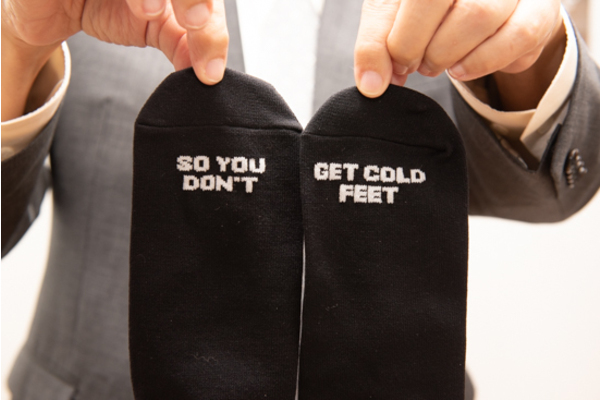 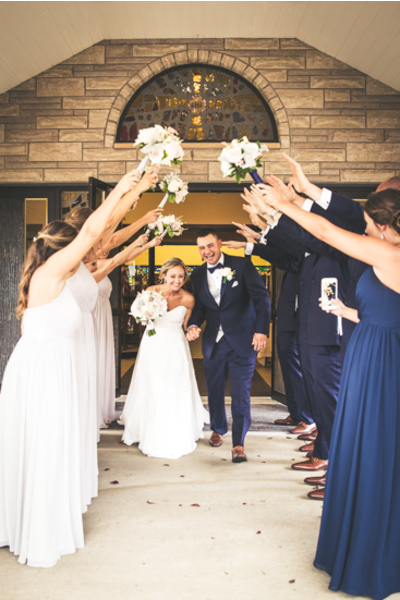 The couple walked back down the aisle holding hands and were ready to party all night long! 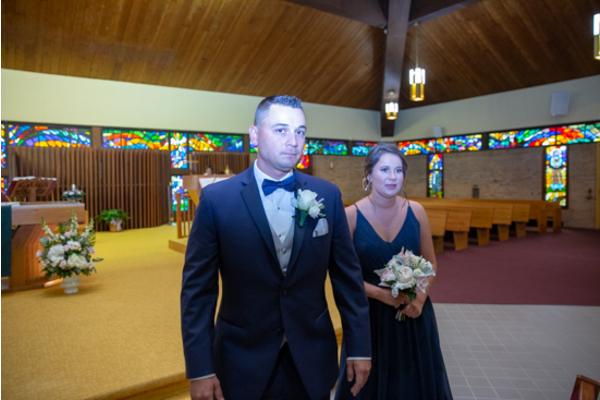 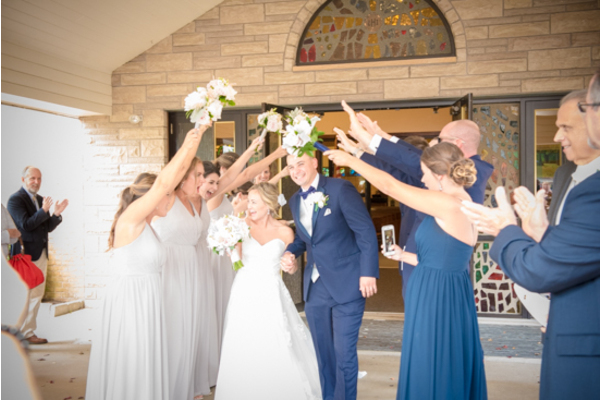 At the reception, the newlyweds had a fun grand entrance with their wedding parties and enjoyed their first dance together. 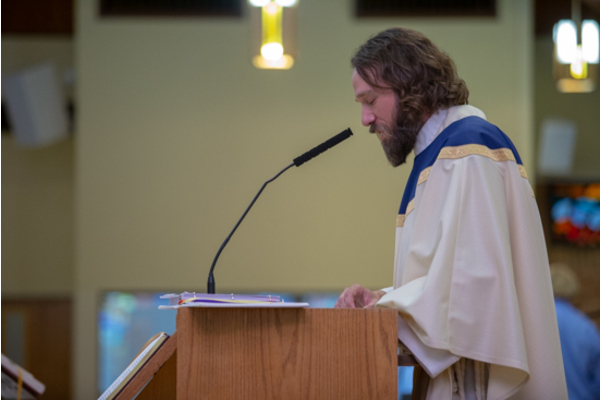 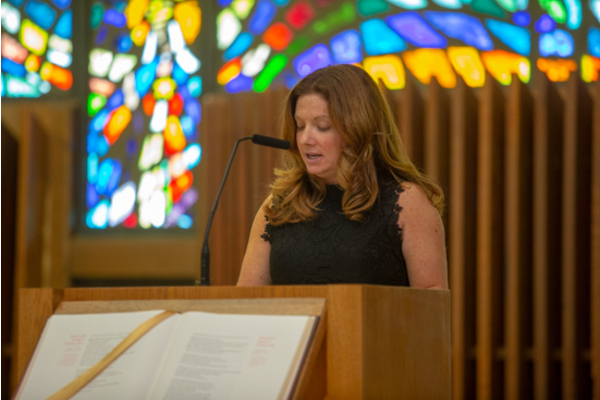 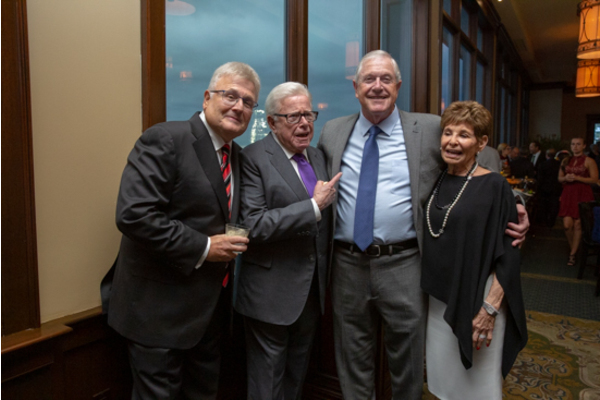 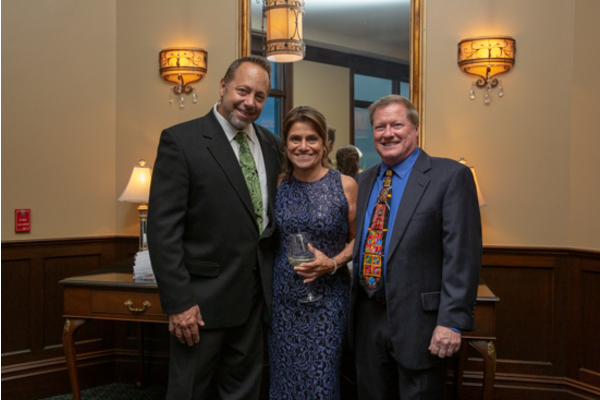 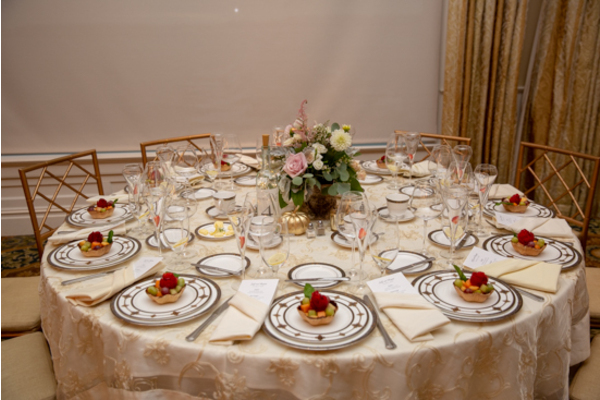 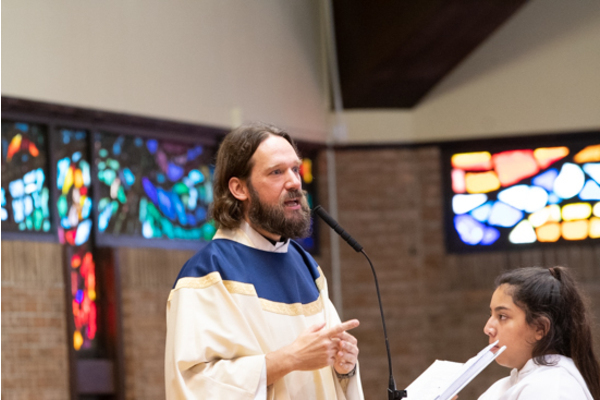 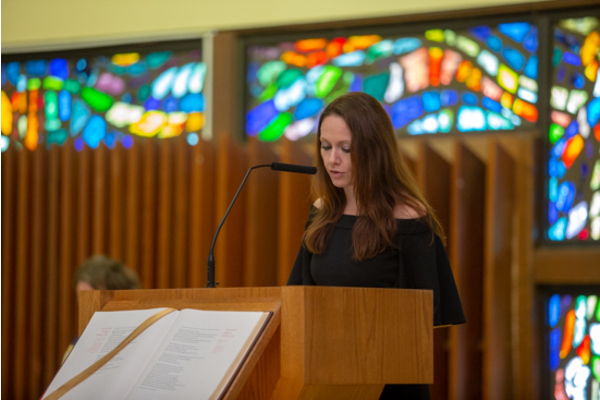 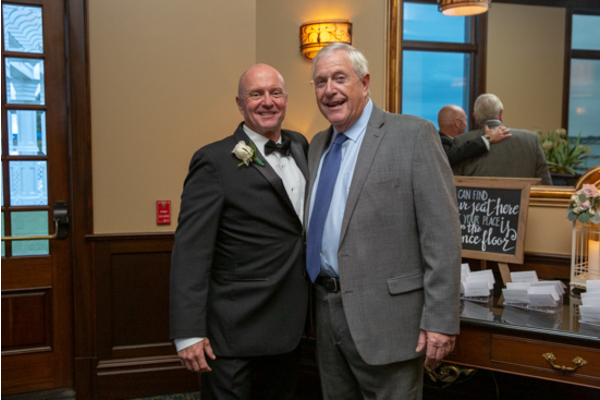 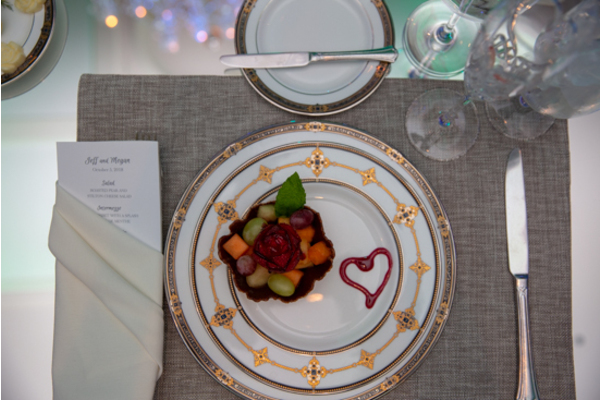 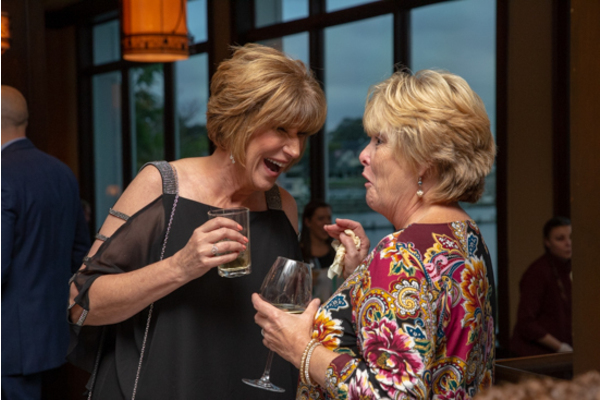 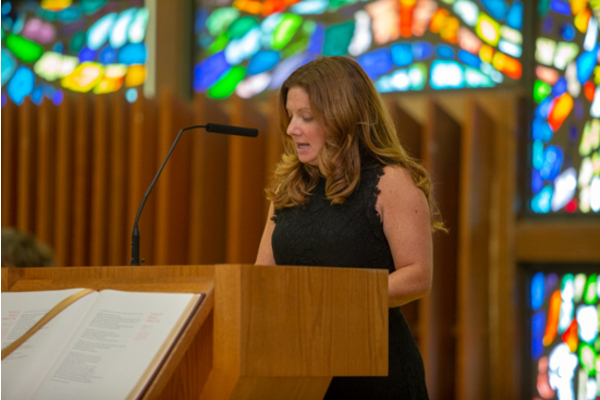 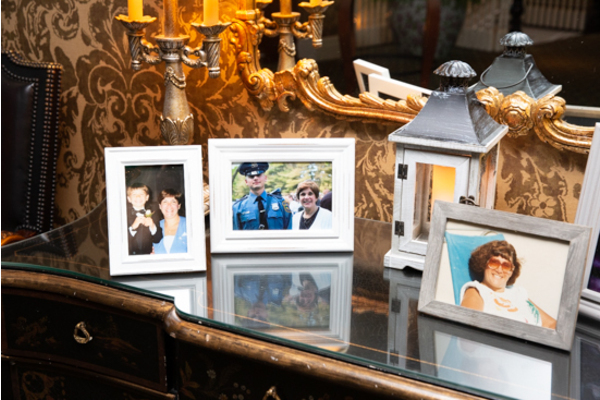 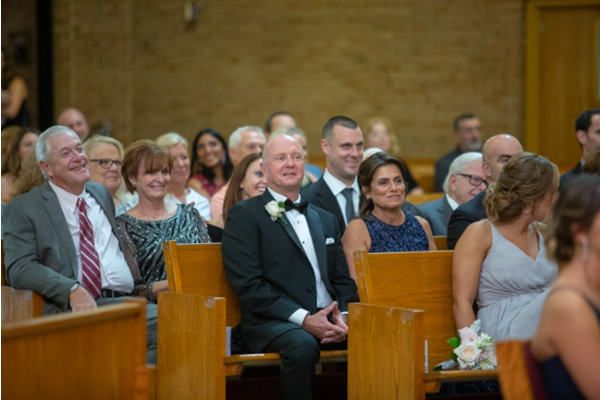 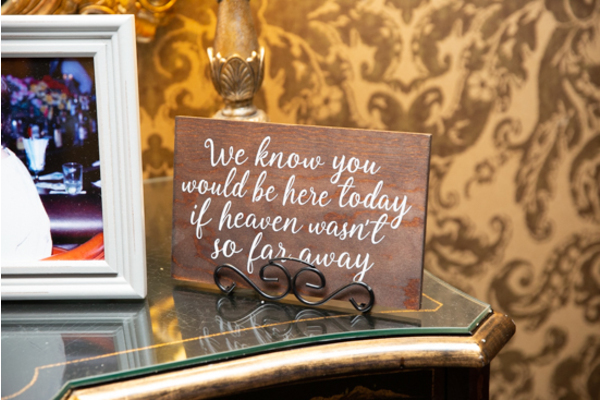 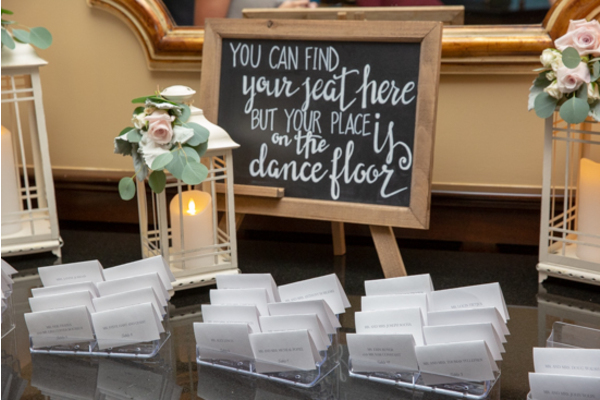 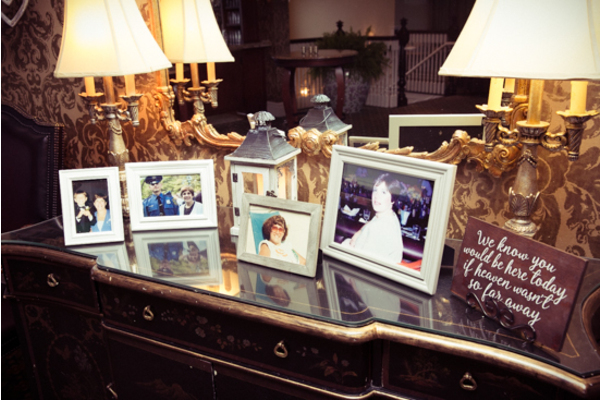 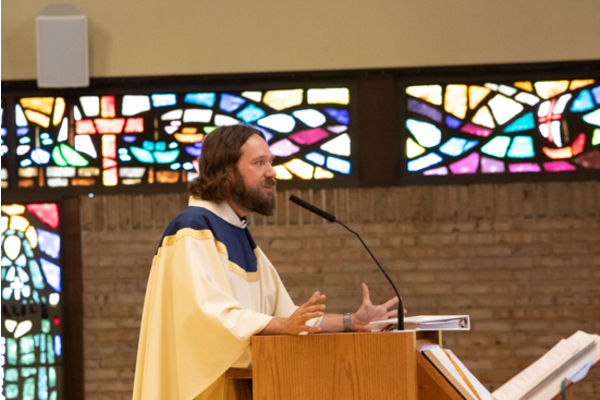 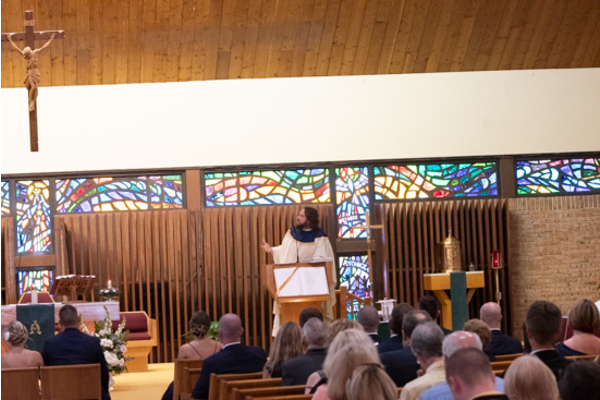 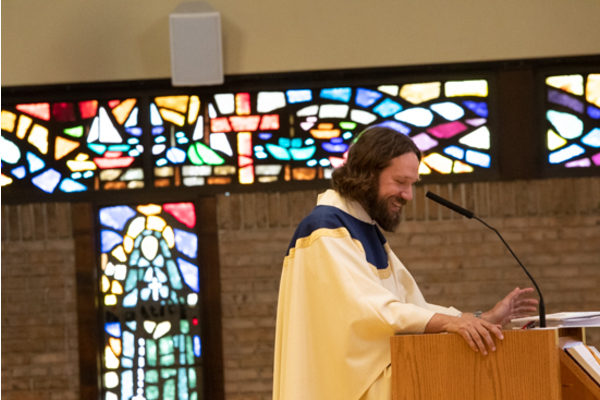 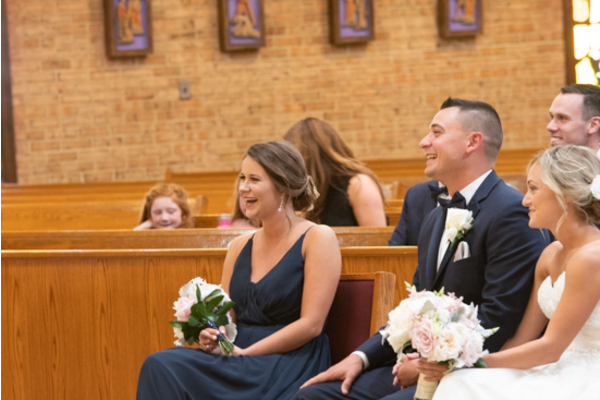 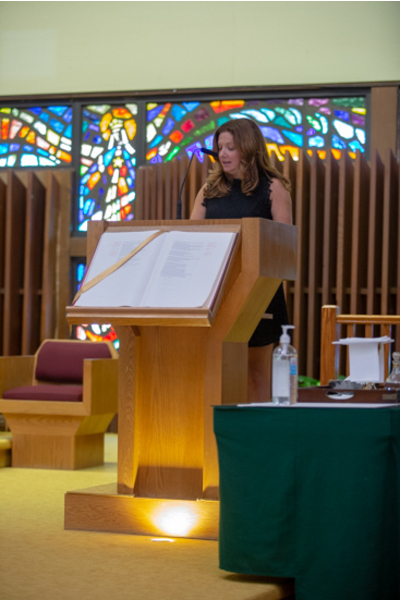 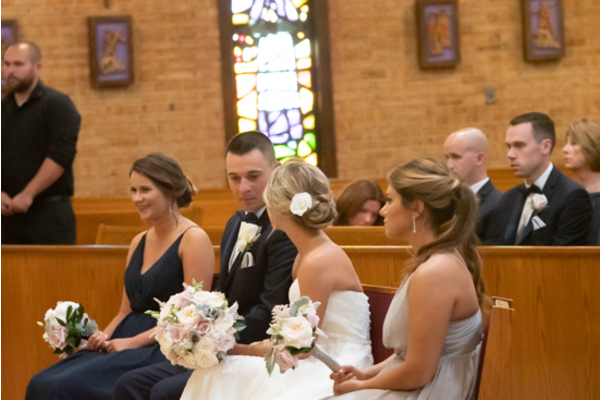 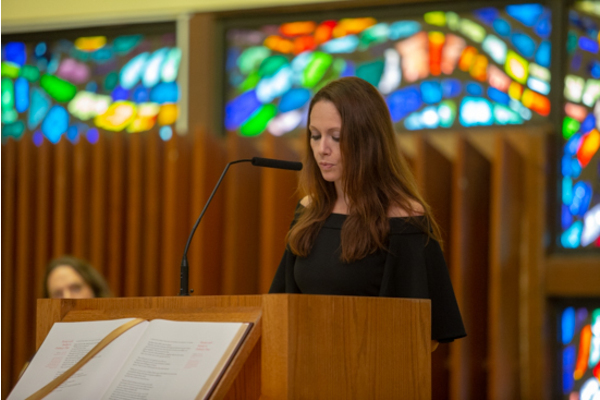 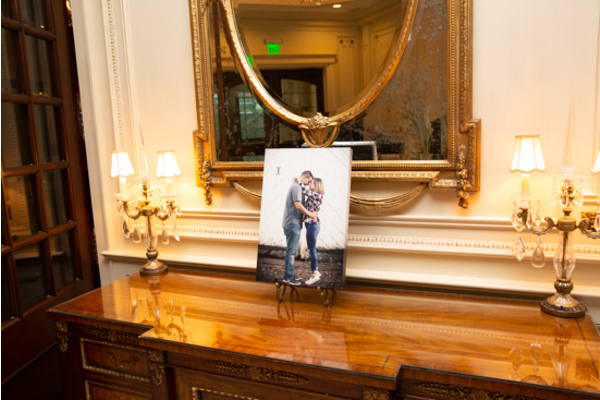 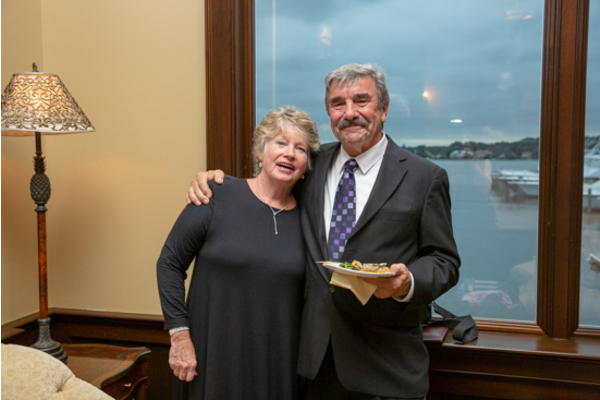 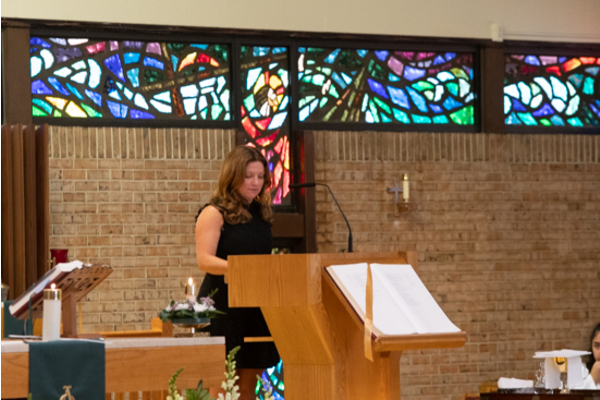 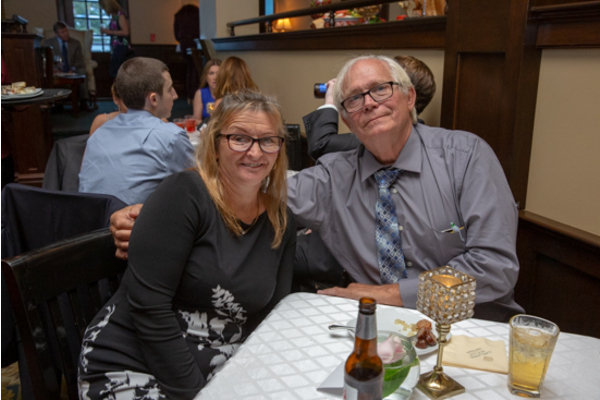 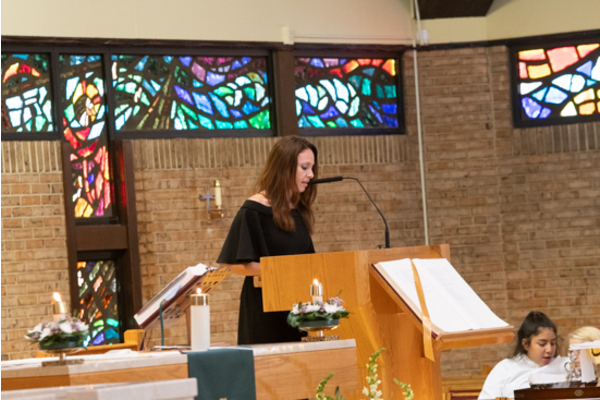 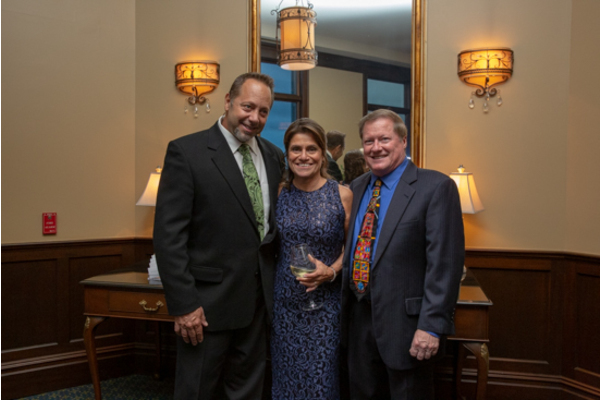 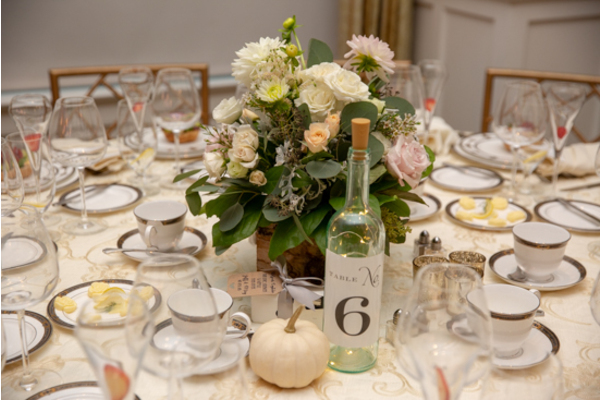 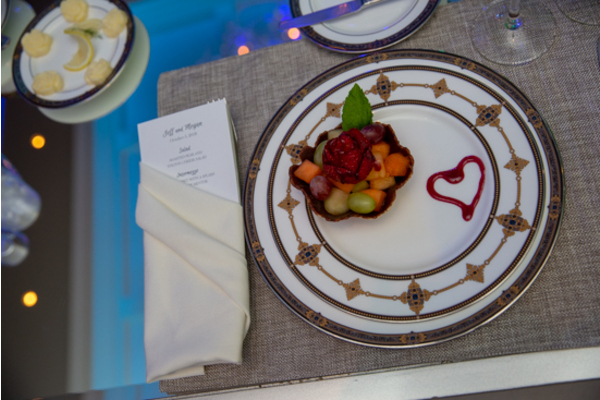 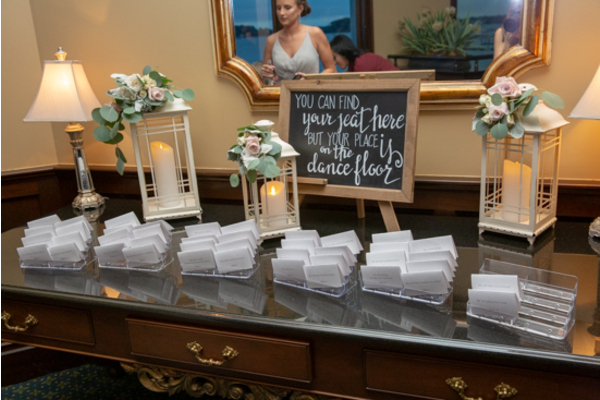 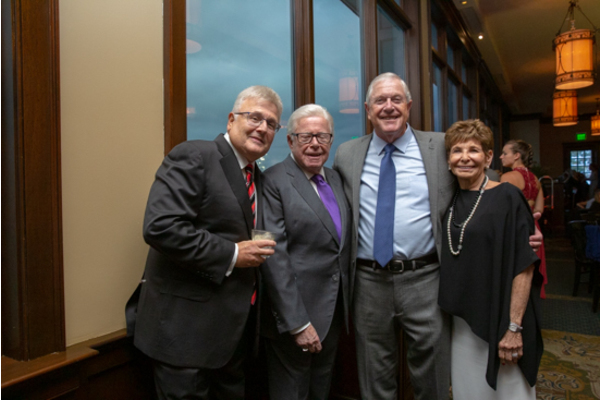 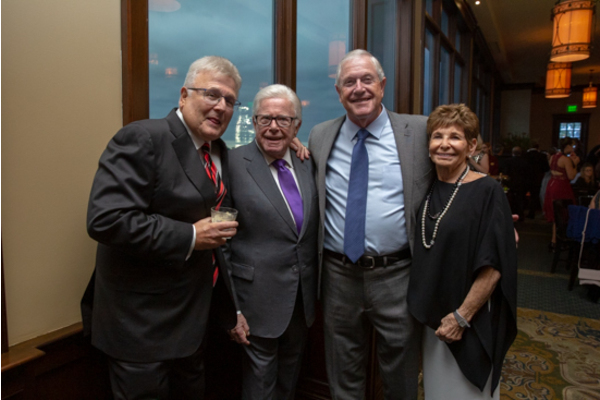 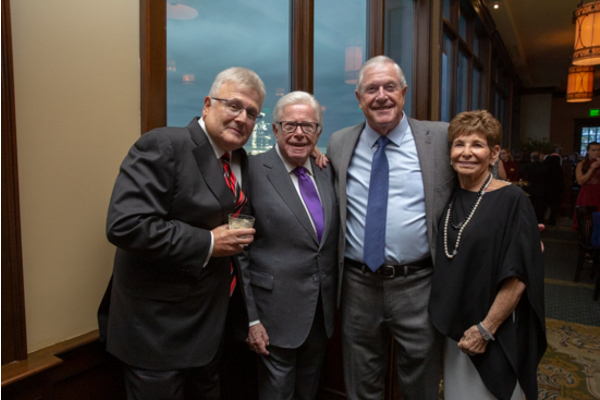 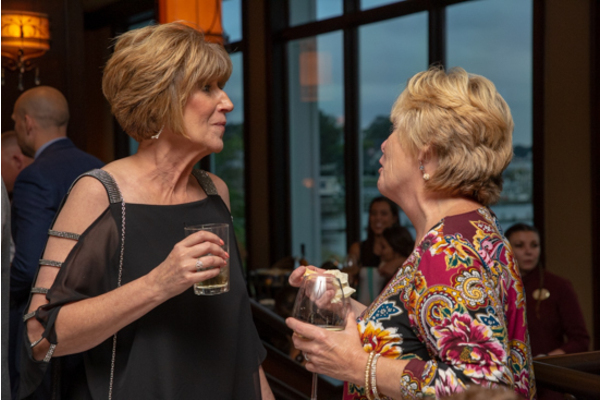 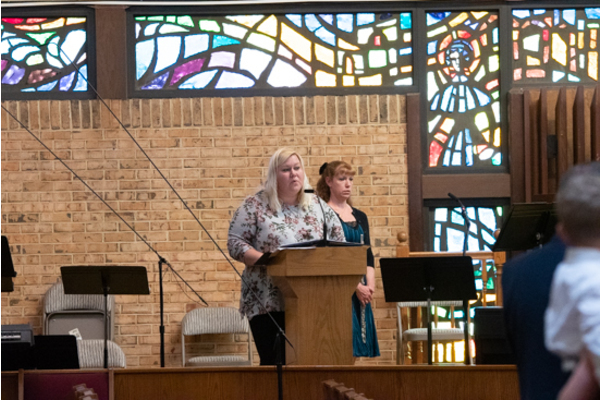 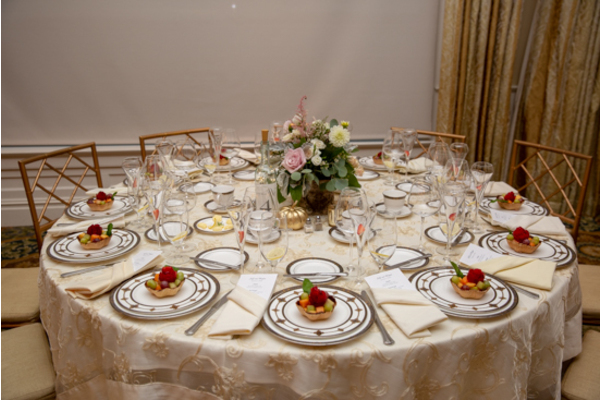 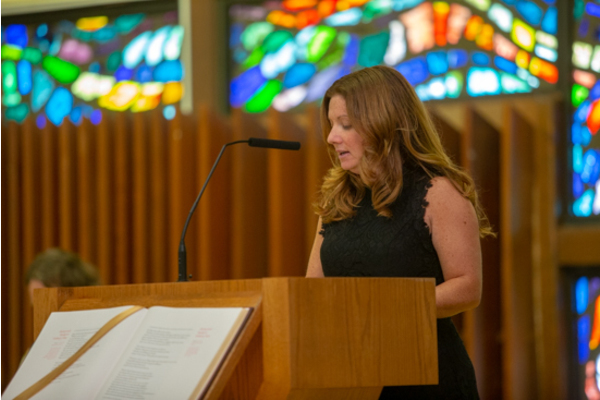 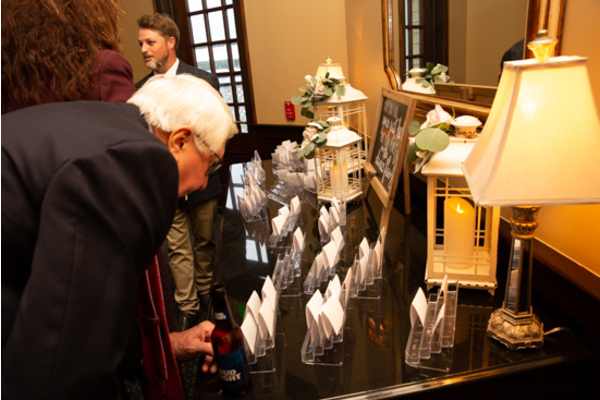 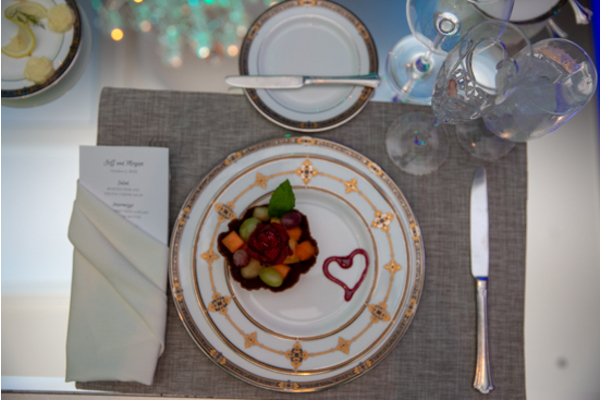 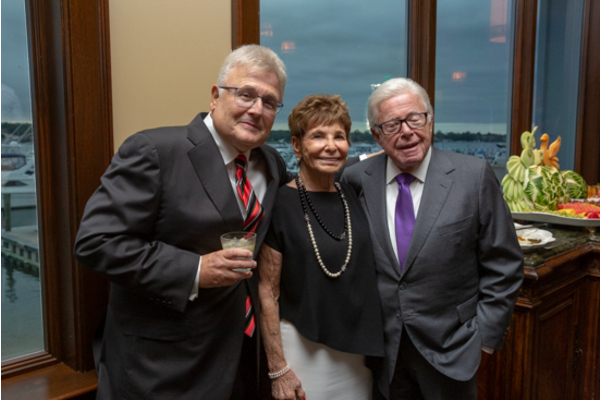 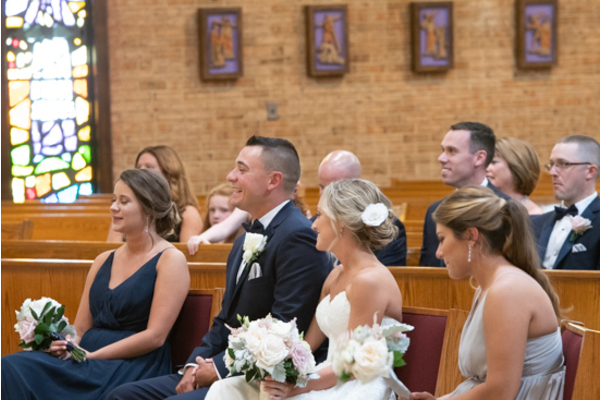 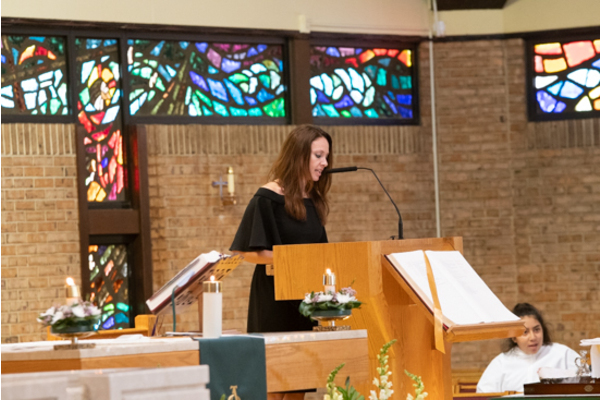 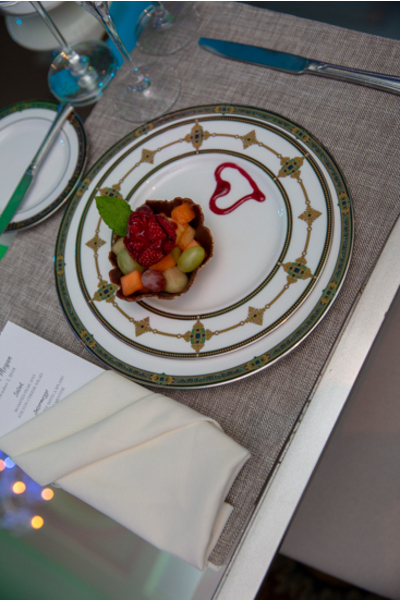 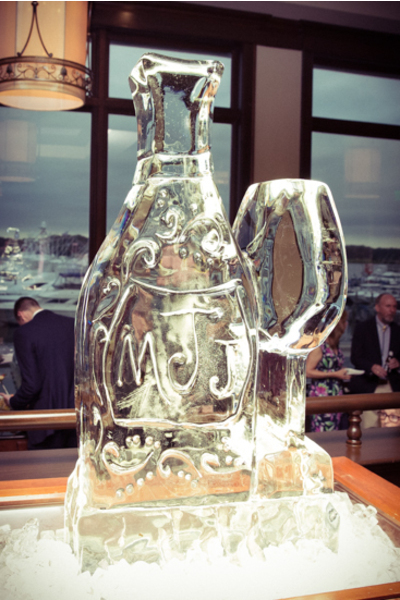 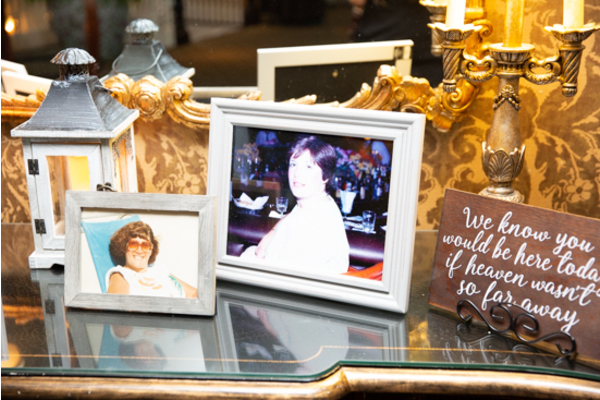 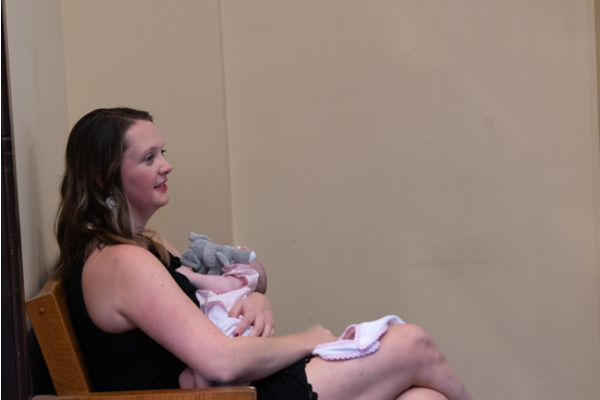 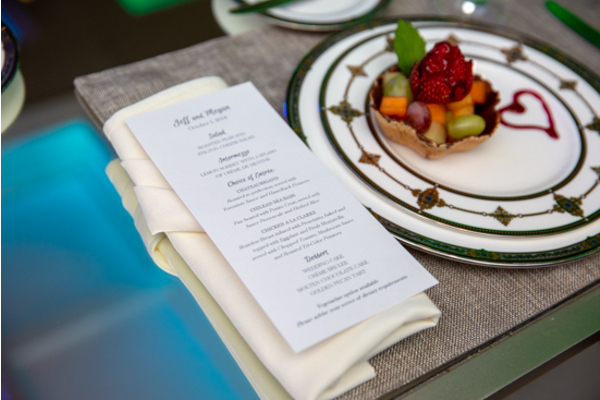 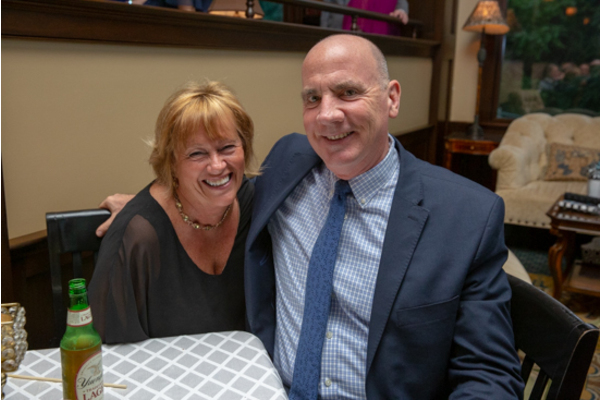 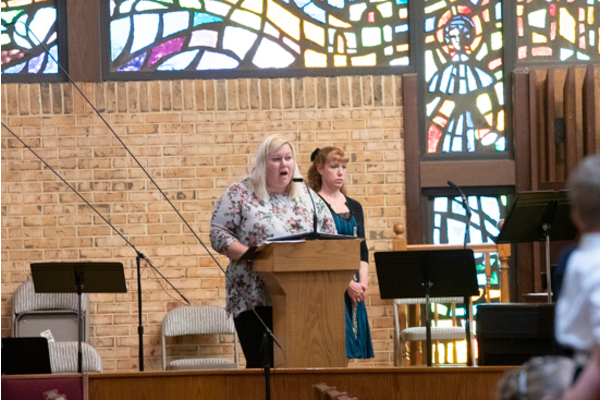 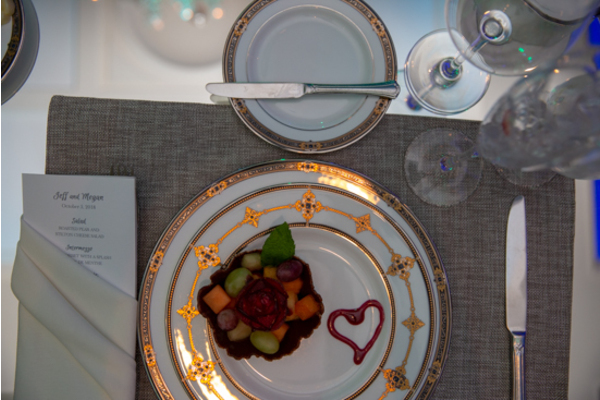 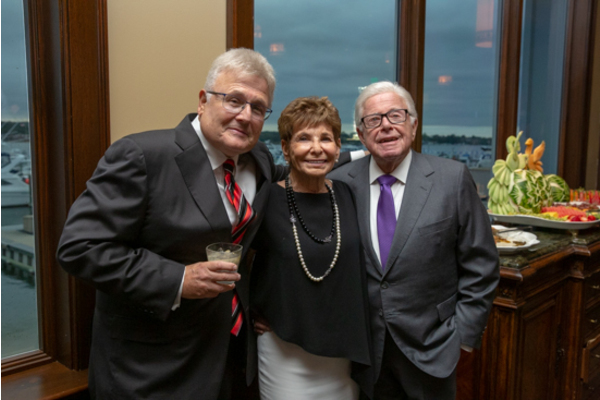 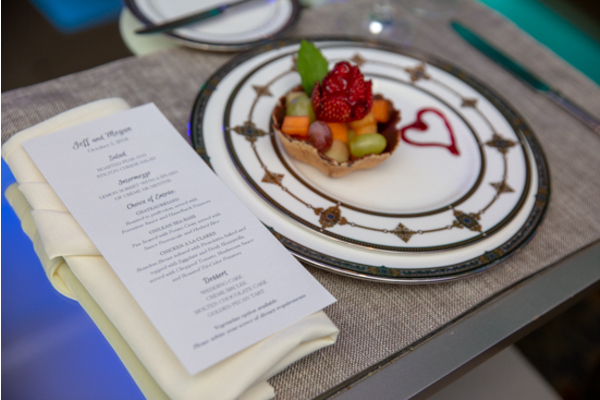 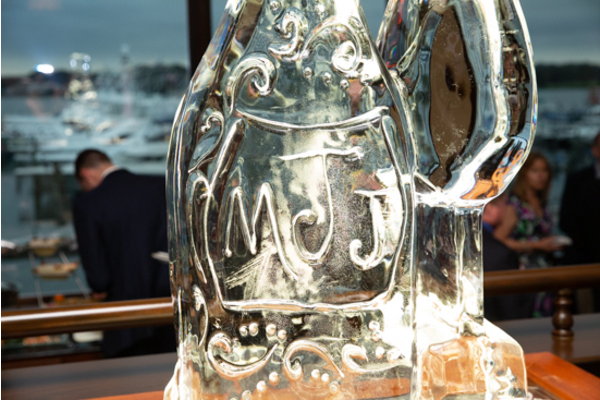 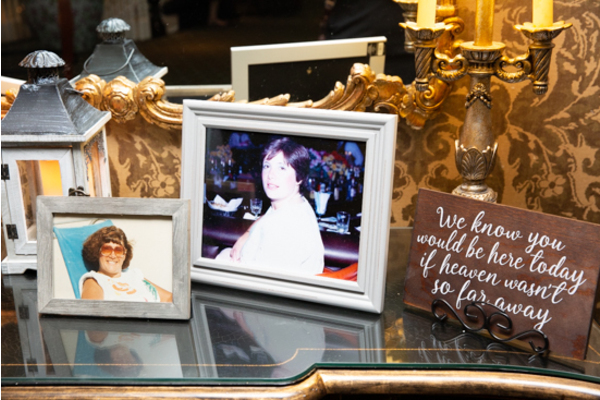 Meg and Jeff’s loved ones created great speeches, which made every guest smile. 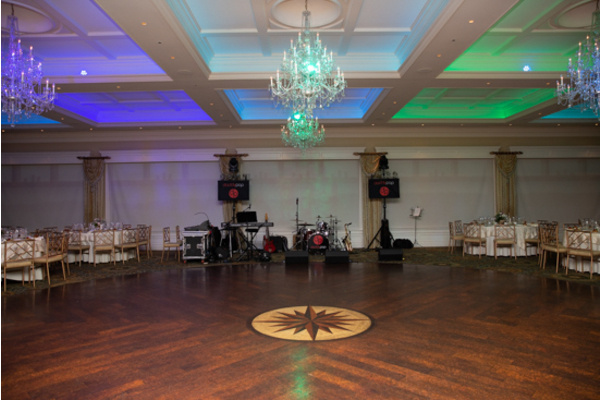 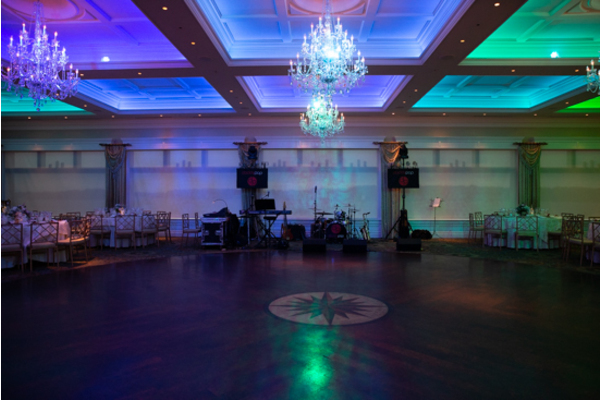 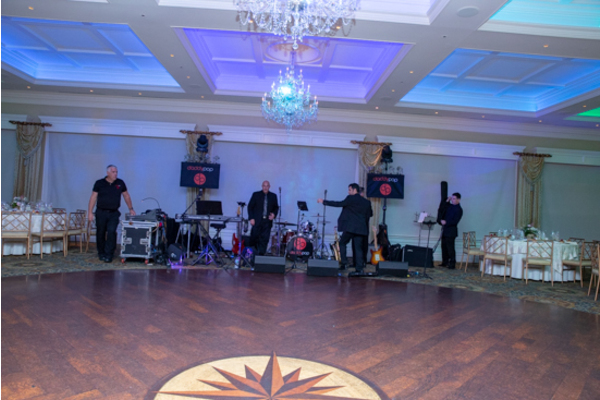 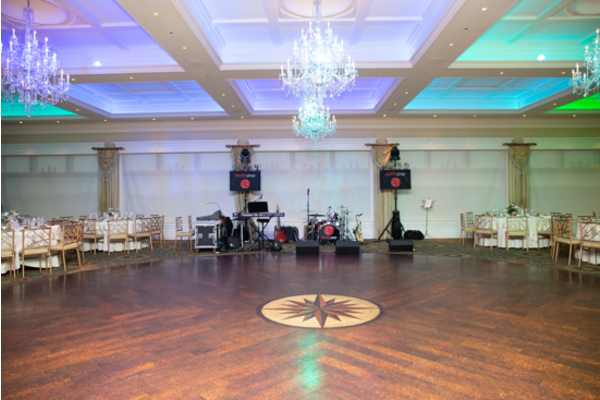 The colorful atmosphere along with the energetic environment was the perfect ambiance to dance the night away. 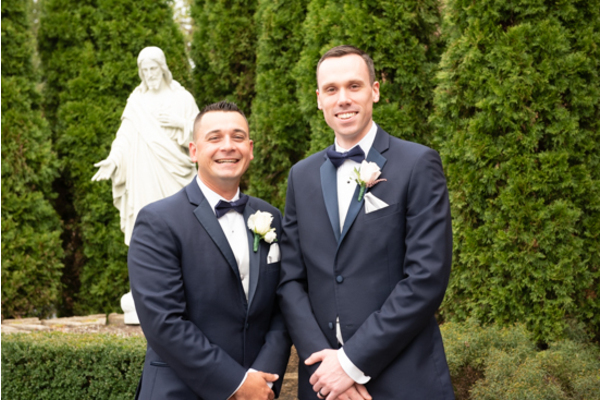 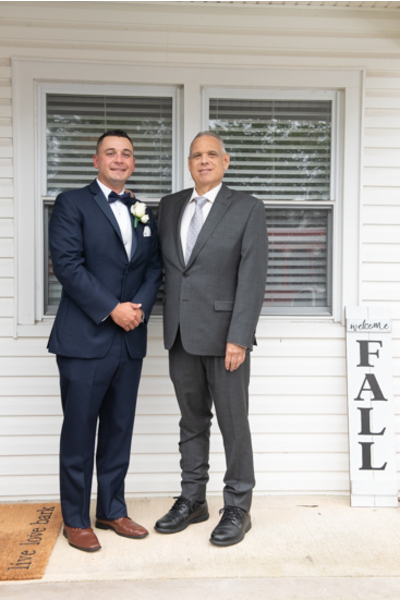 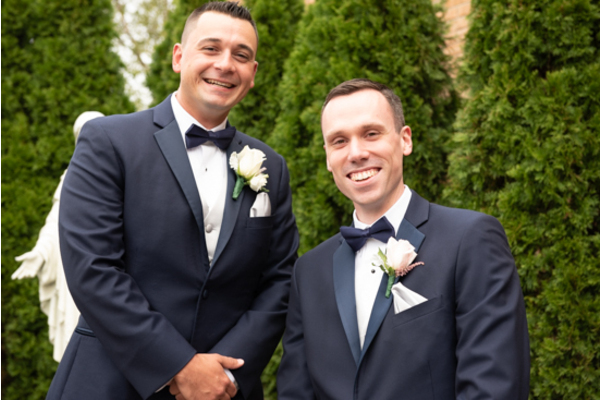 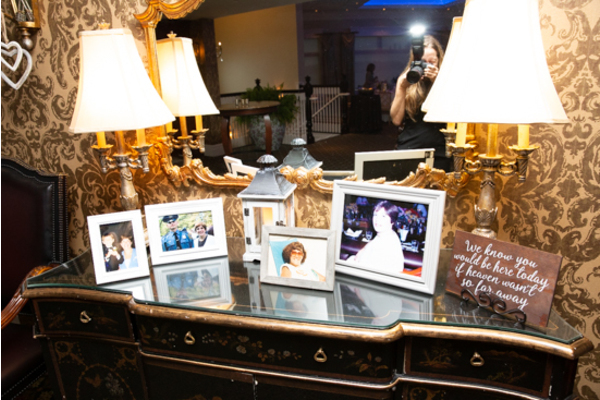 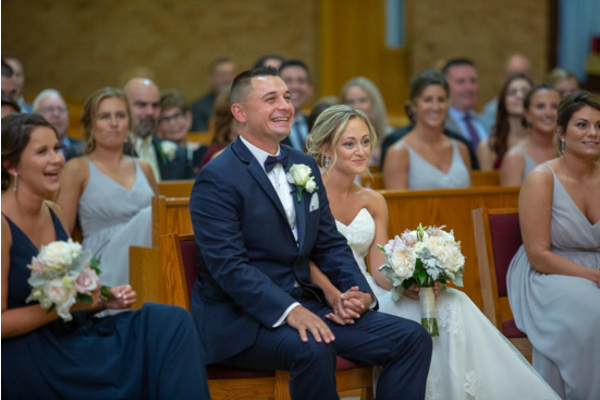 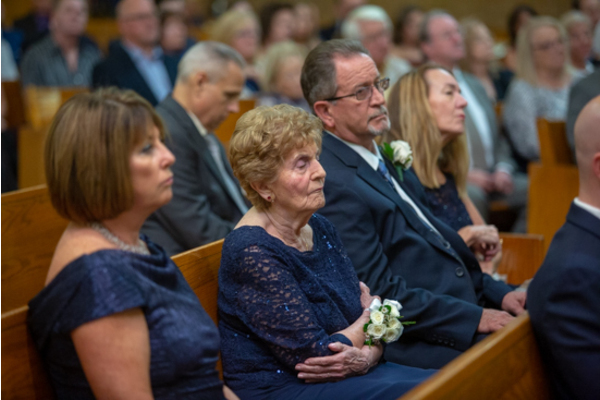 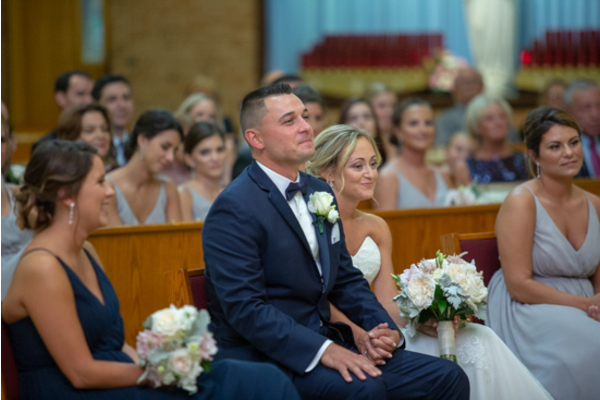 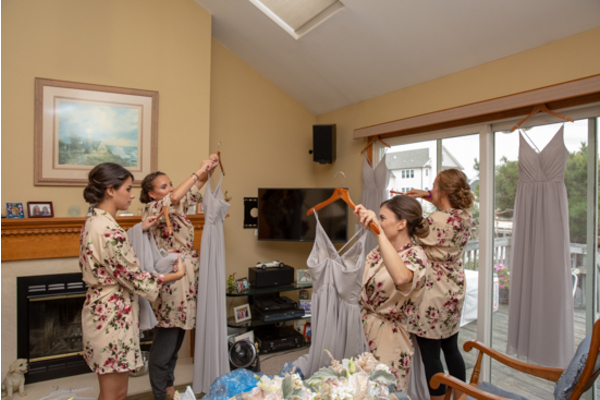 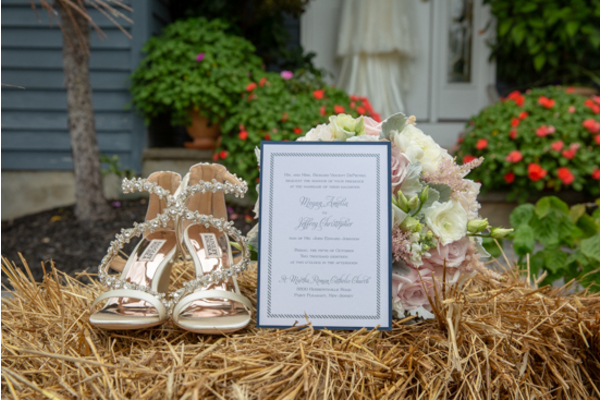 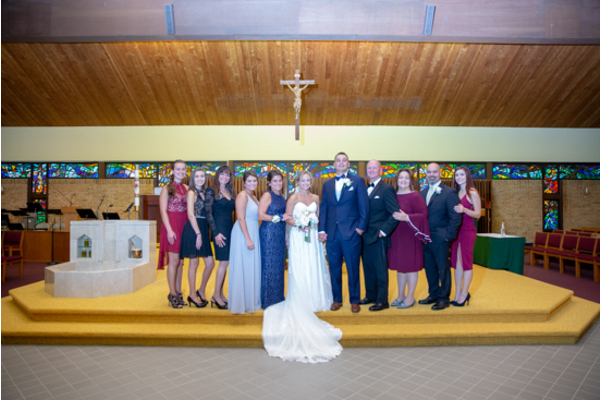 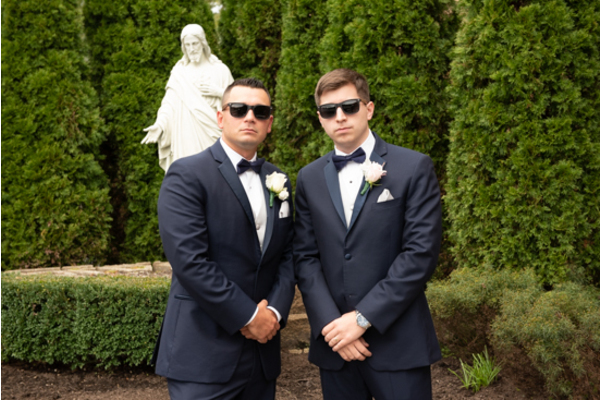 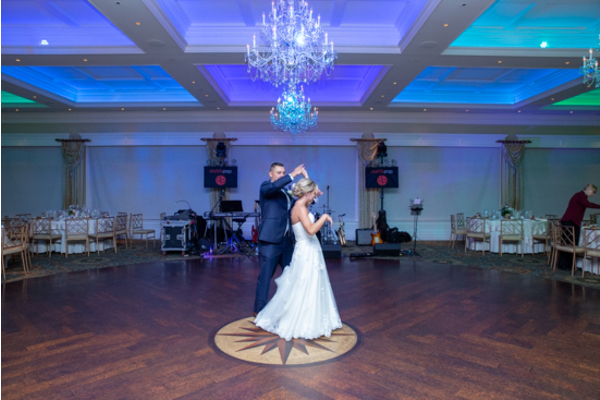 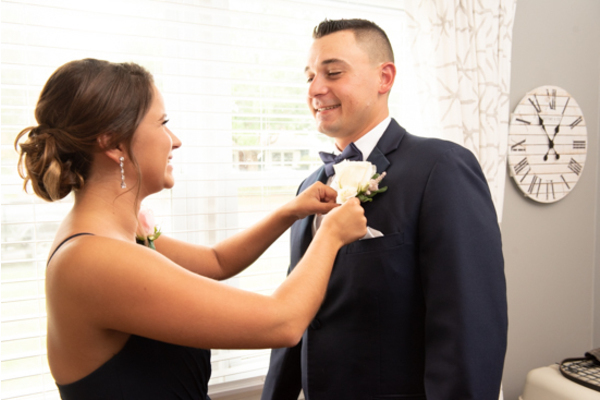 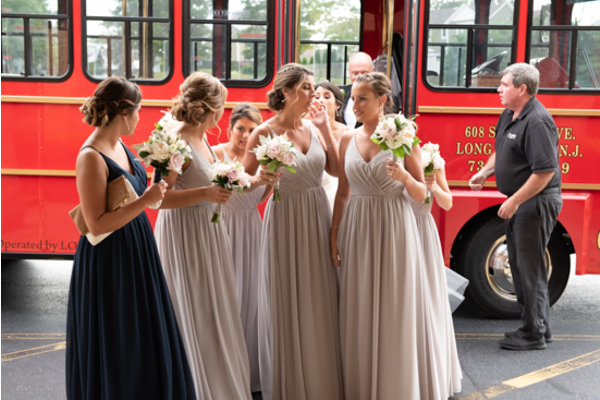 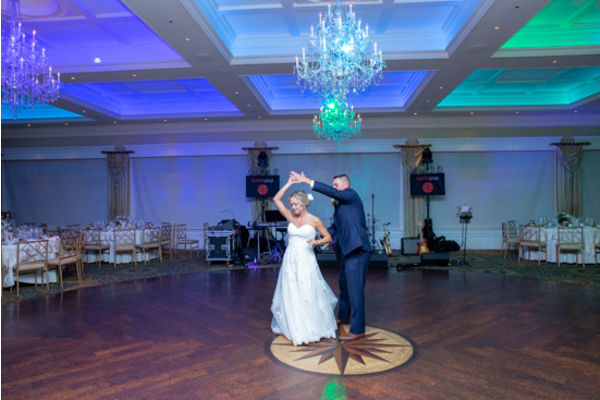 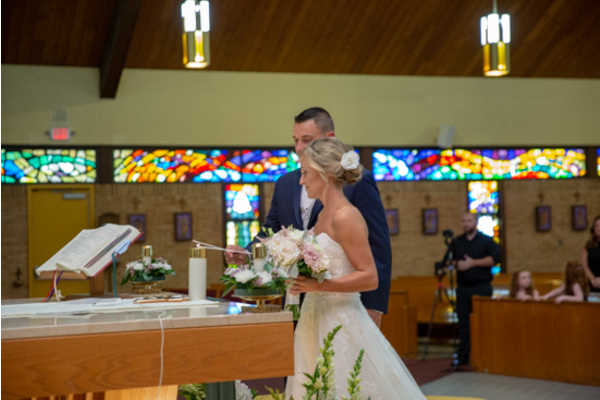 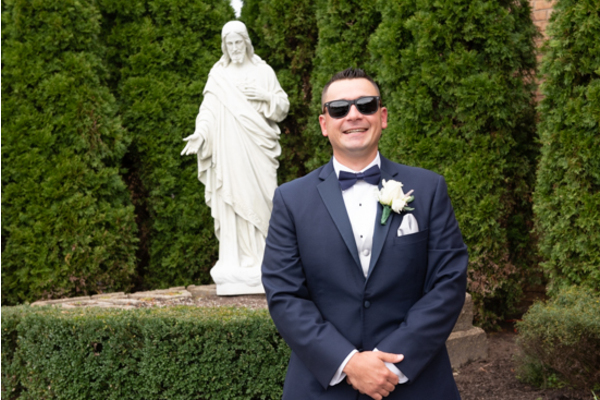 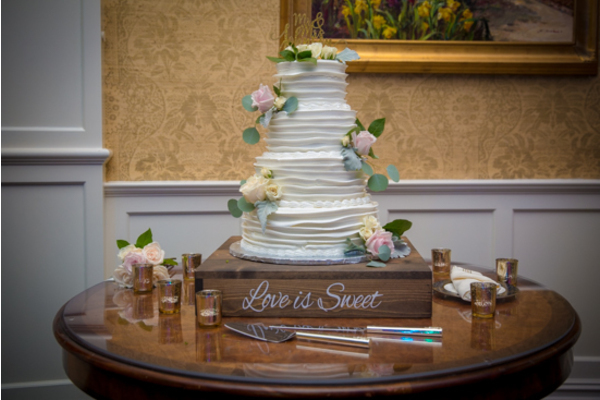 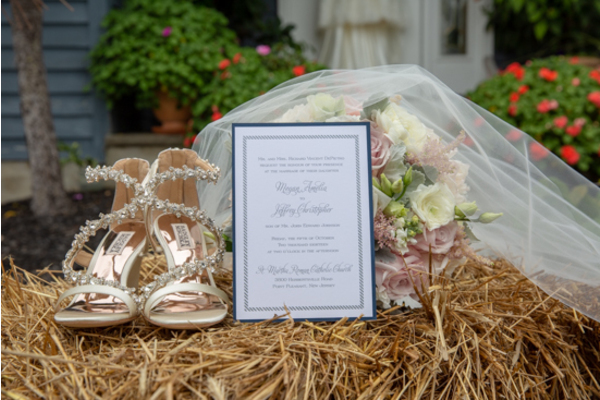 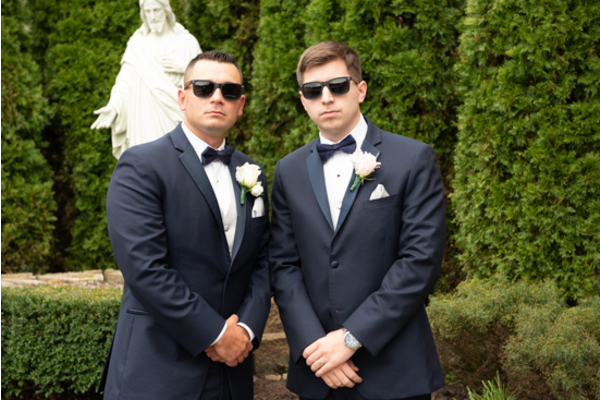 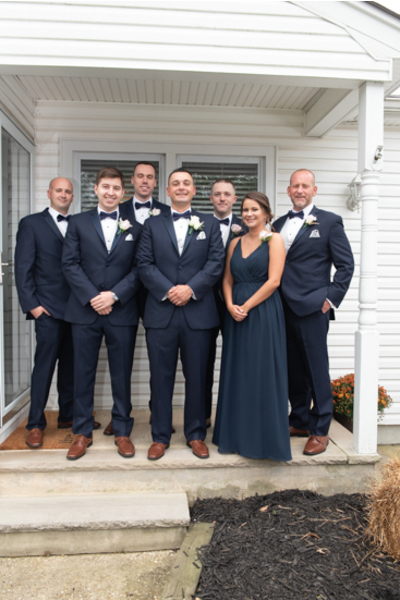 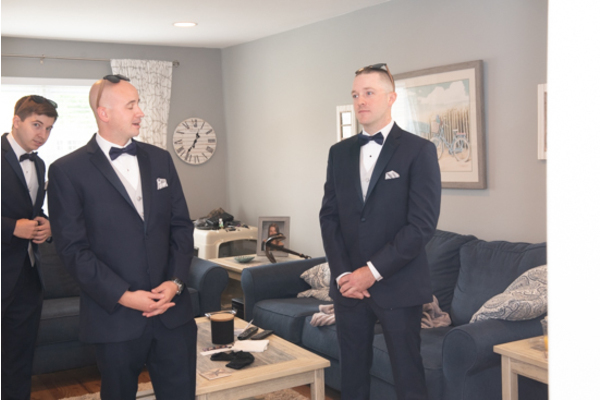 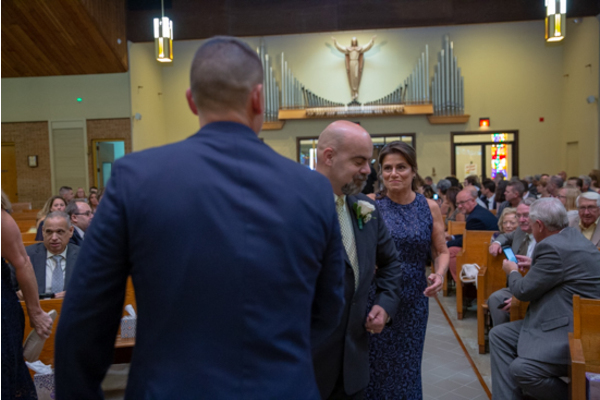 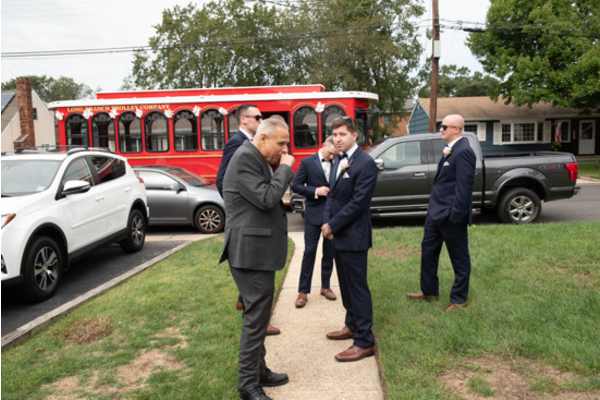 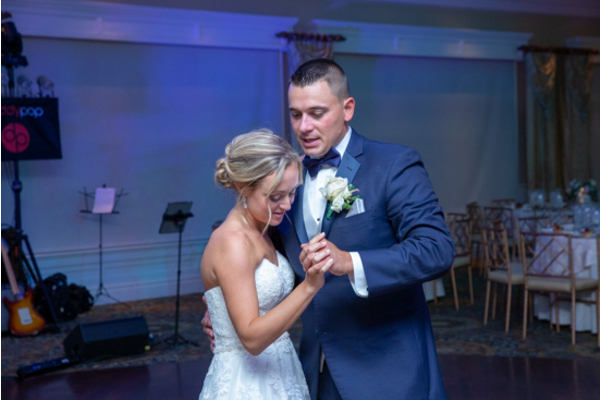 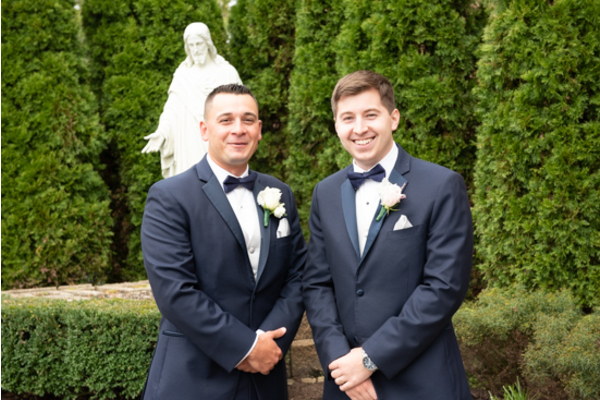 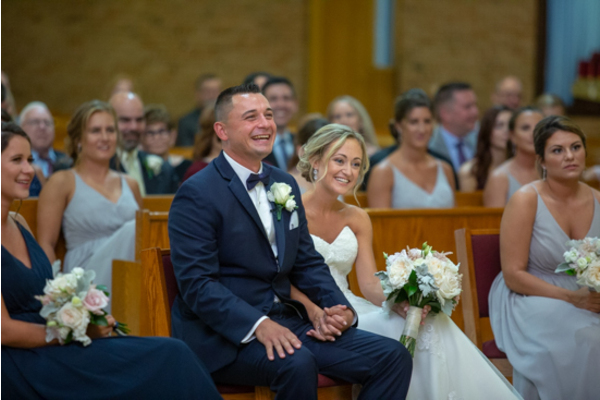 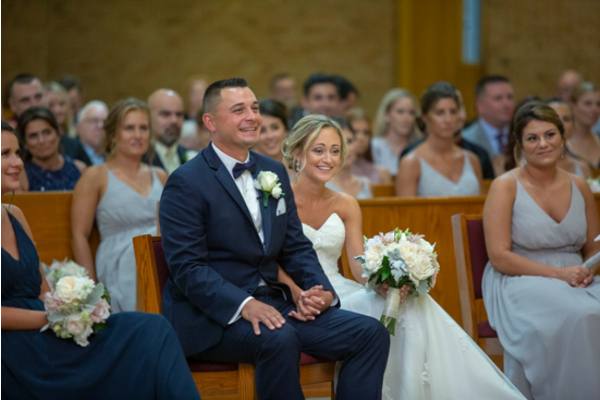 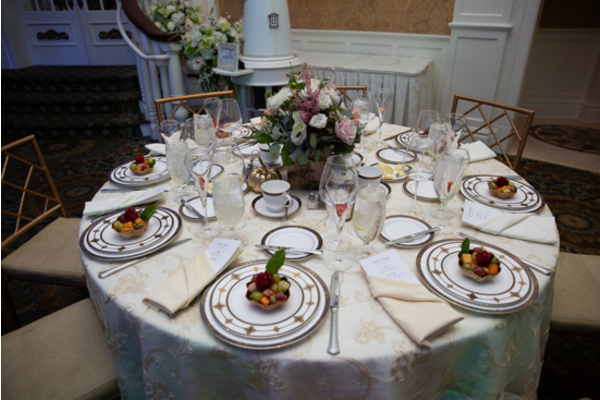 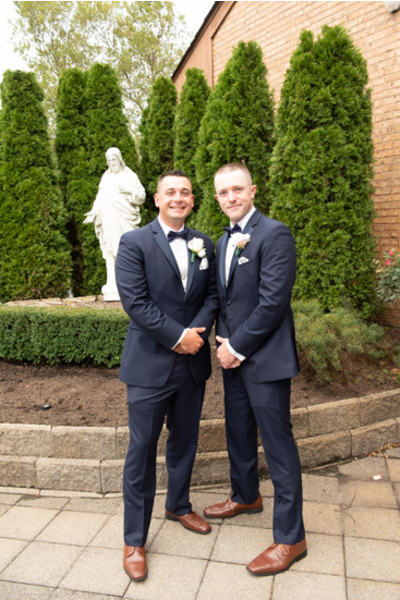 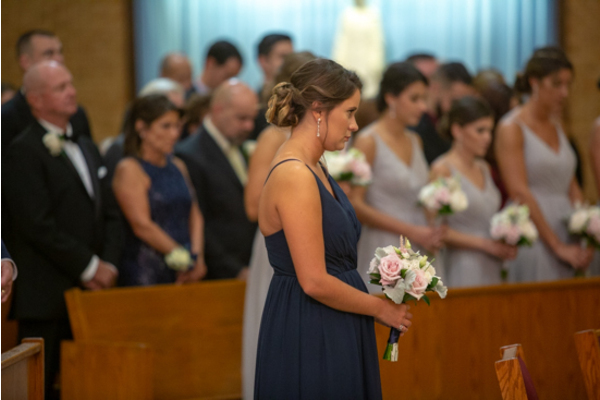 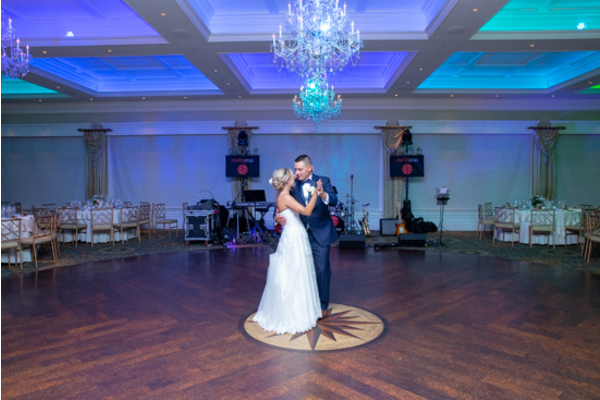 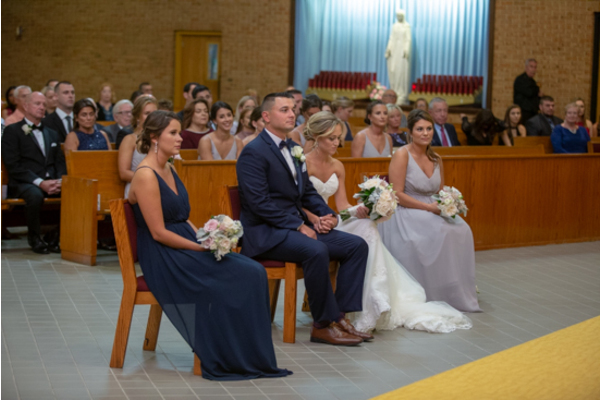 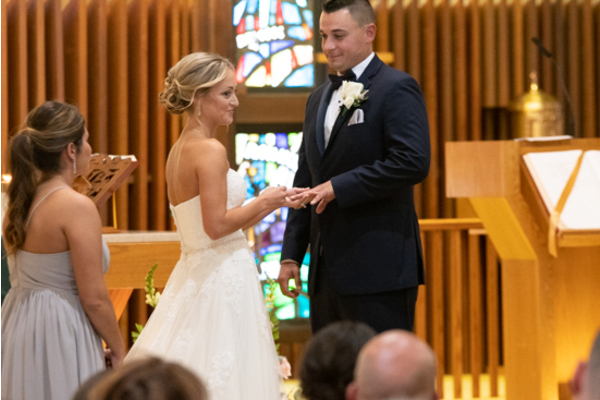 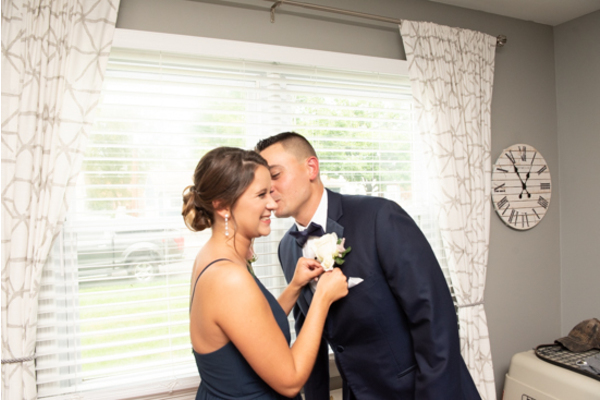 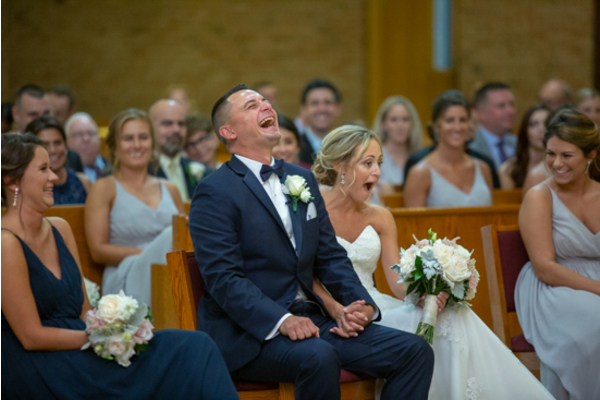 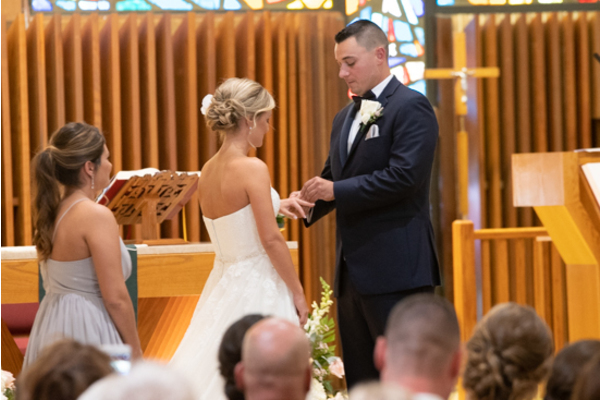 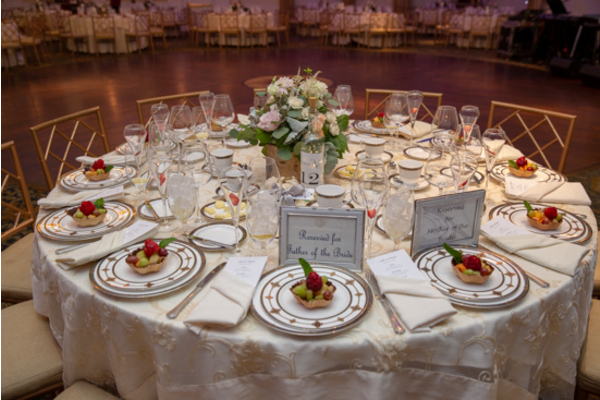 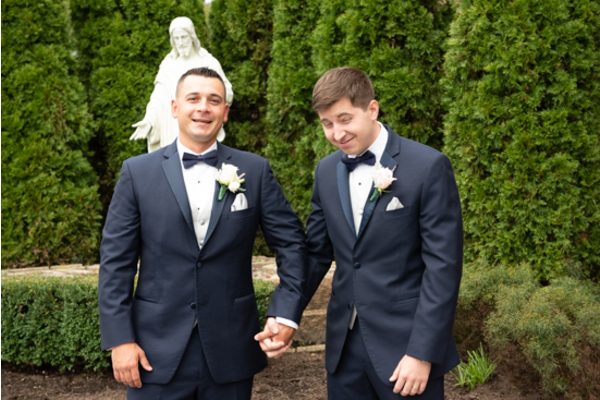 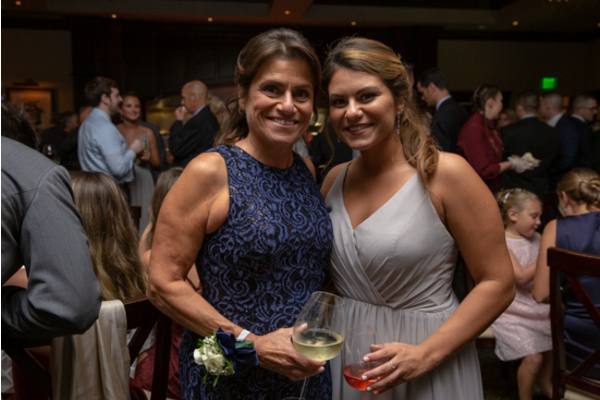 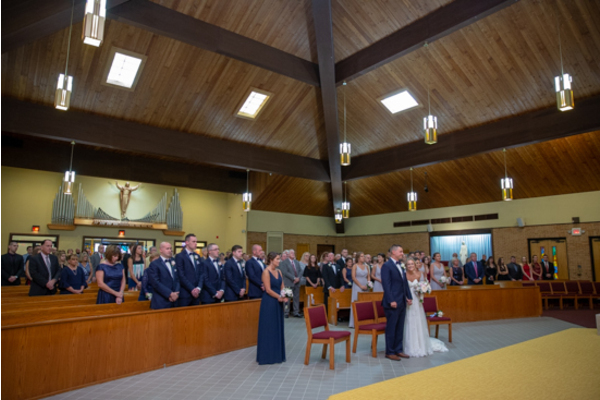 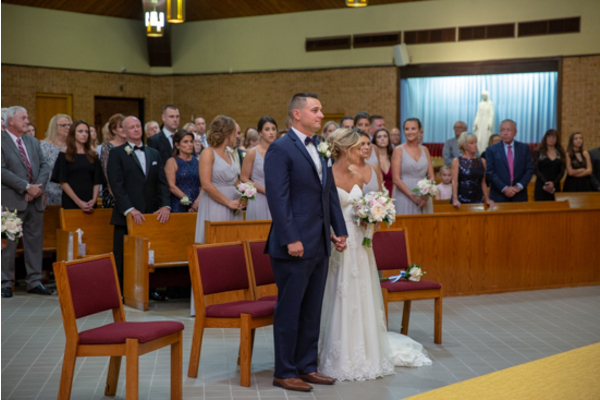 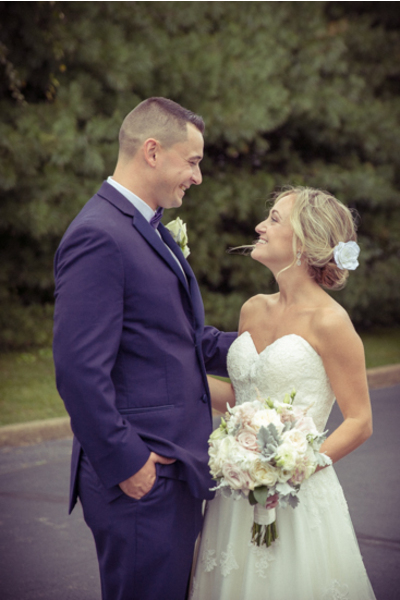 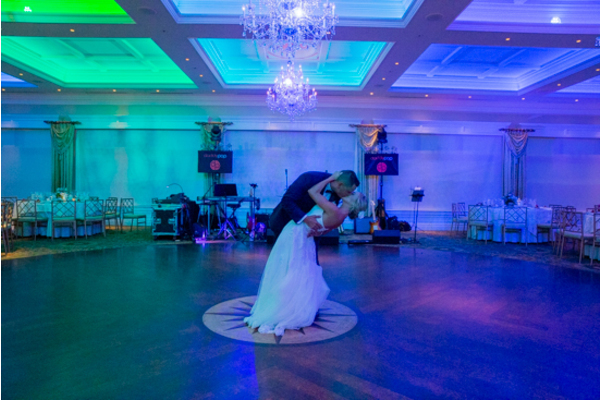 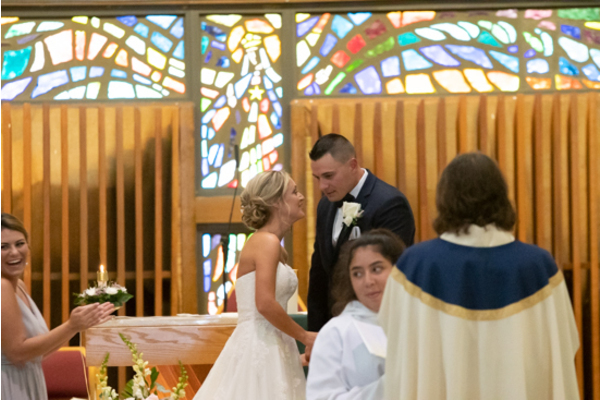 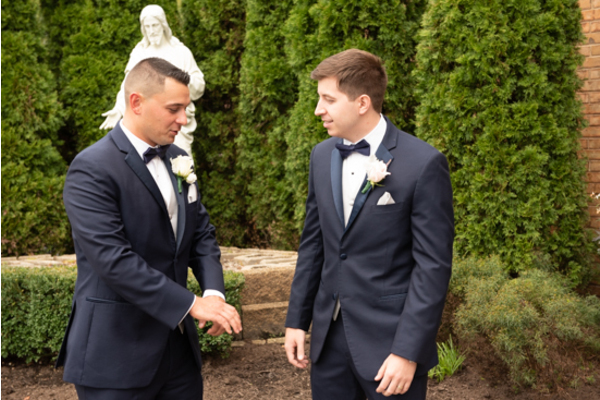 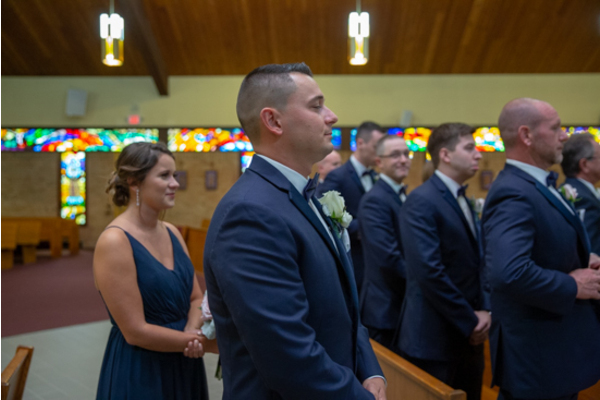 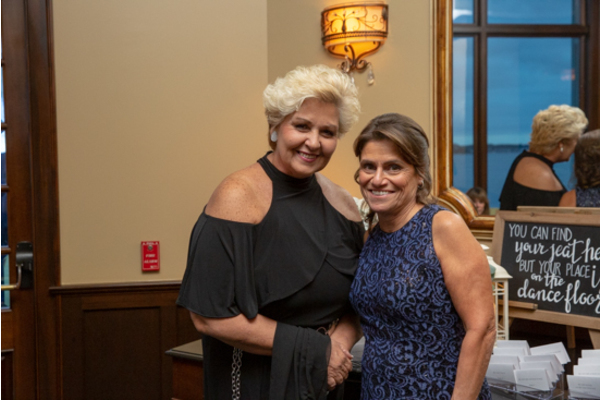 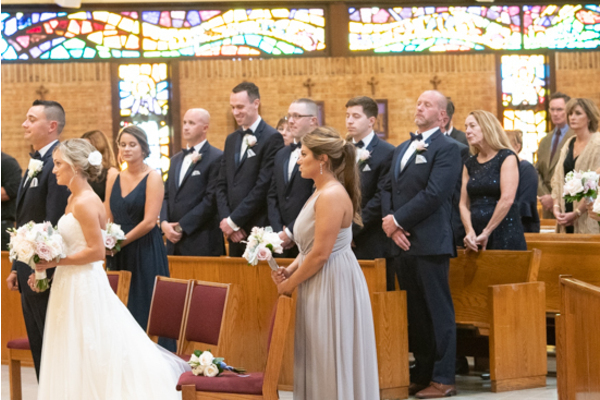 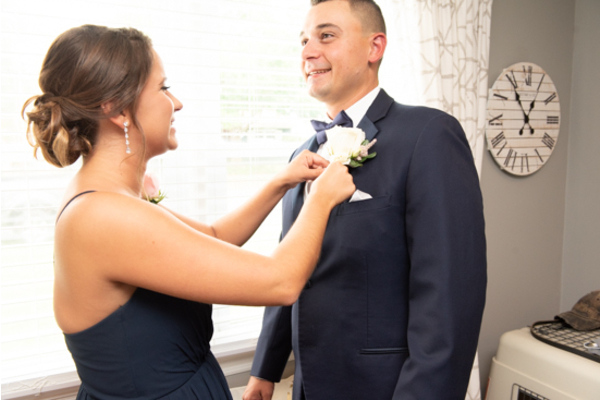 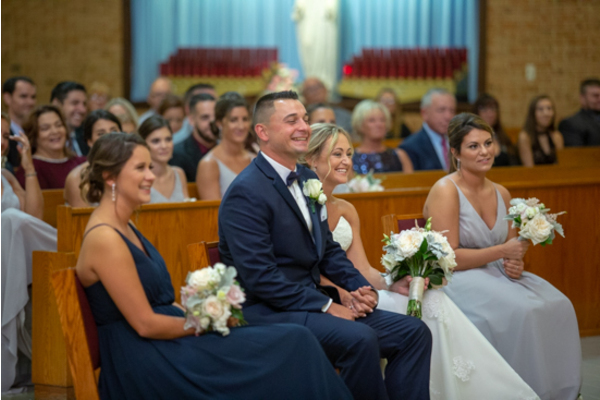 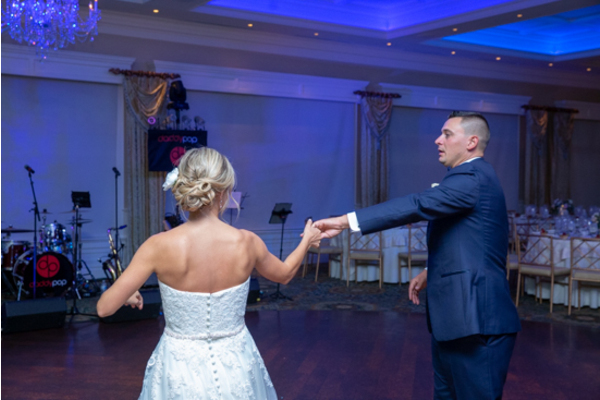 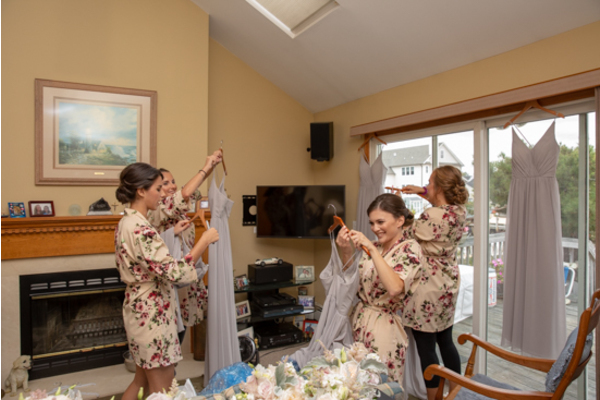 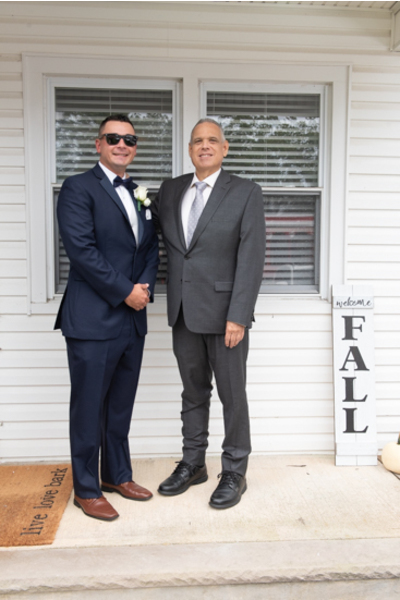 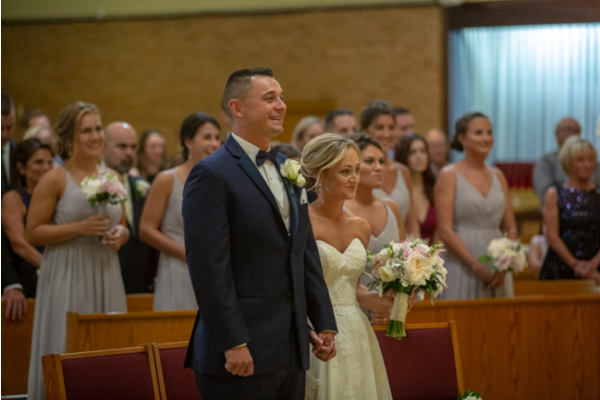 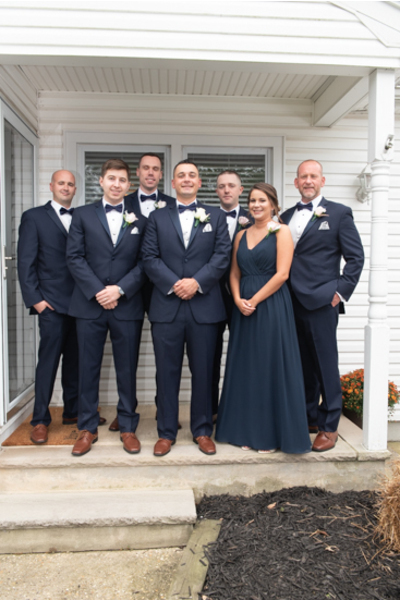 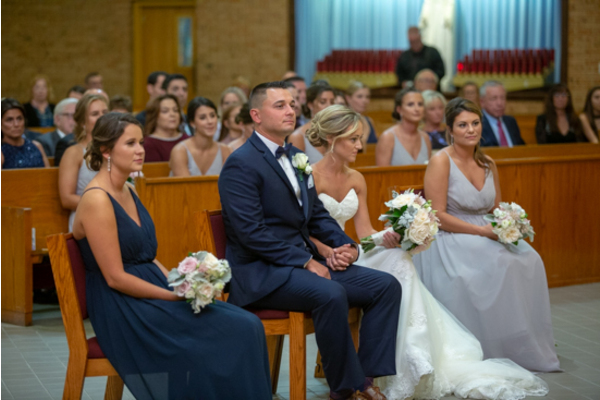 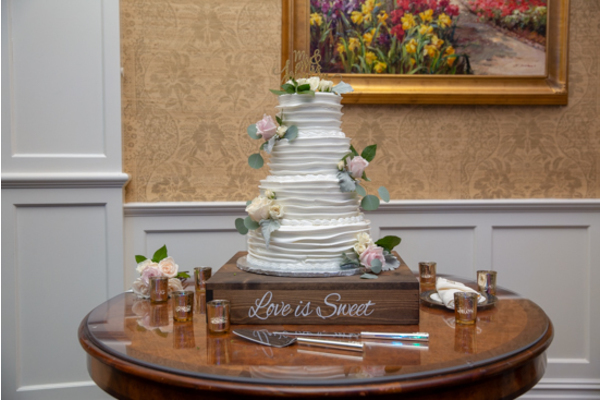 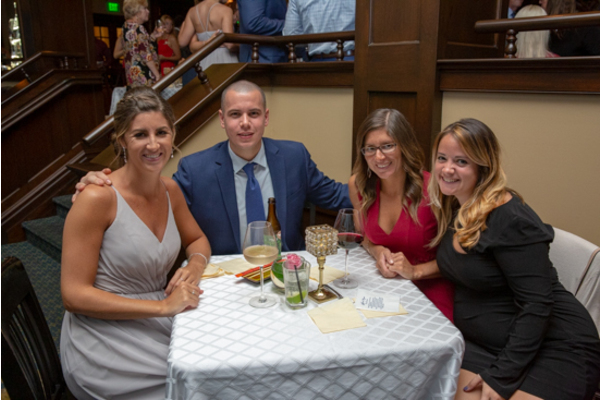 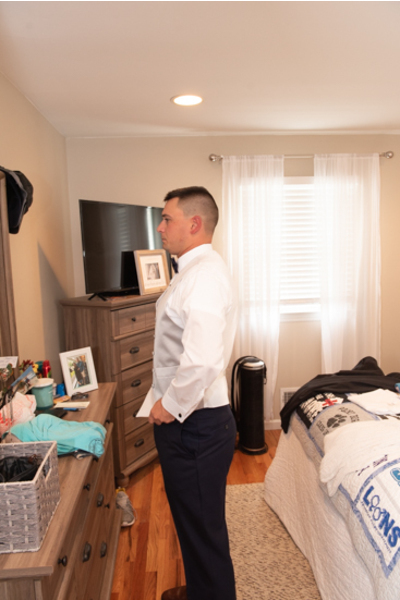 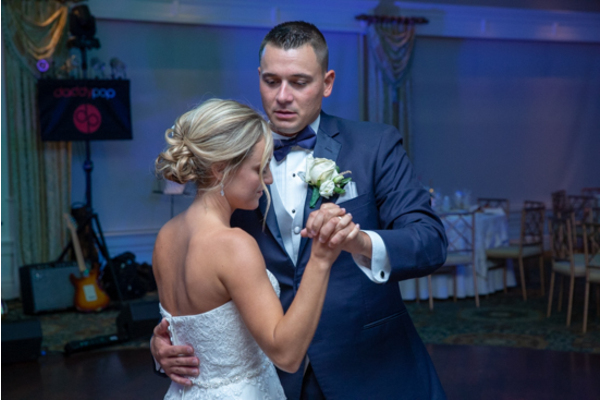 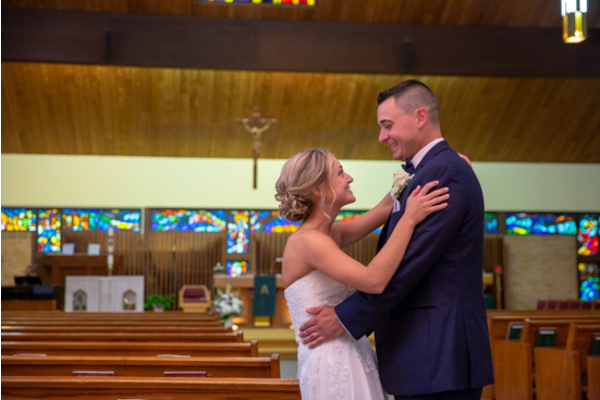 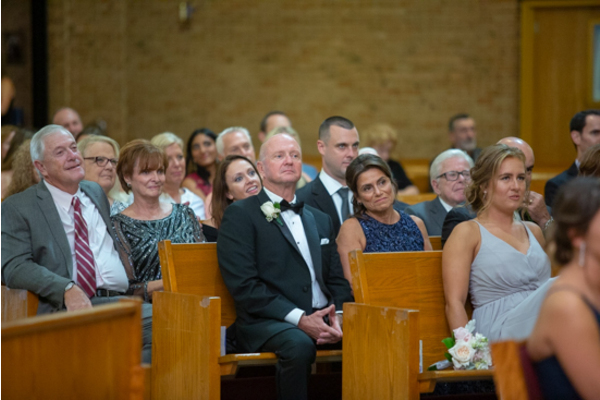 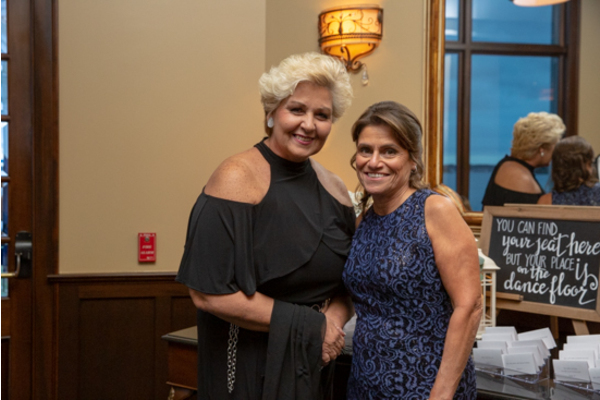 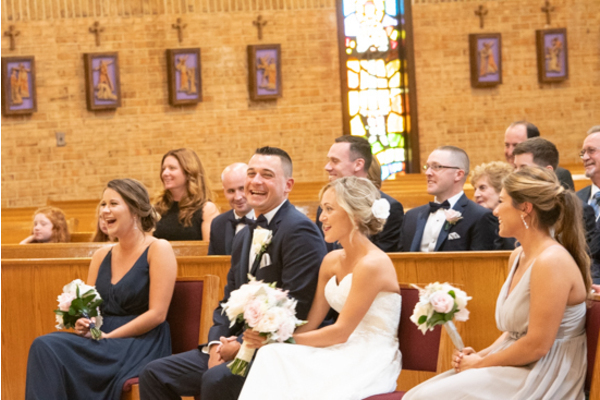 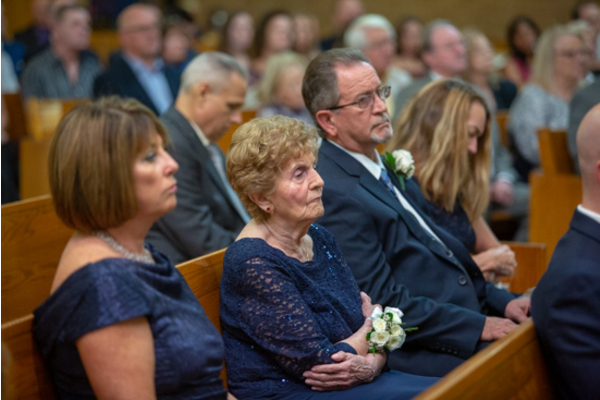 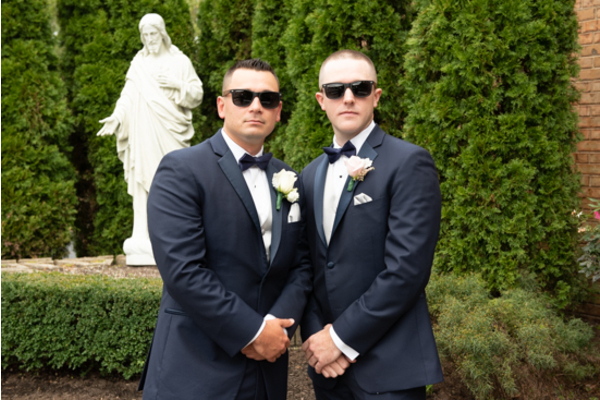 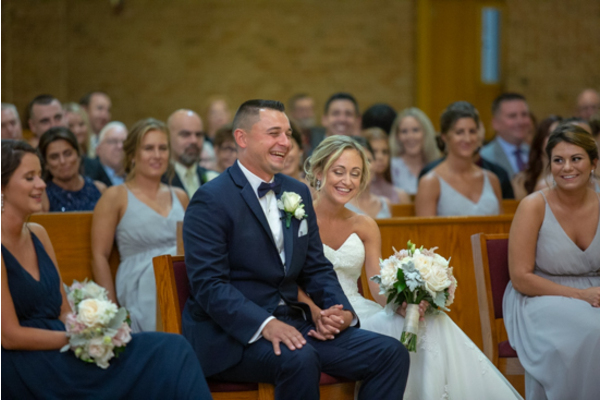 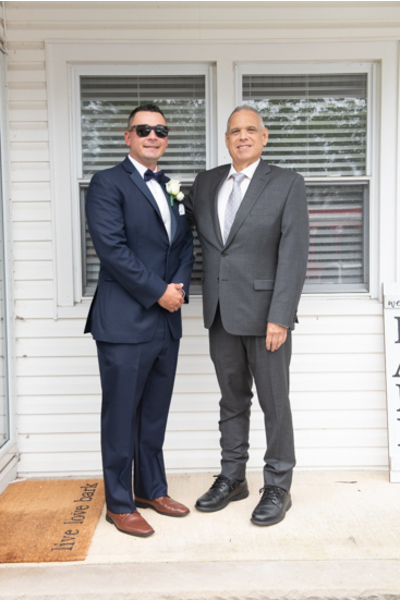 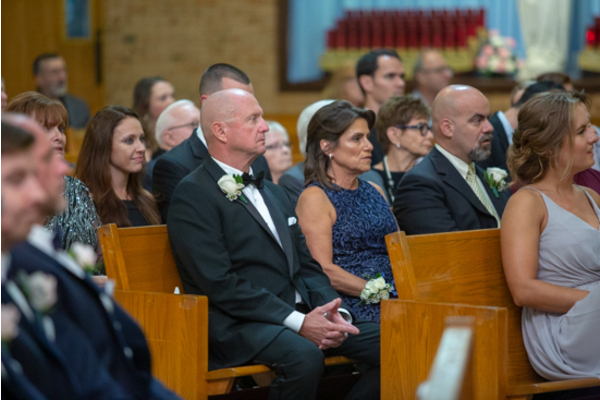 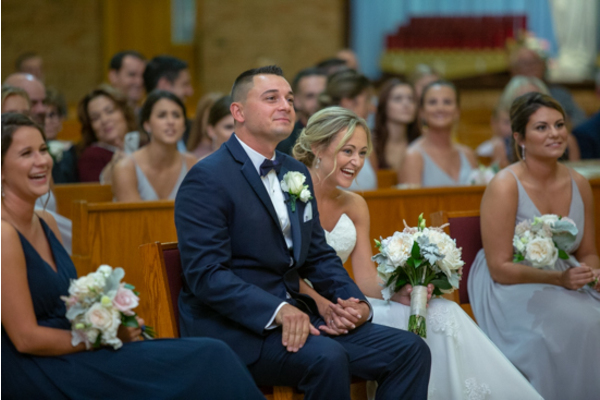 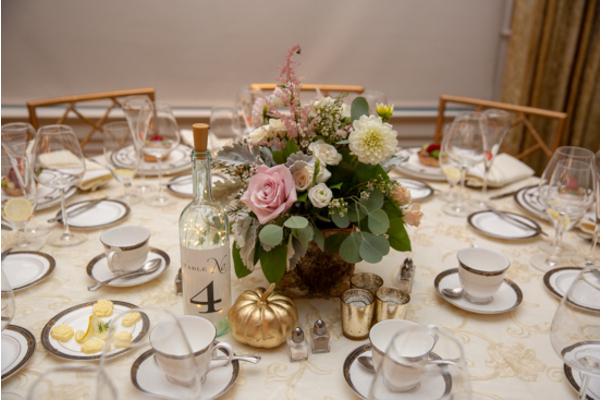 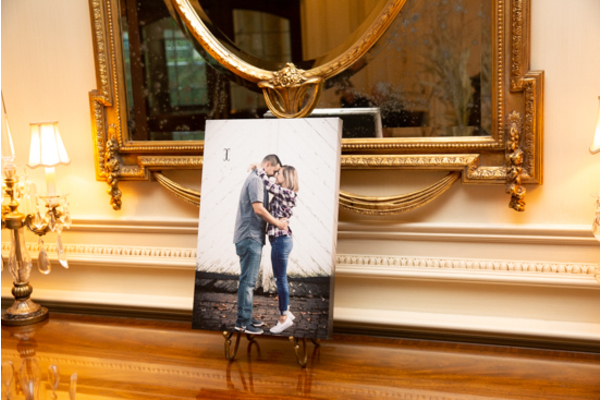 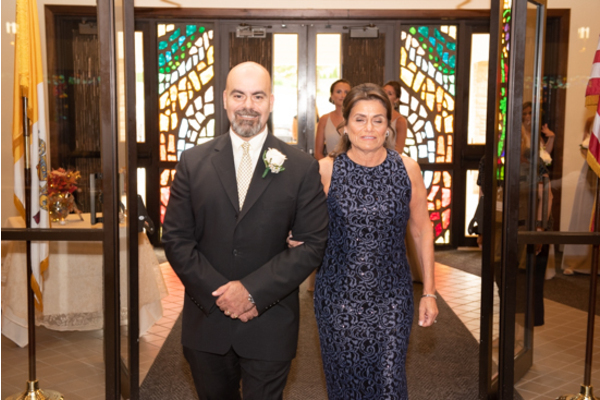 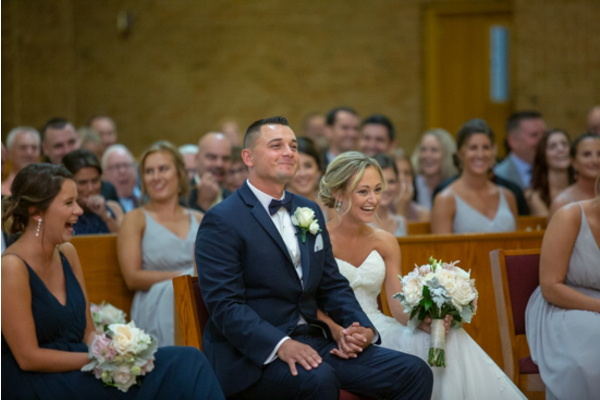 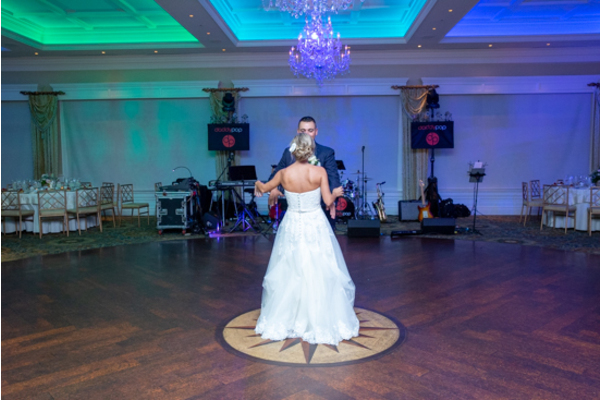 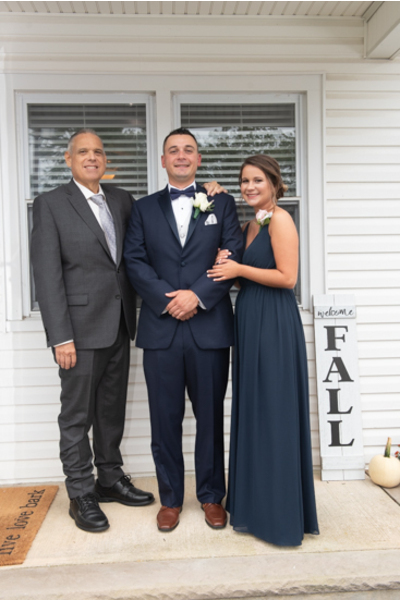 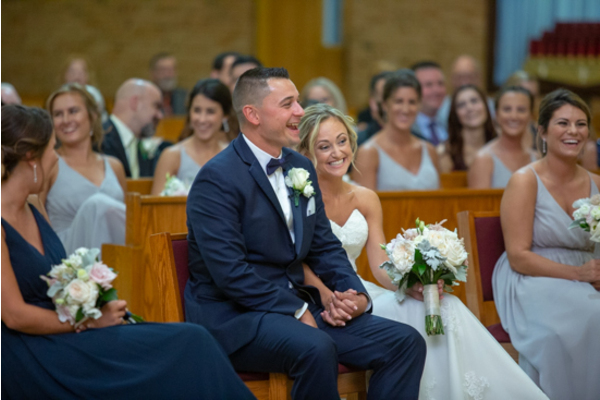 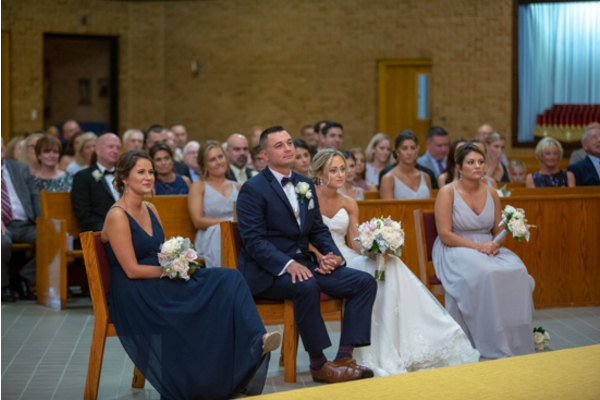 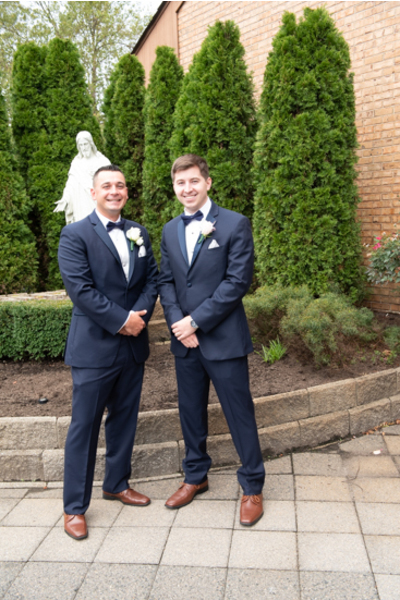 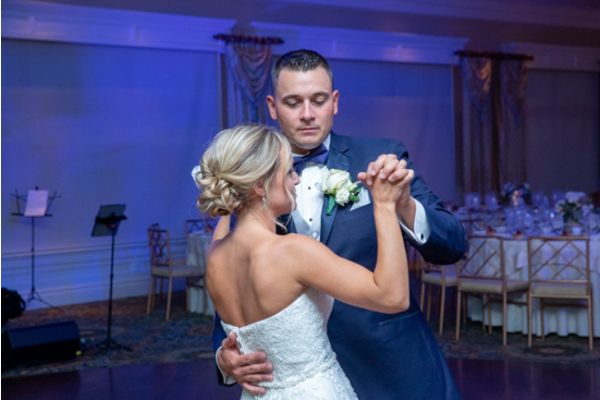 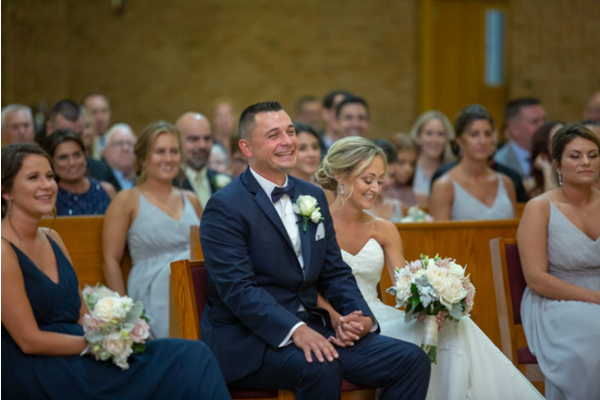 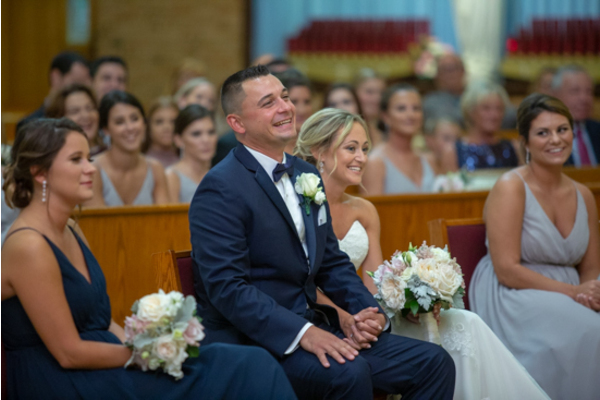 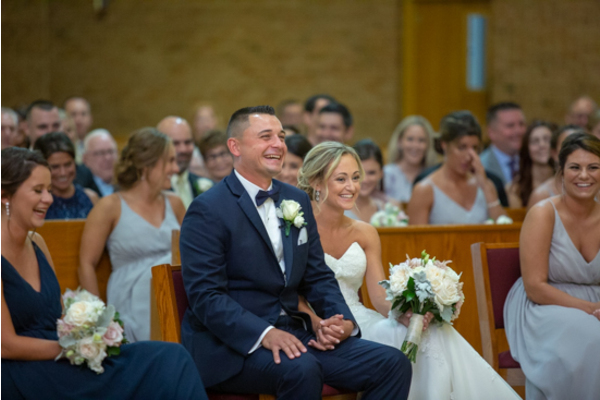 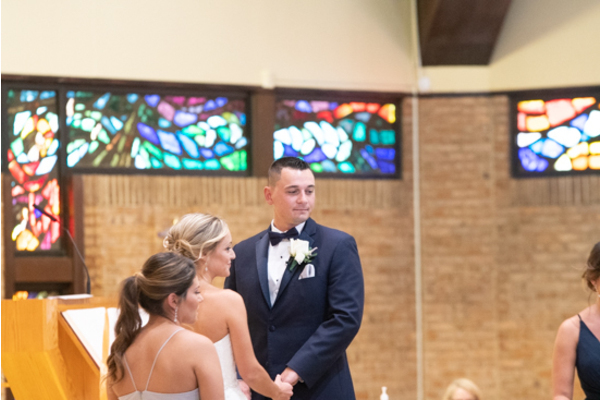 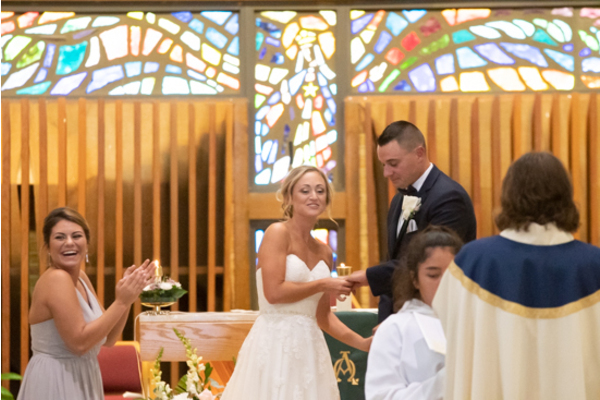 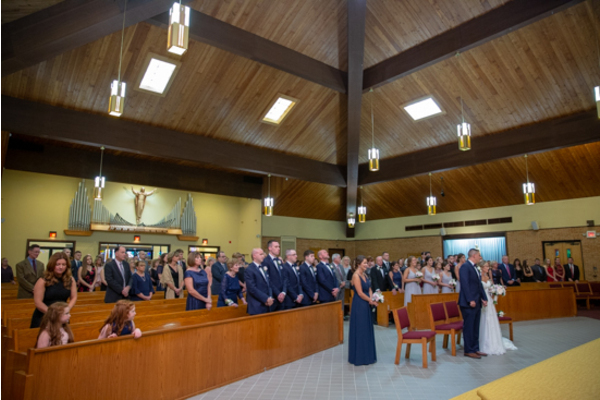 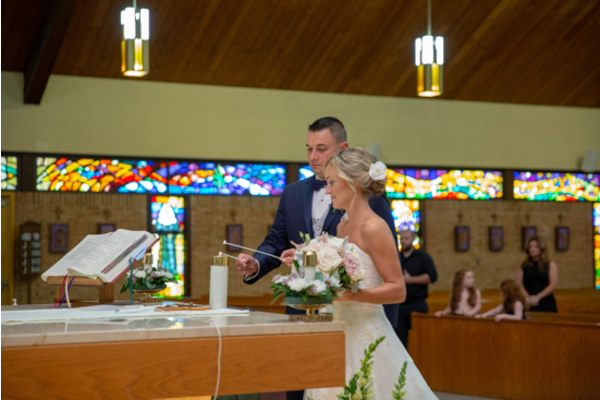 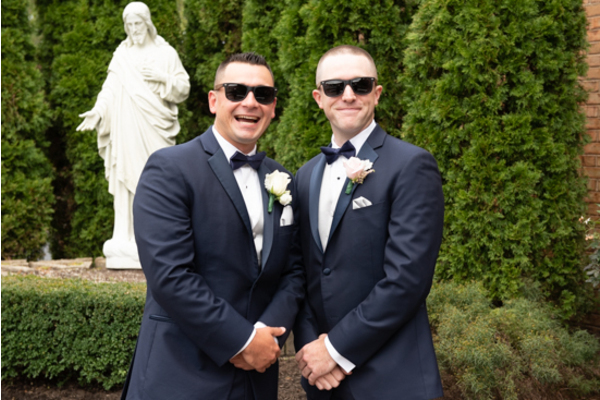 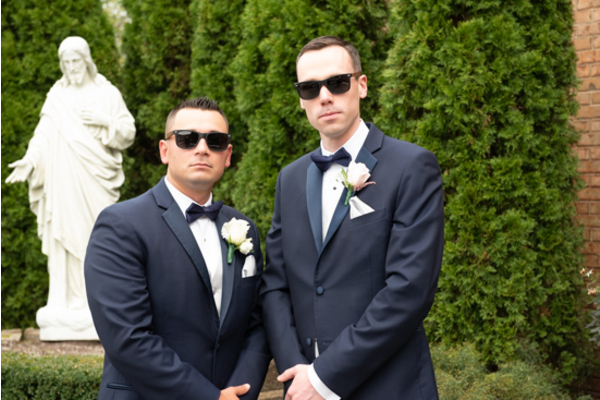 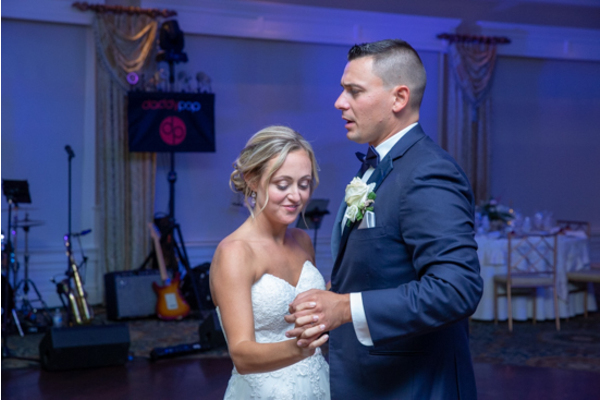 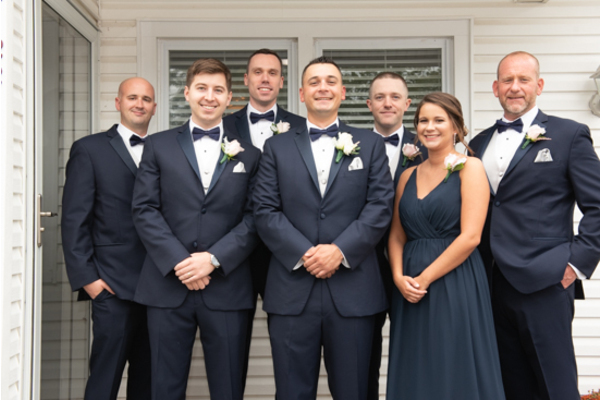 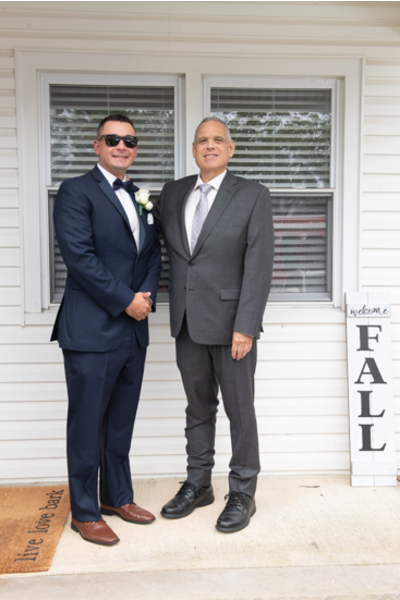 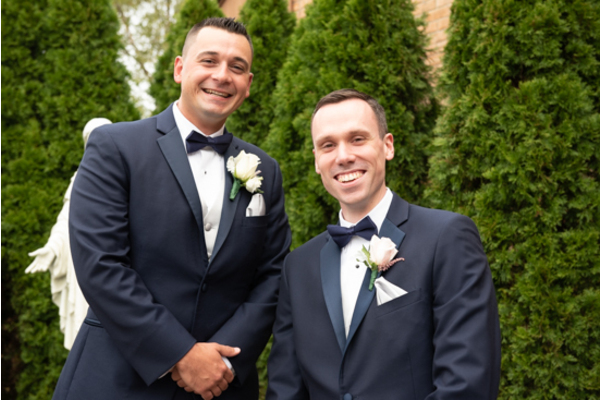 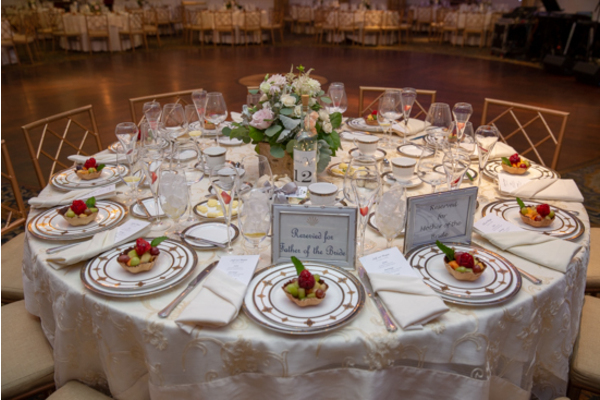 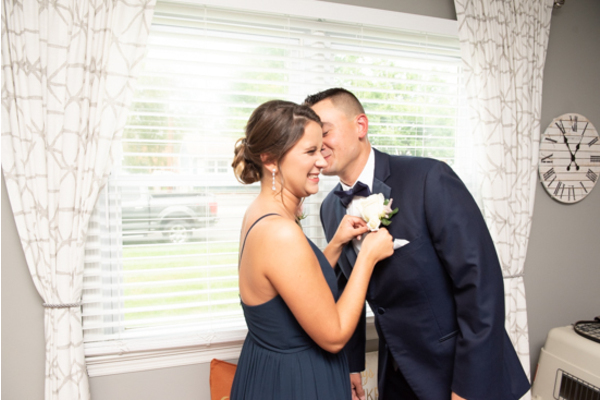 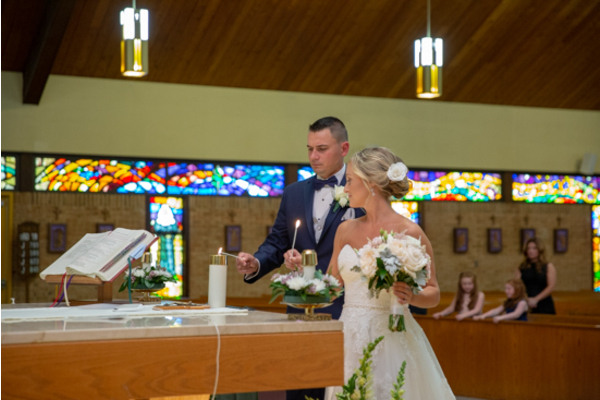 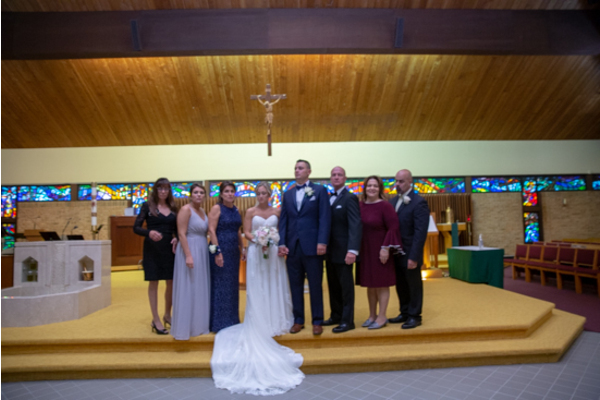 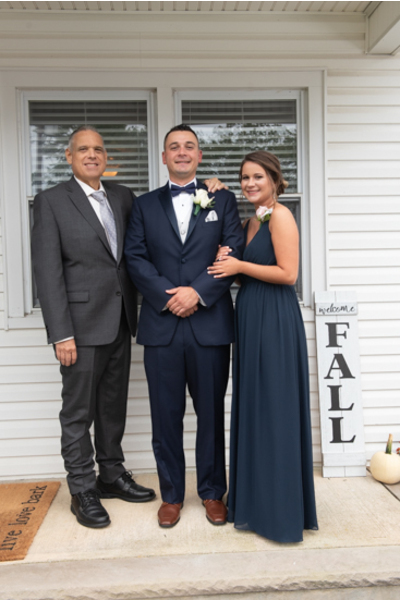 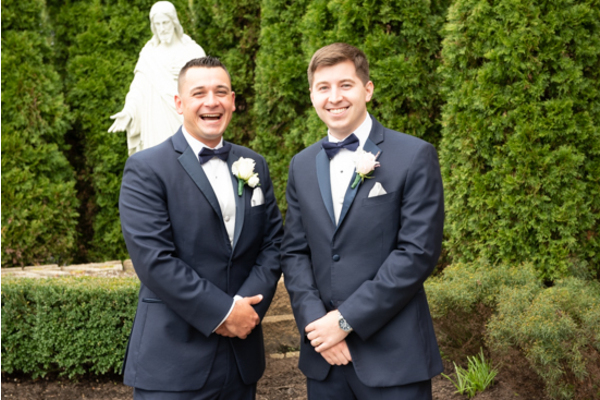 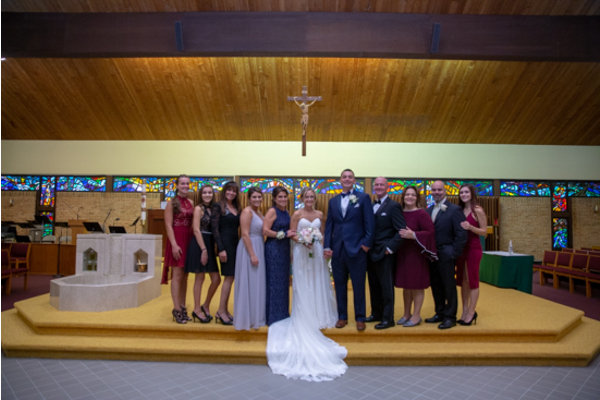 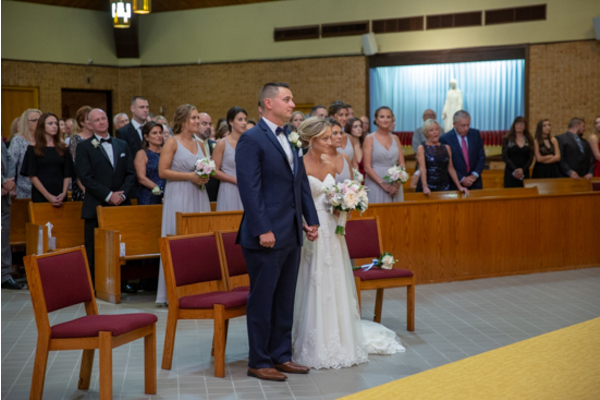 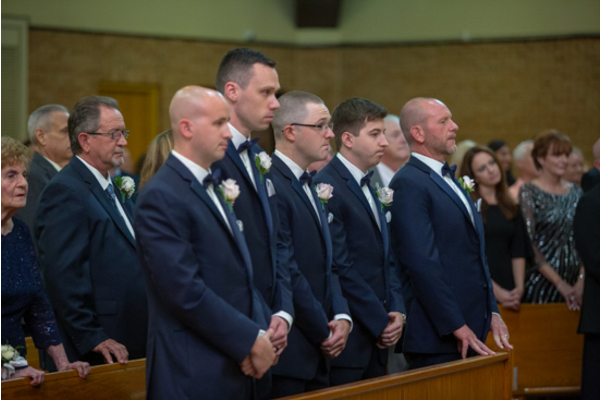 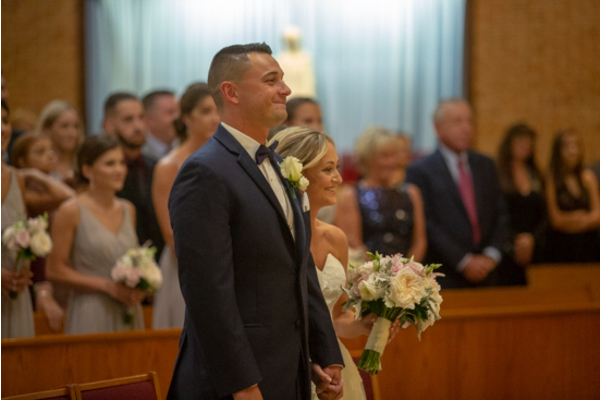 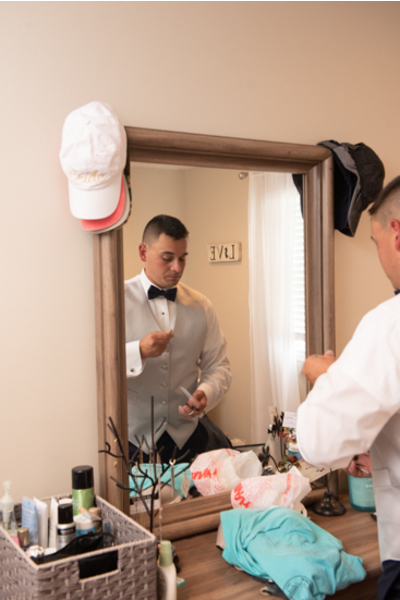 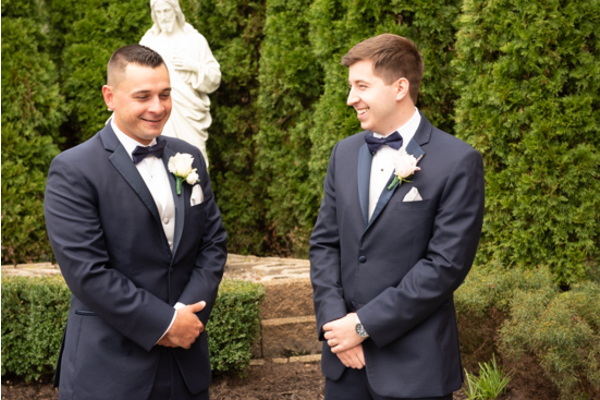 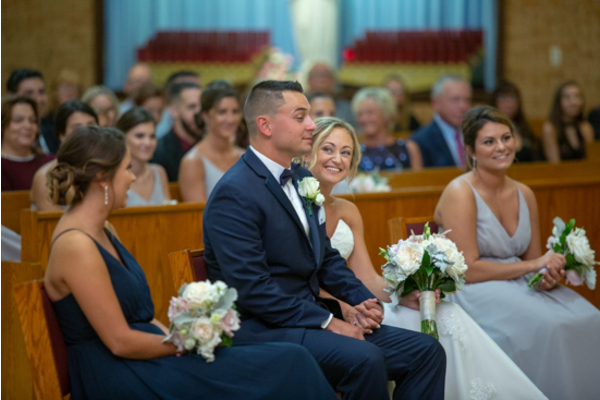 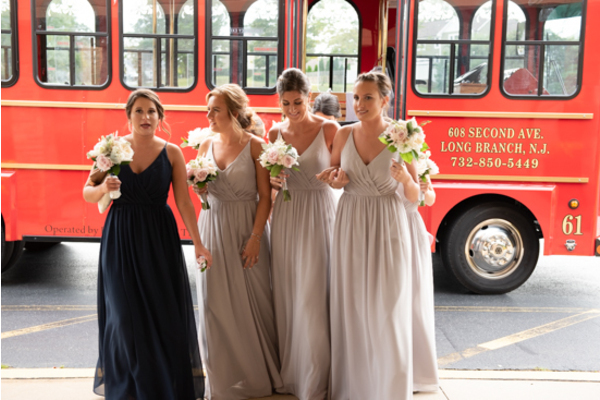 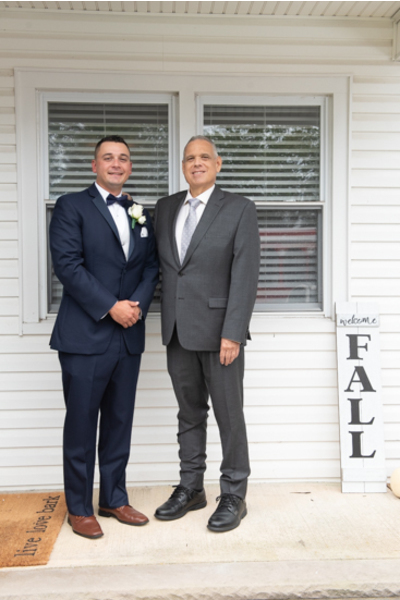 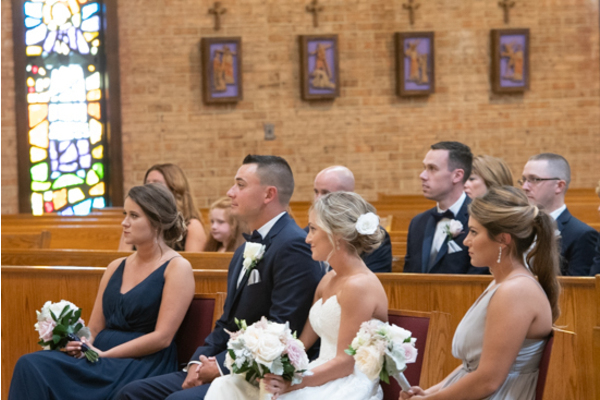 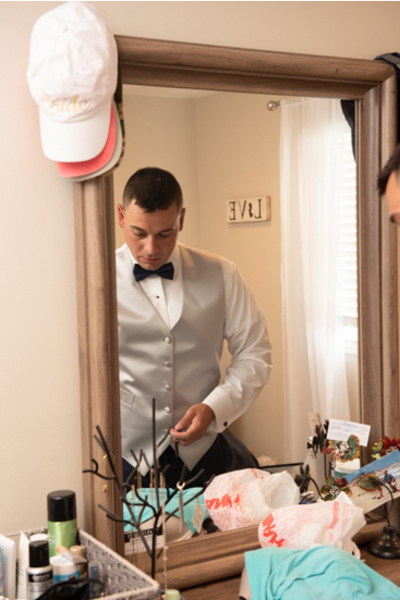 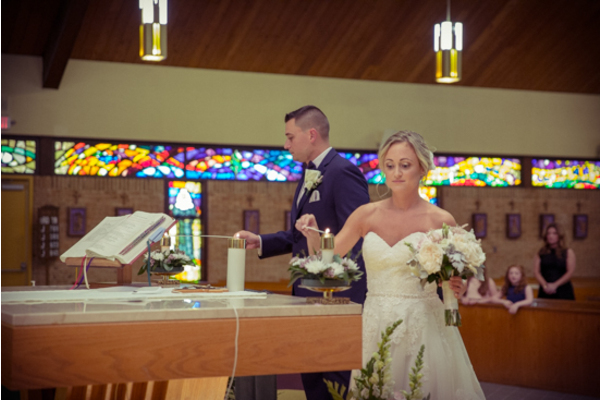 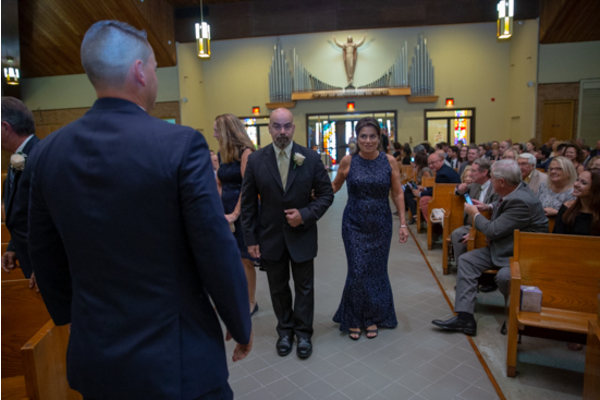 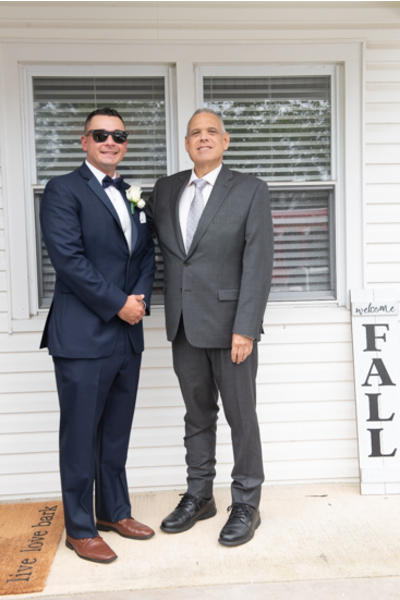 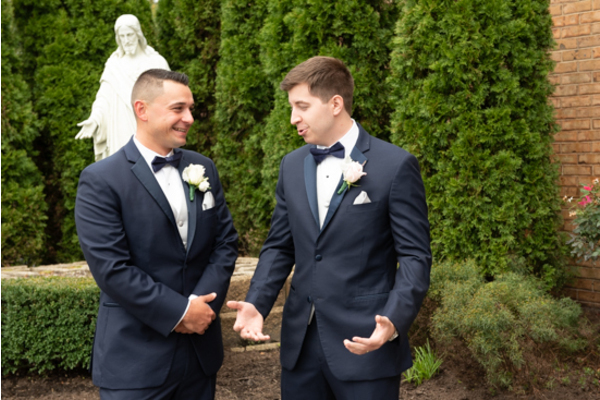 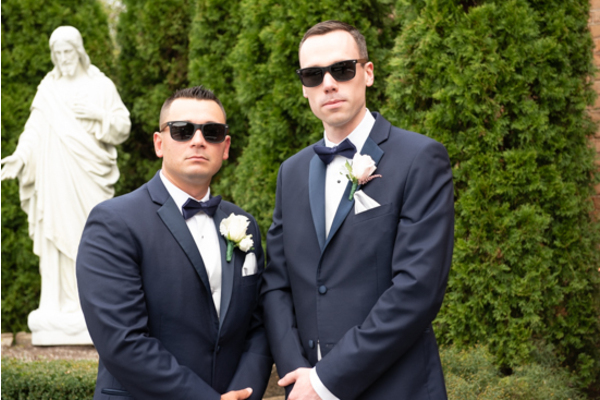 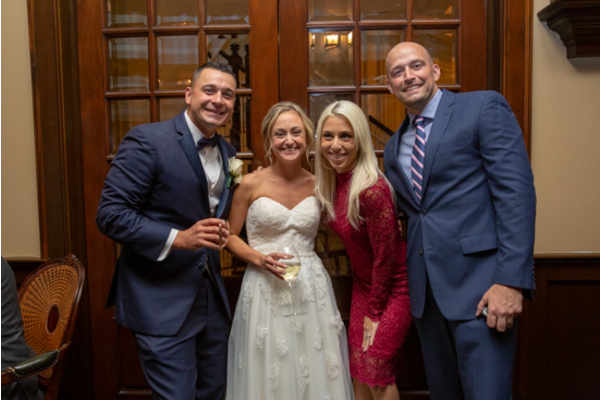 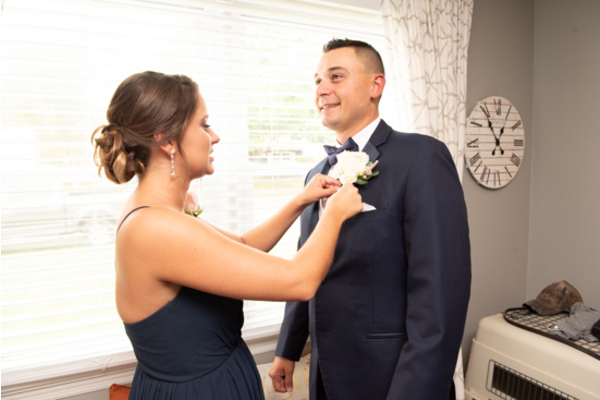 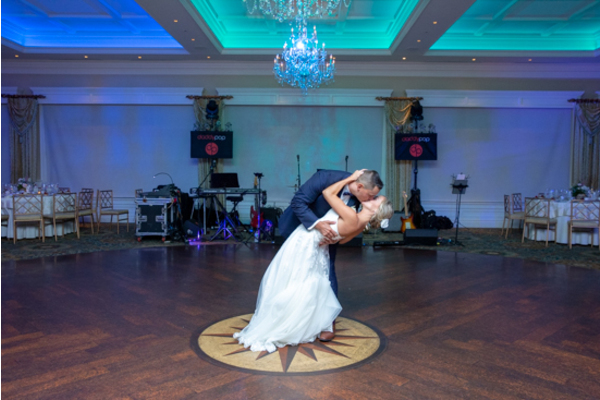 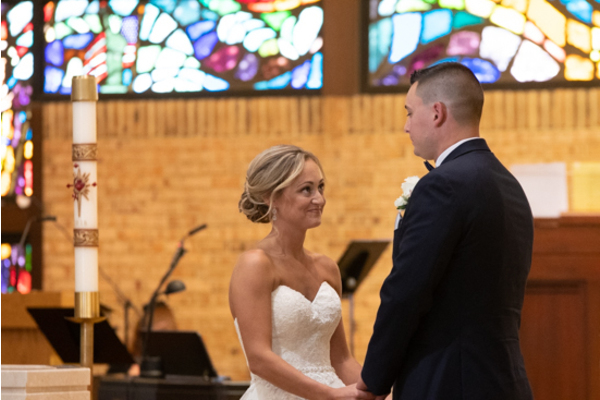 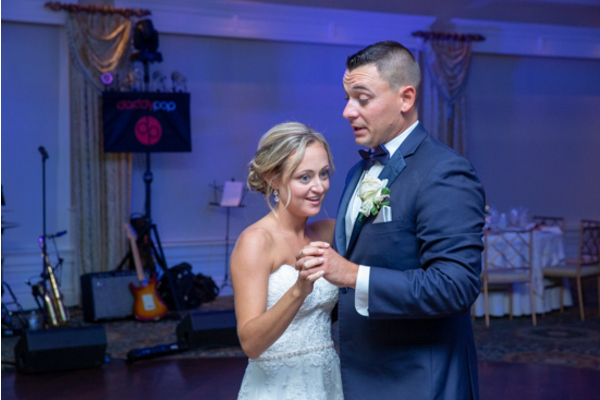 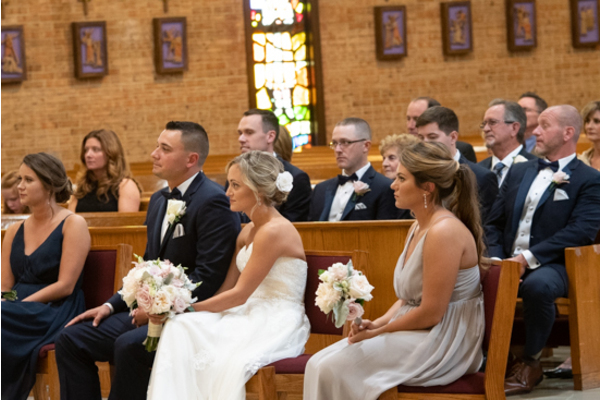 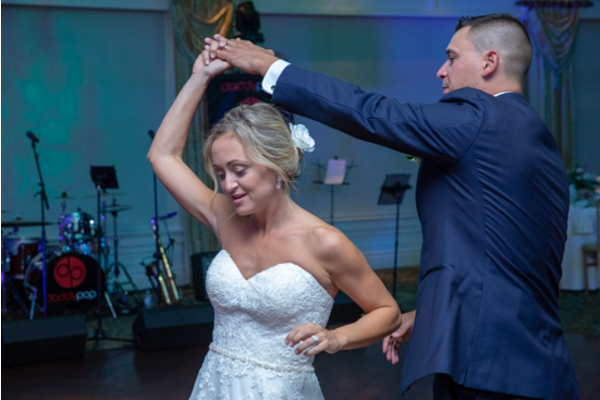 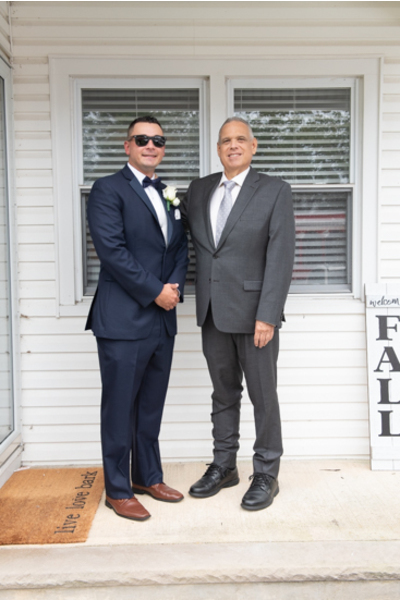 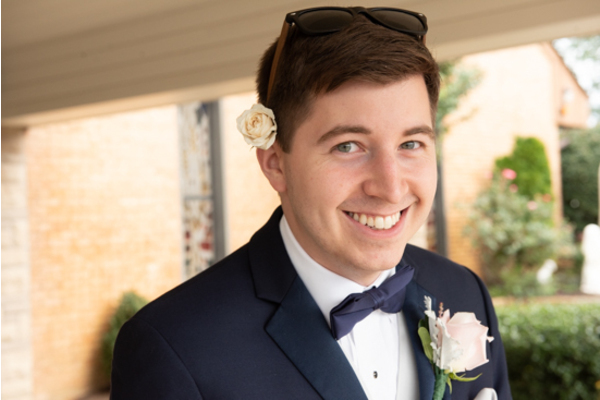 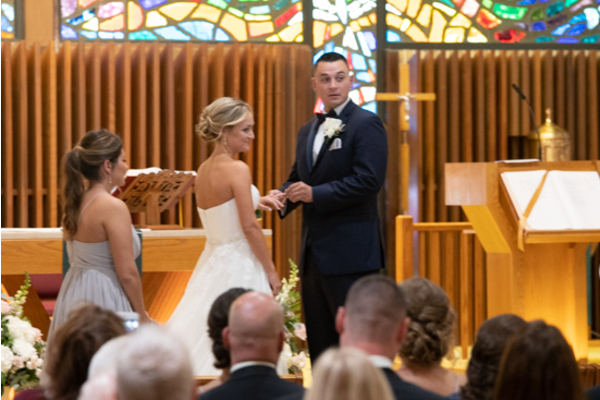 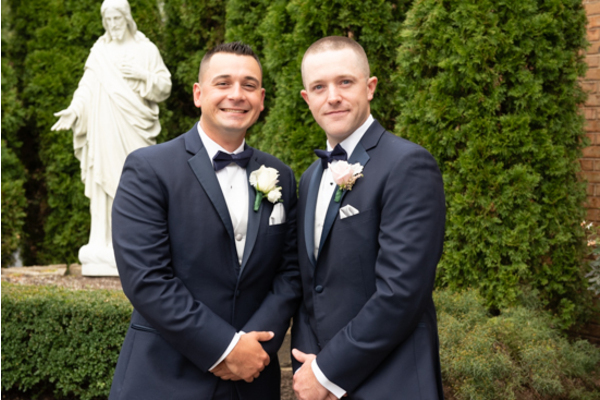 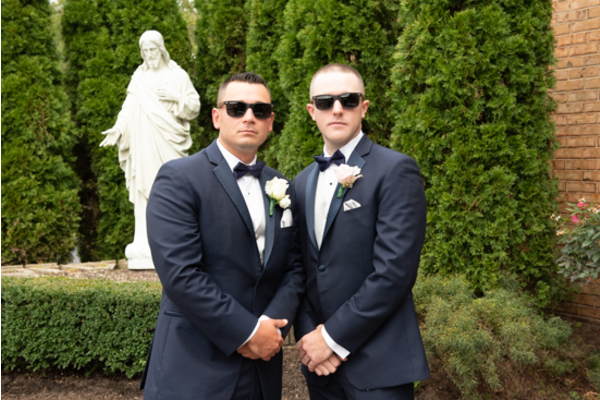 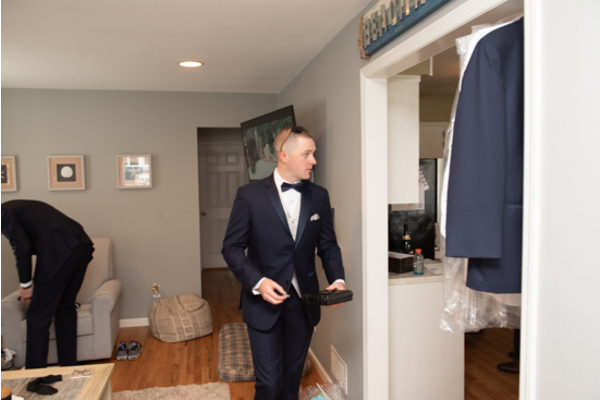 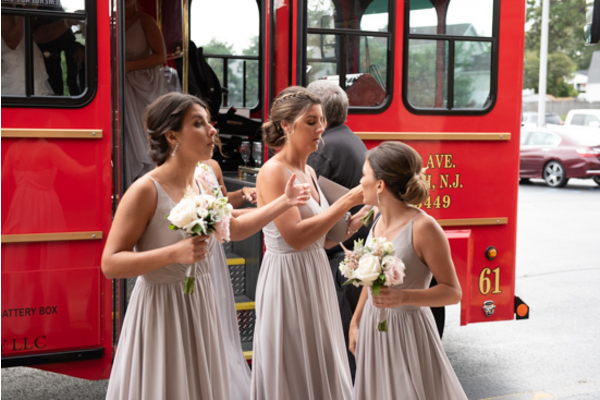 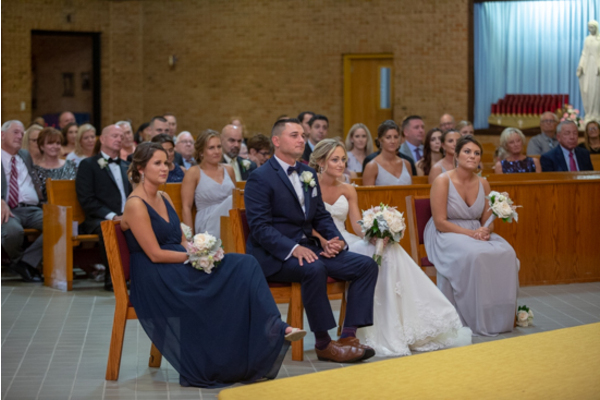 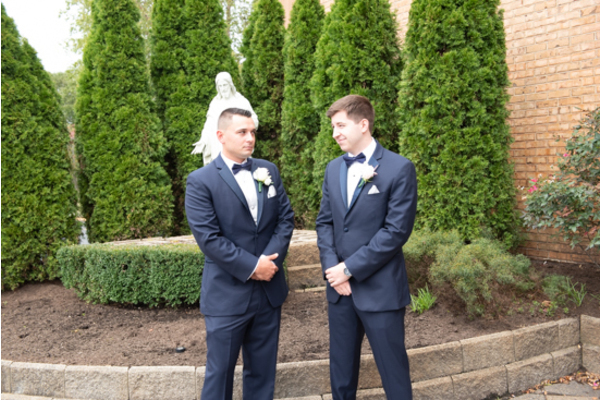 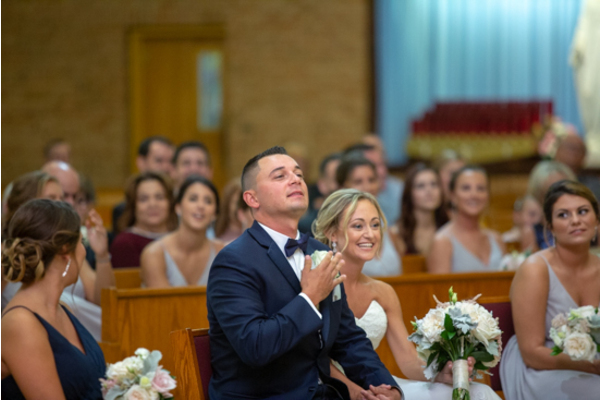 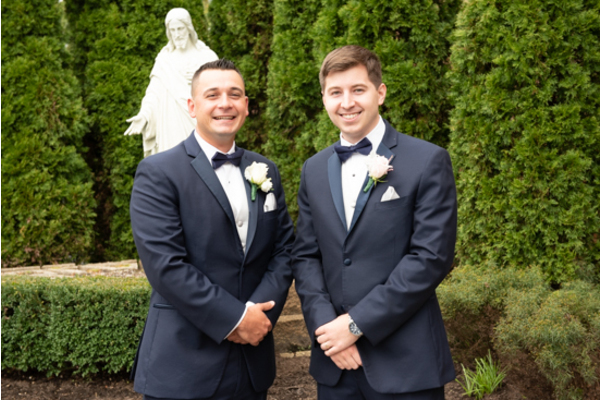 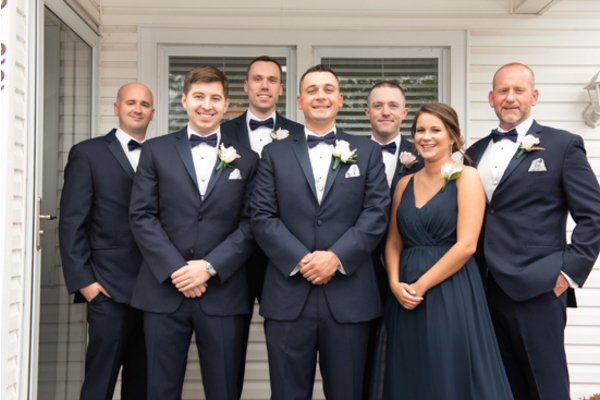 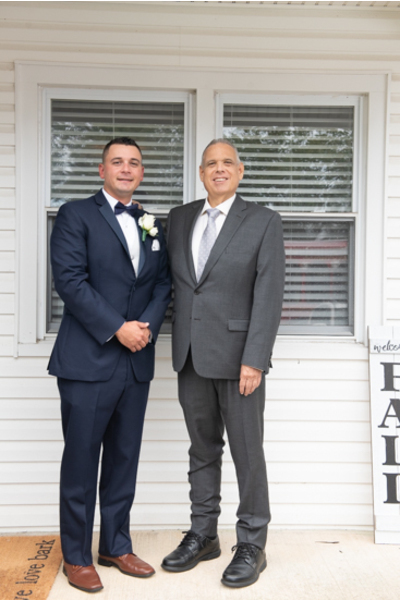 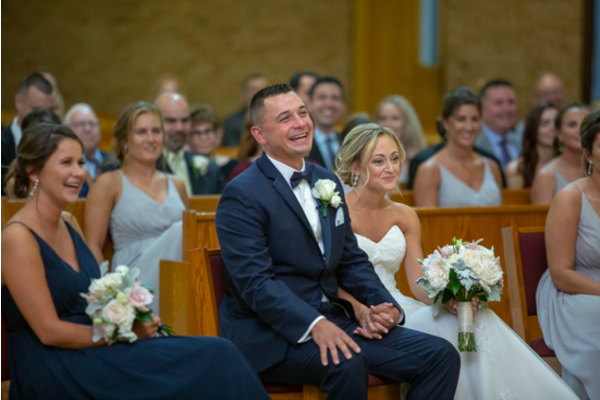 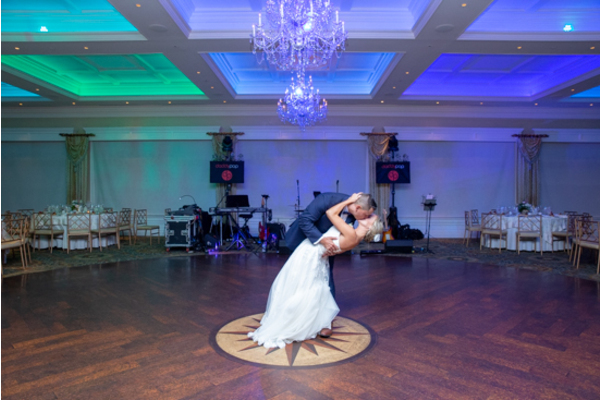 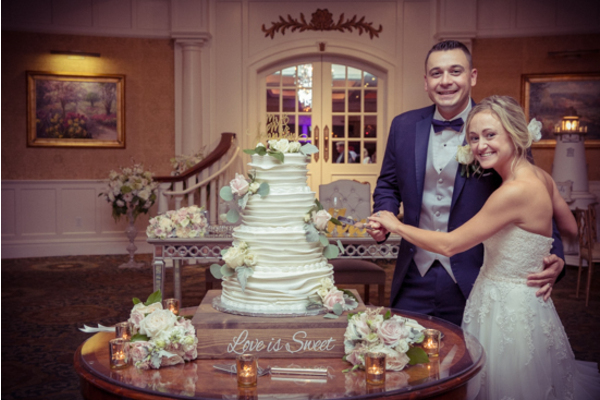 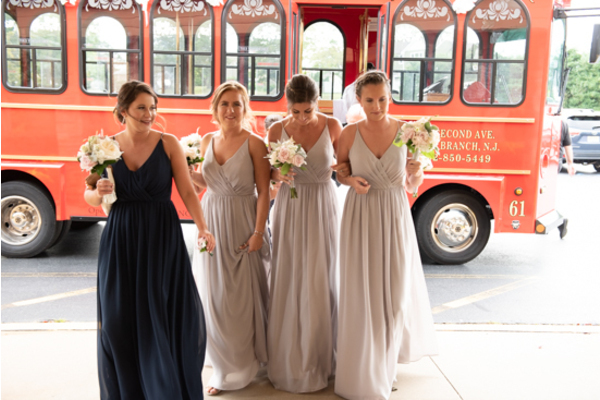 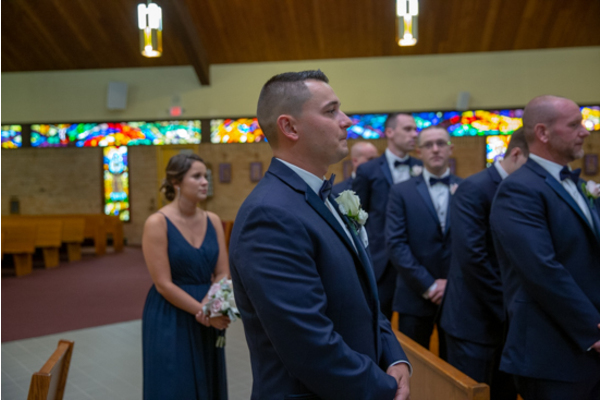 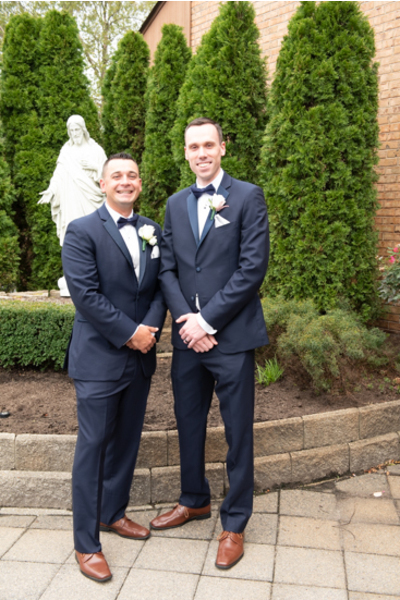 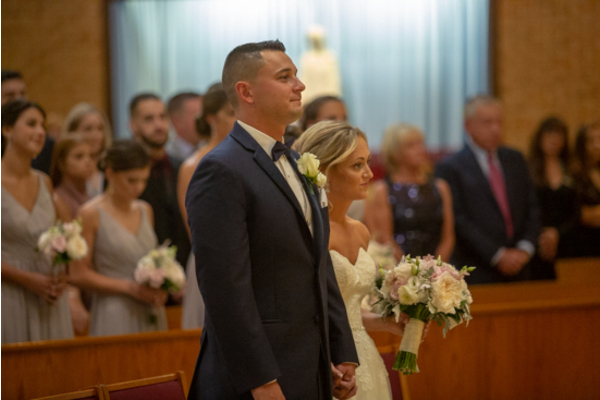 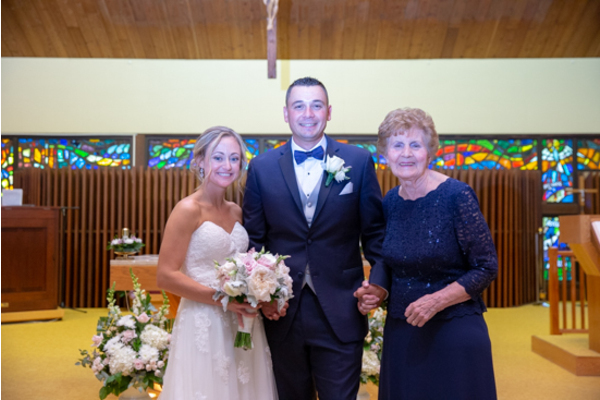 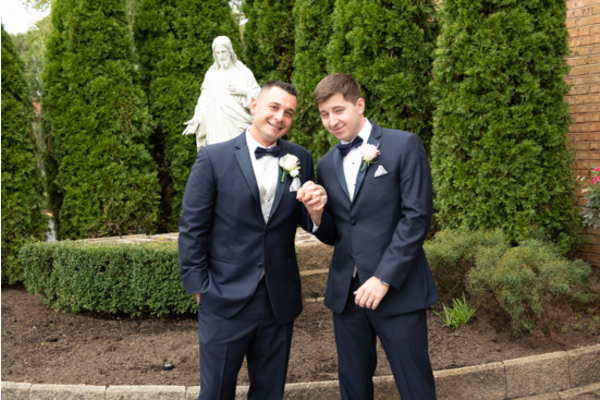 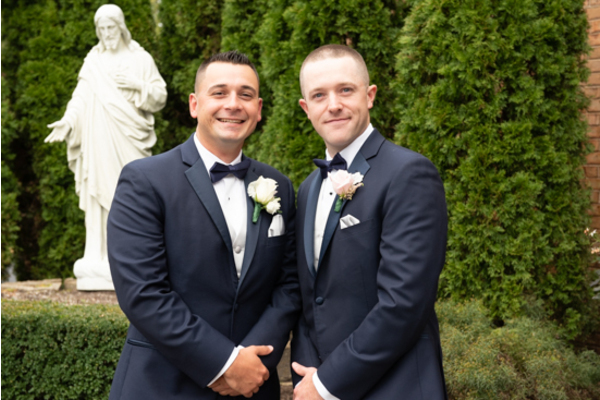 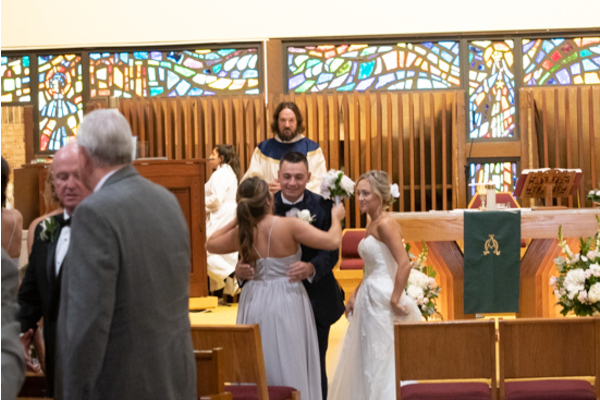 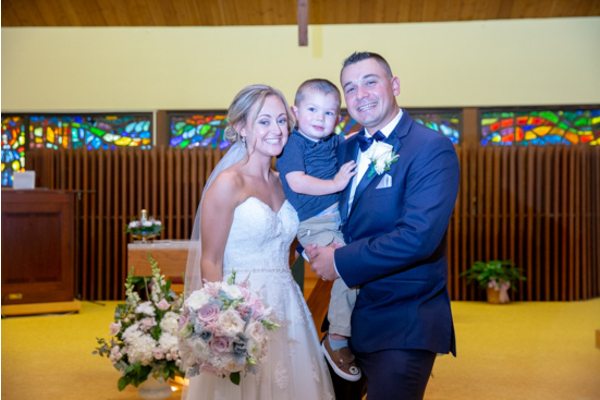 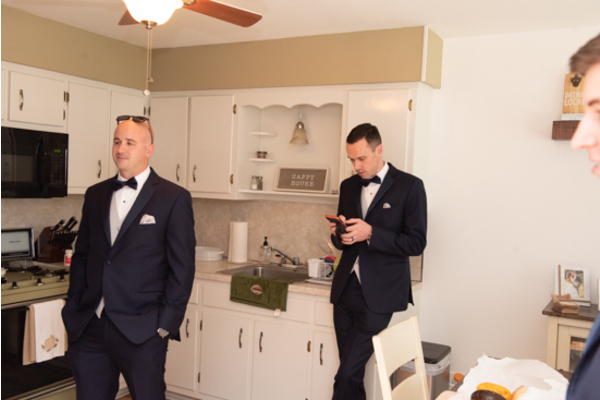 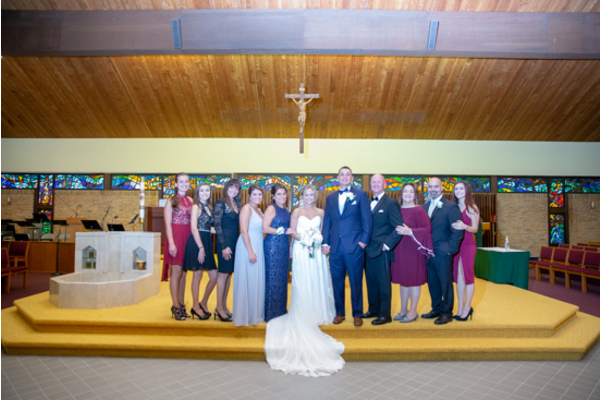 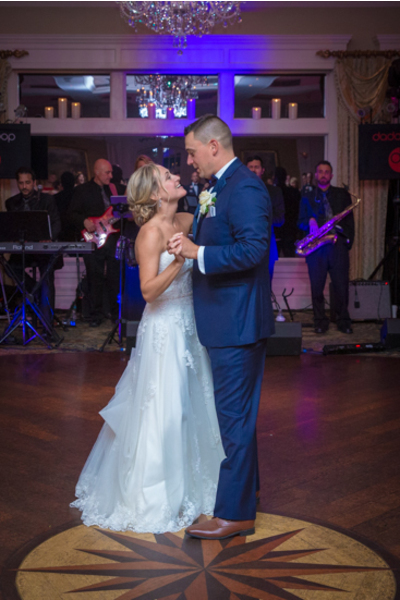 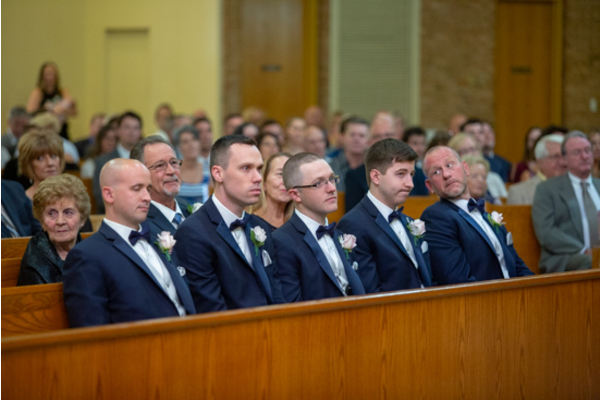 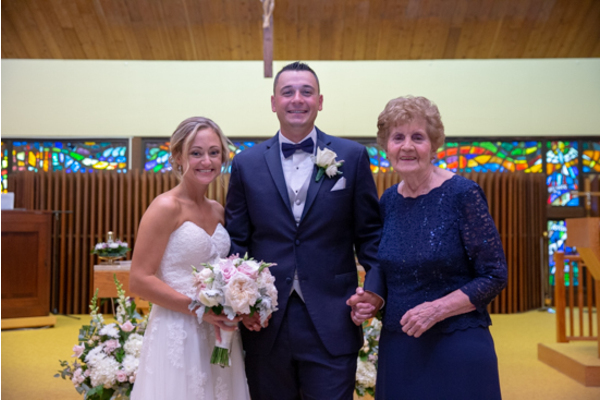 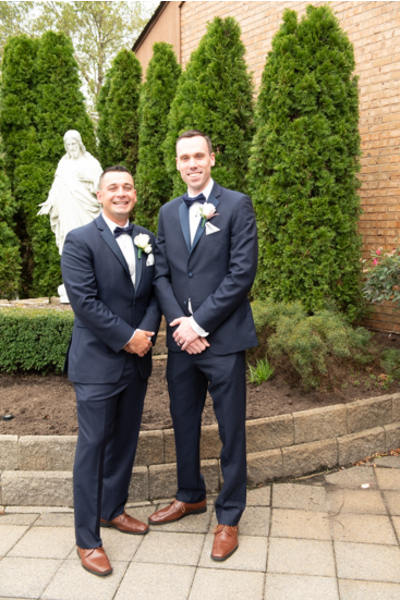 Our NJ Wedding Photographer captured the entire wedding, and we are so grateful that we were able to be apart of every special moment. 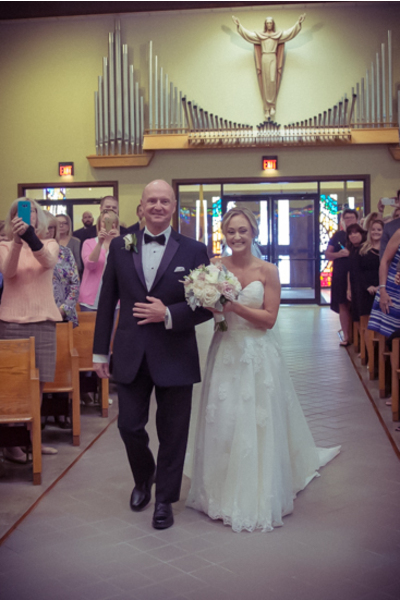 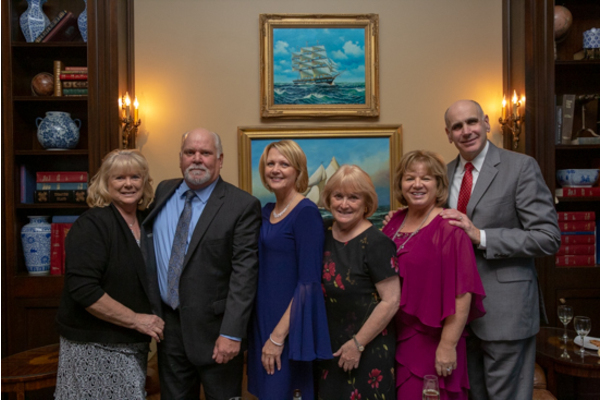 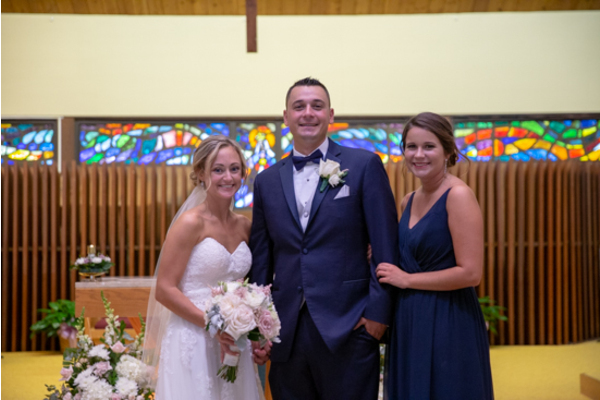 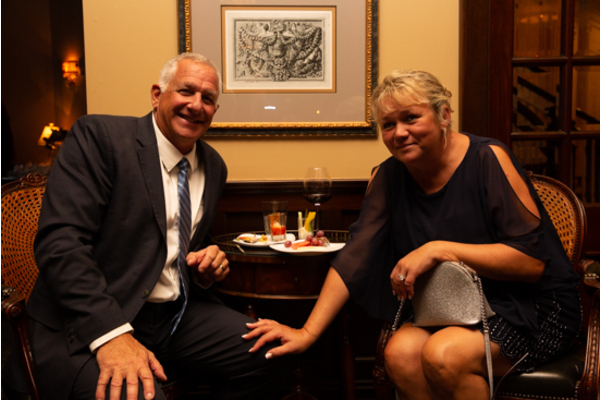 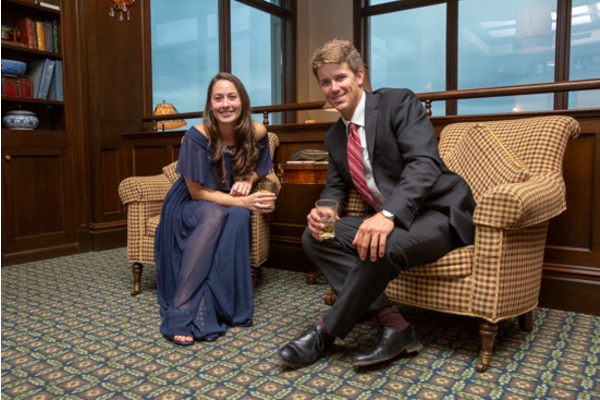 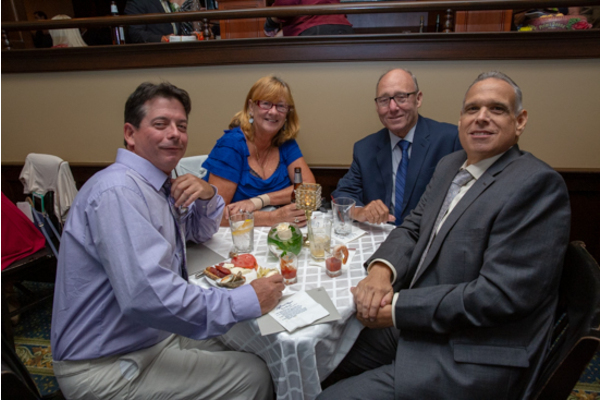 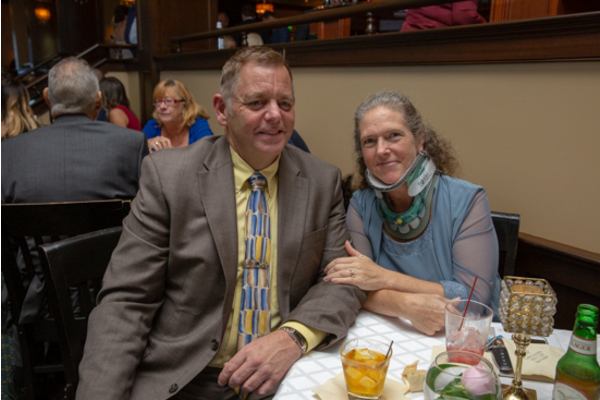 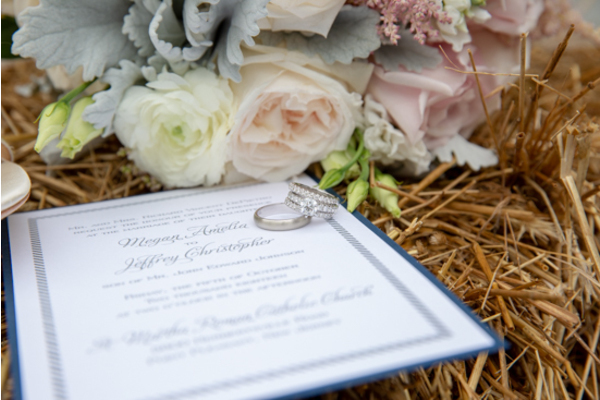 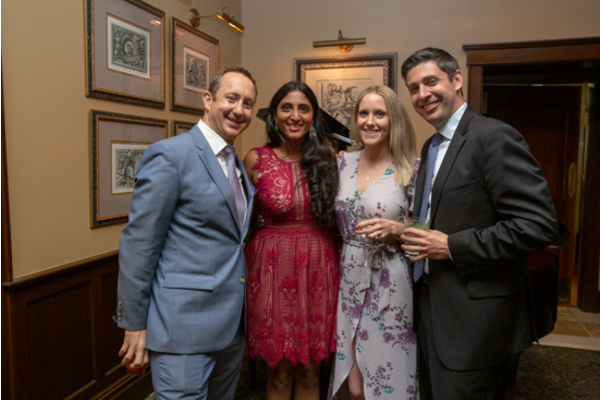 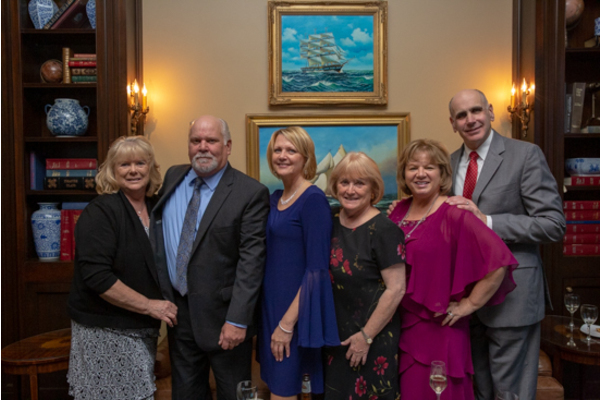 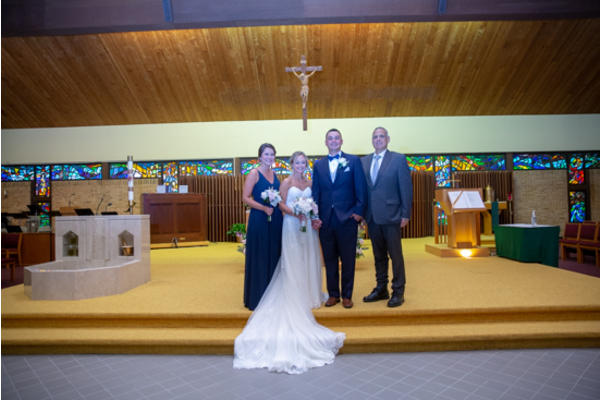 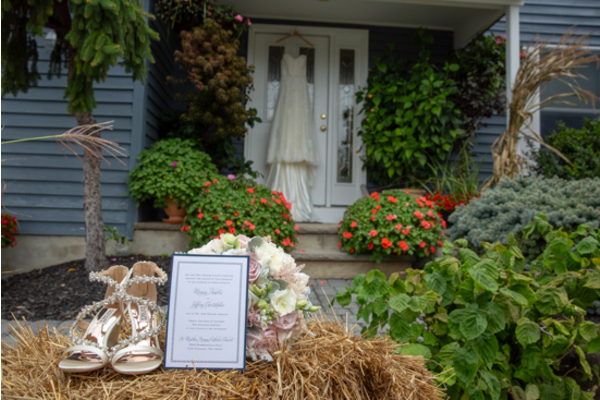 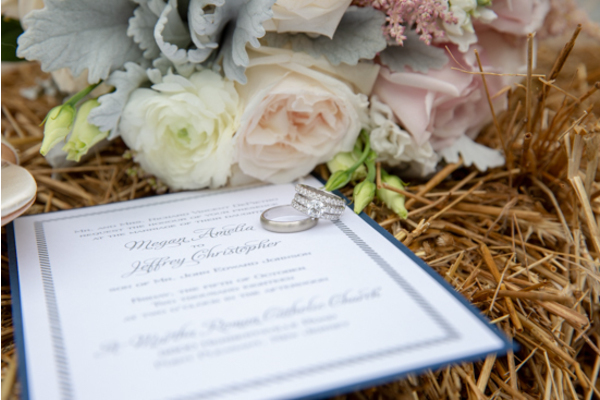 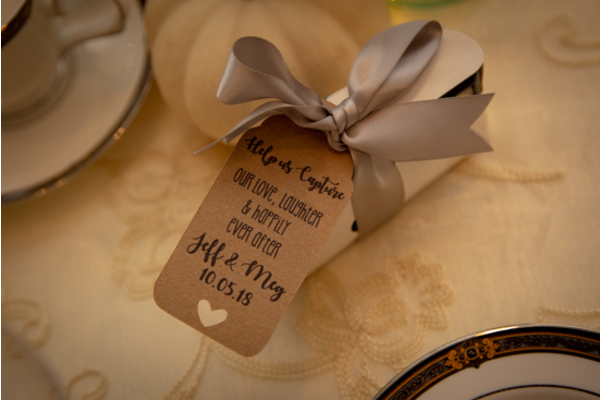 Congratulations, again, to Meg and Jeff! 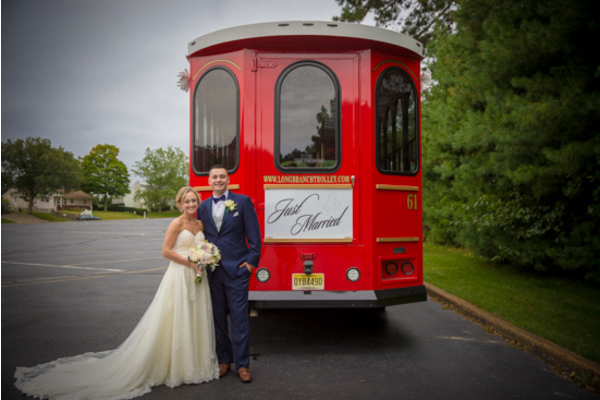 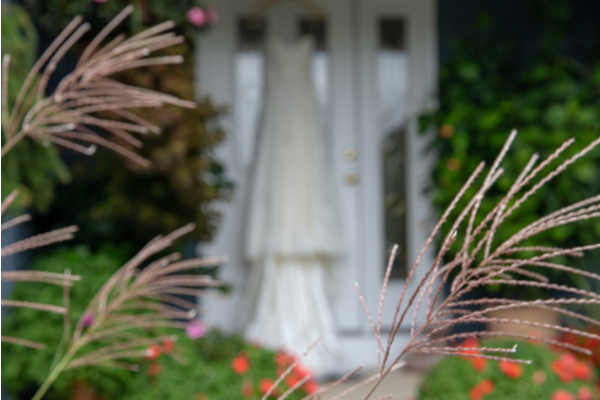 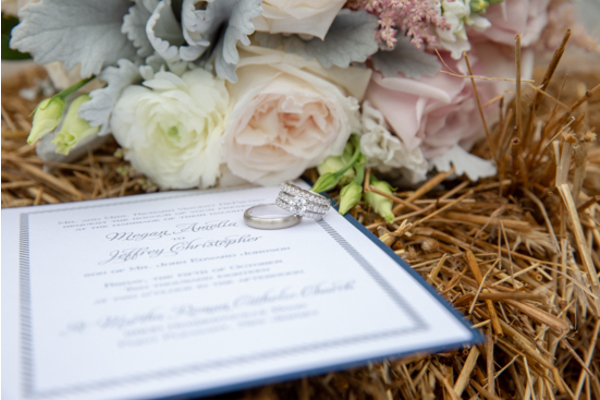 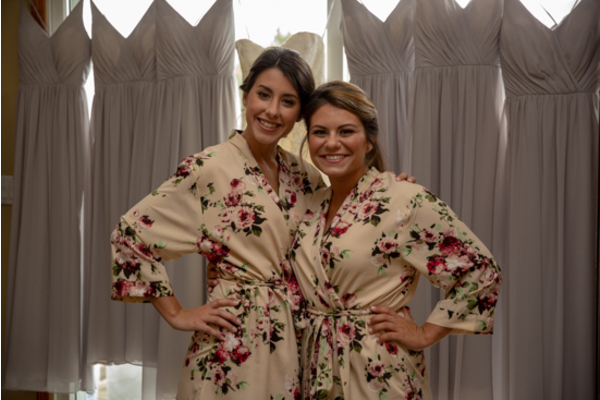 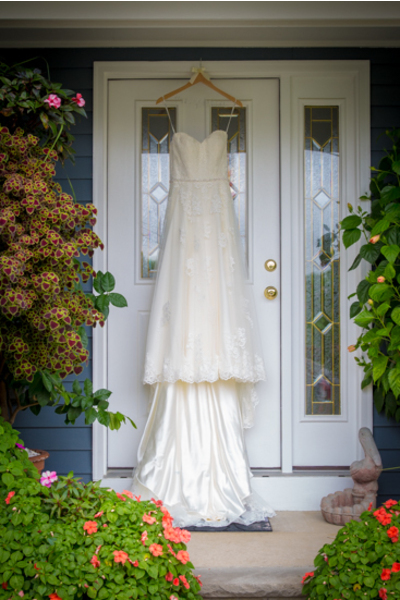 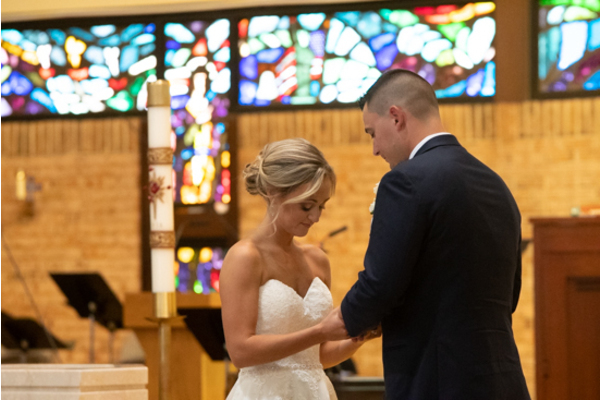 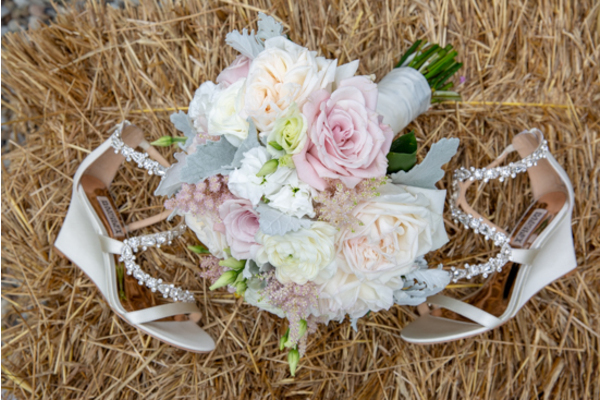 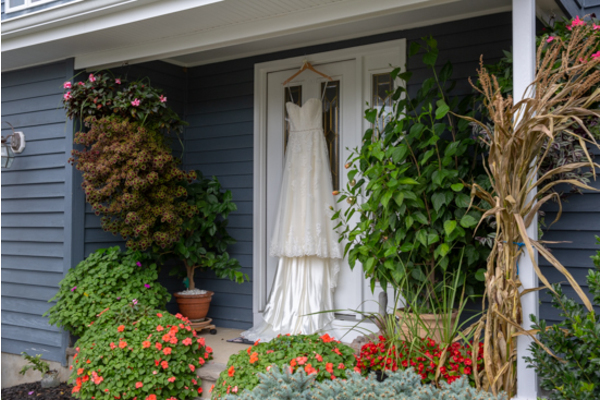 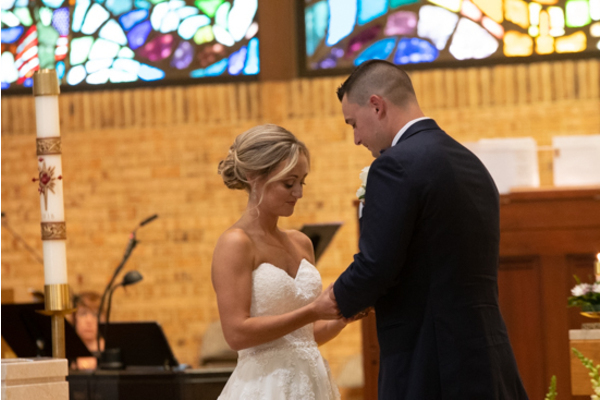 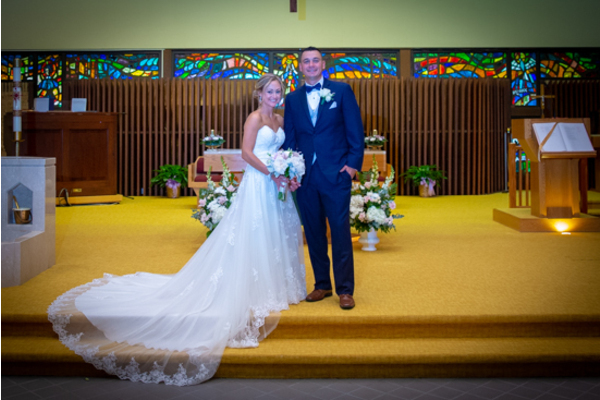 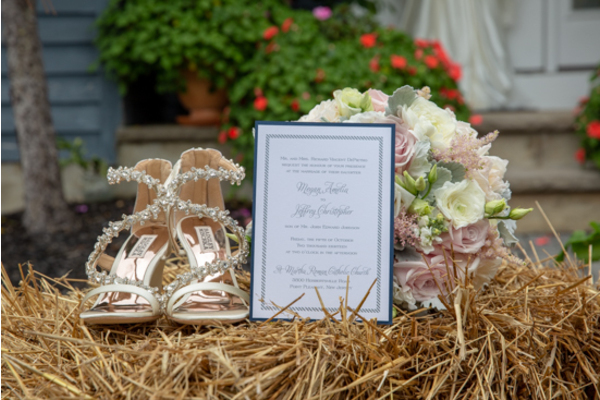 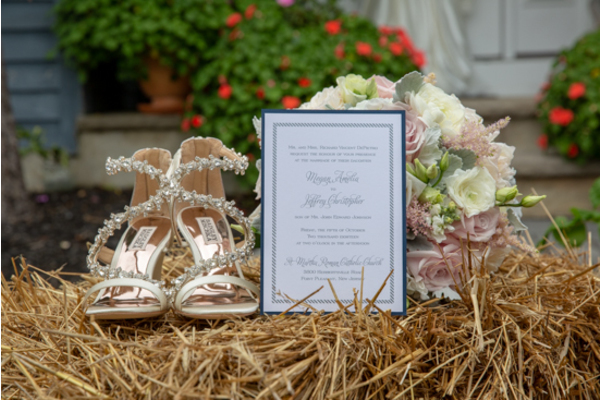 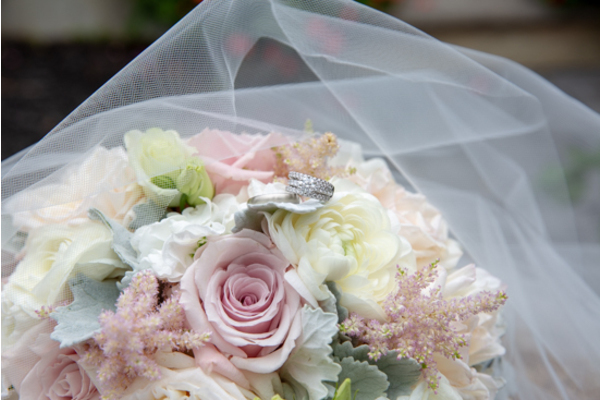 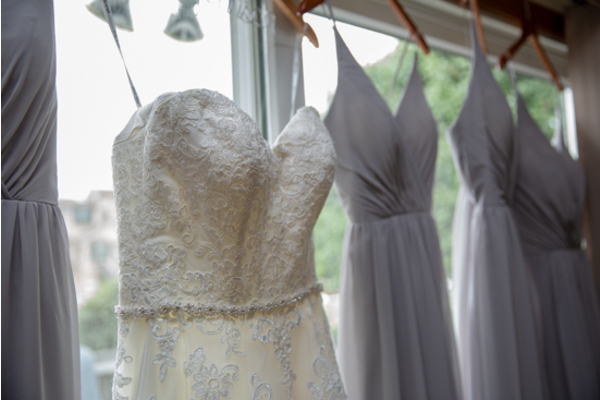 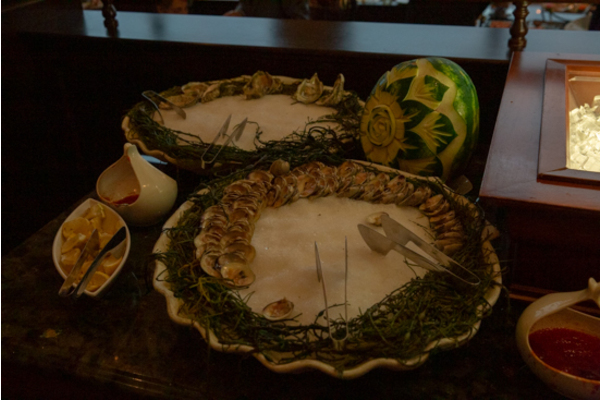 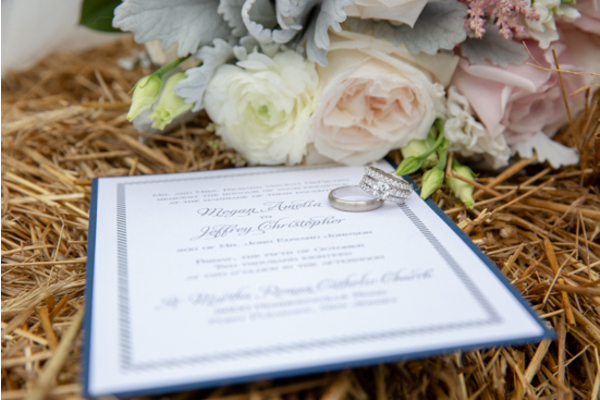 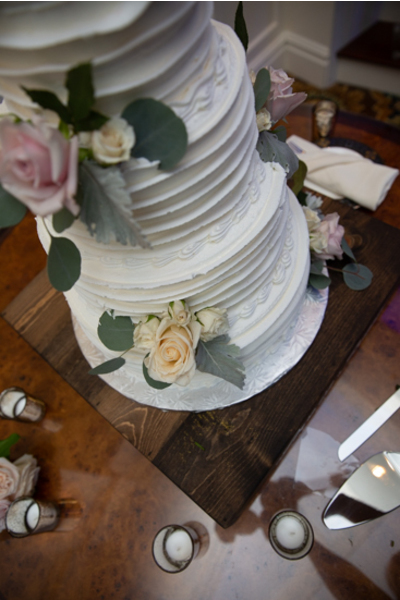 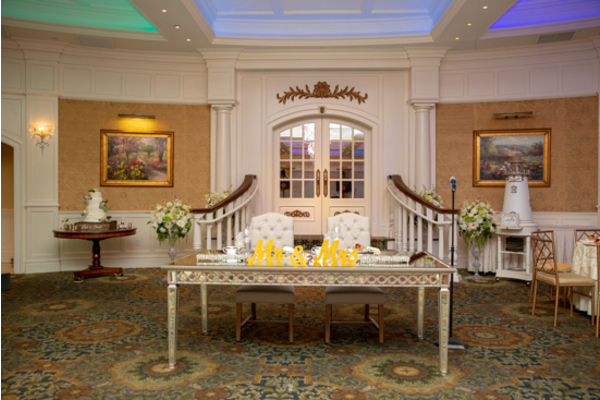 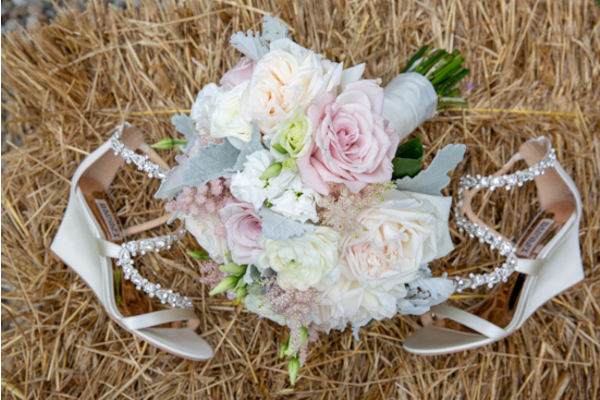 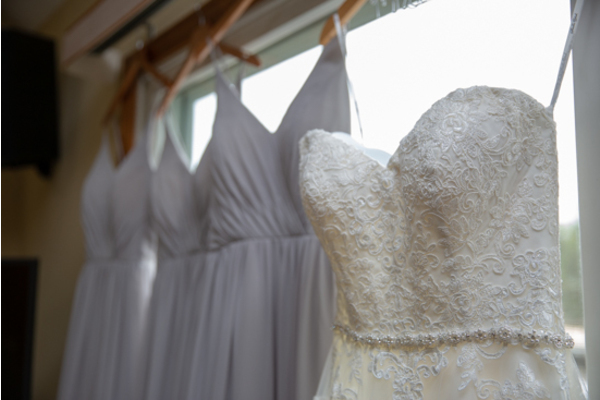 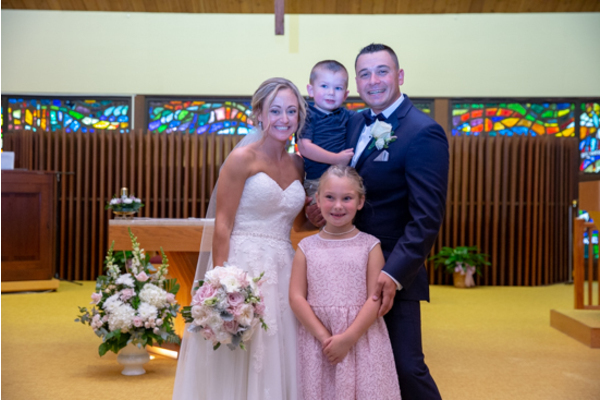 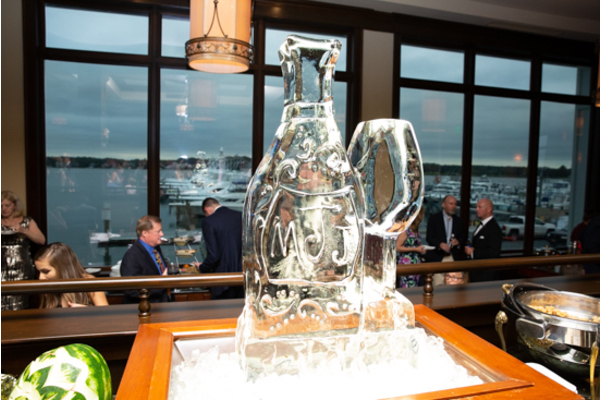 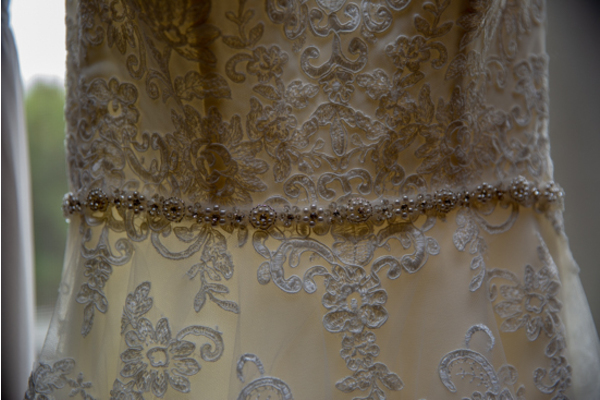 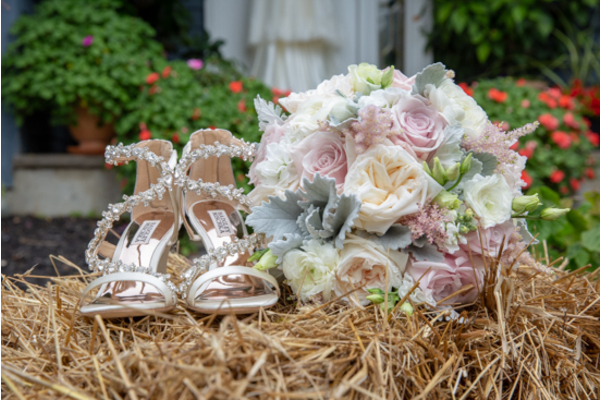 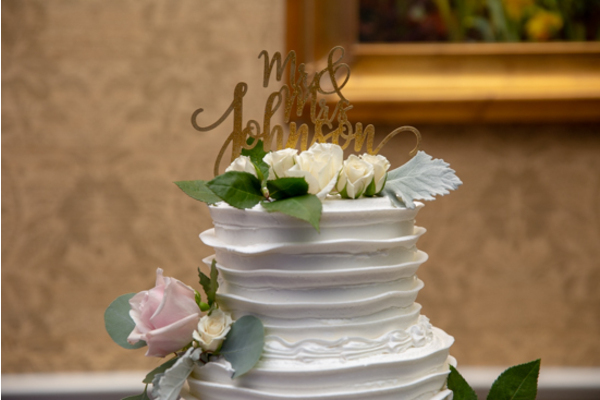 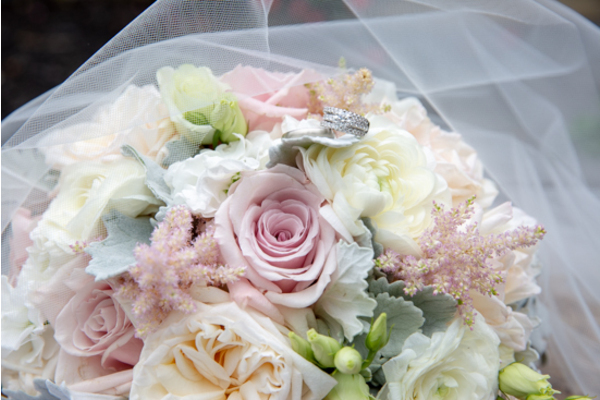 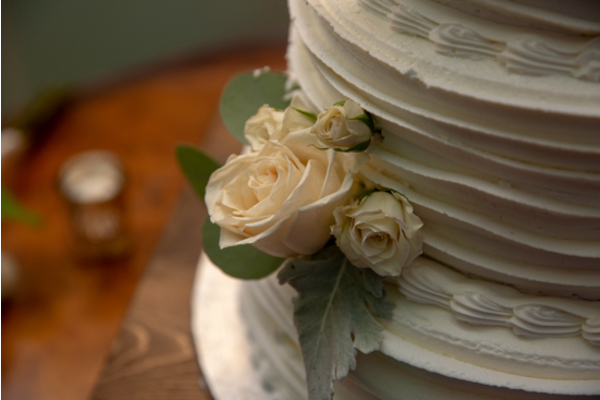 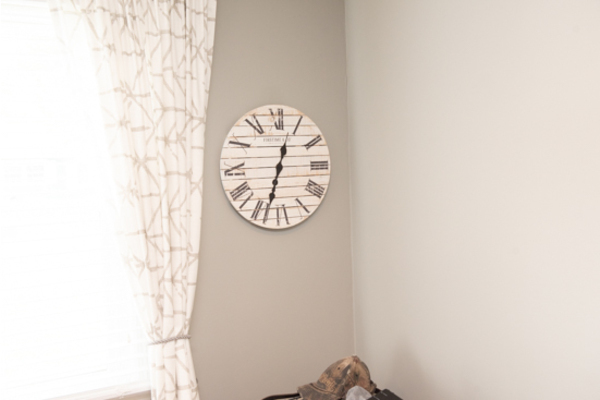 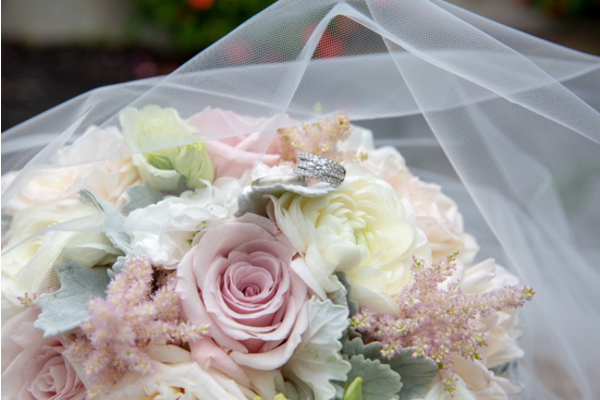 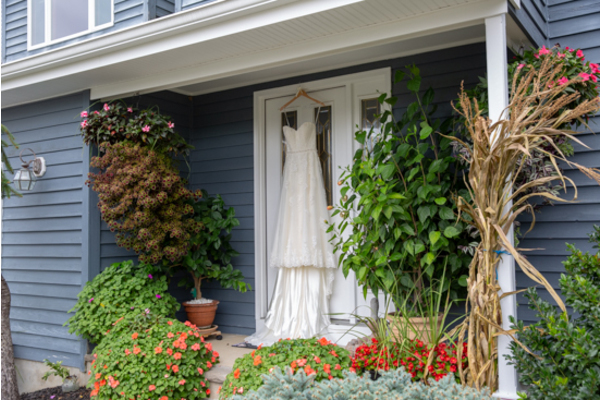 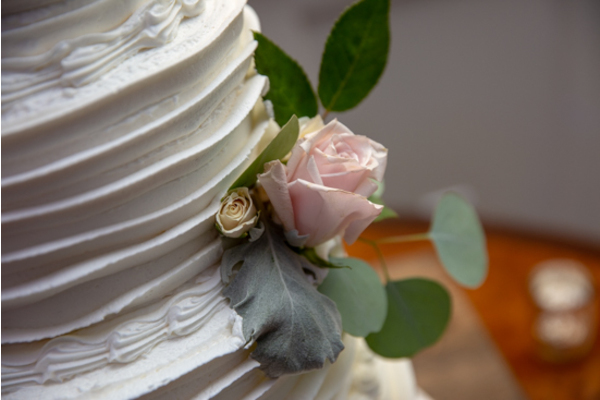 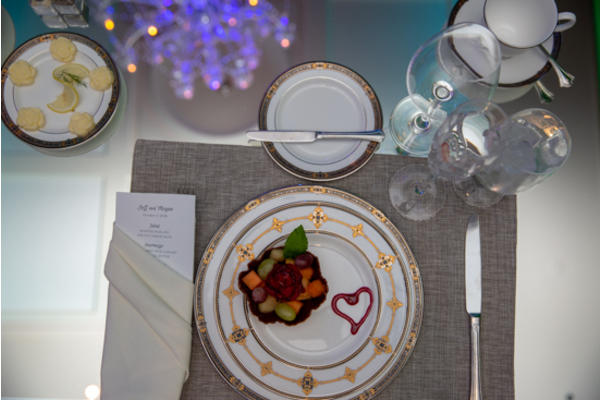 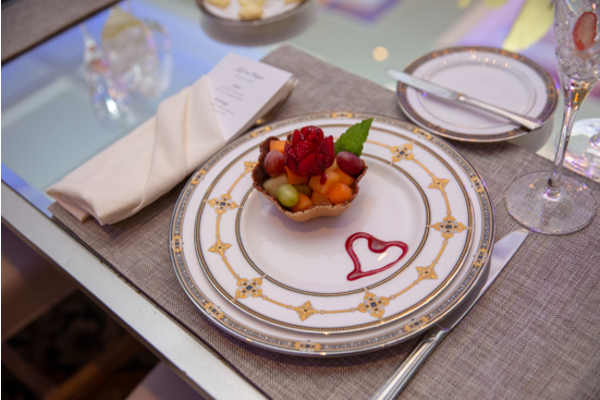 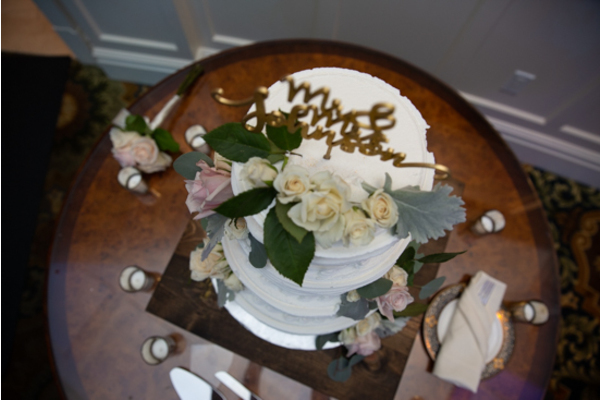 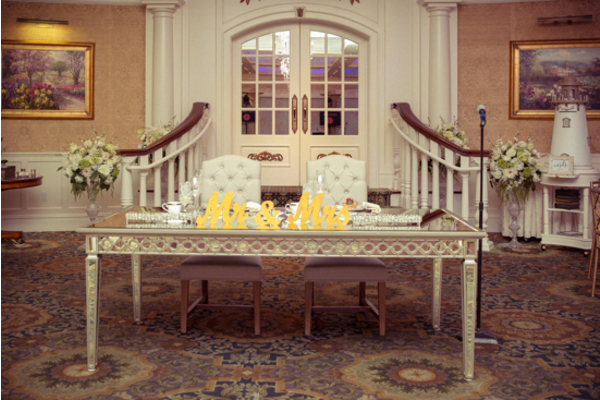 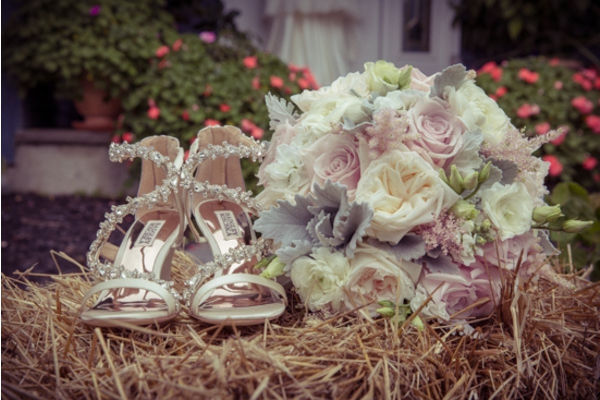 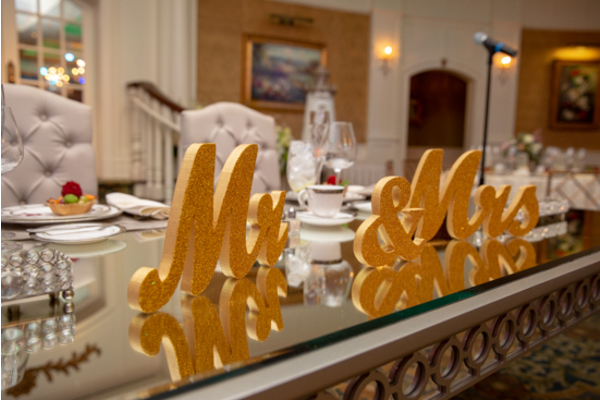 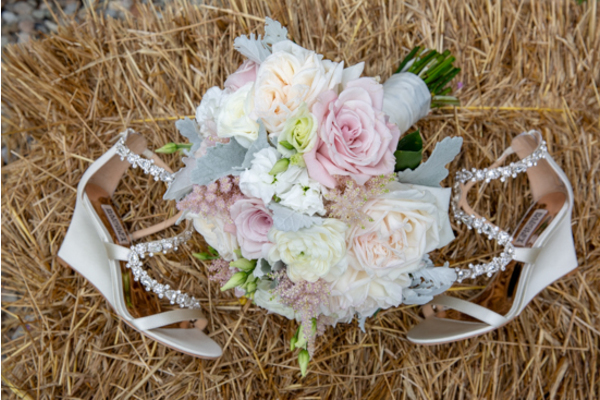 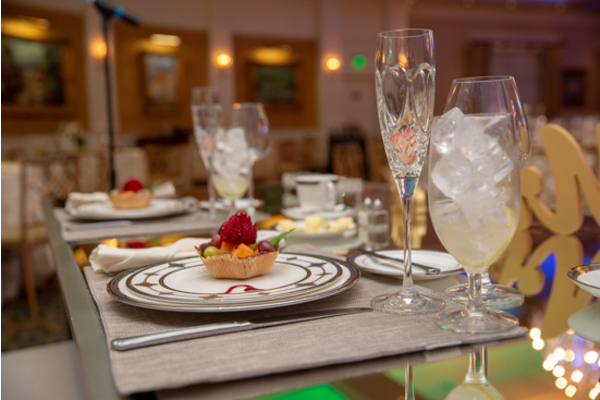 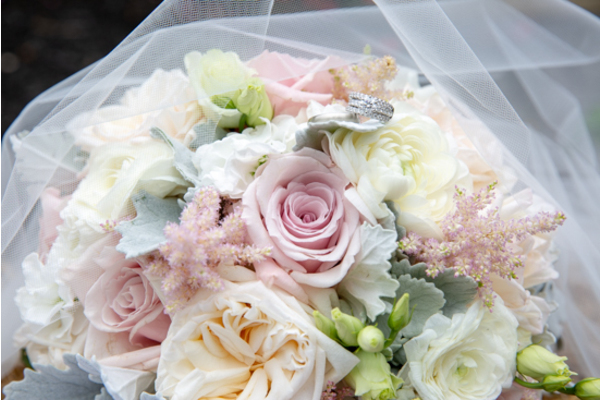 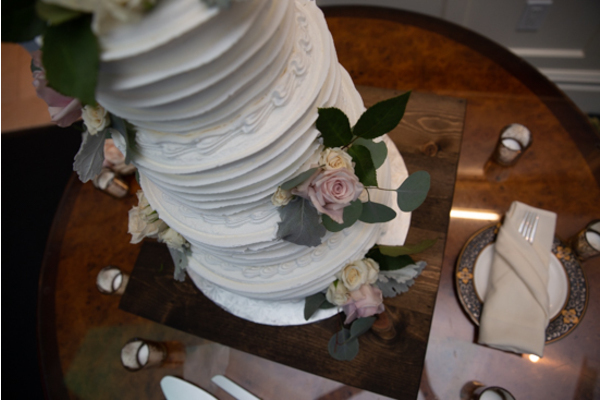 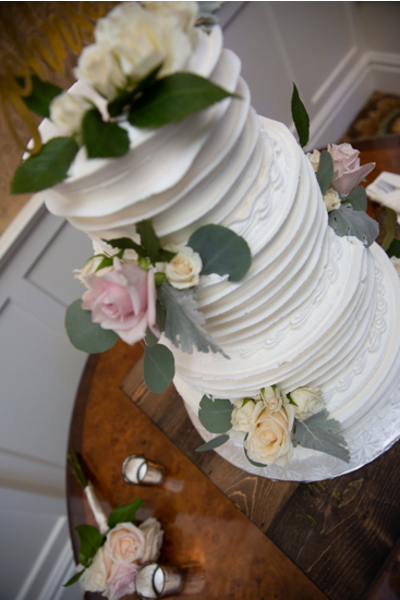 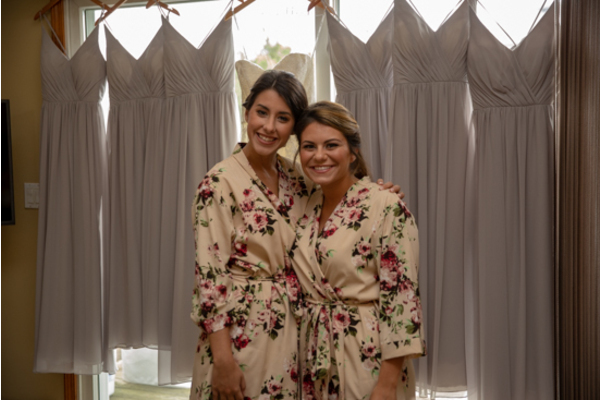 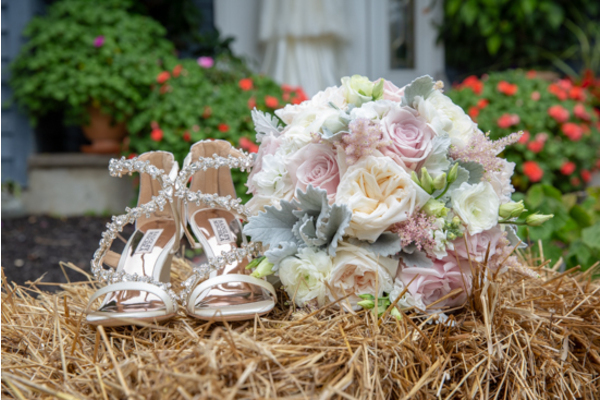 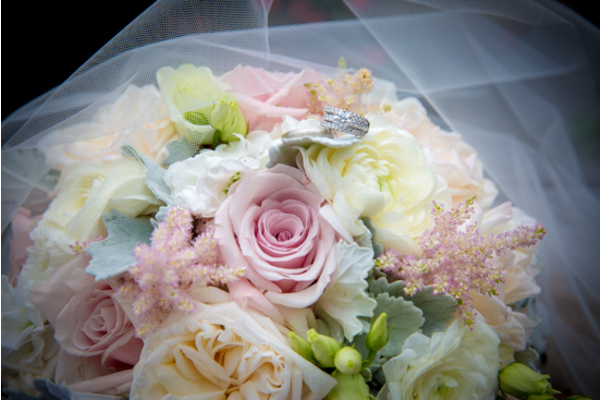 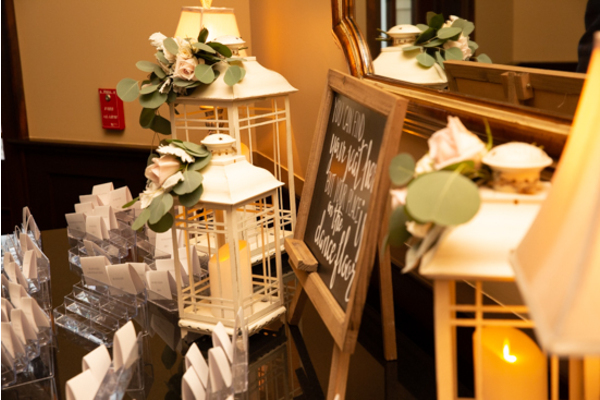 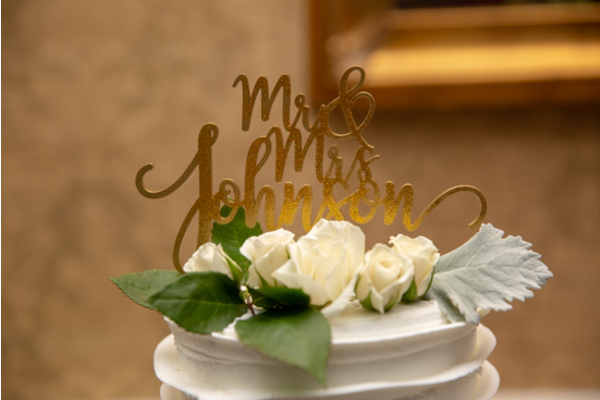 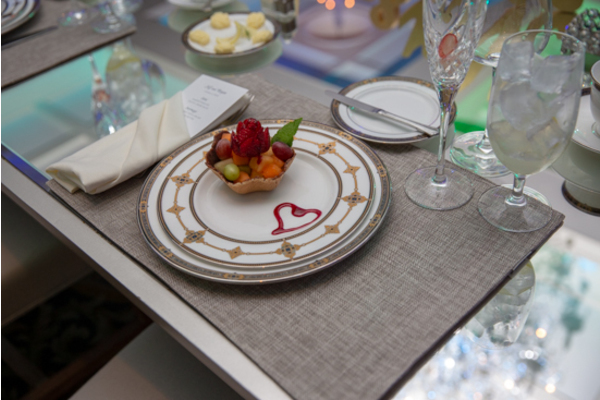 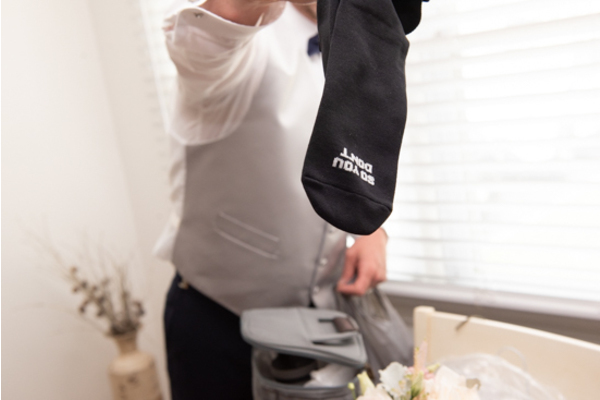 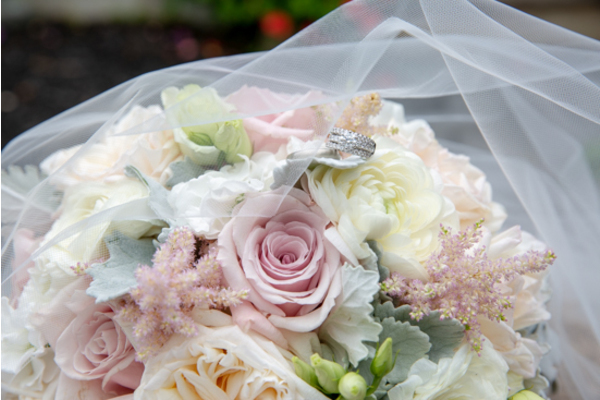 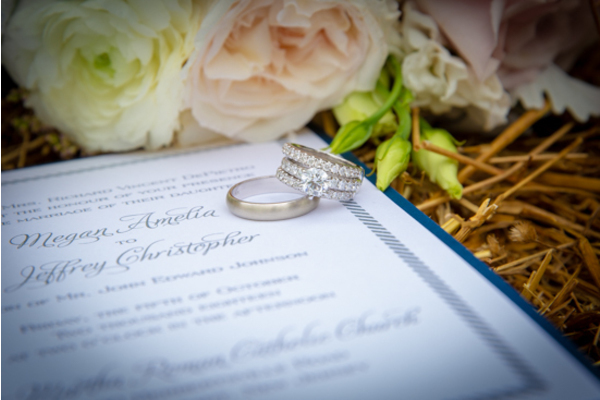 We hope your wedding day was everything you dreamed of and more!